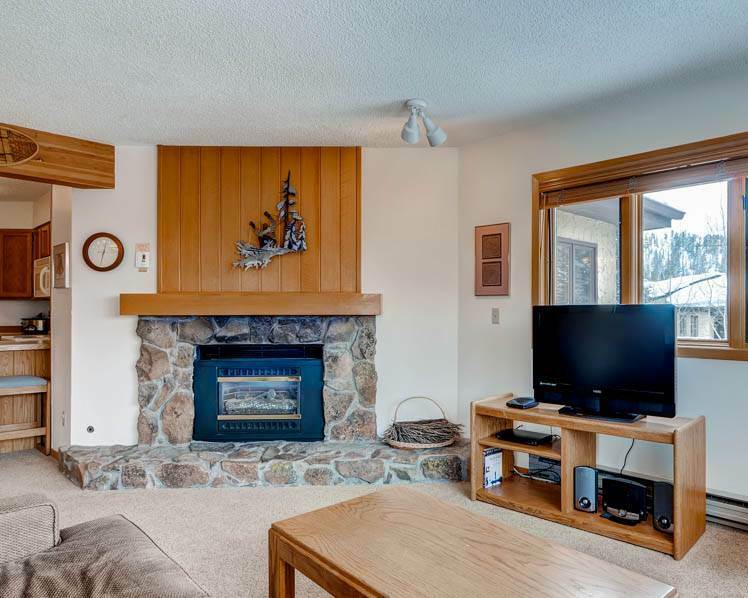 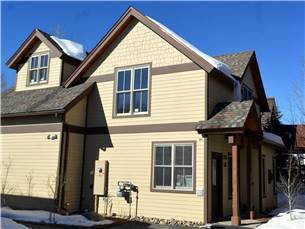 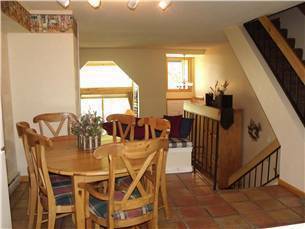 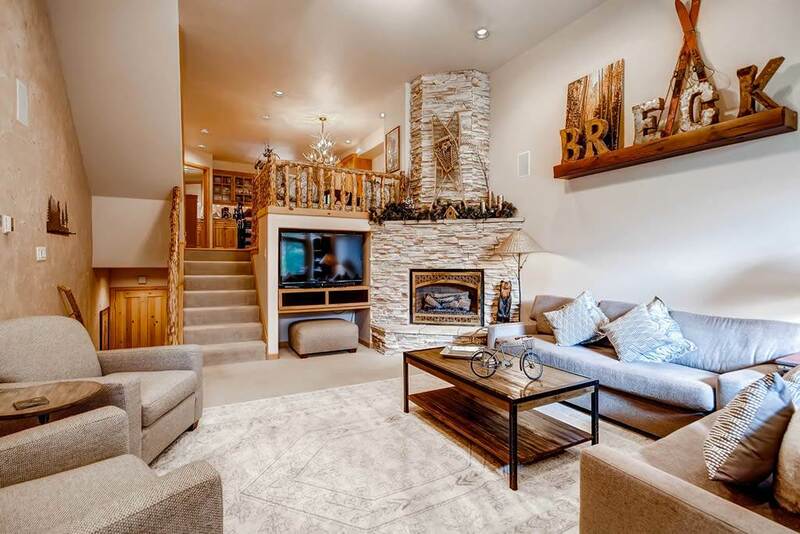 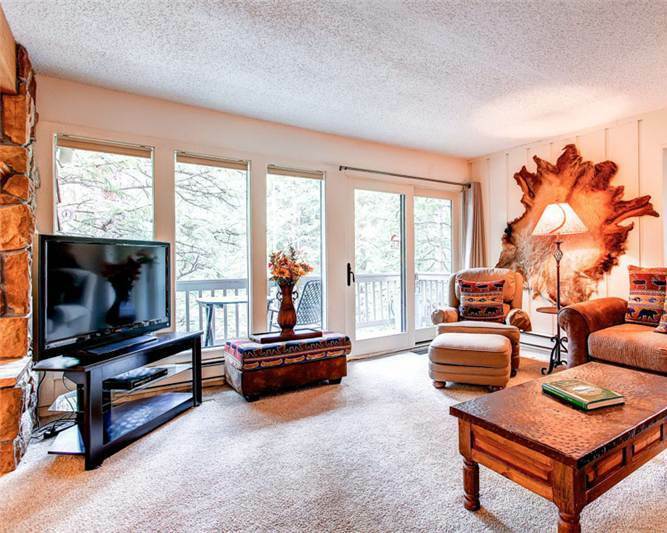 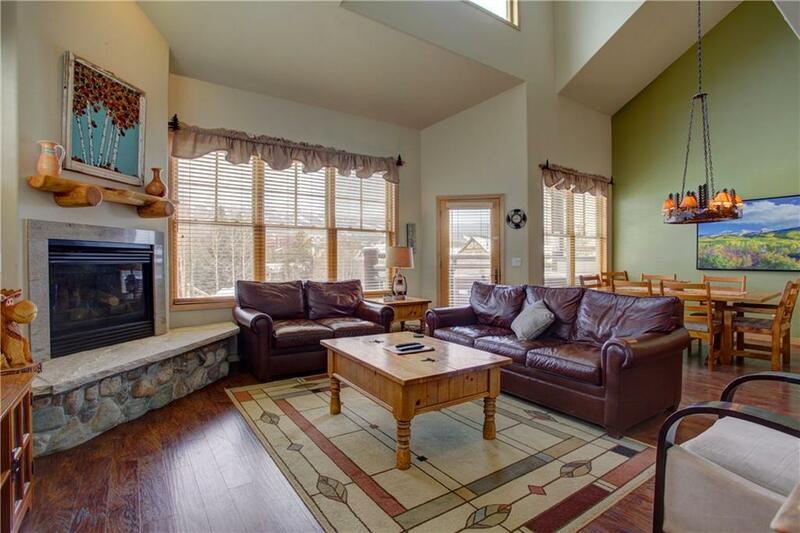 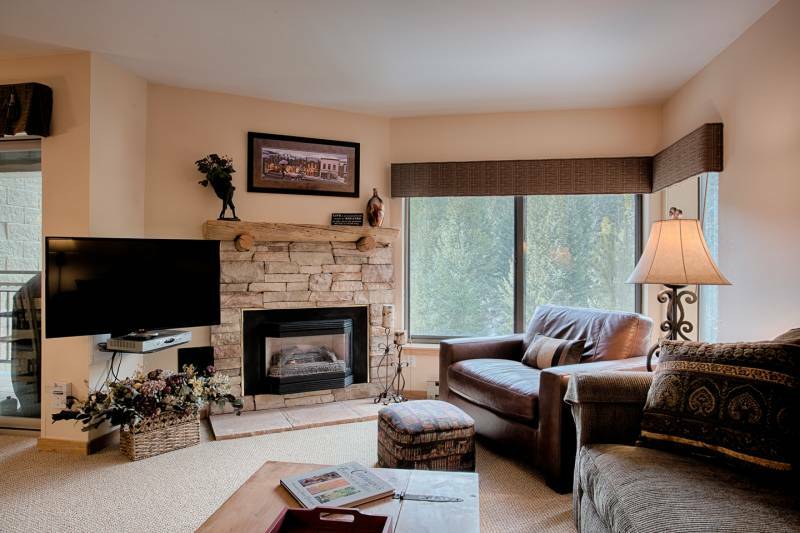 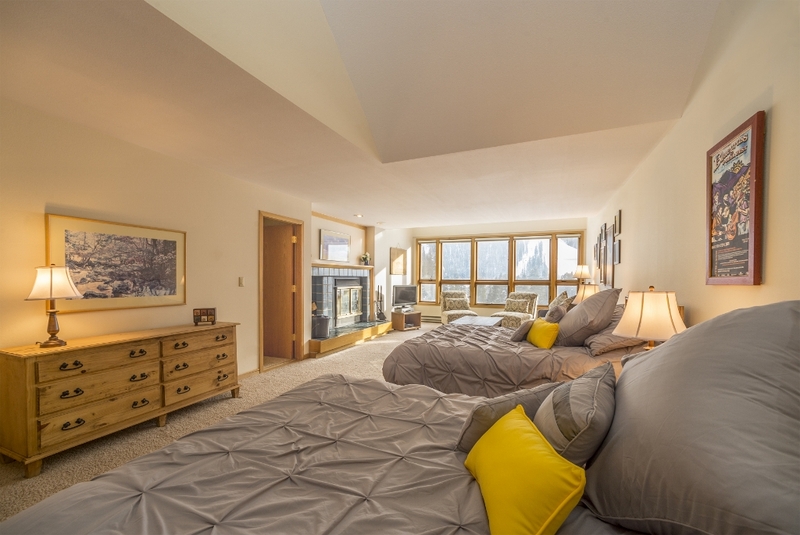 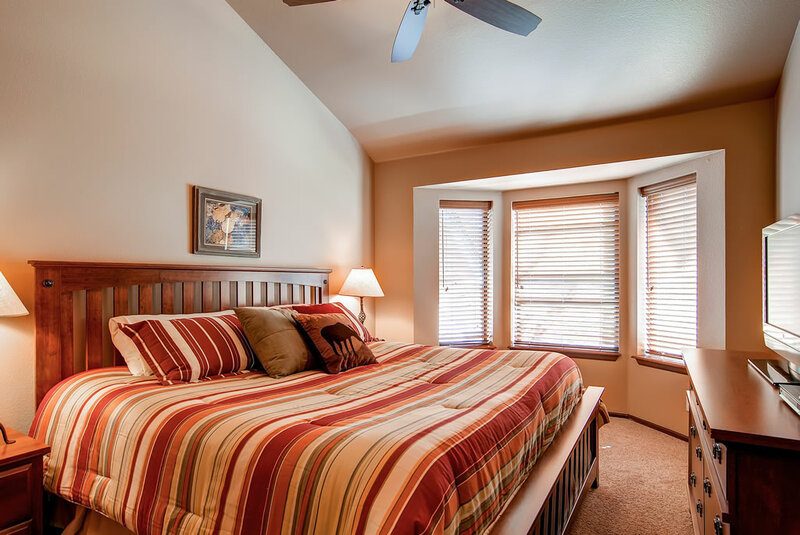 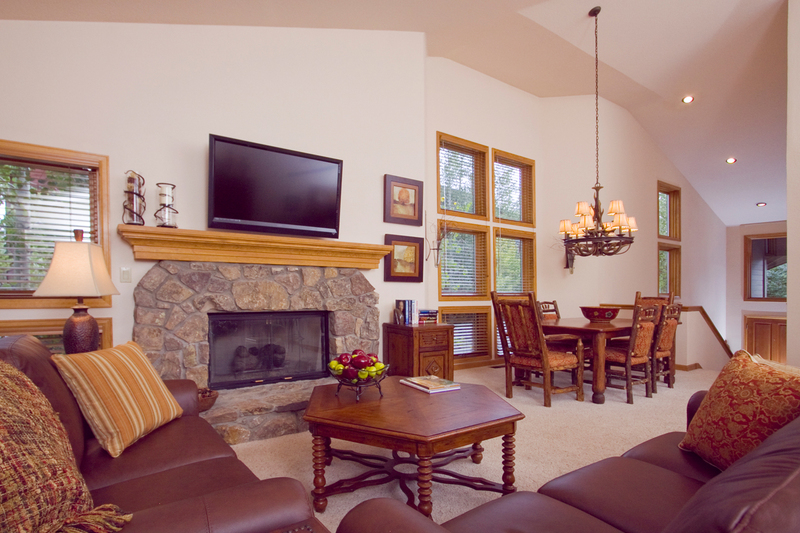 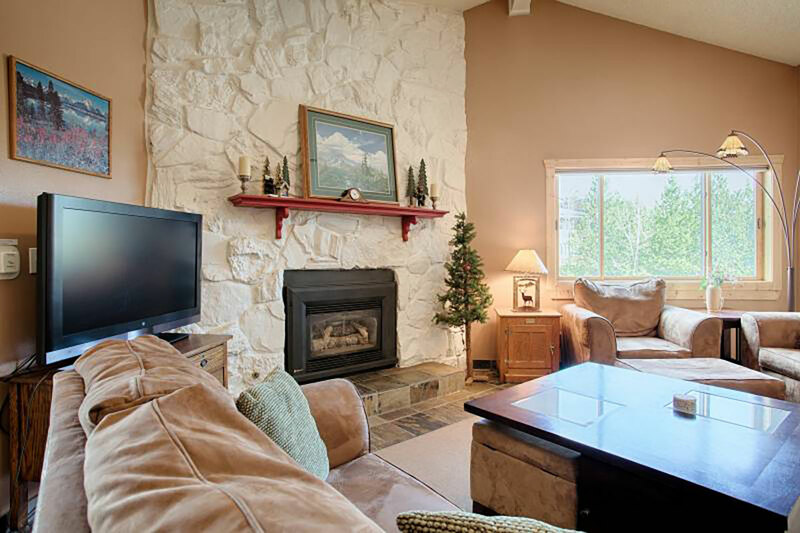 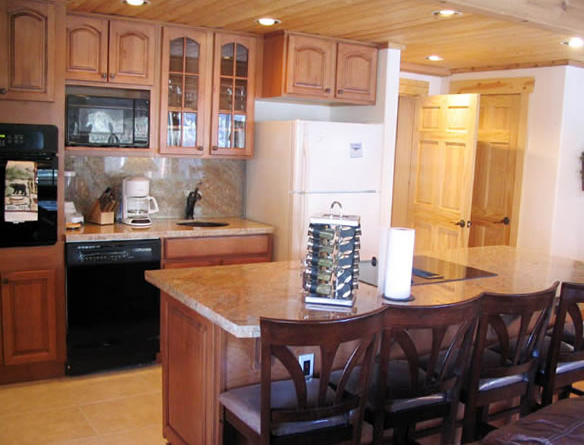 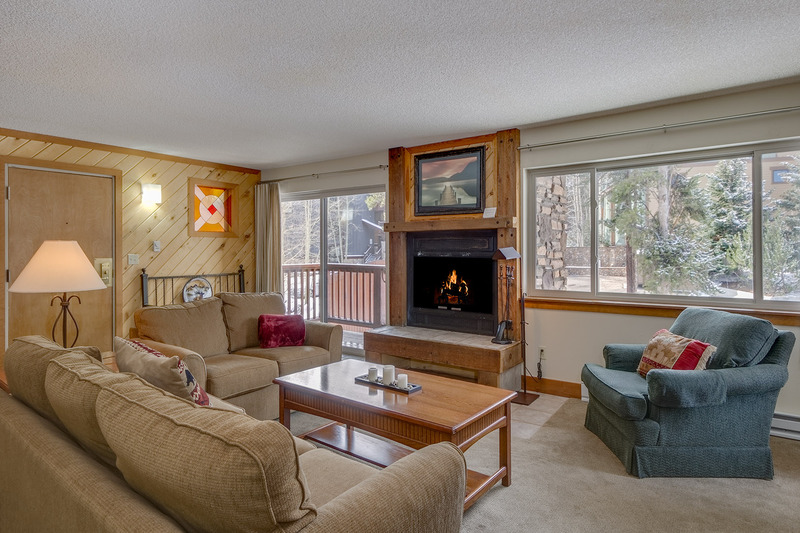 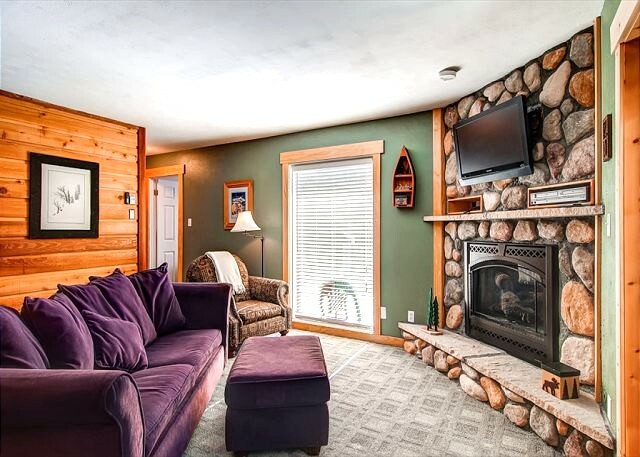 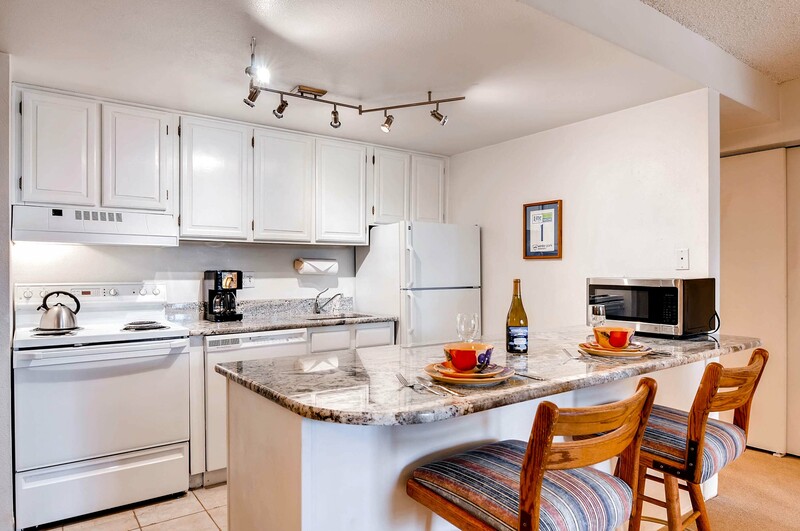 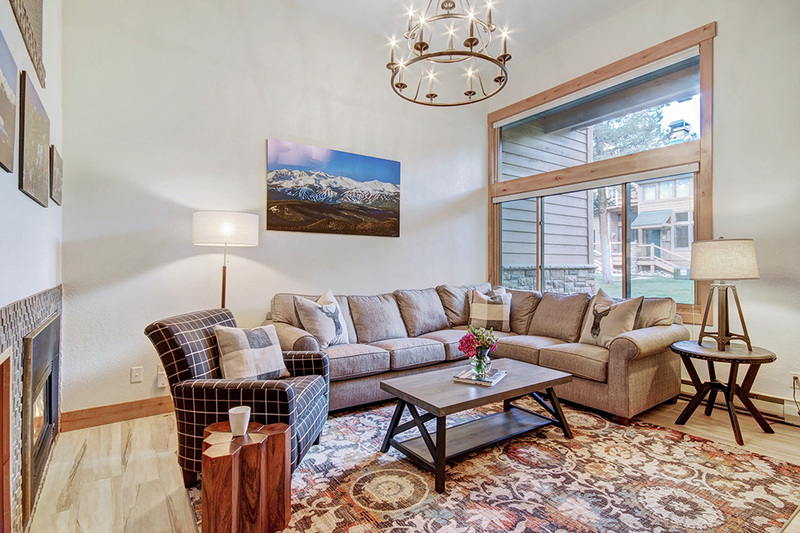 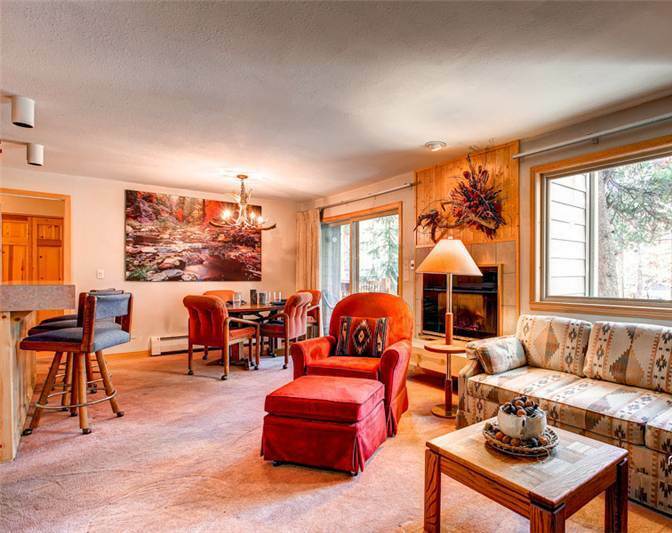 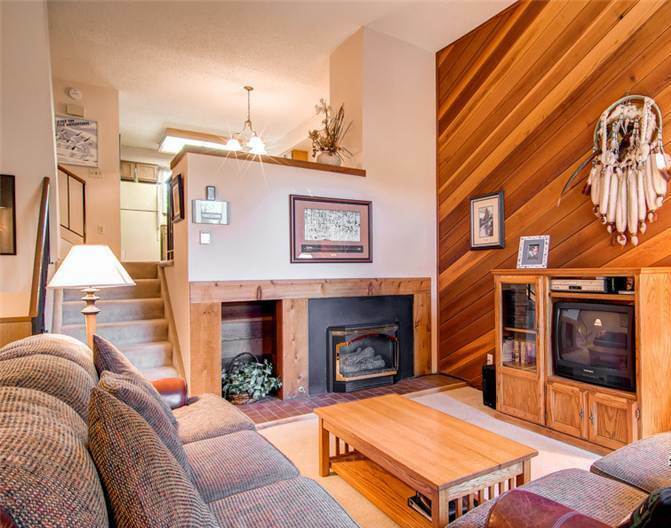 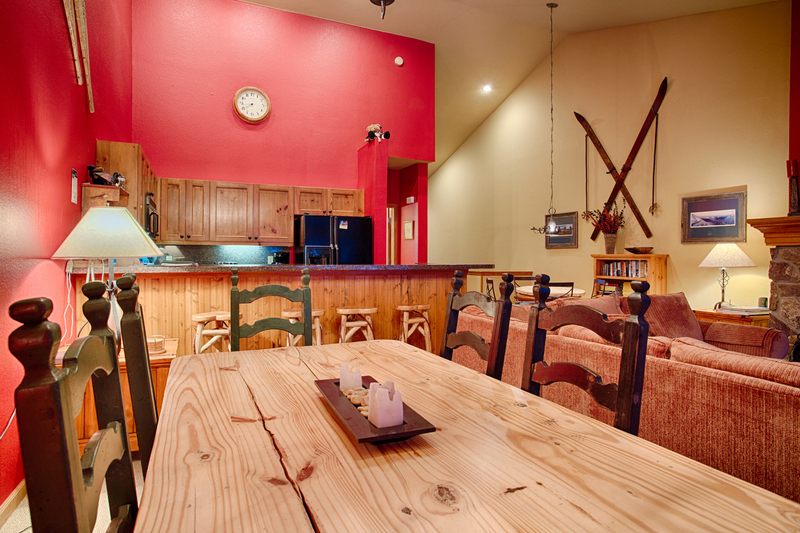 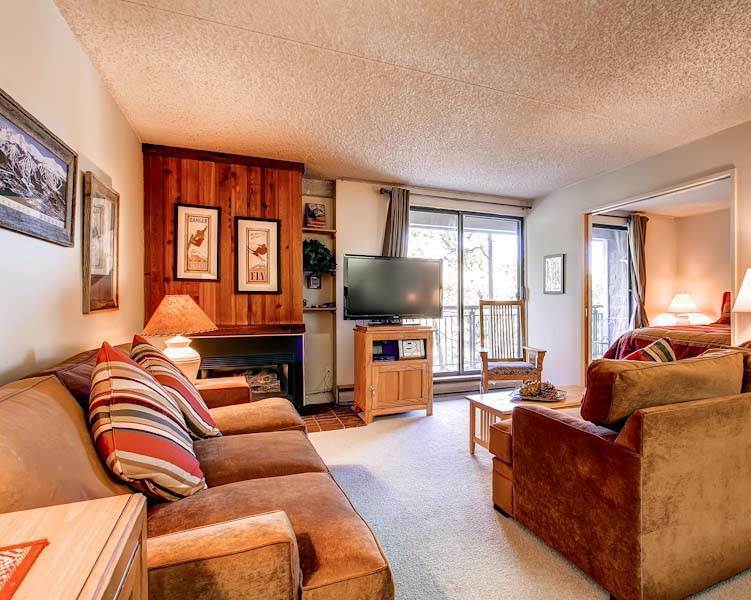 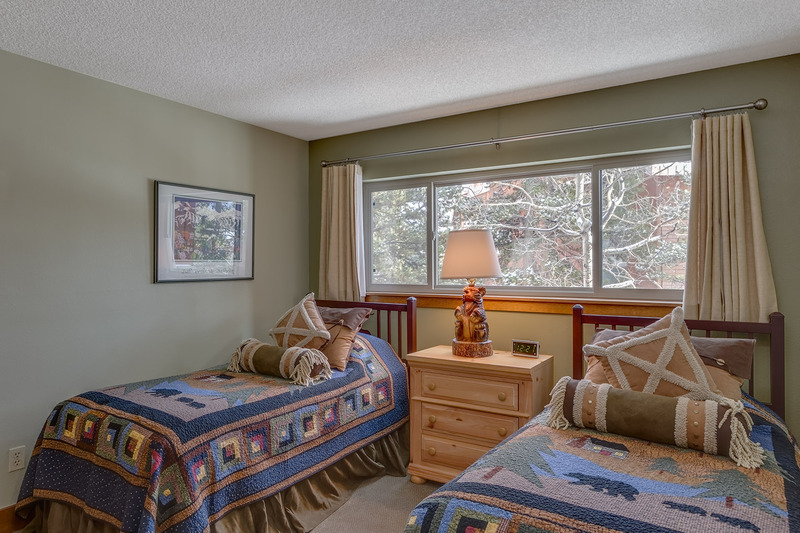 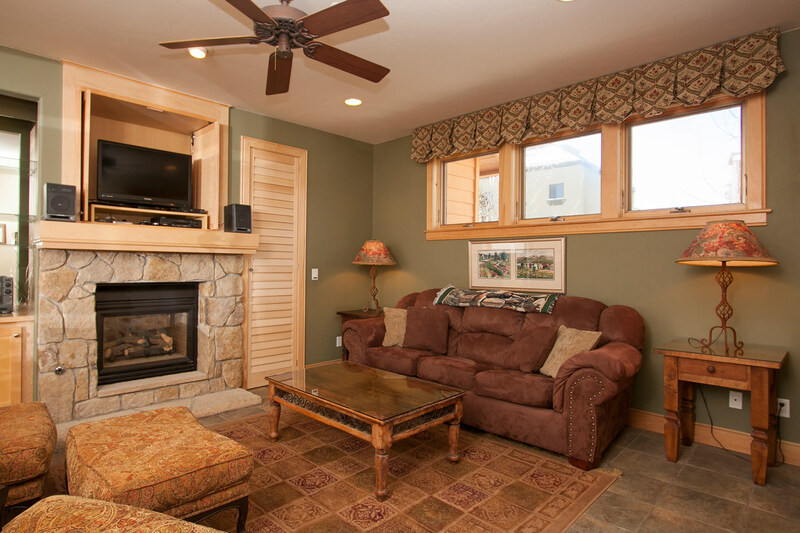 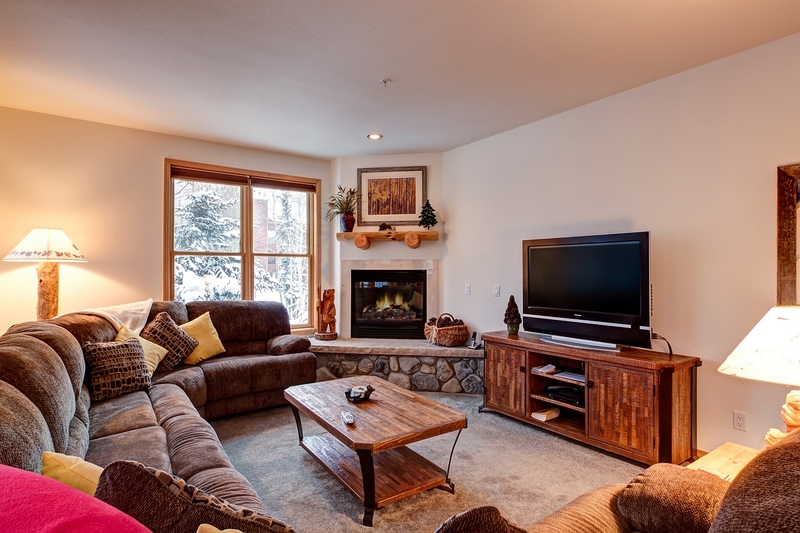 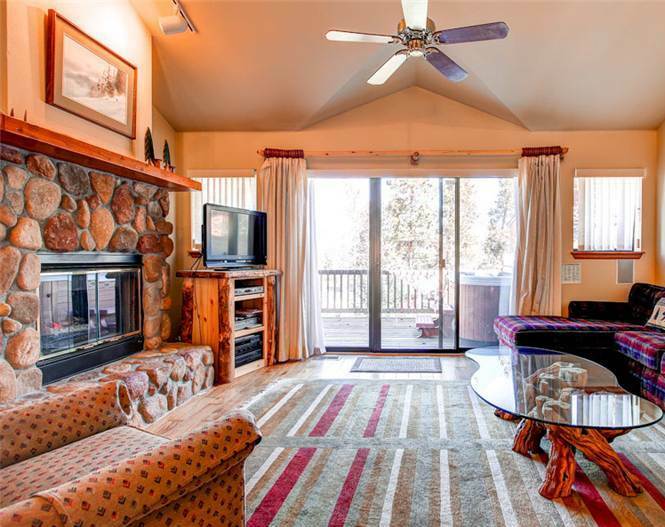 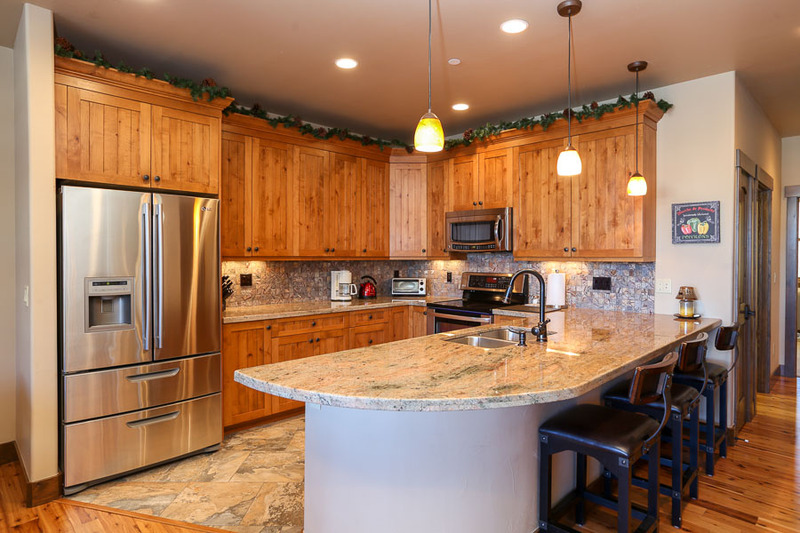 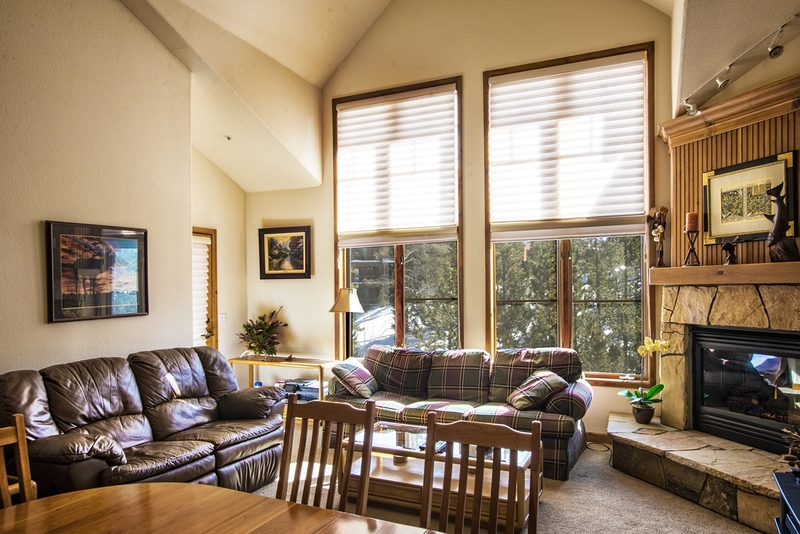 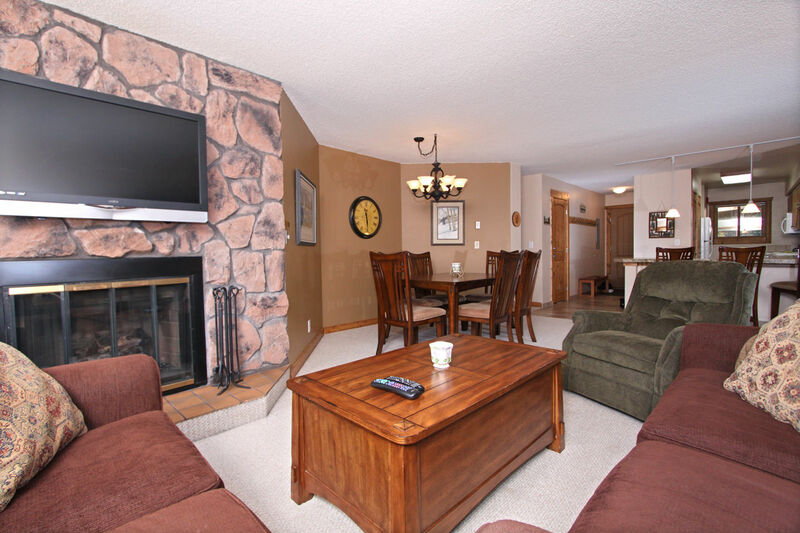 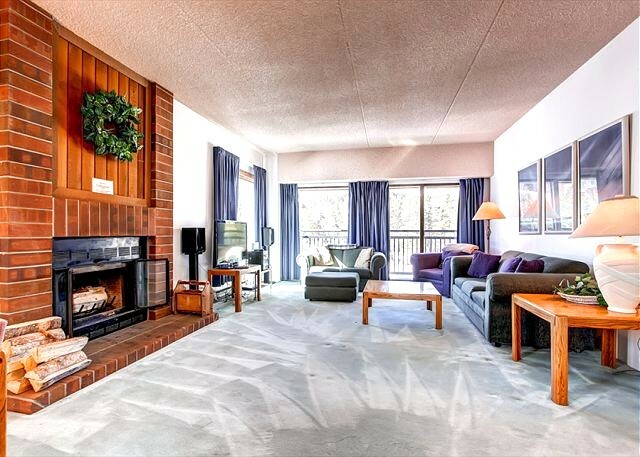 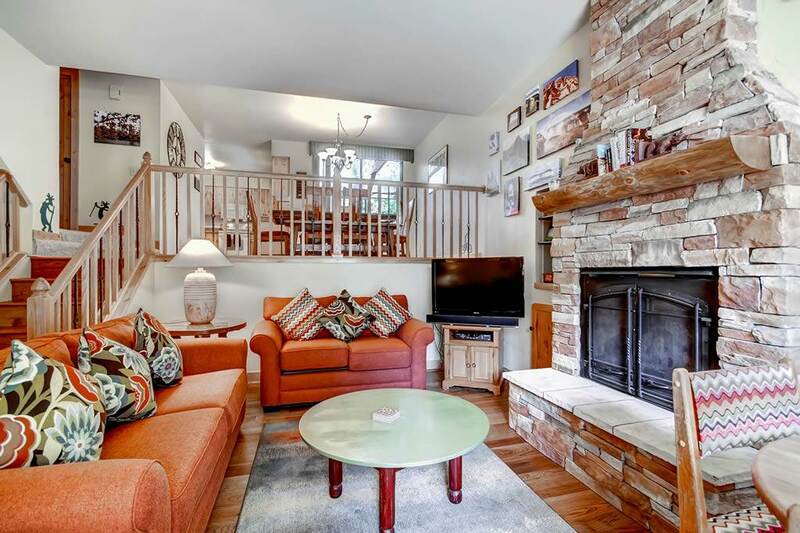 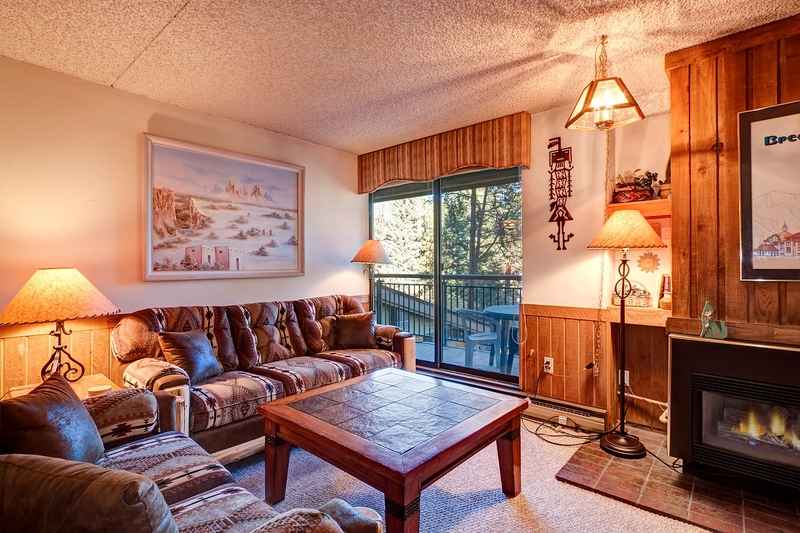 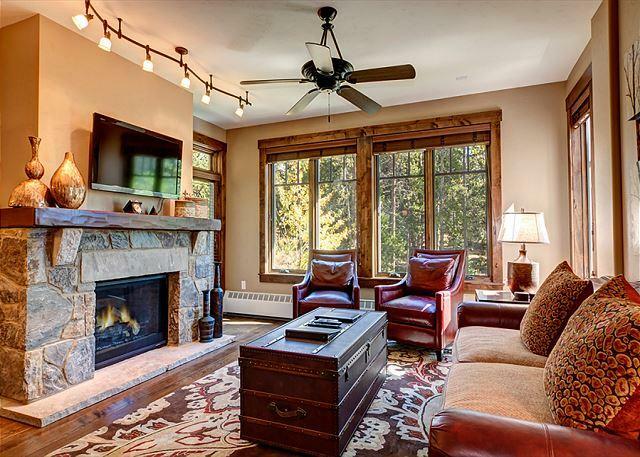 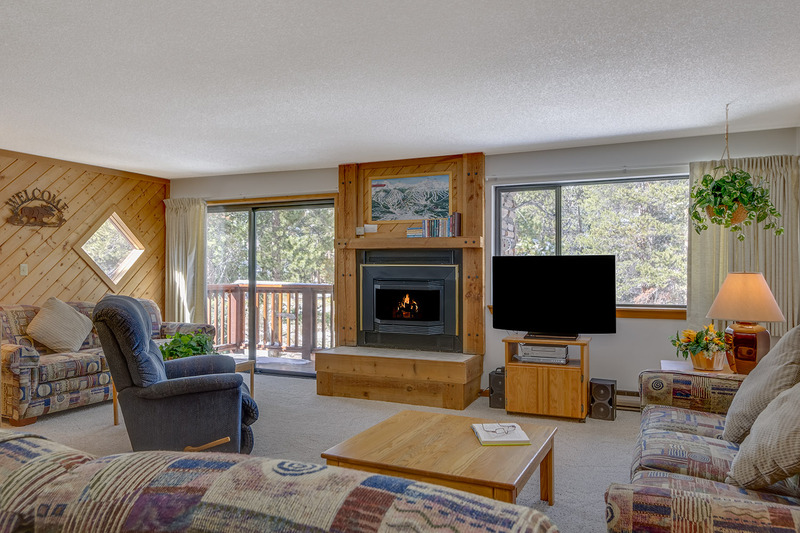 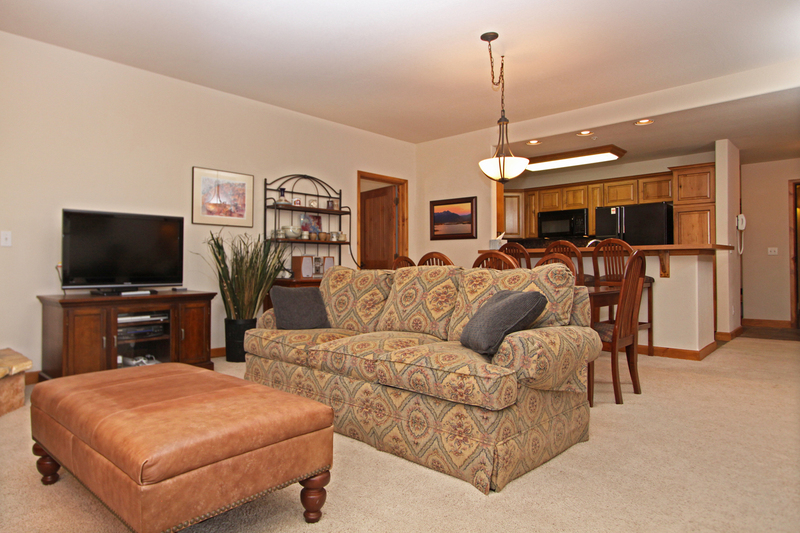 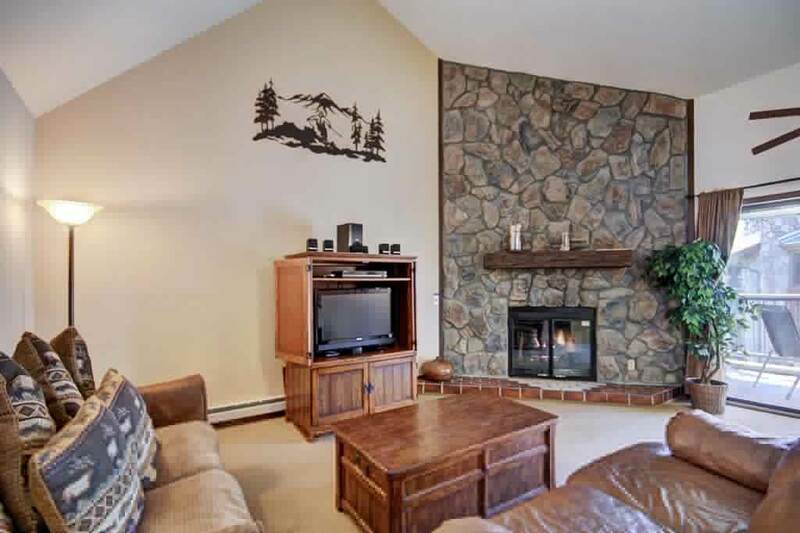 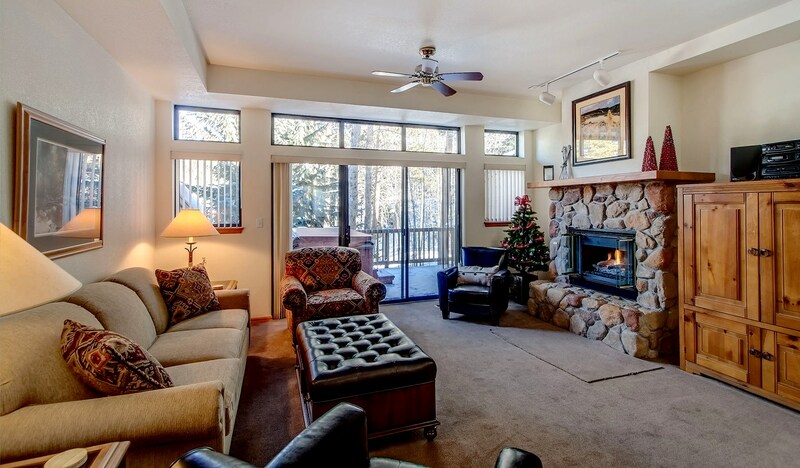 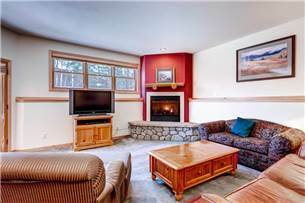 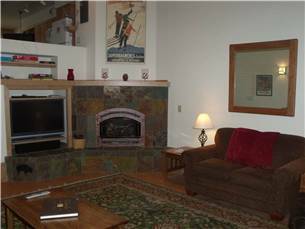 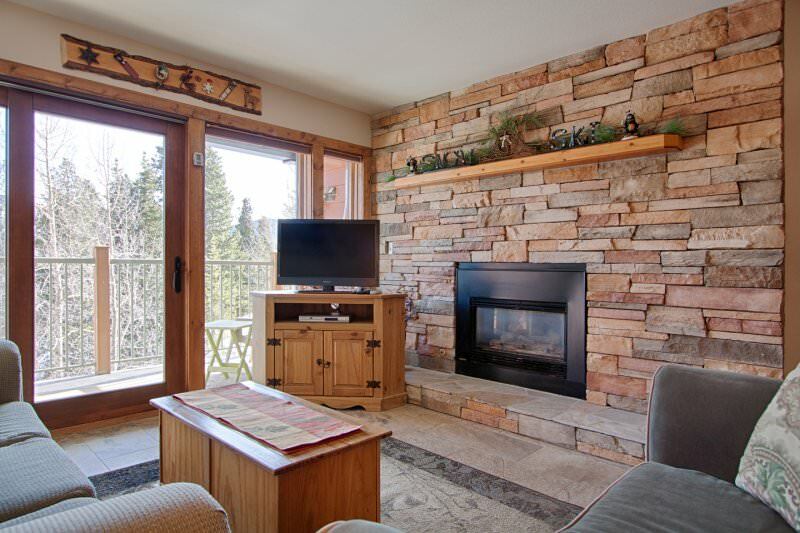 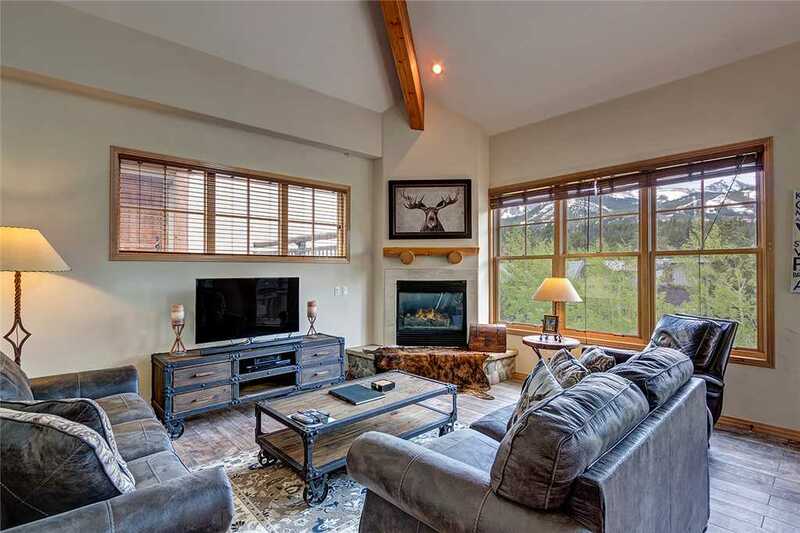 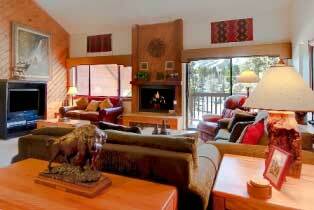 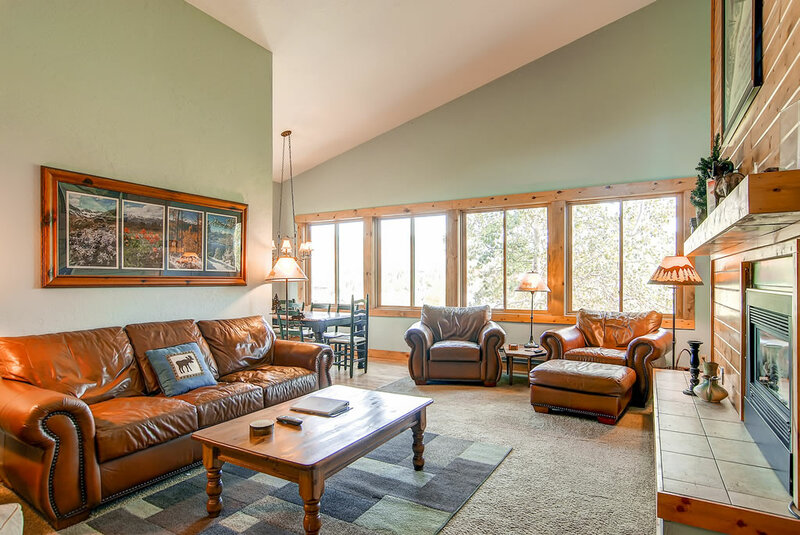 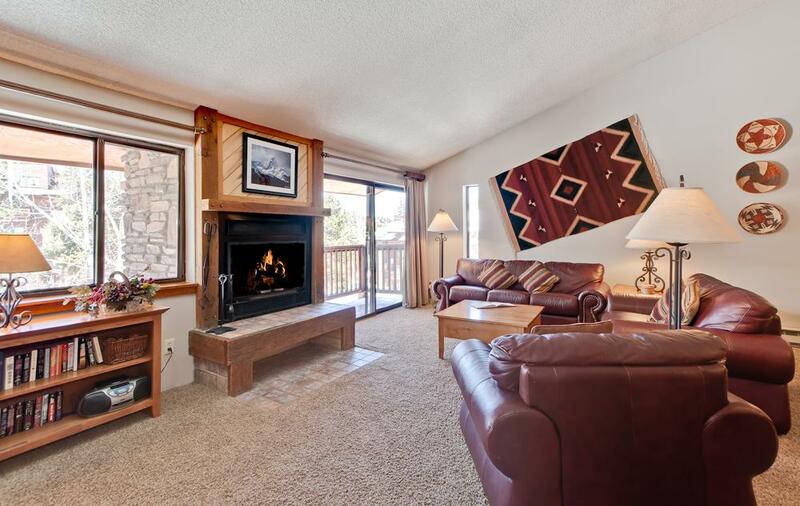 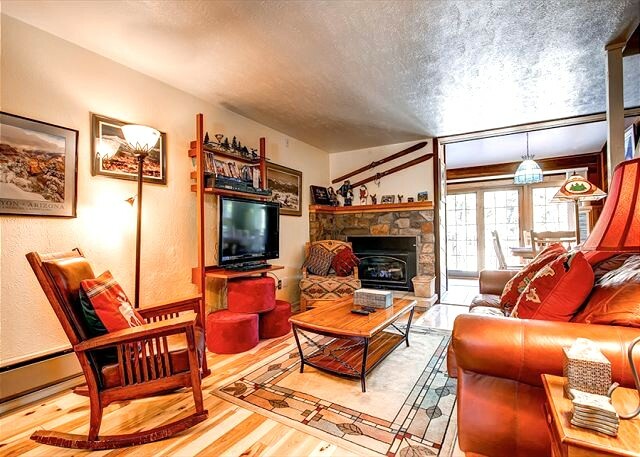 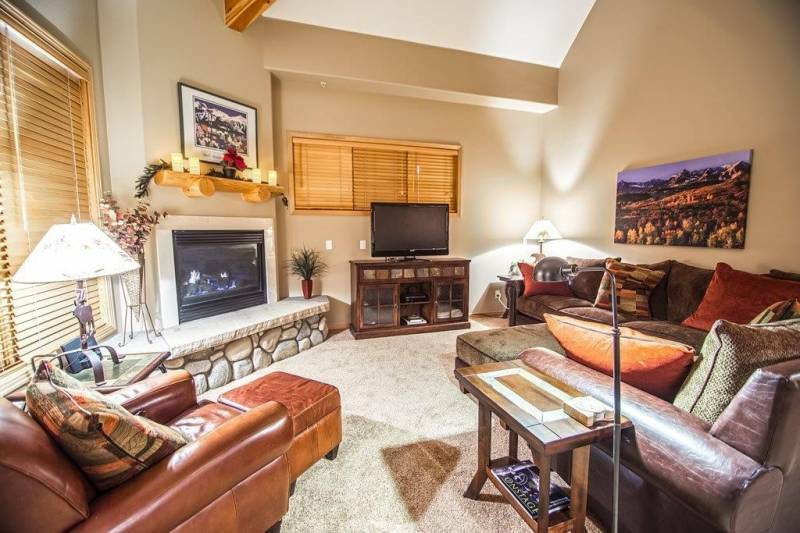 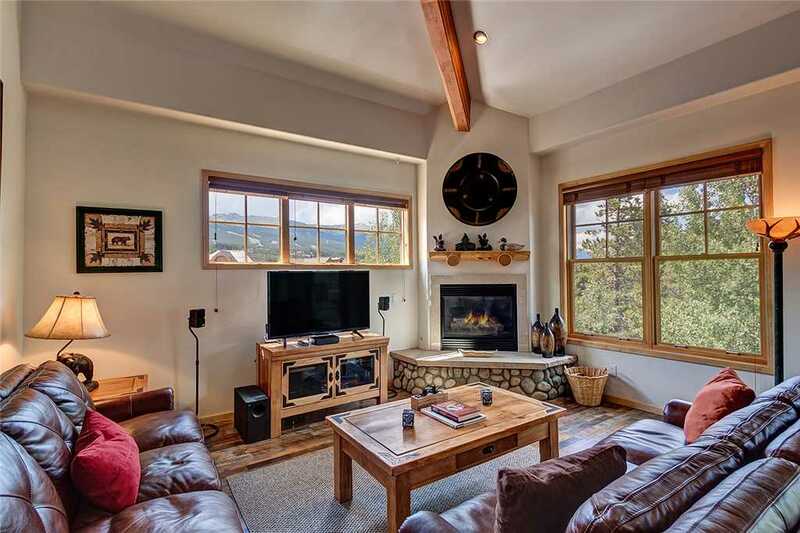 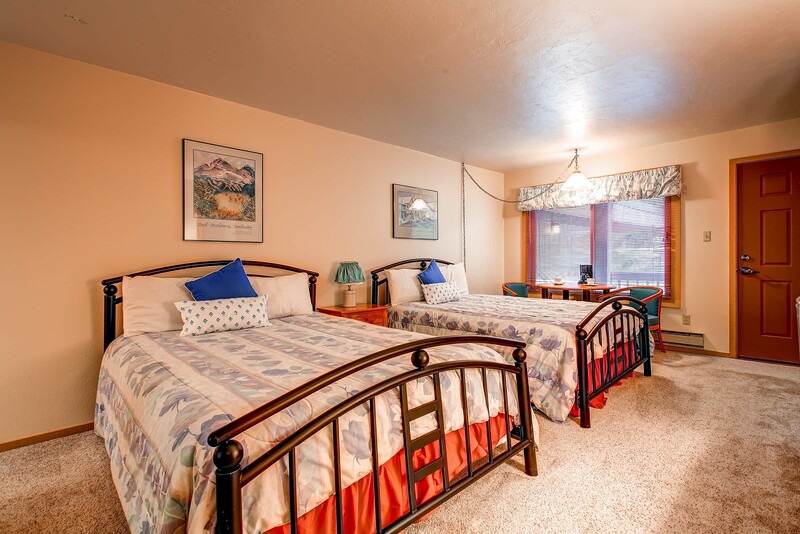 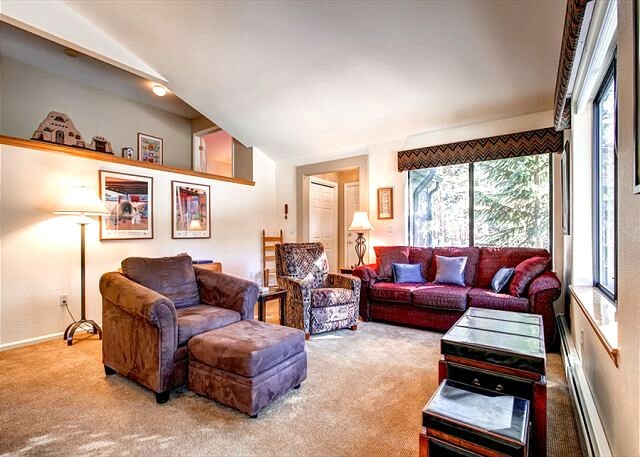 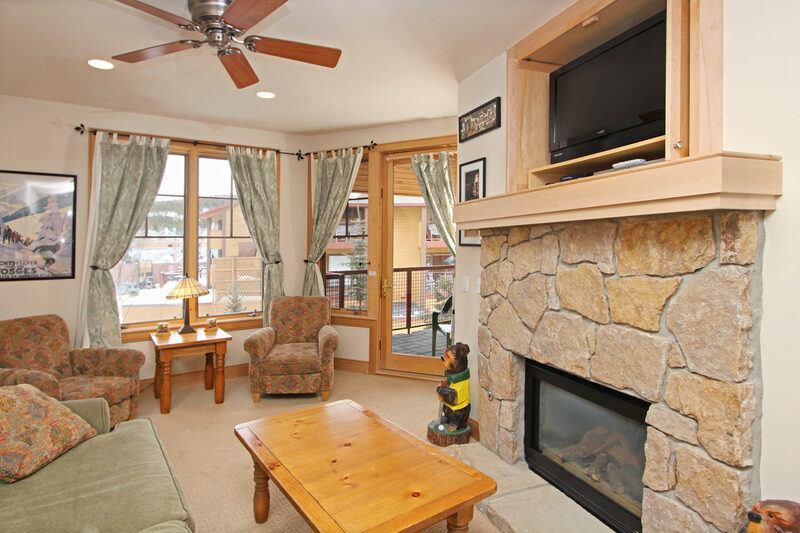 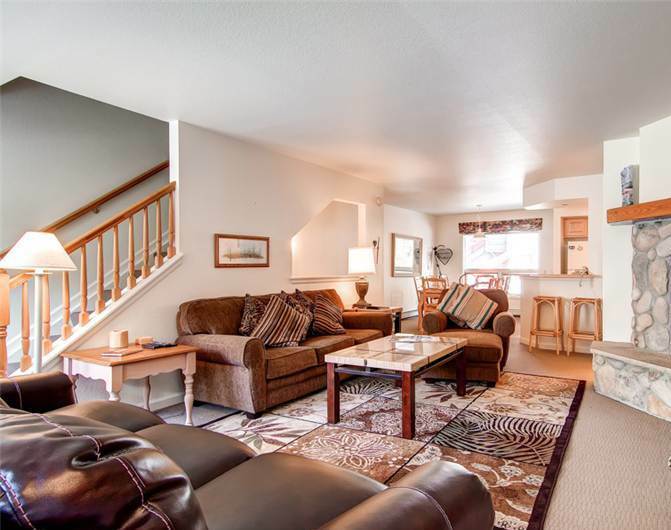 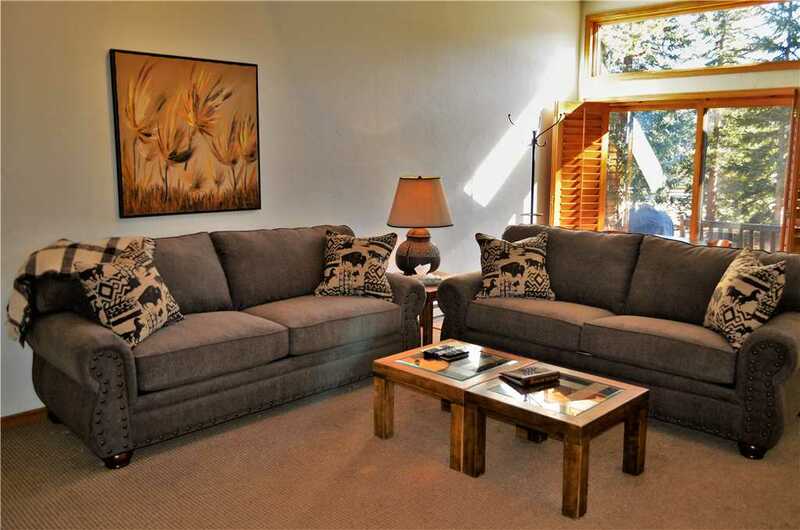 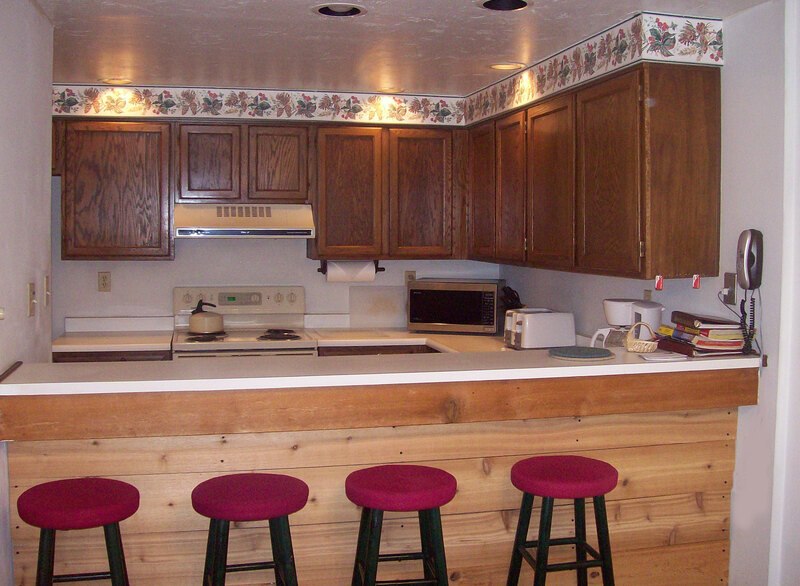 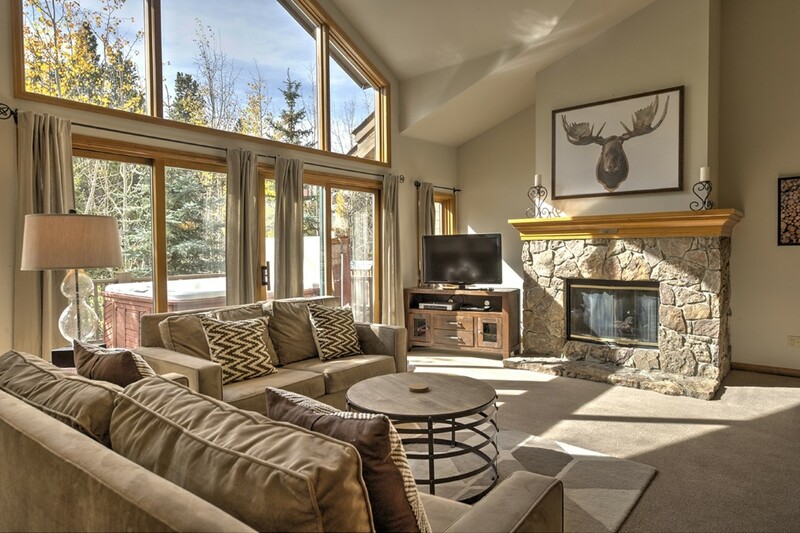 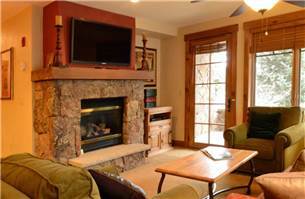 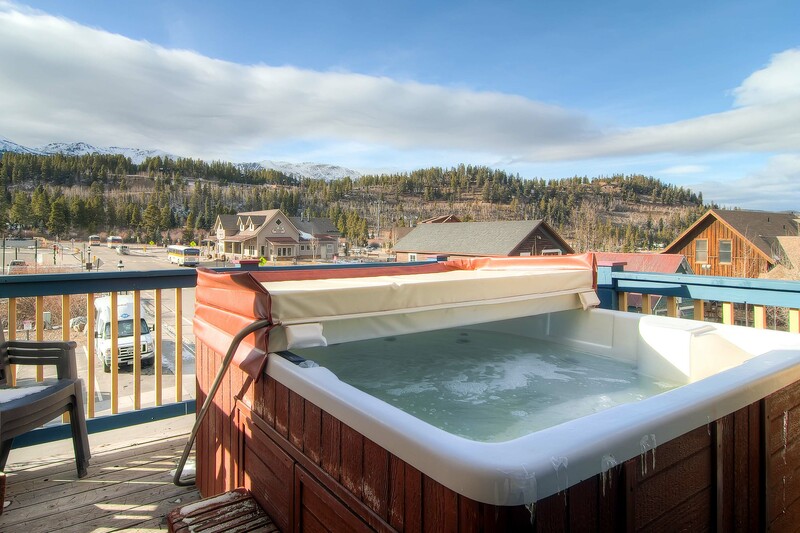 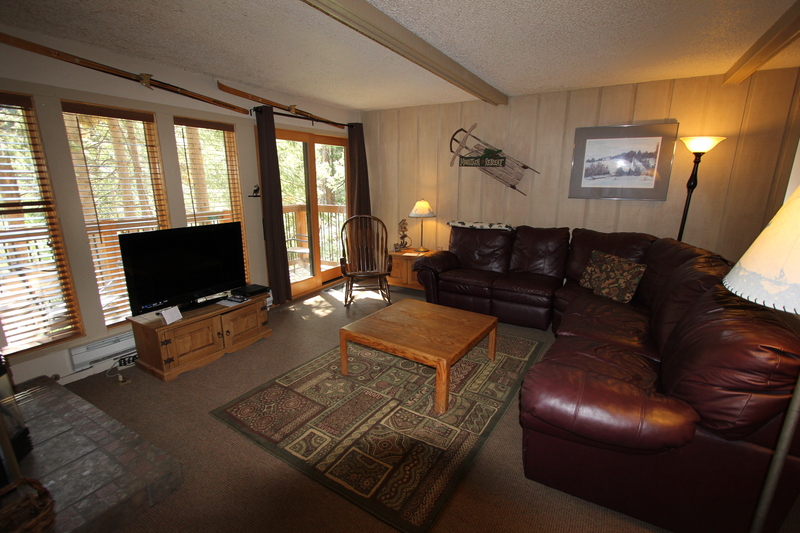 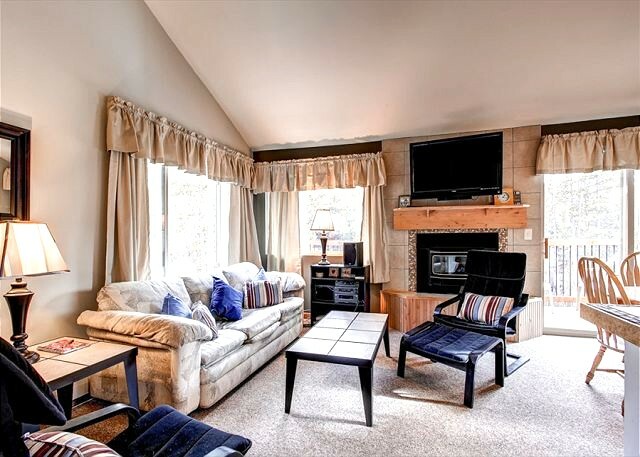 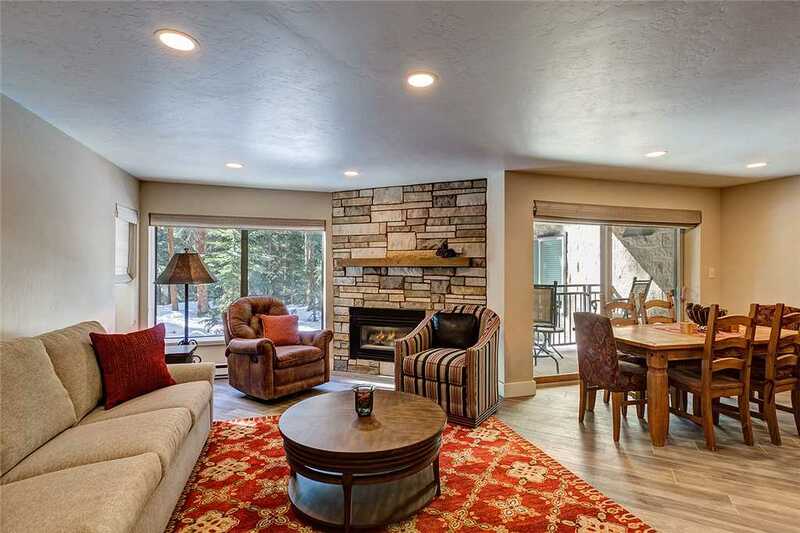 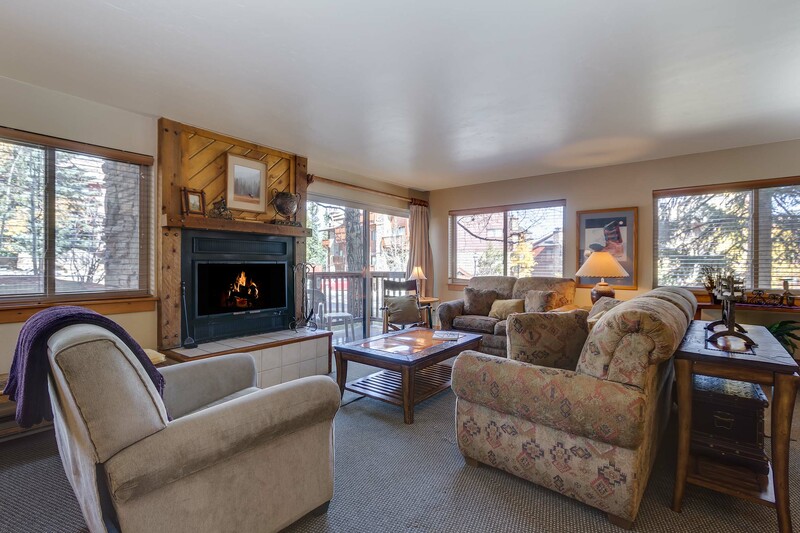 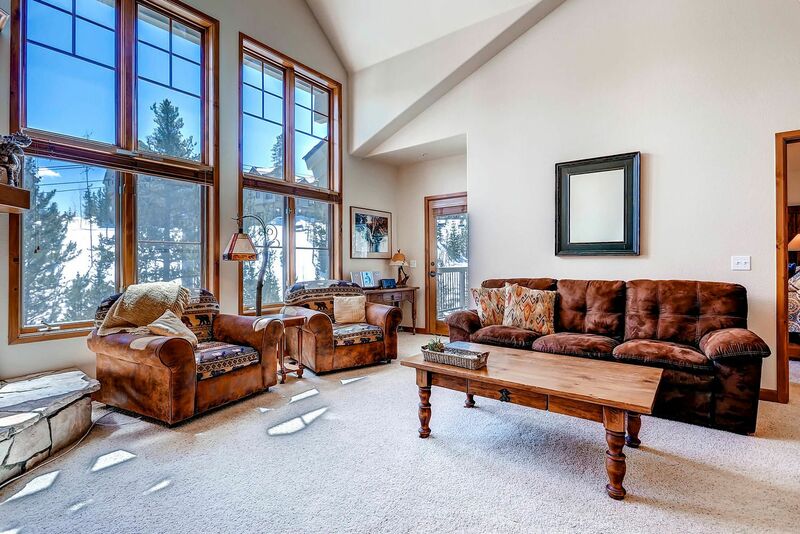 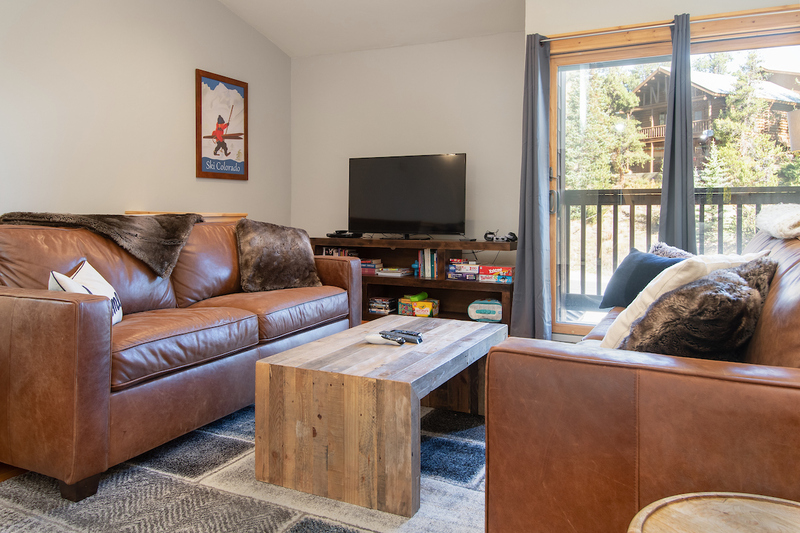 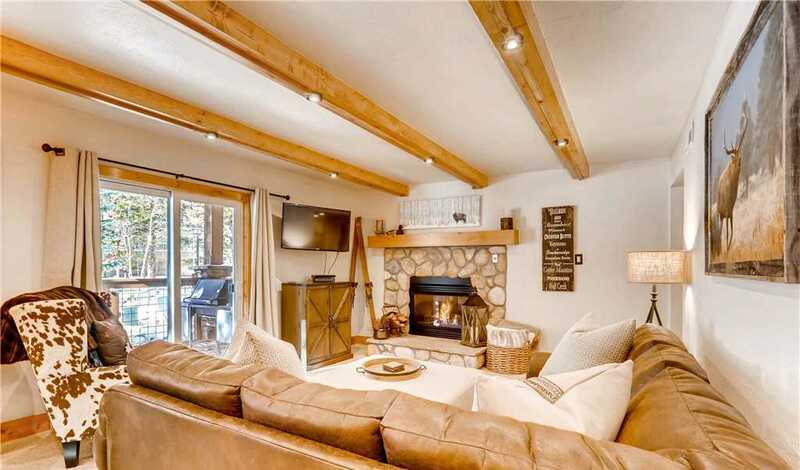 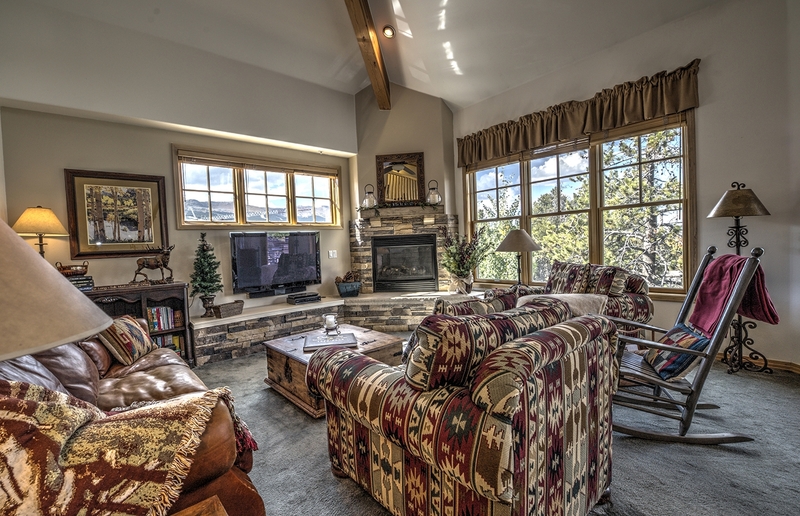 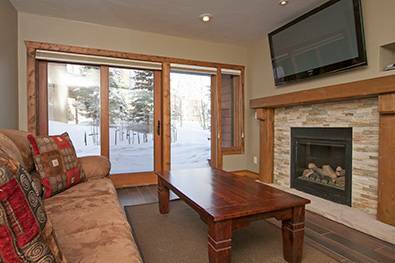 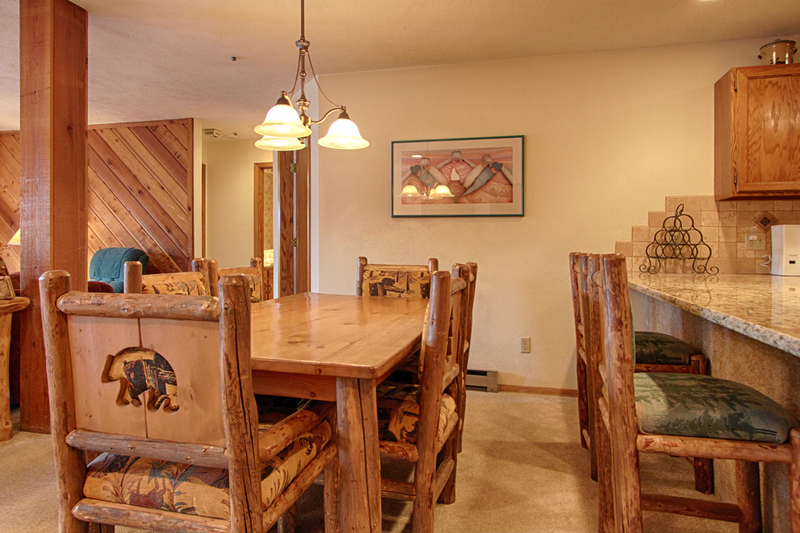 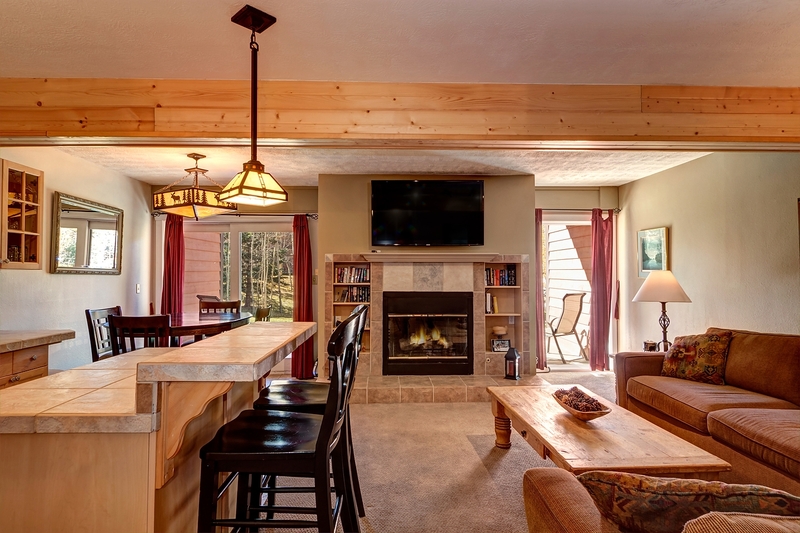 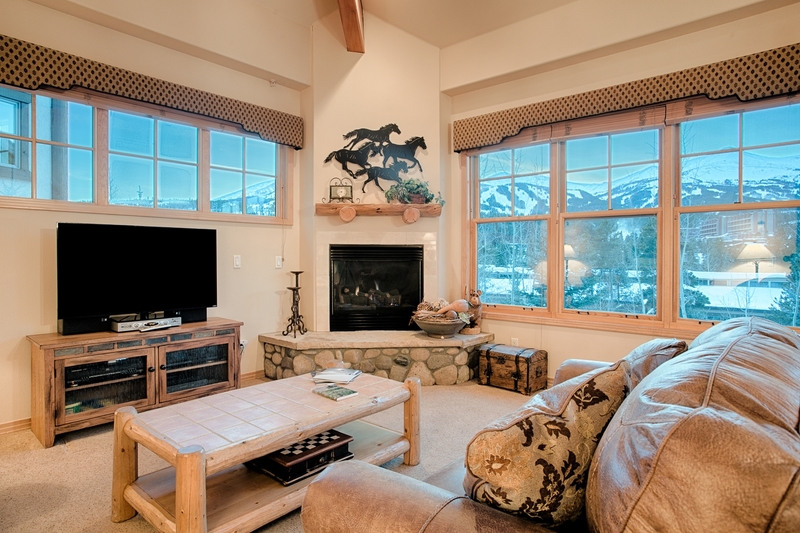 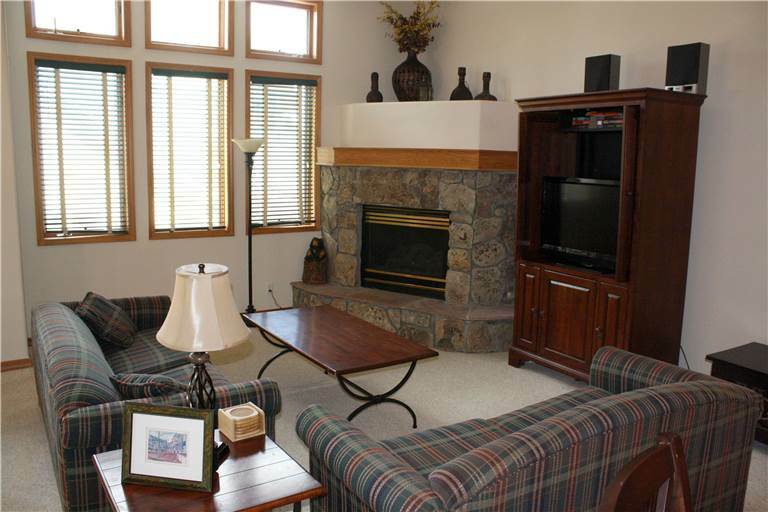 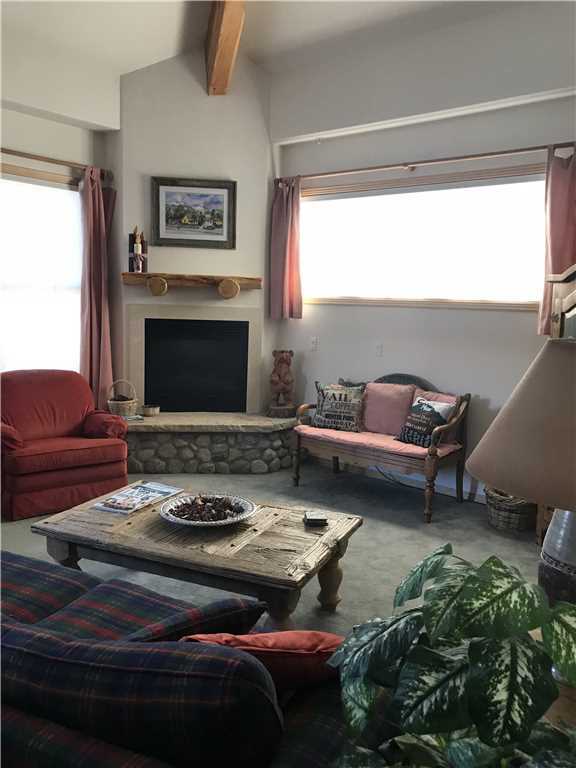 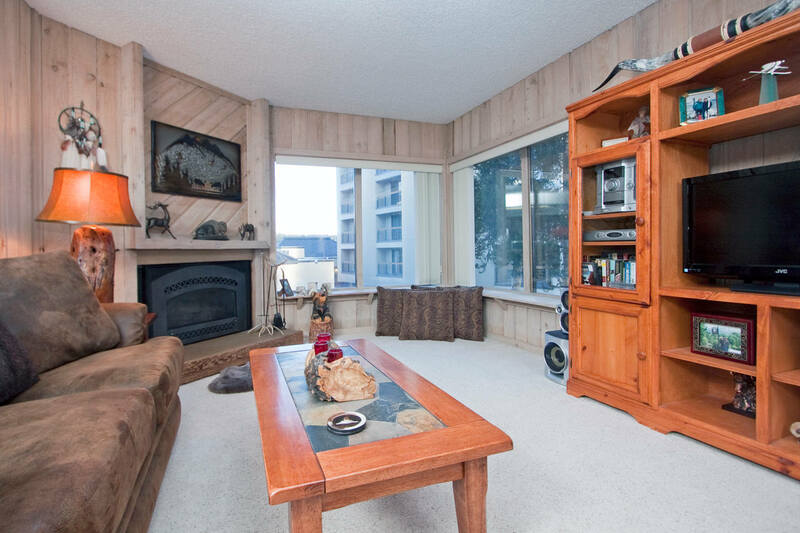 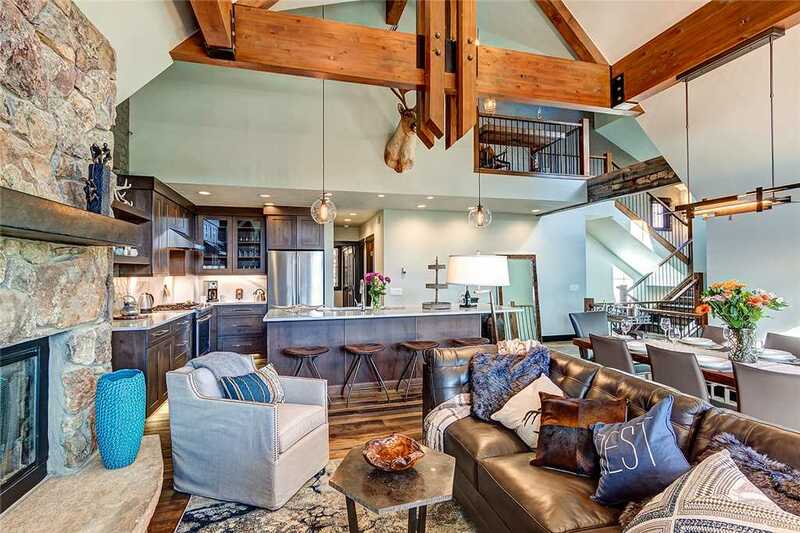 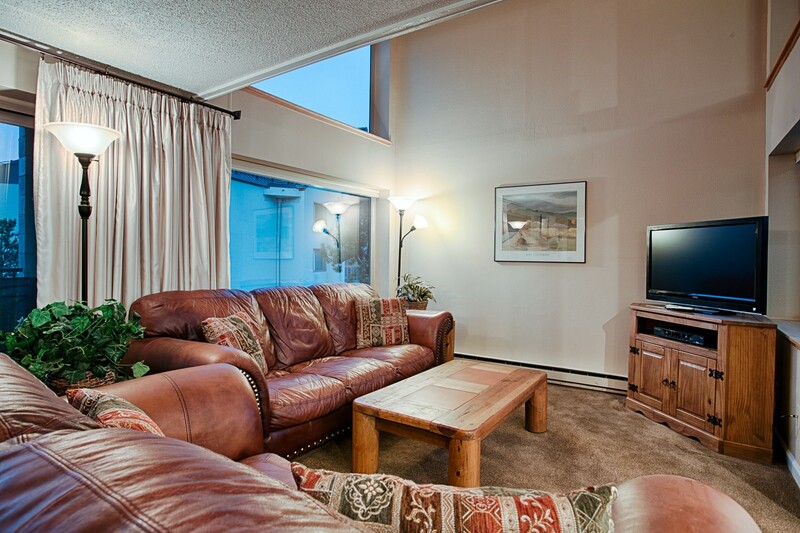 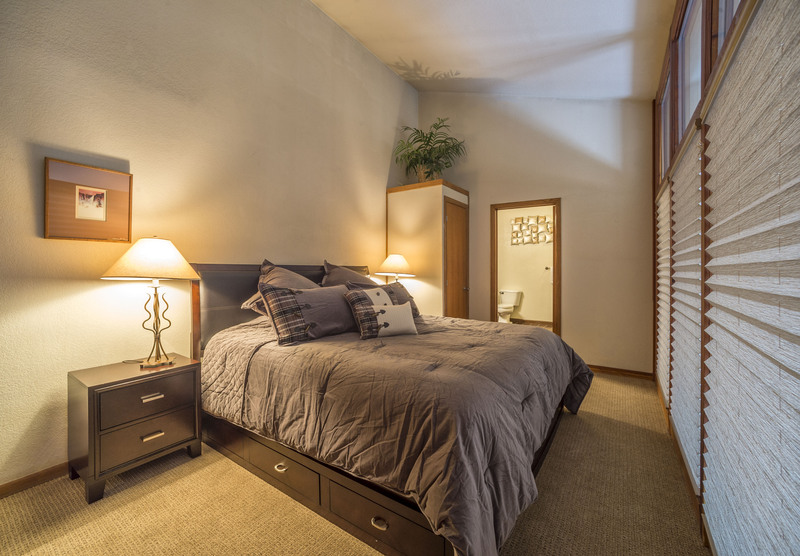 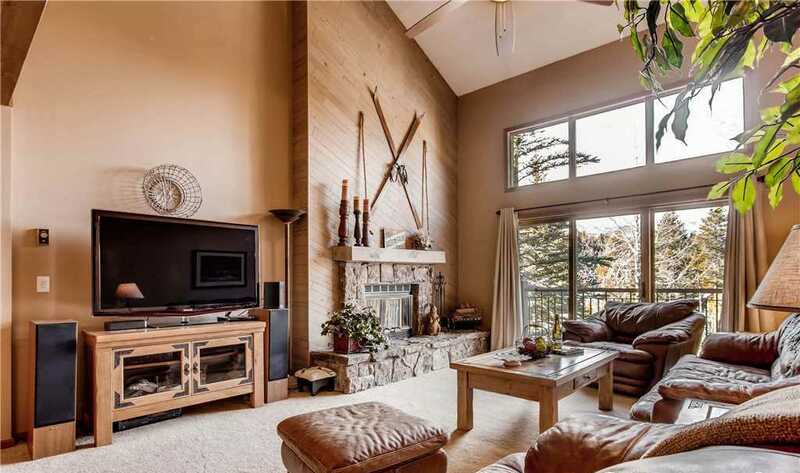 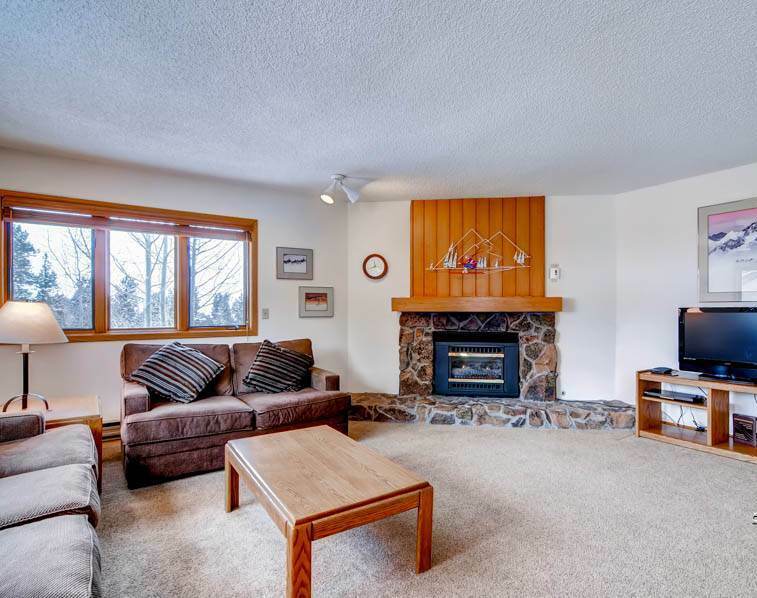 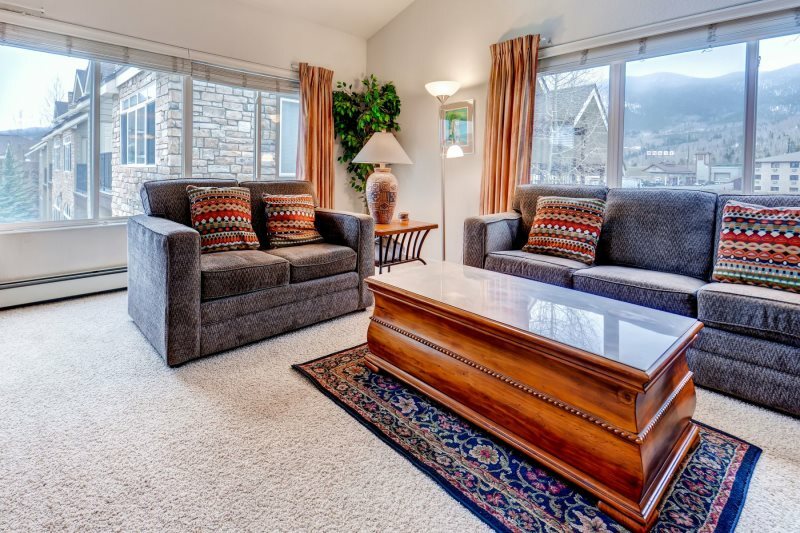 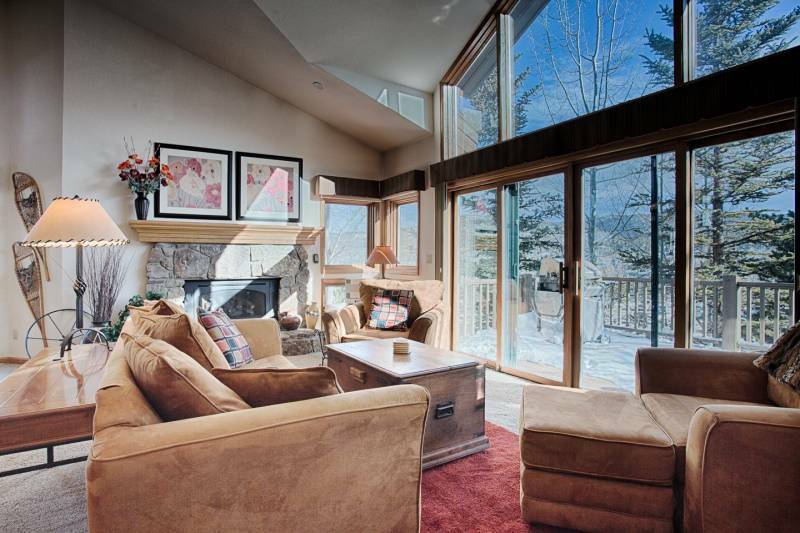 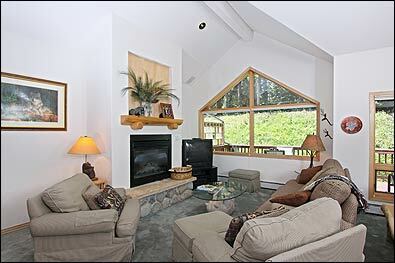 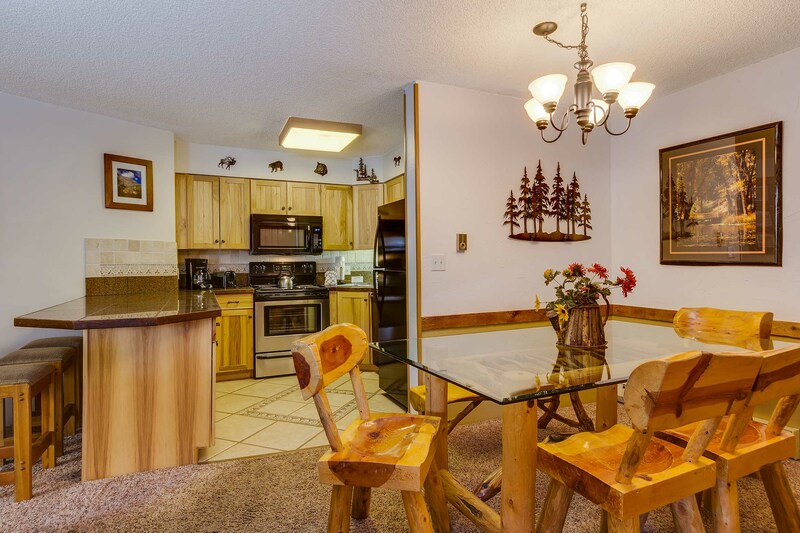 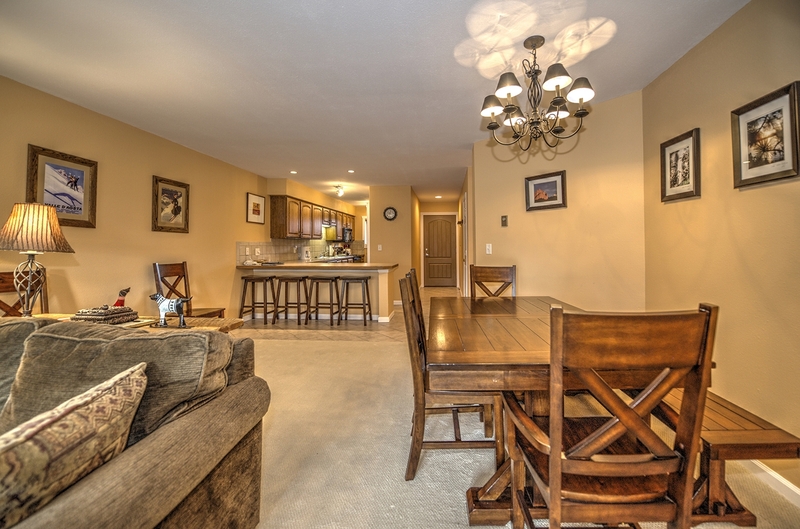 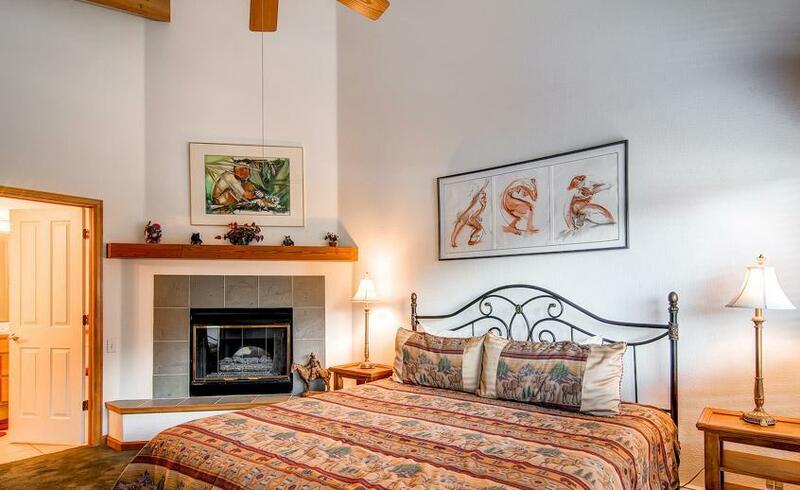 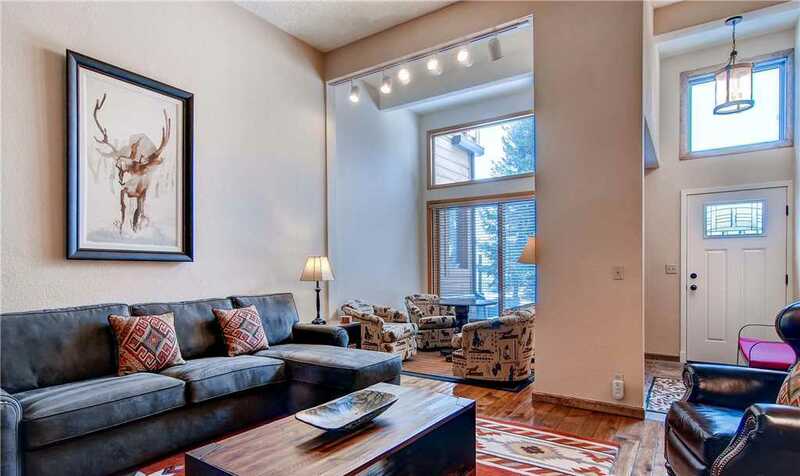 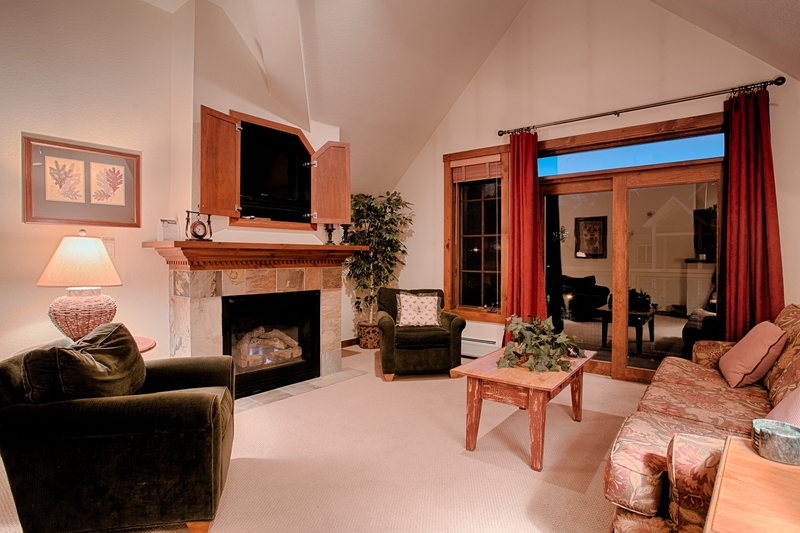 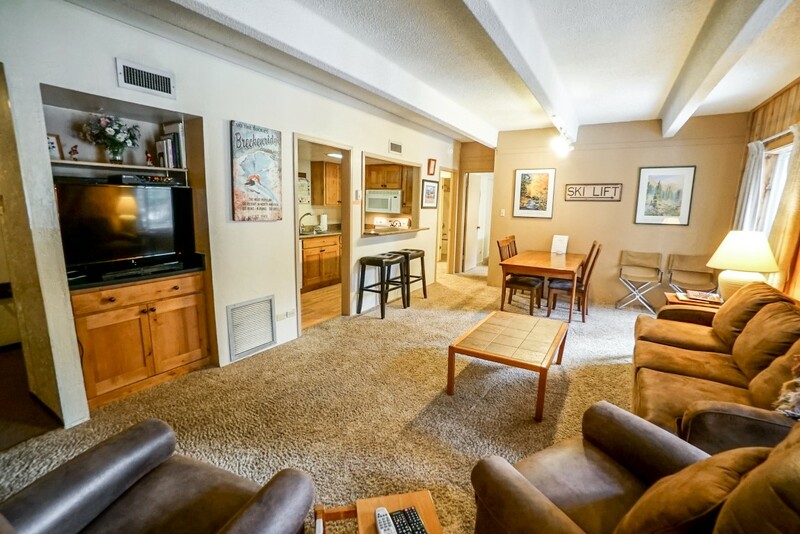 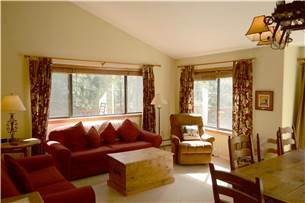 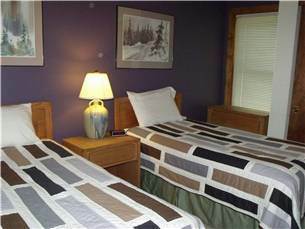 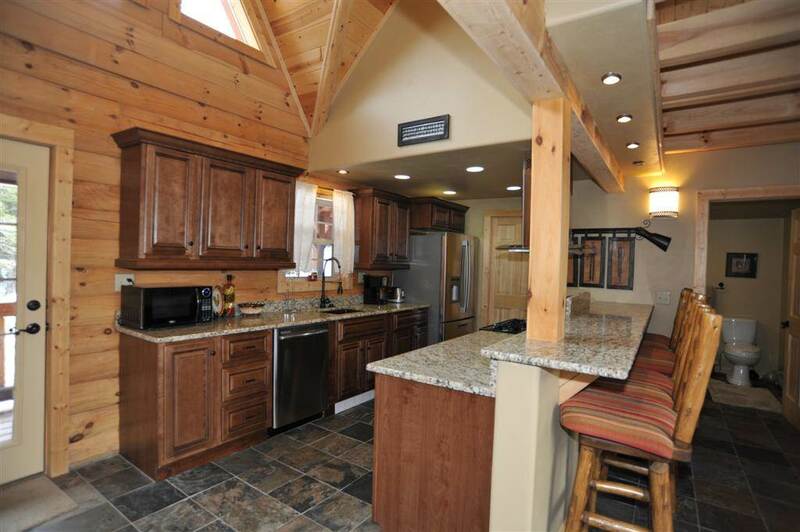 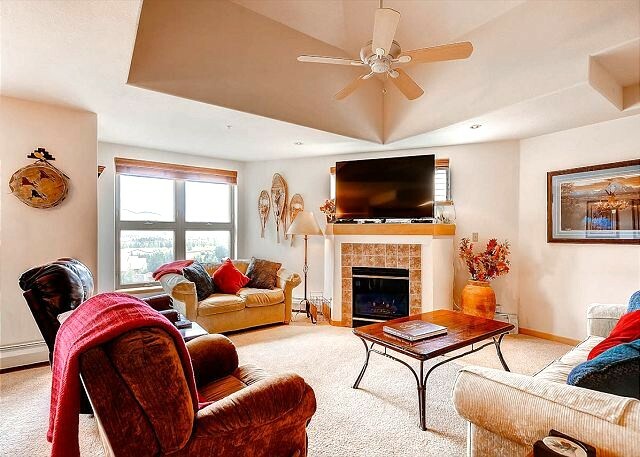 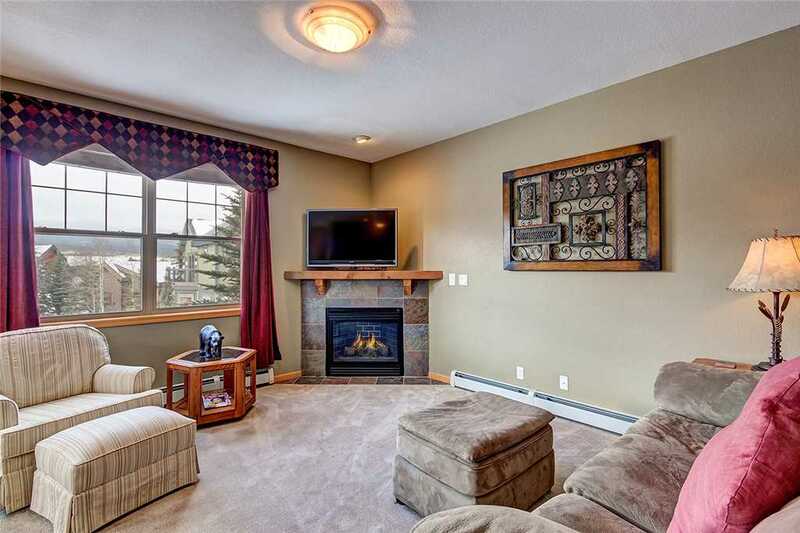 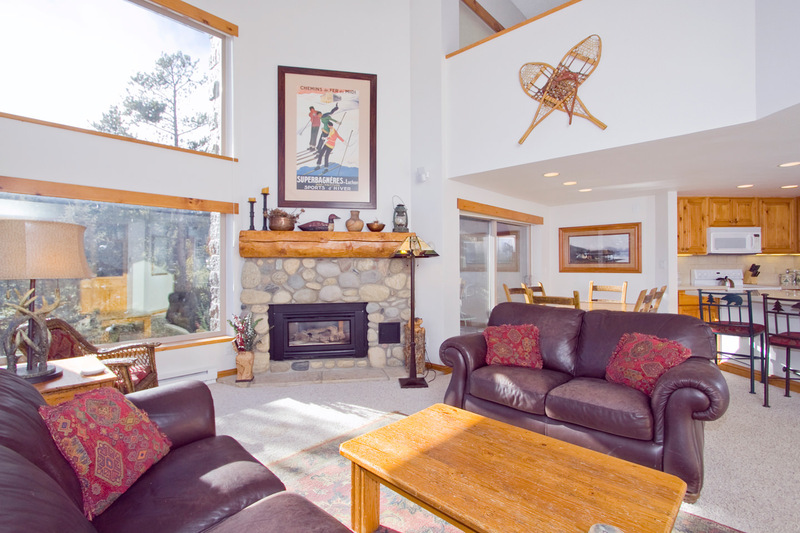 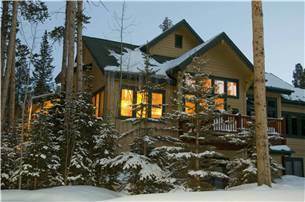 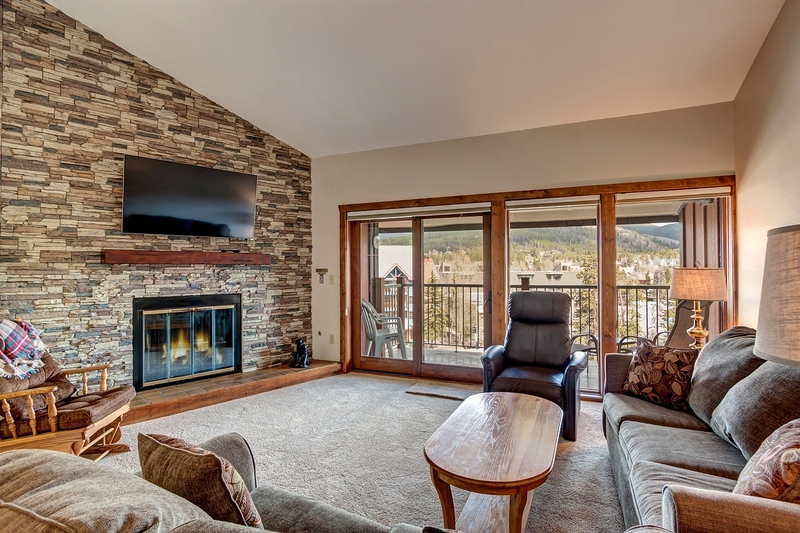 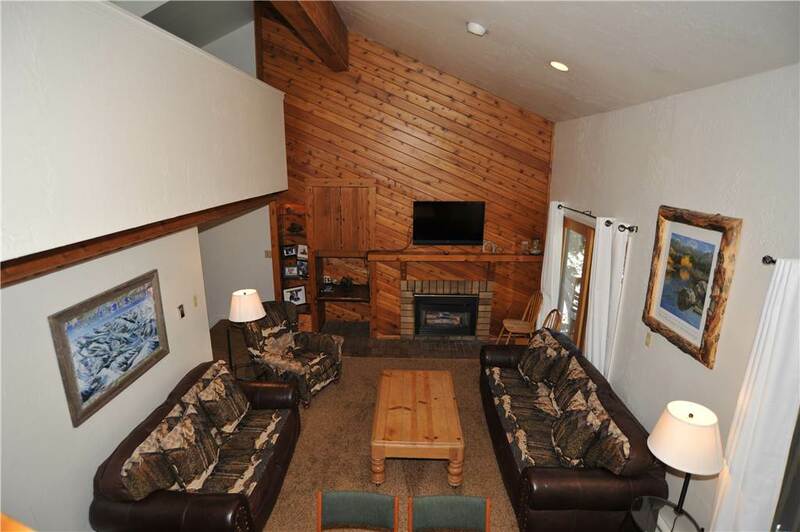 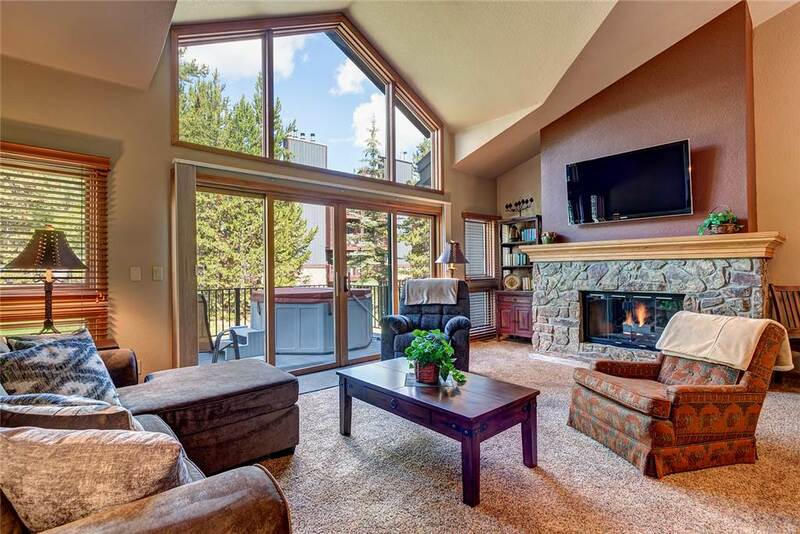 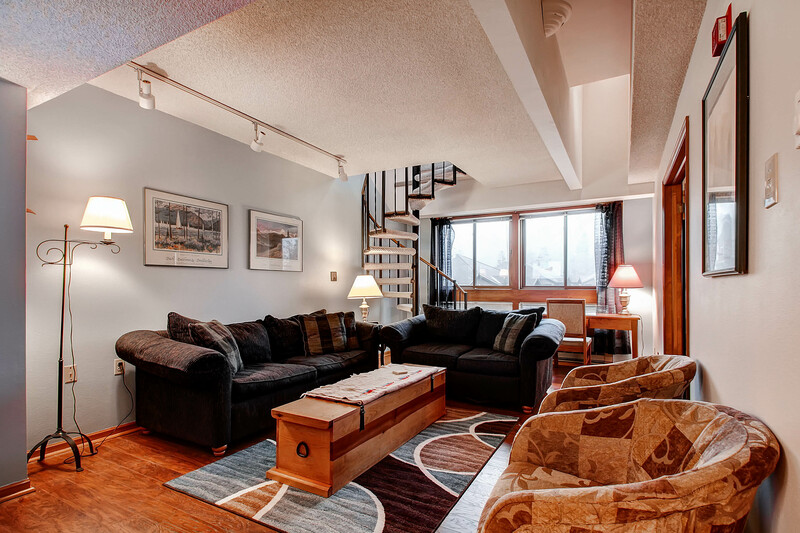 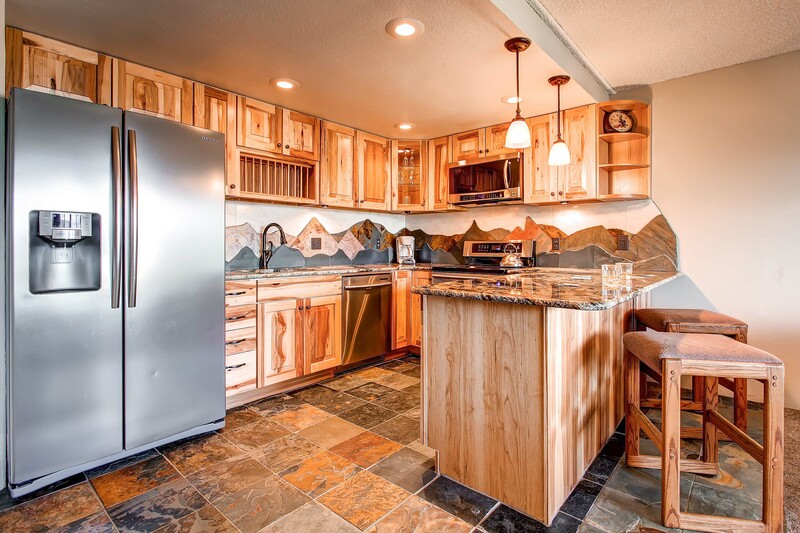 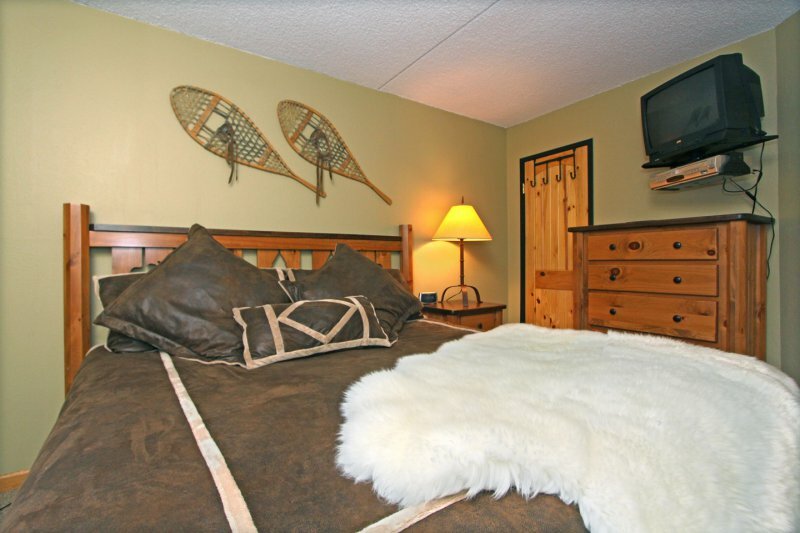 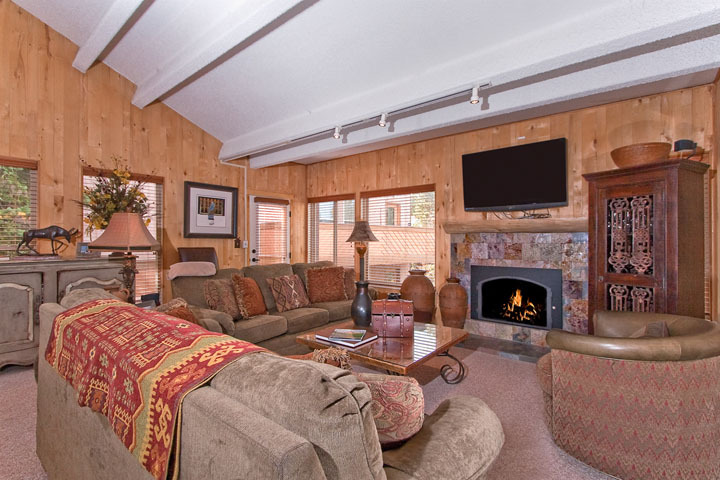 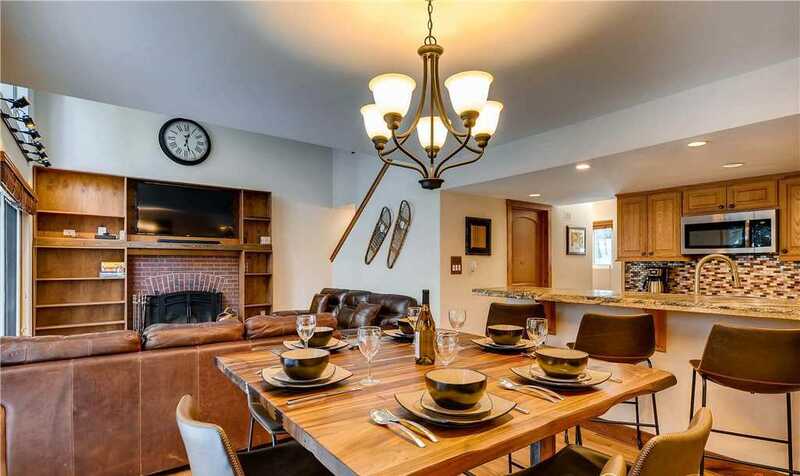 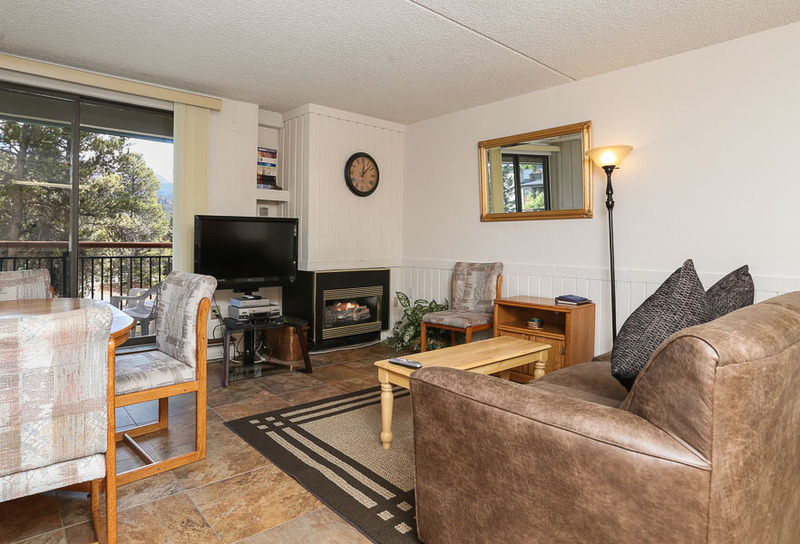 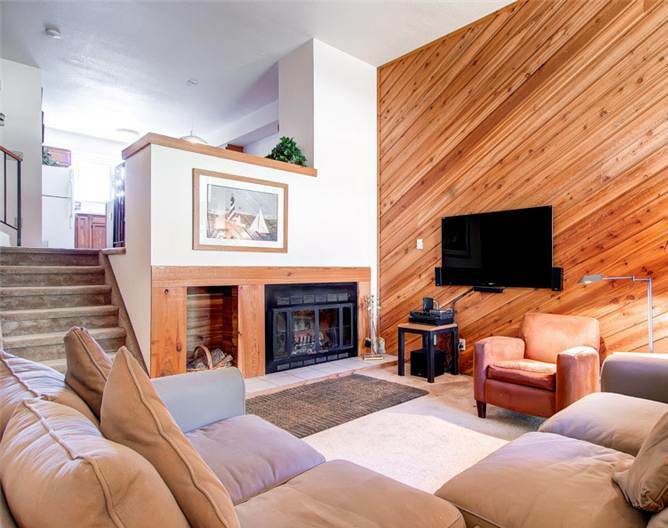 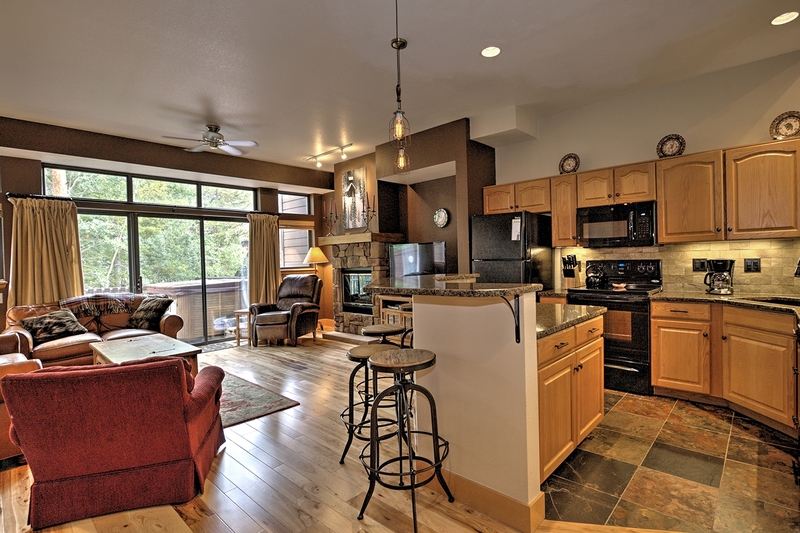 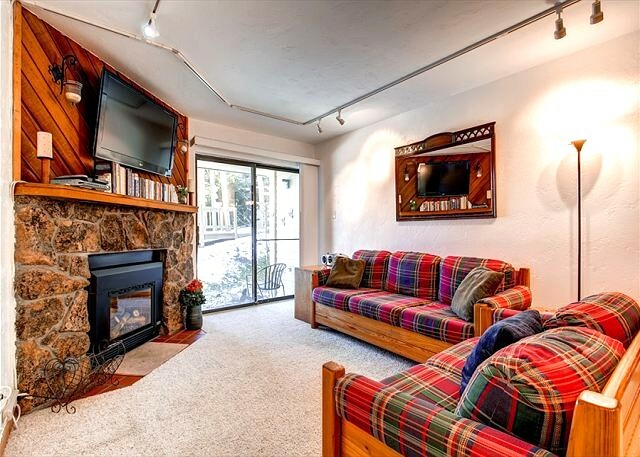 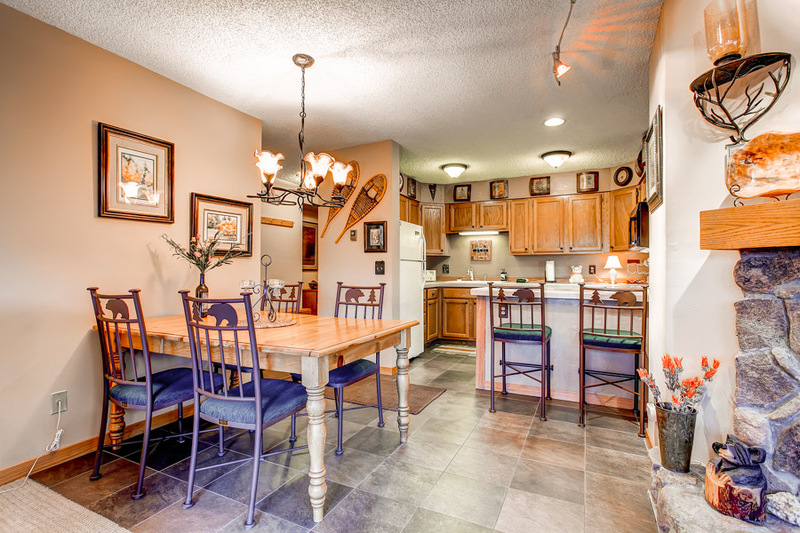 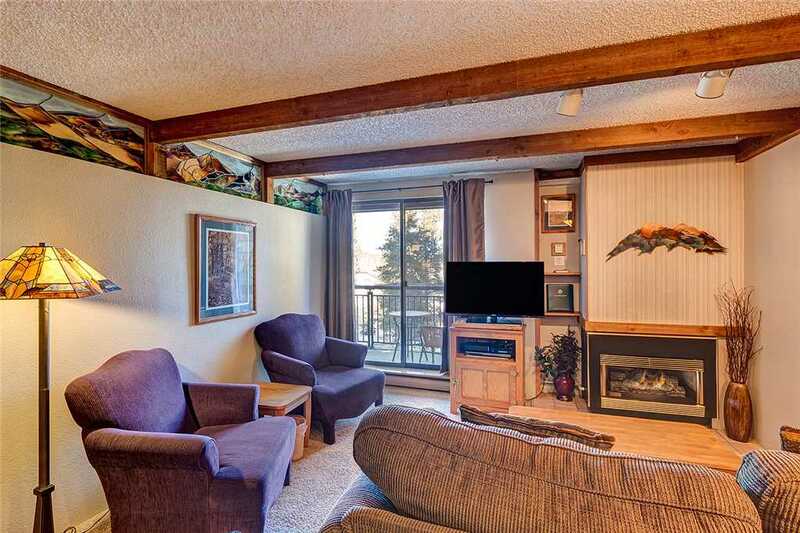 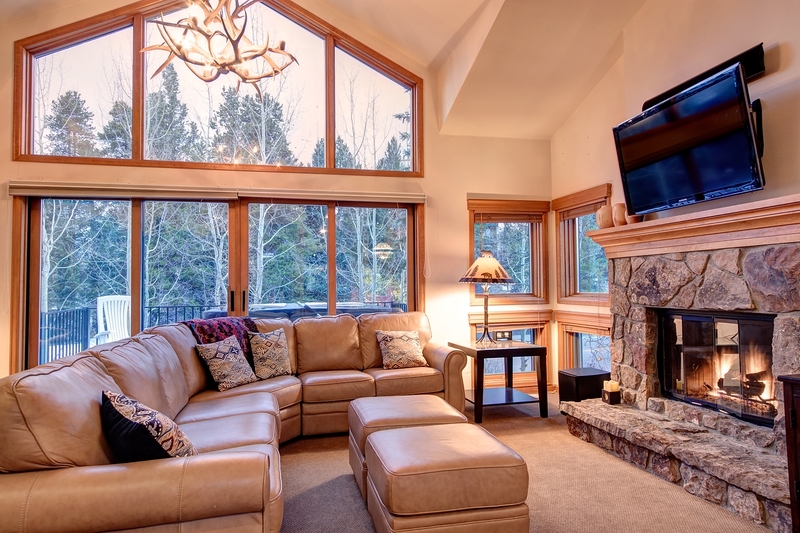 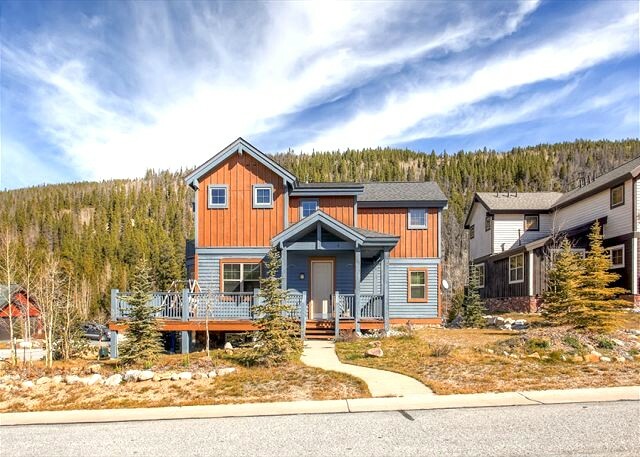 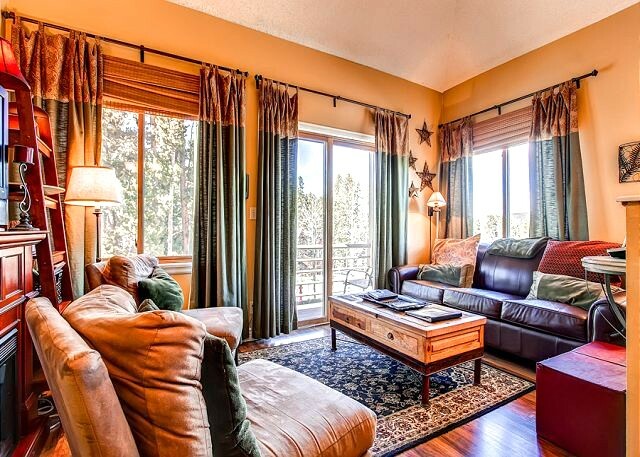 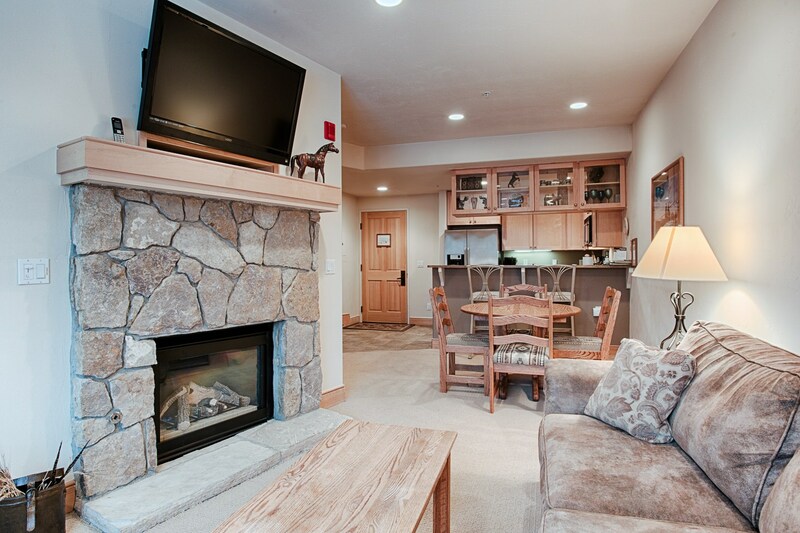 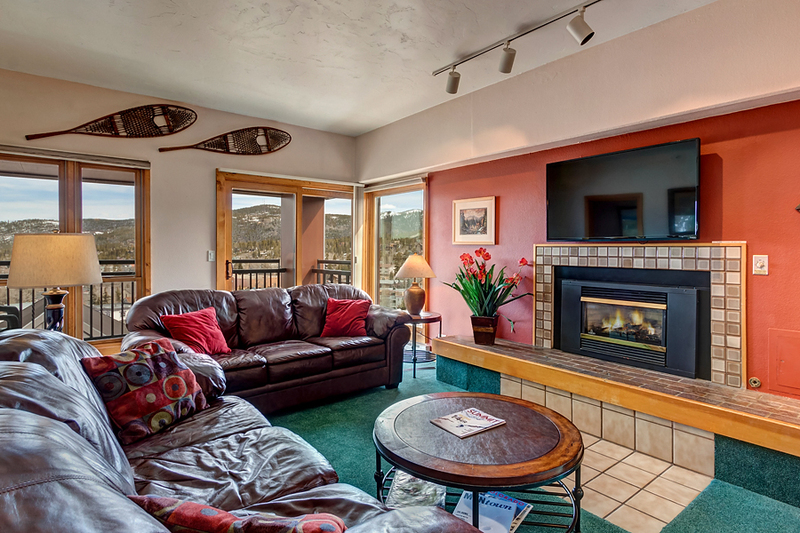 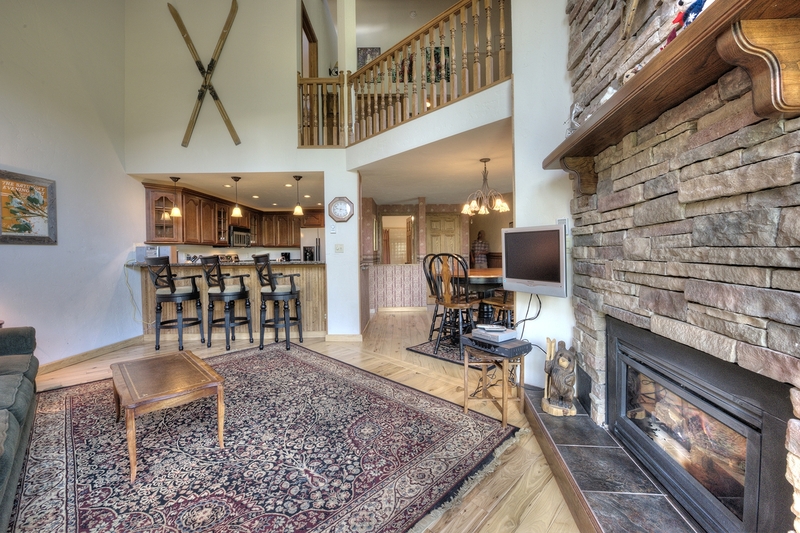 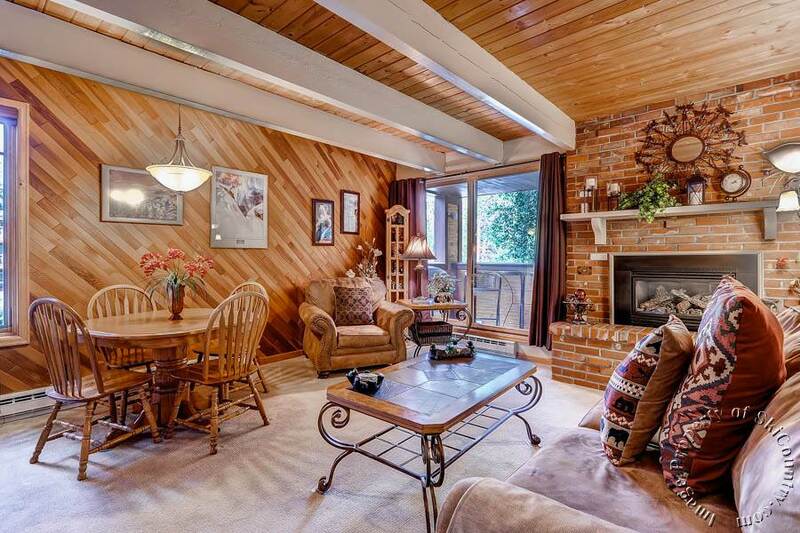 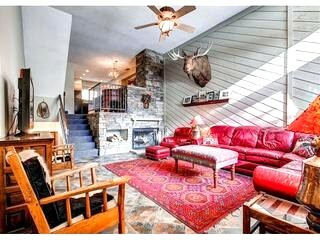 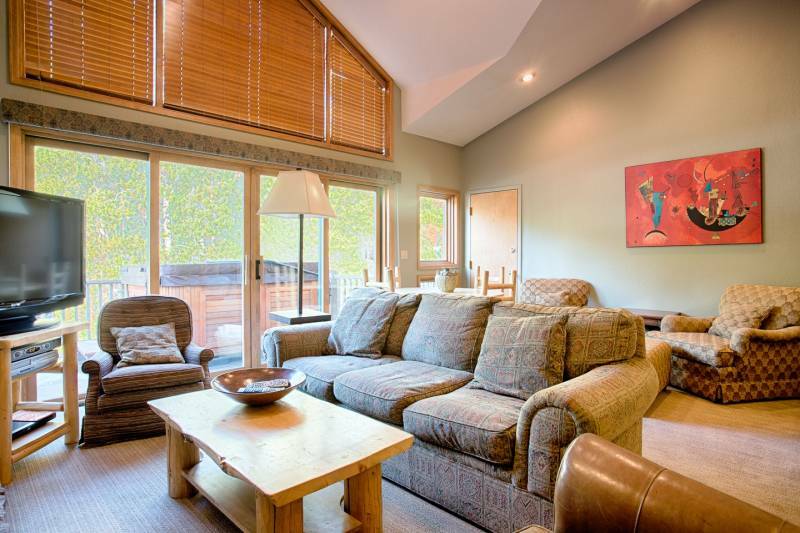 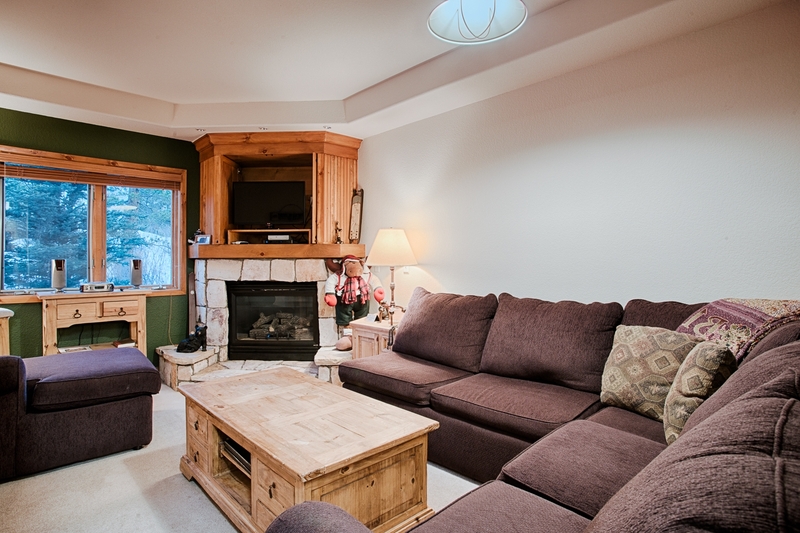 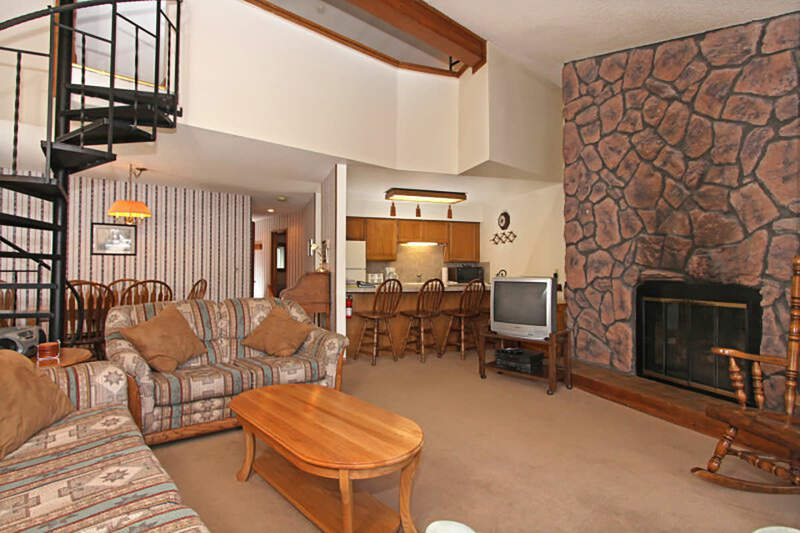 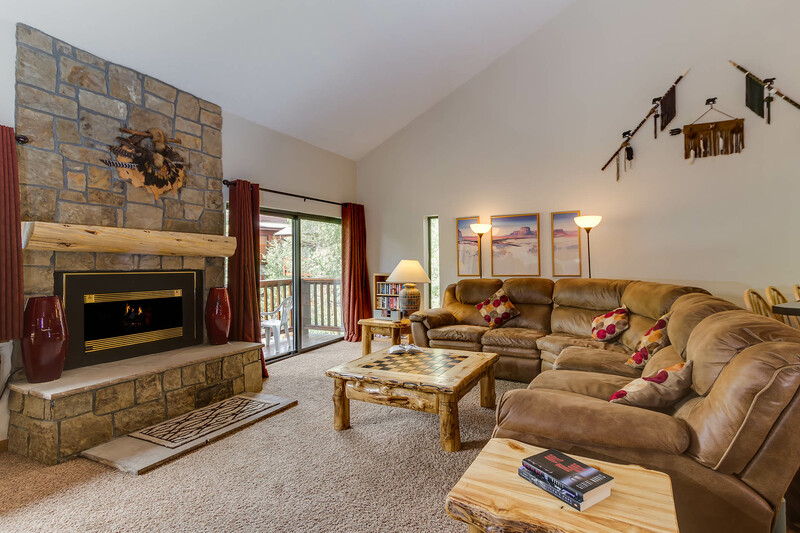 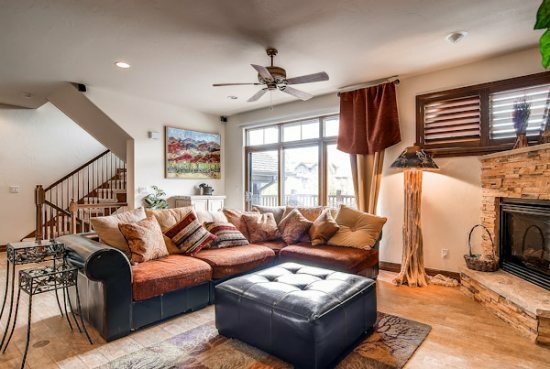 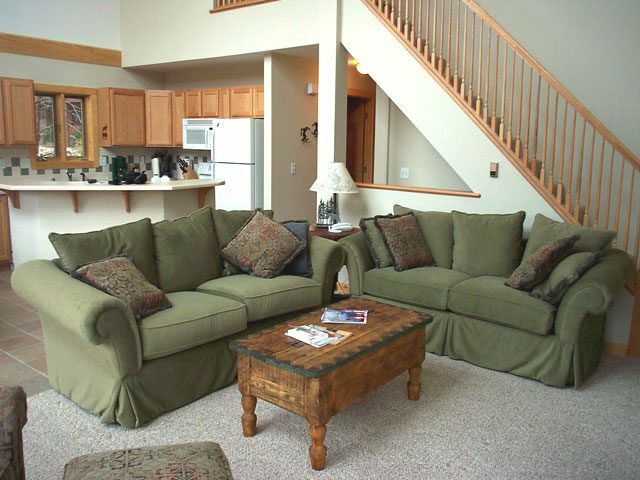 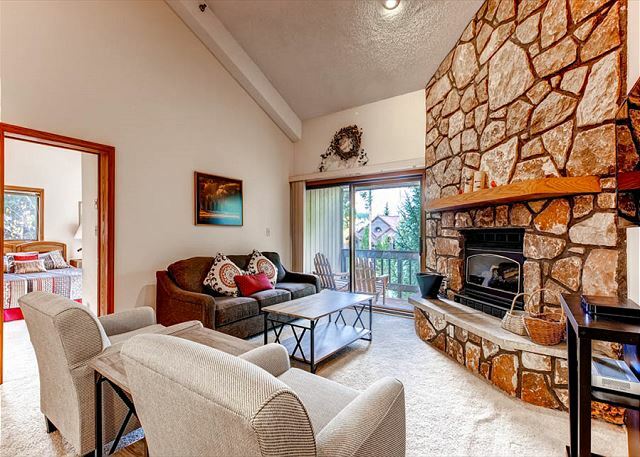 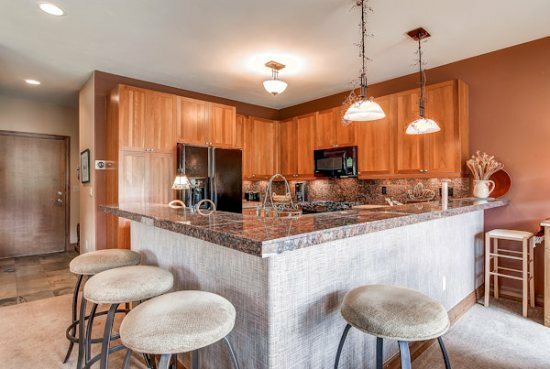 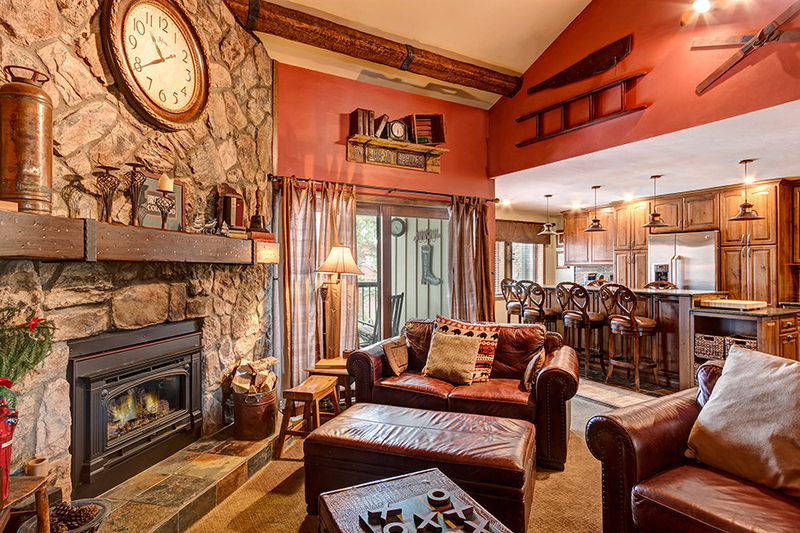 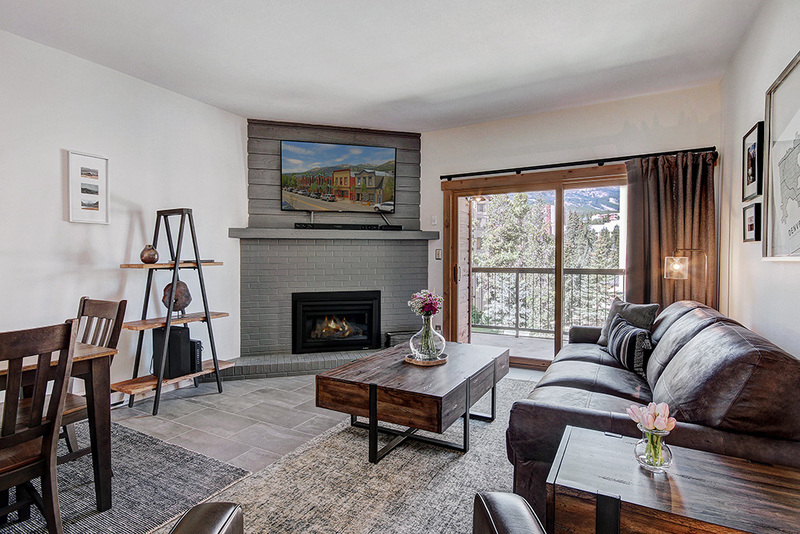 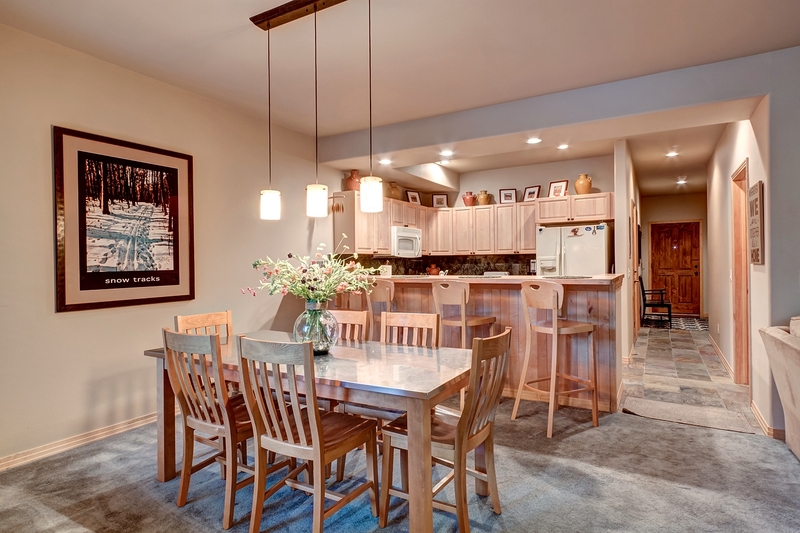 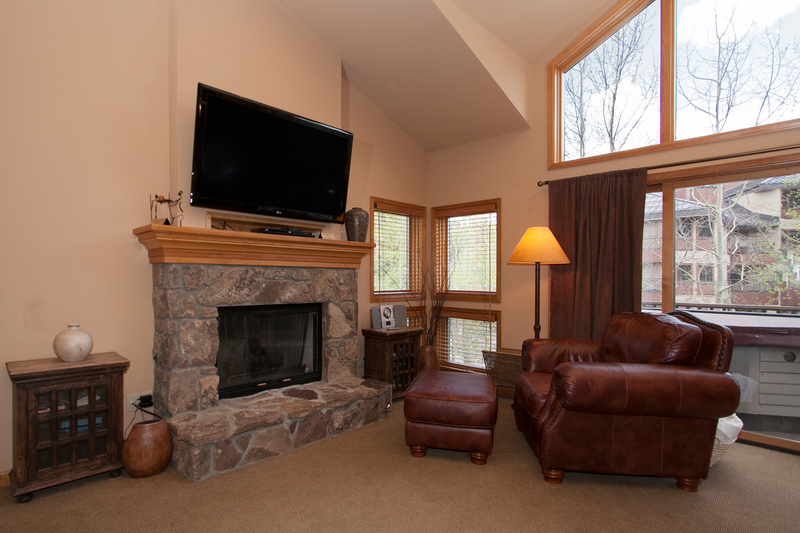 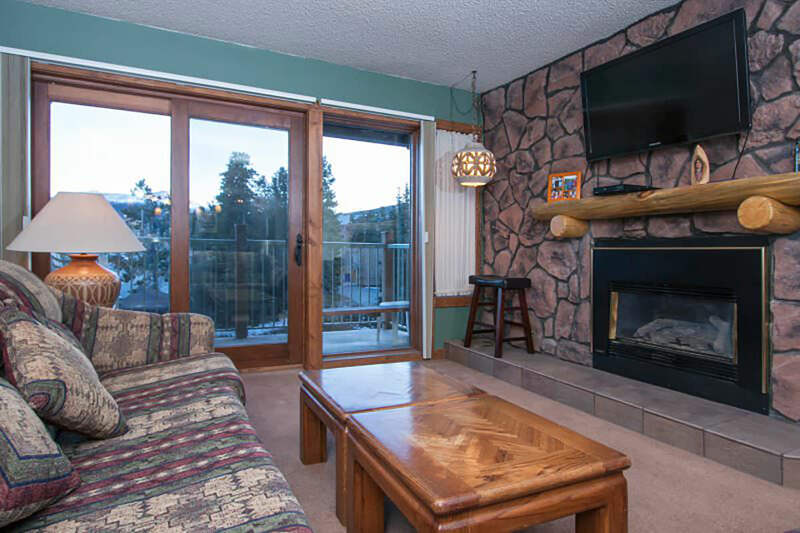 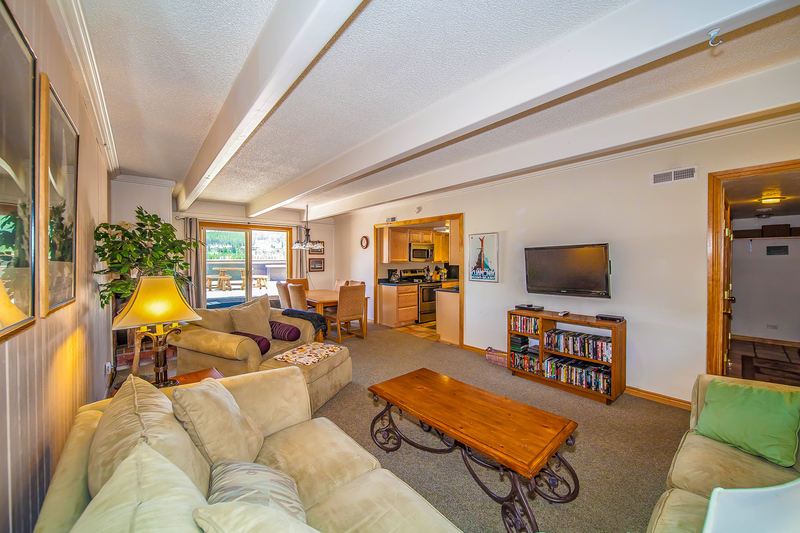 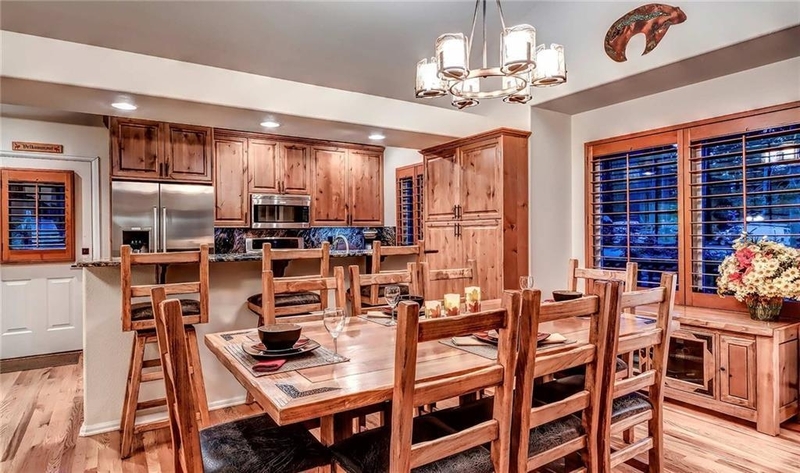 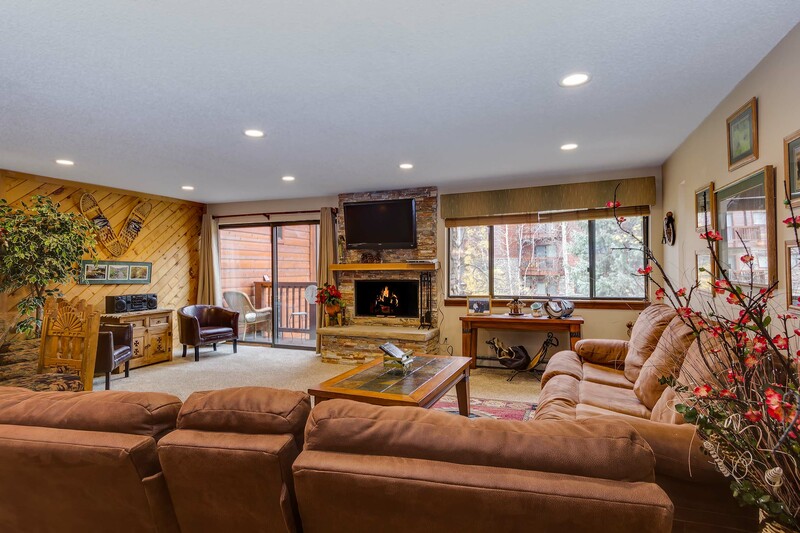 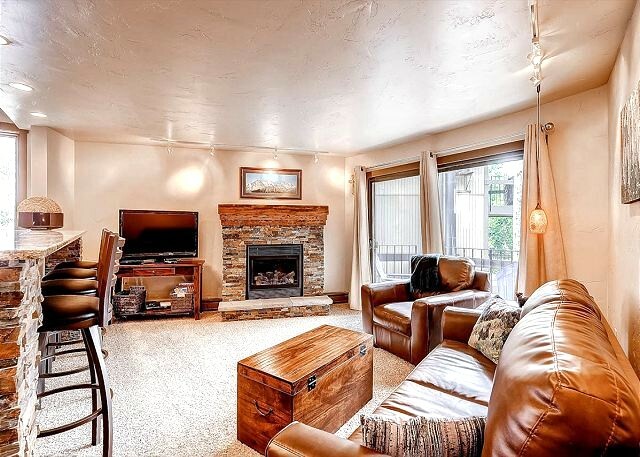 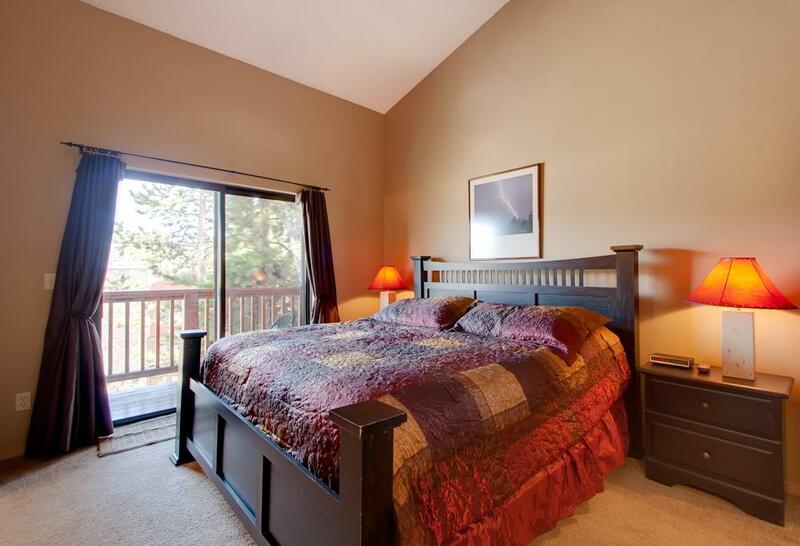 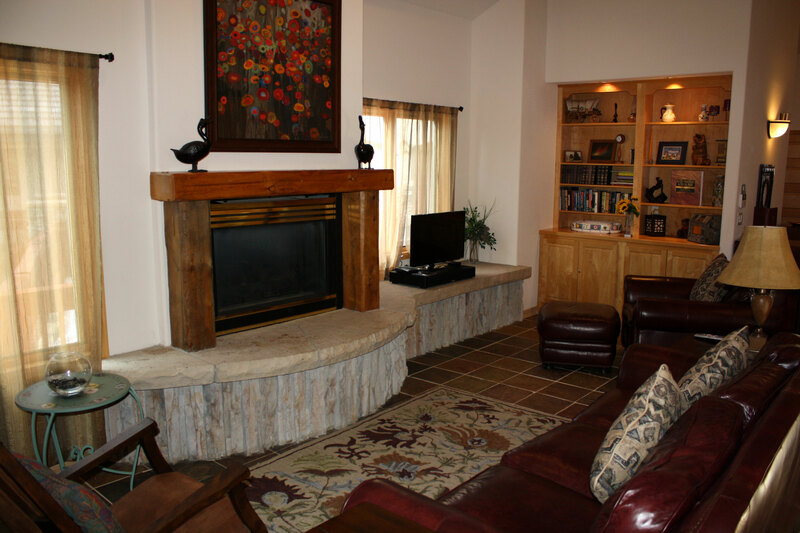 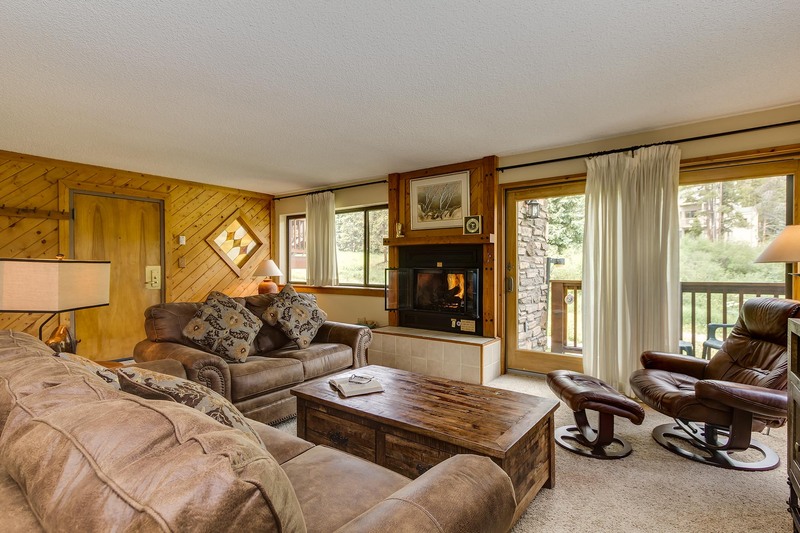 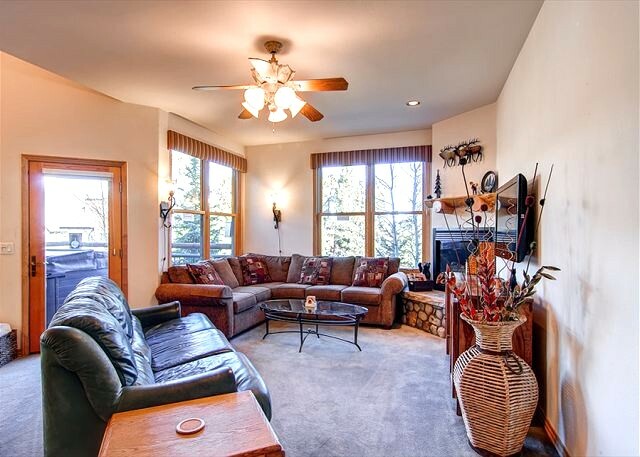 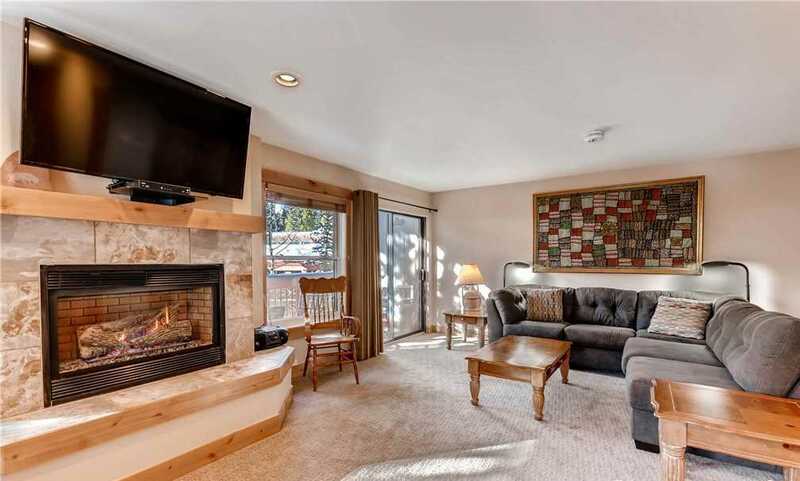 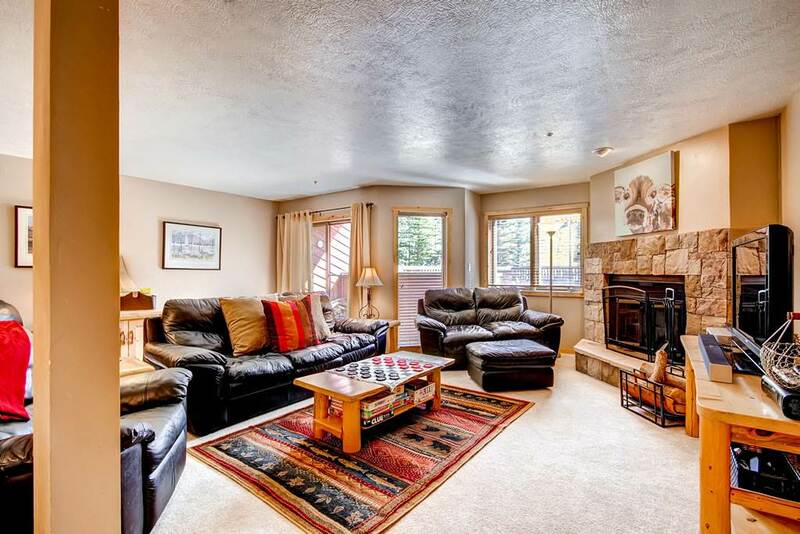 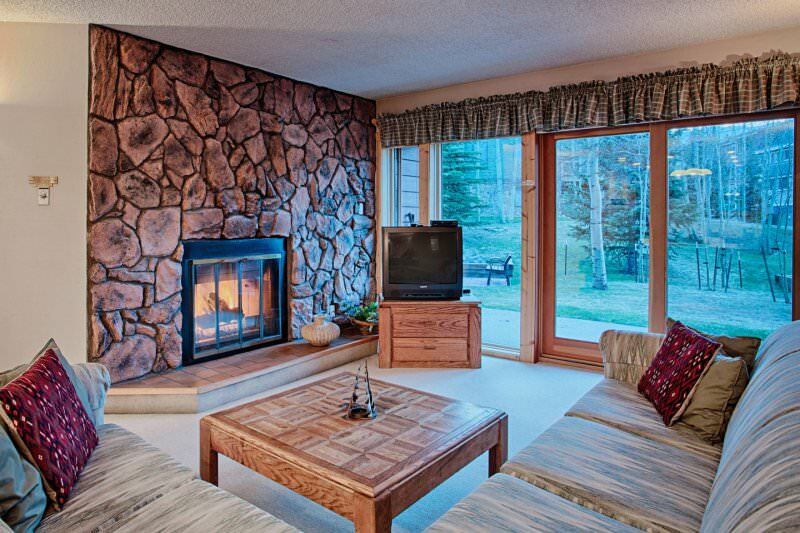 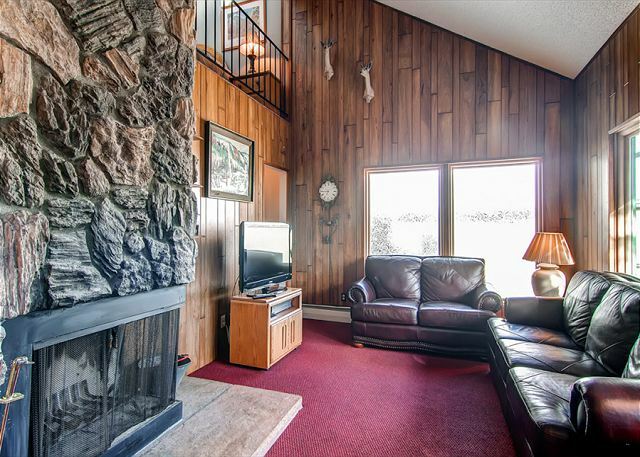 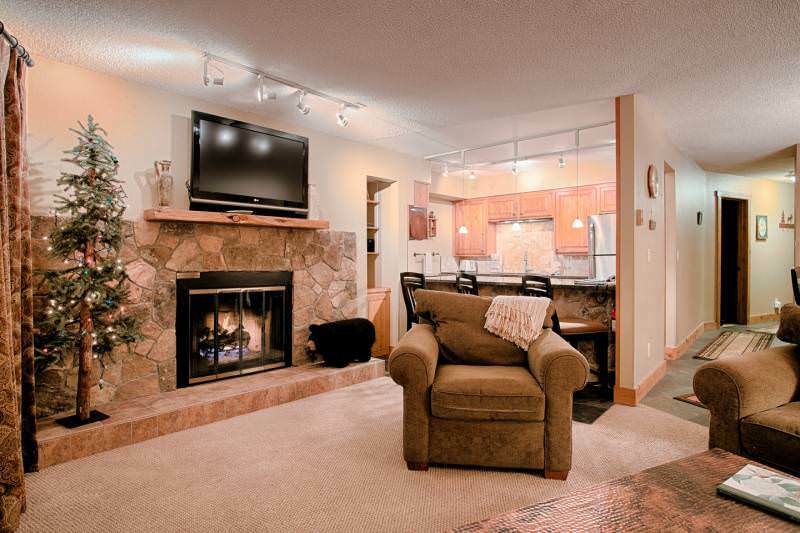 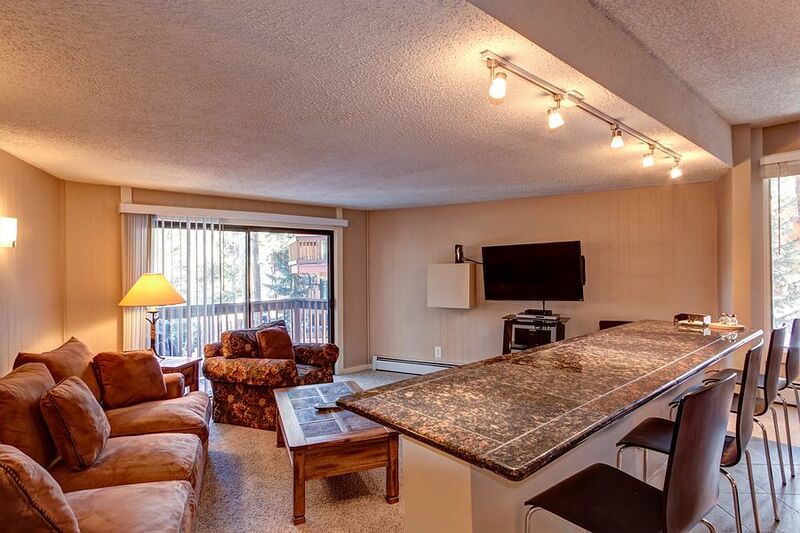 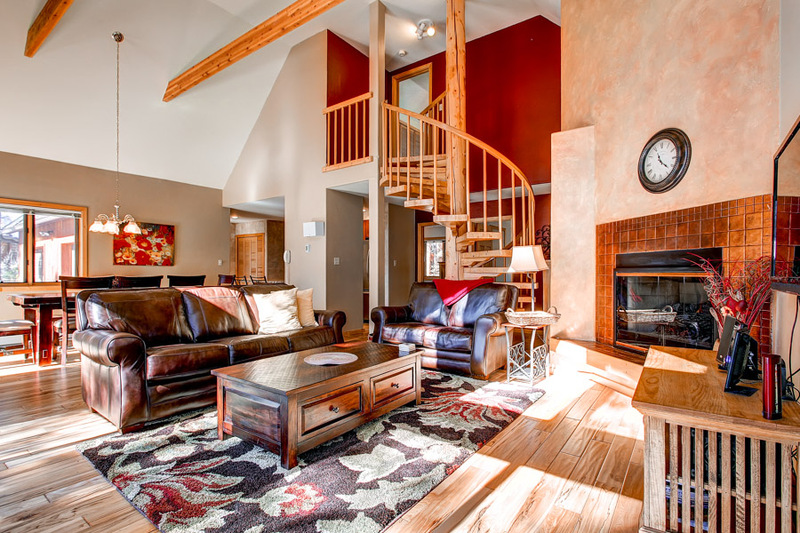 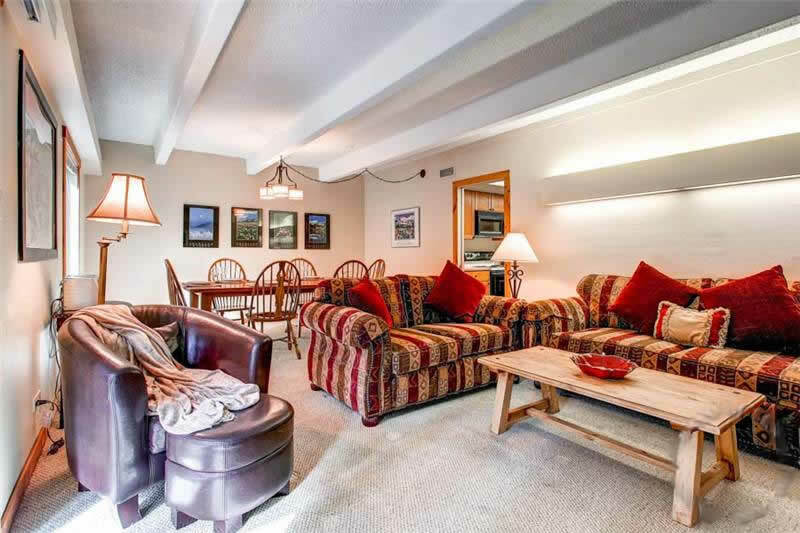 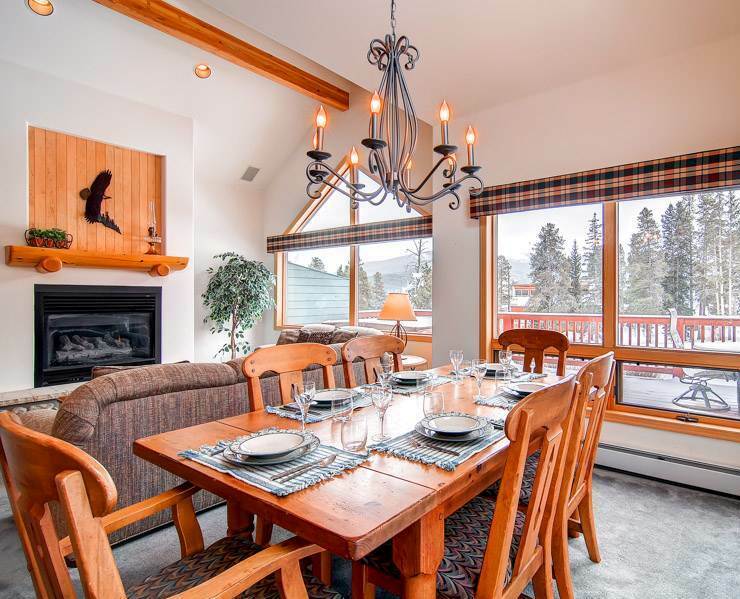 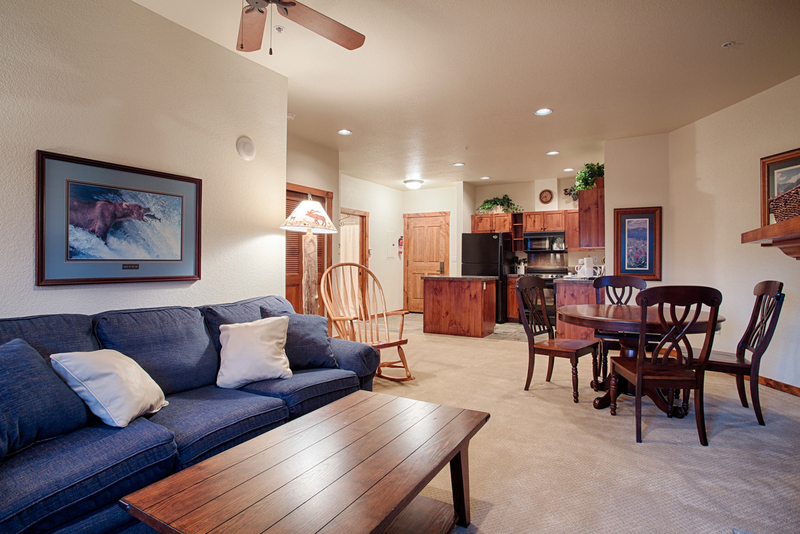 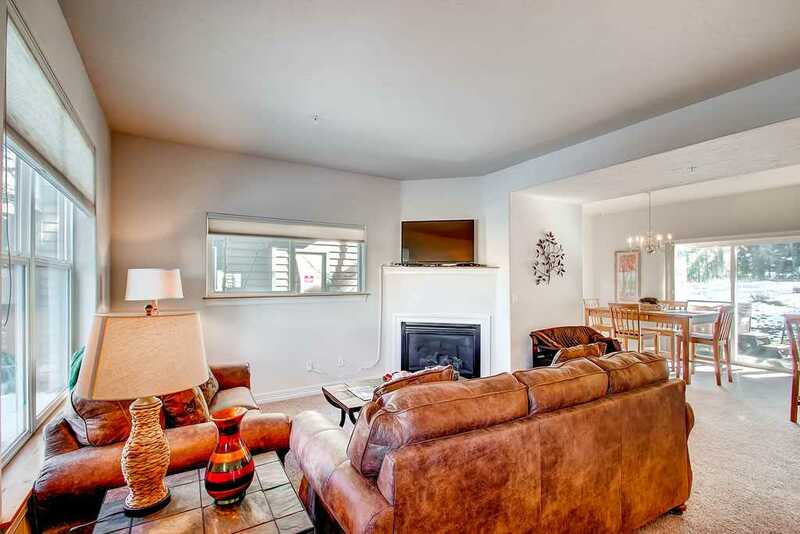 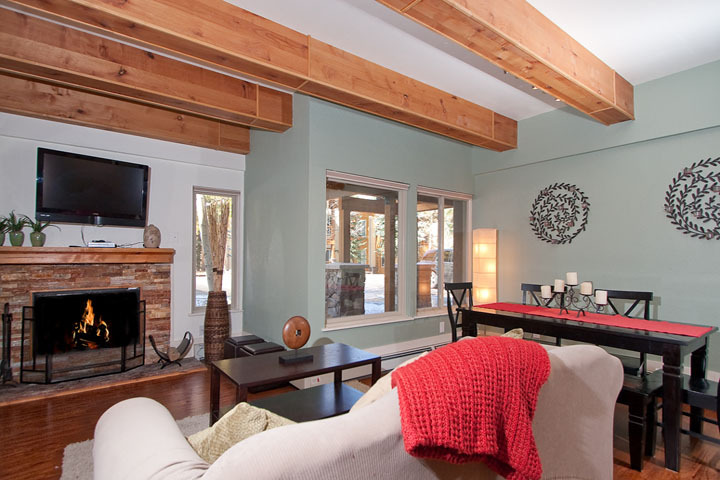 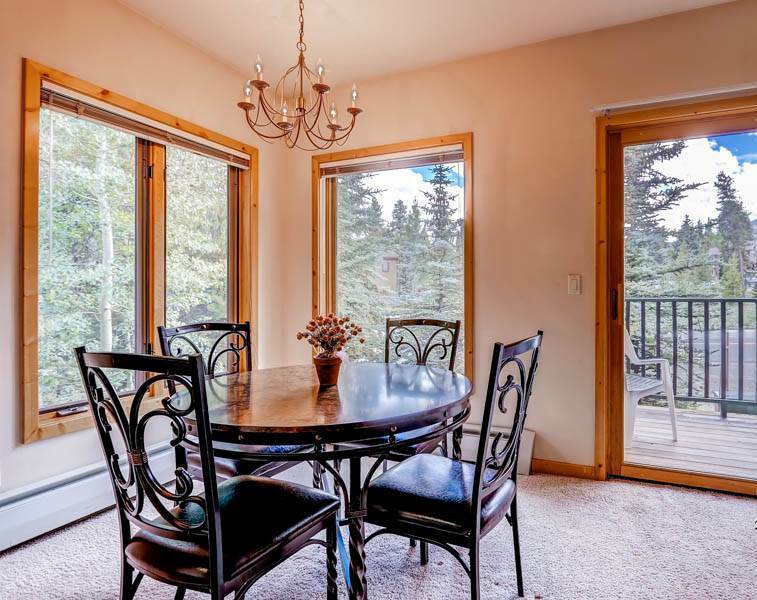 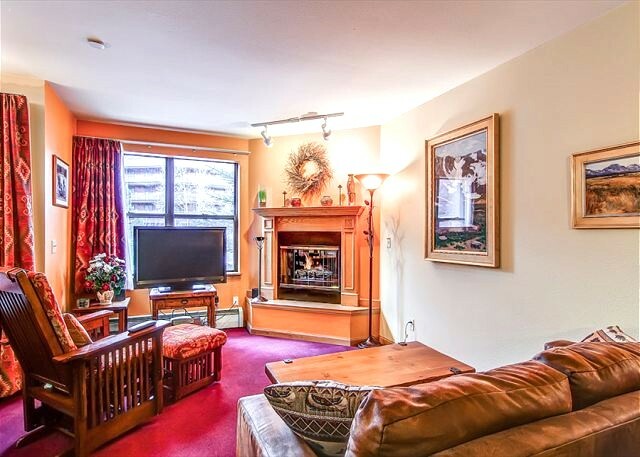 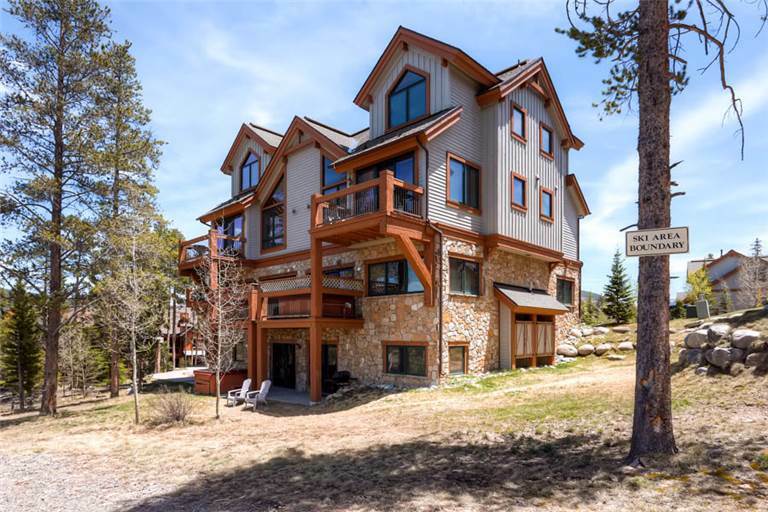 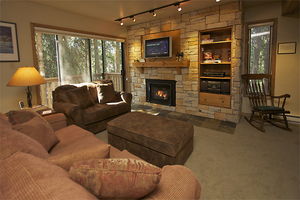 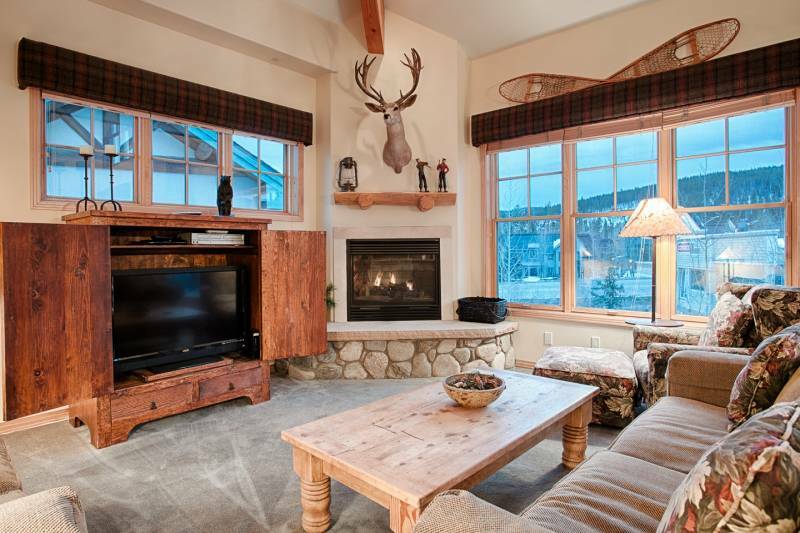 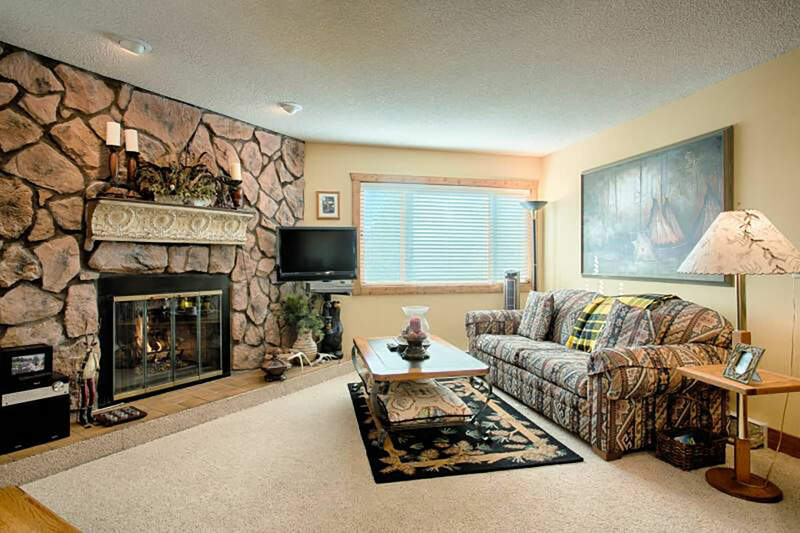 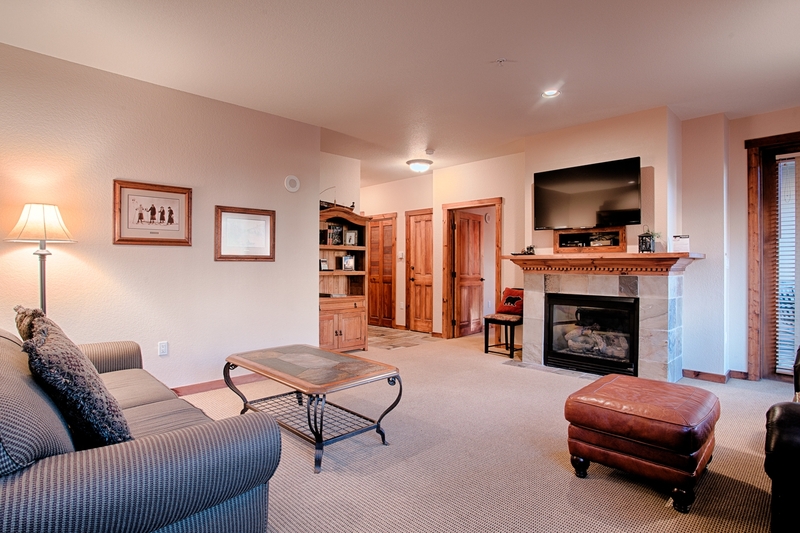 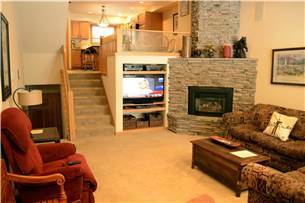 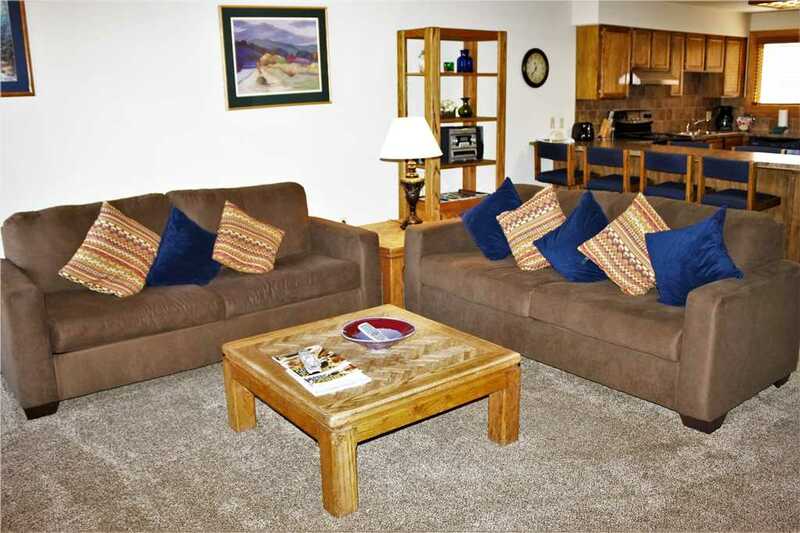 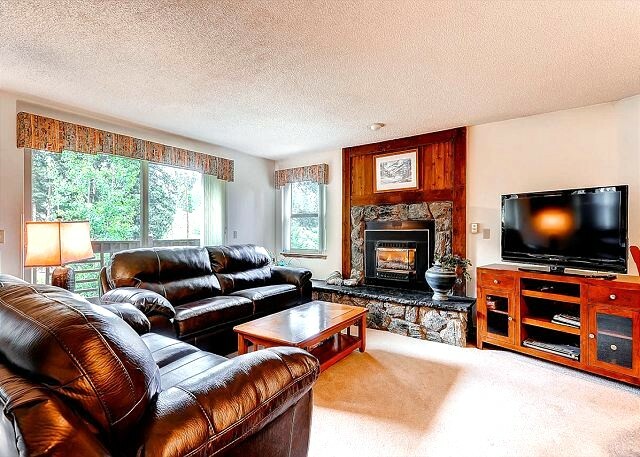 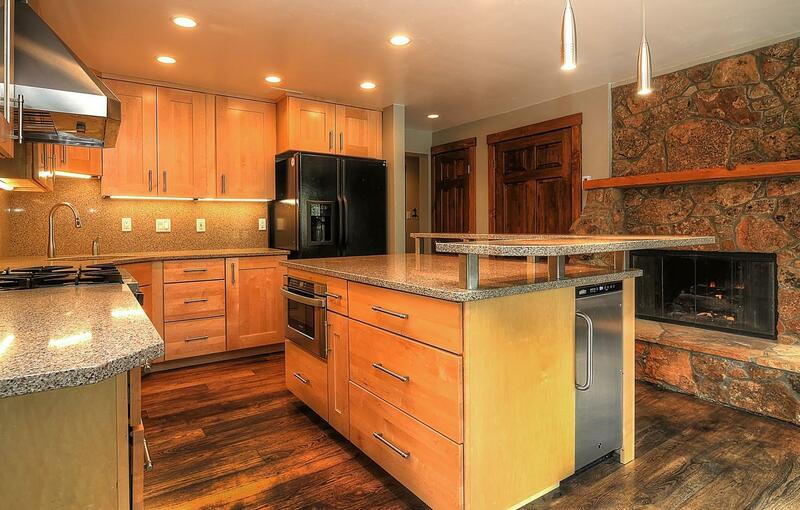 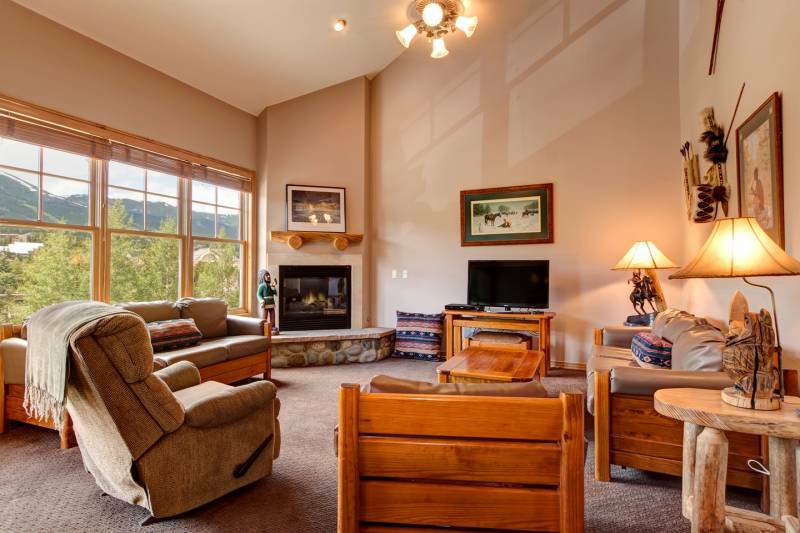 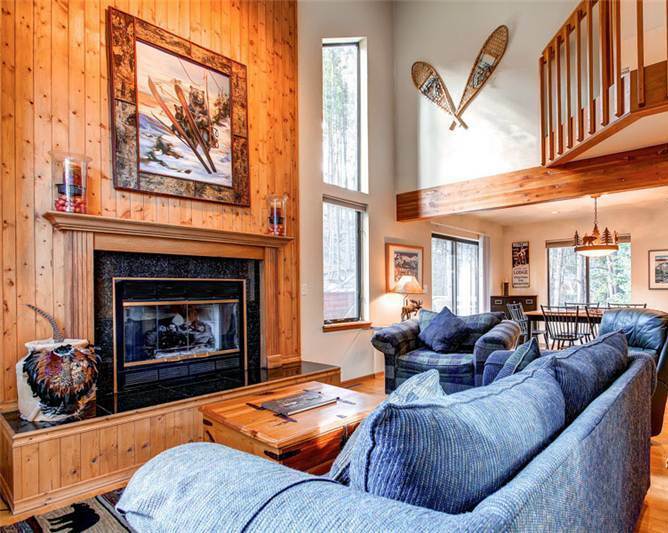 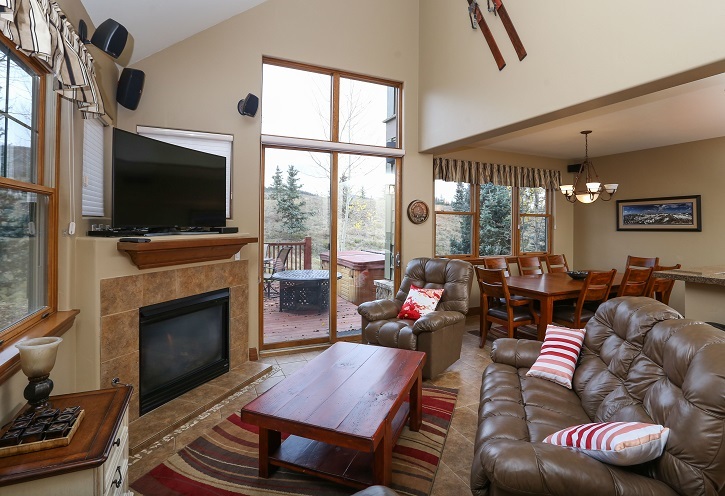 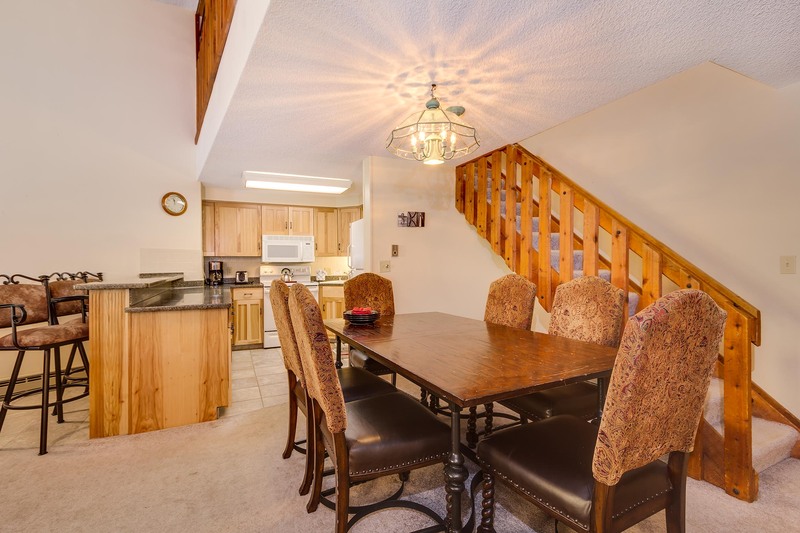 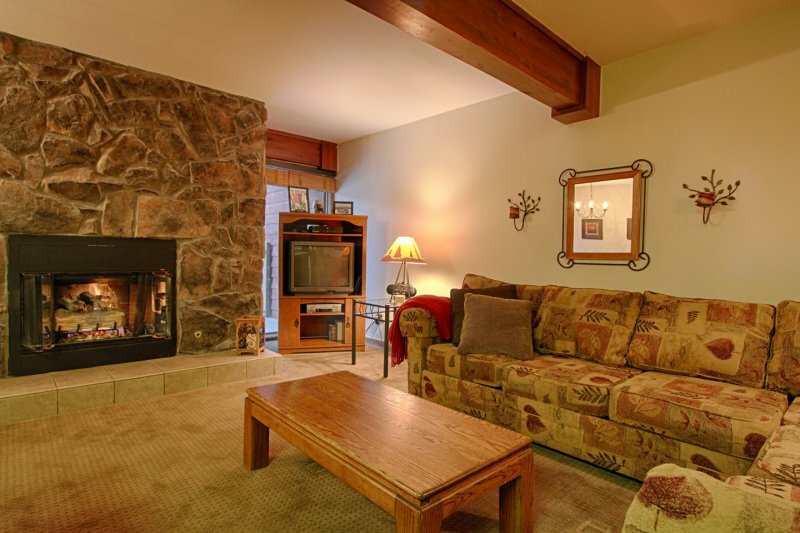 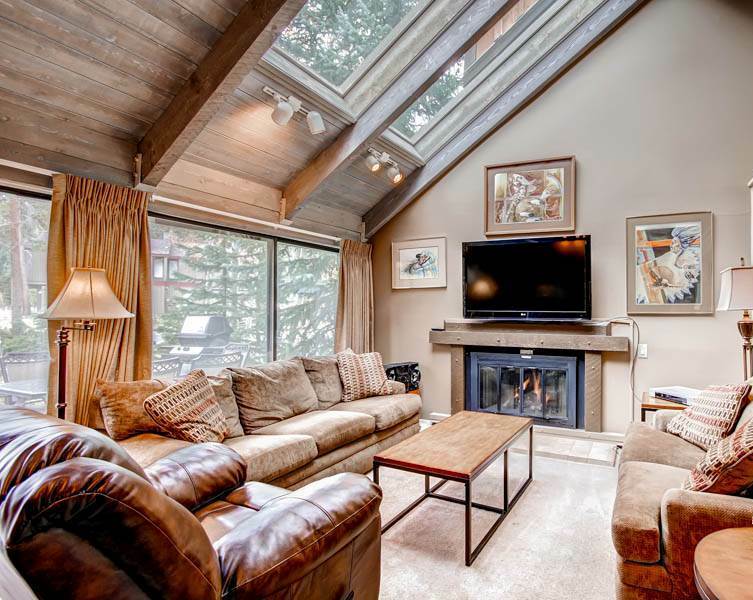 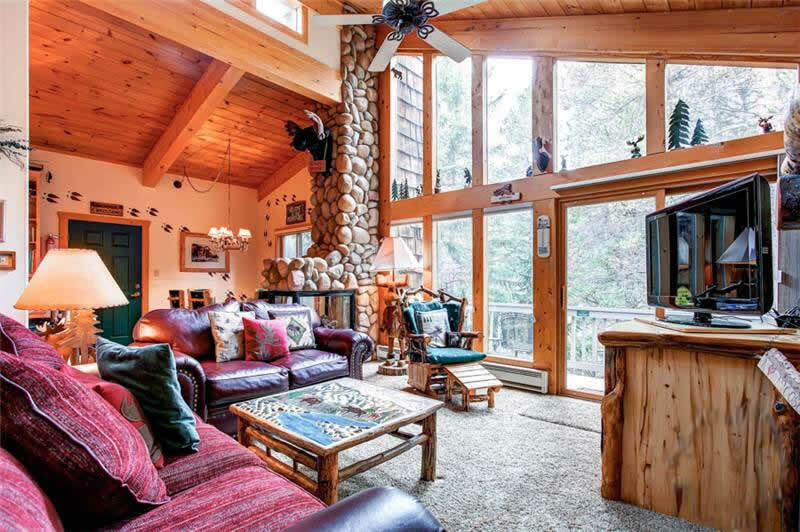 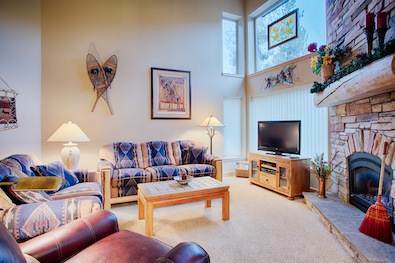 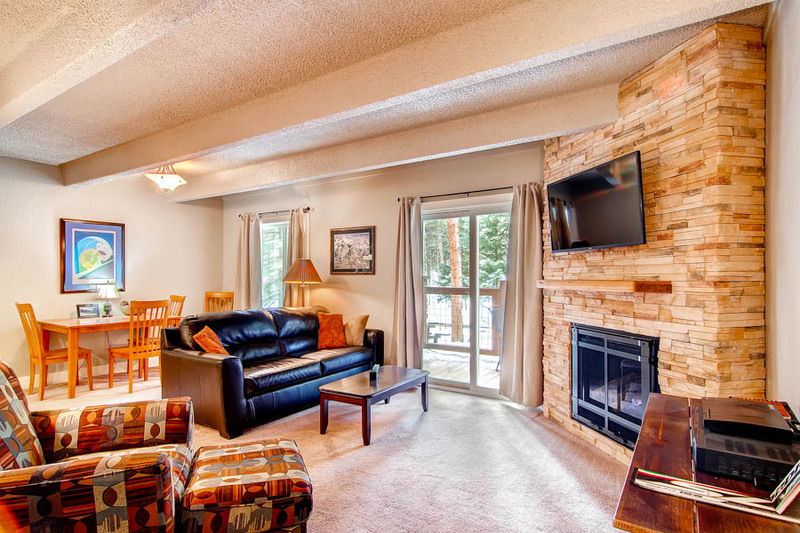 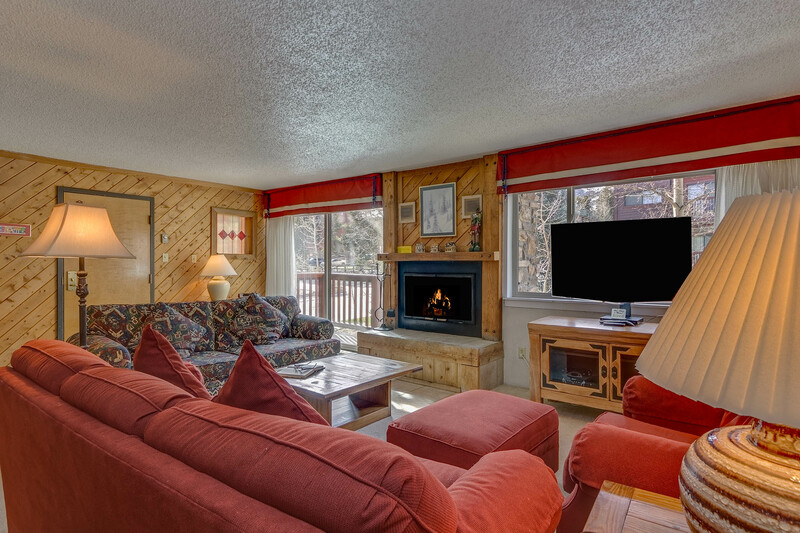 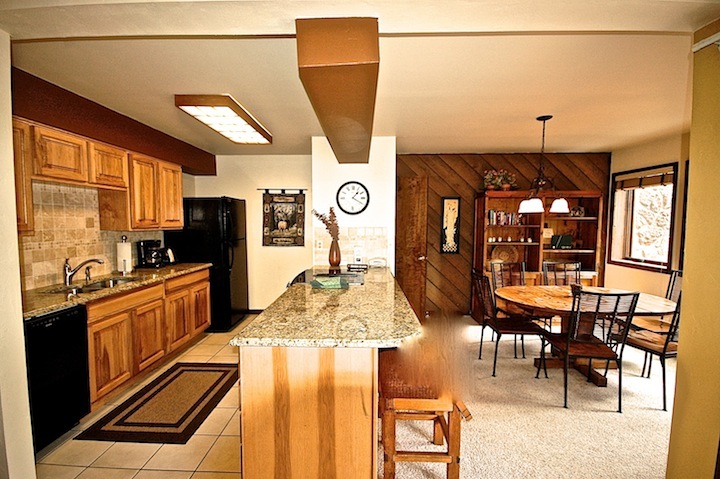 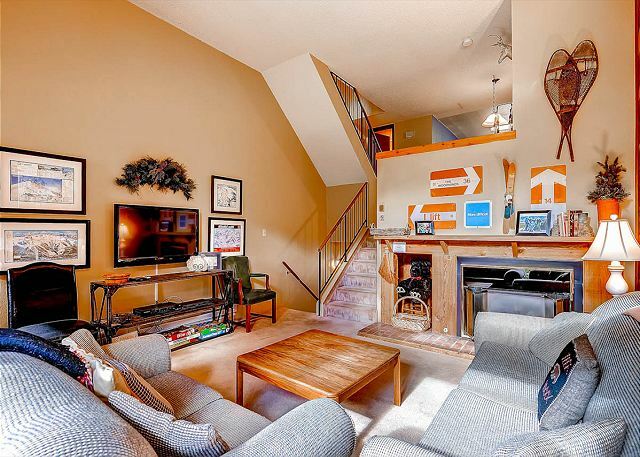 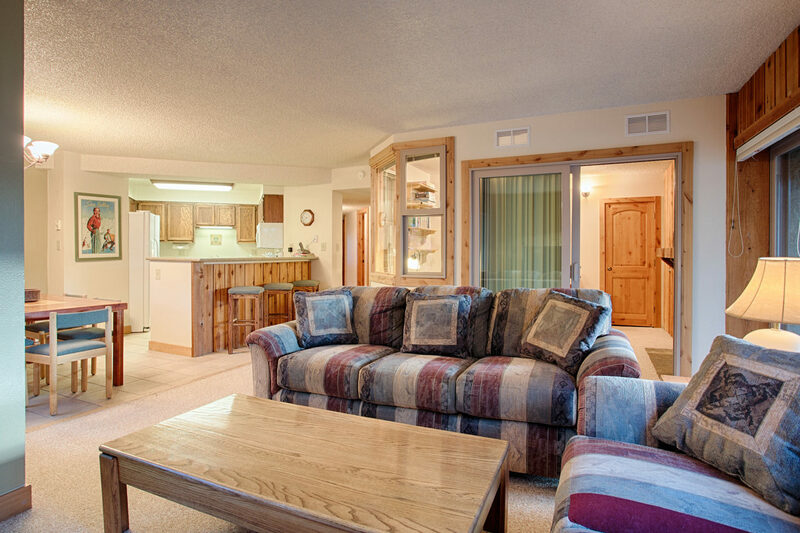 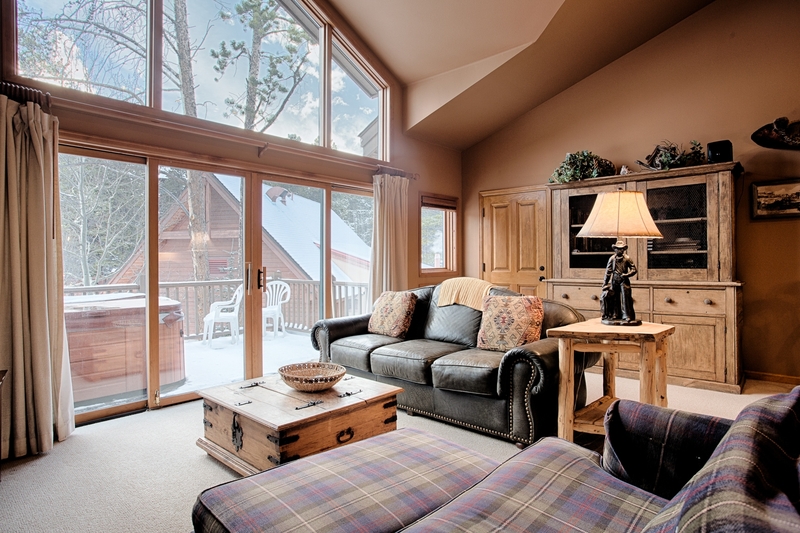 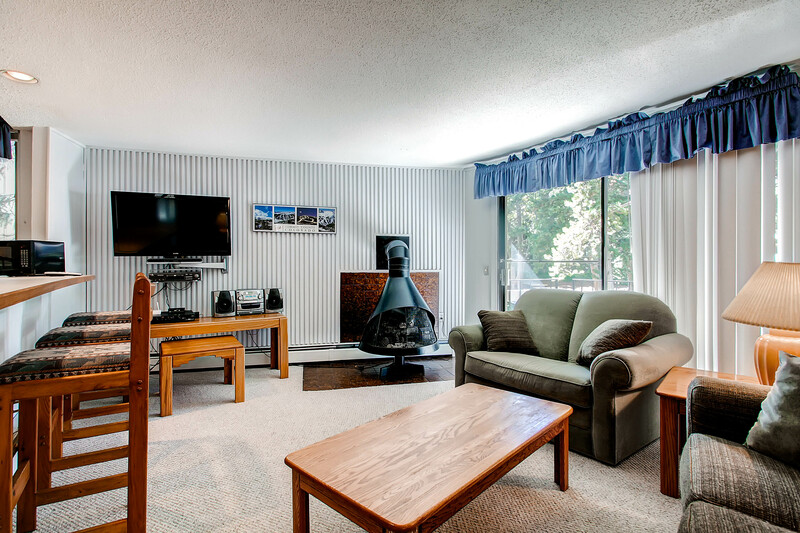 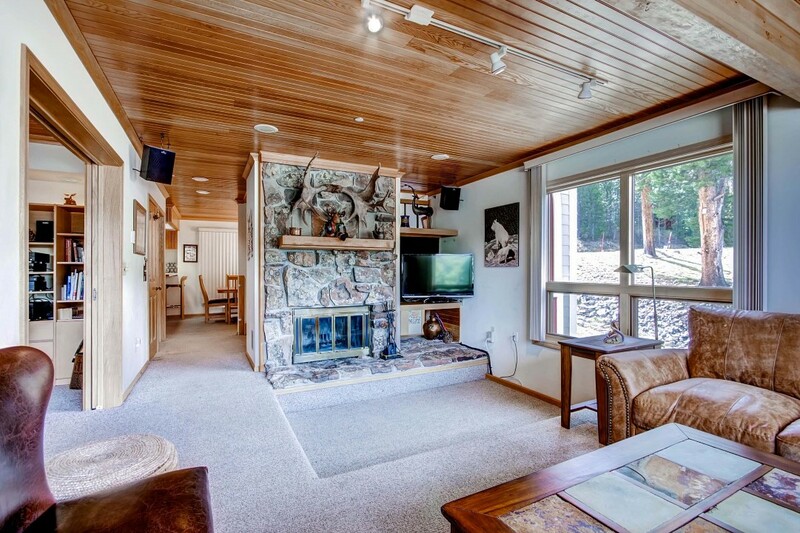 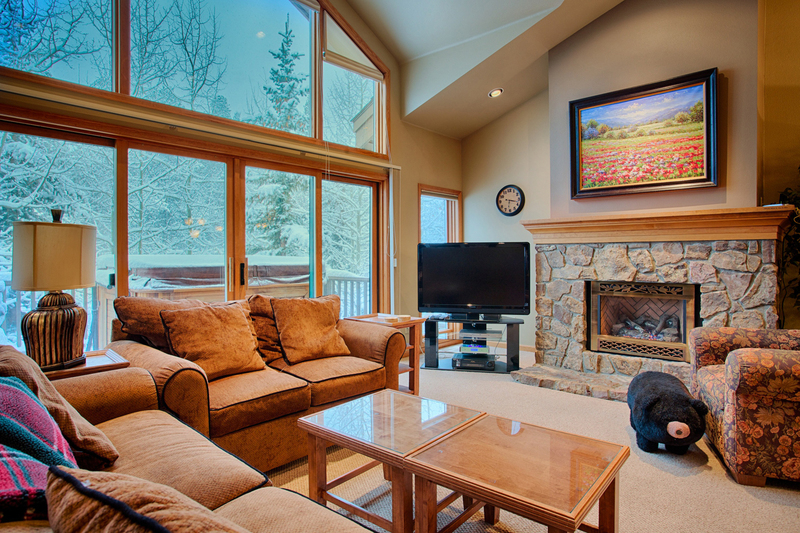 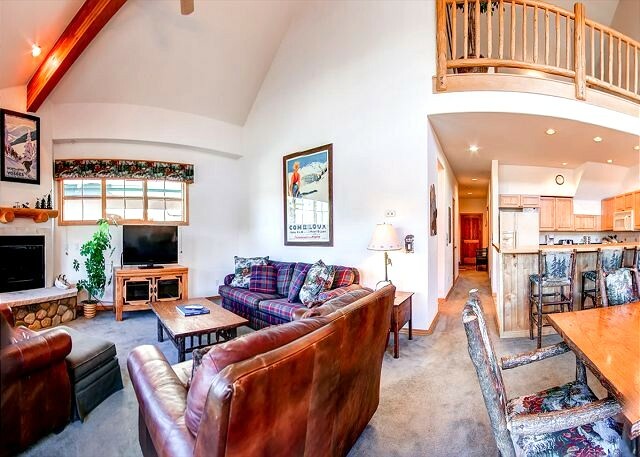 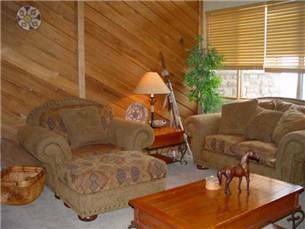 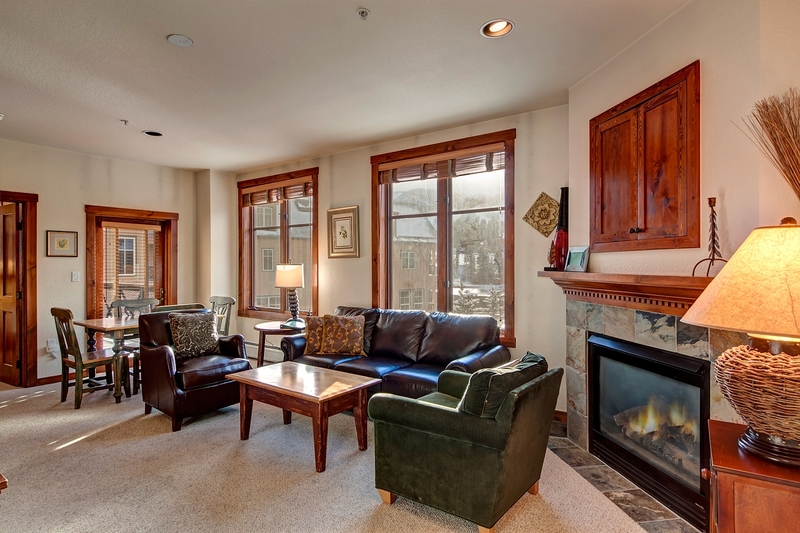 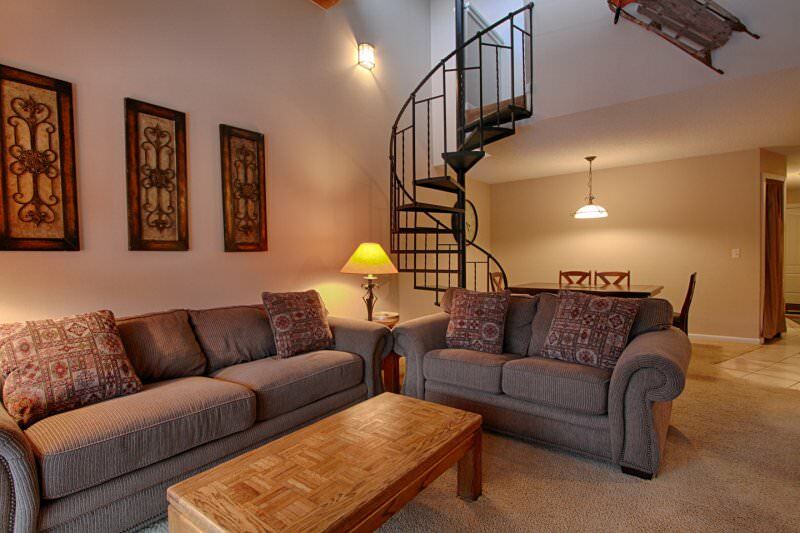 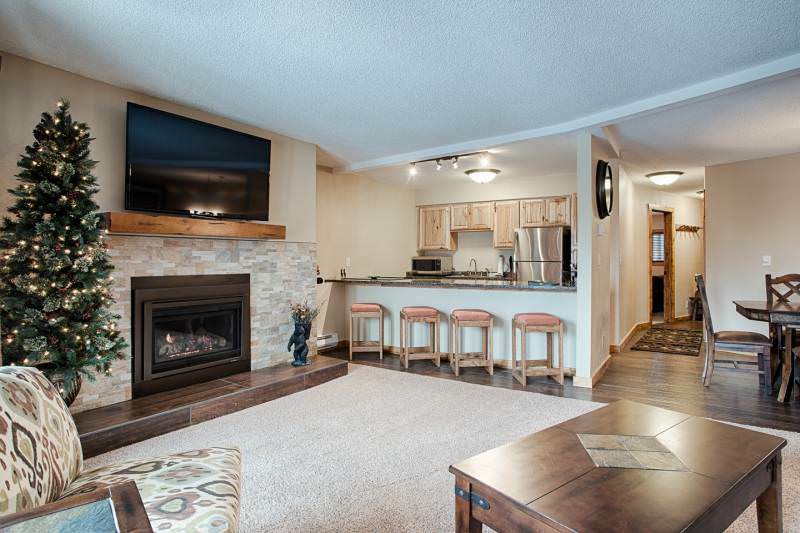 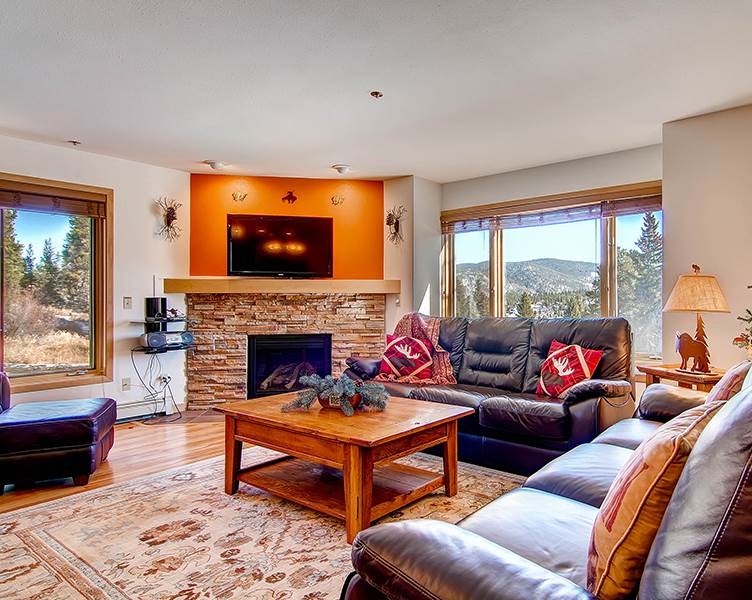 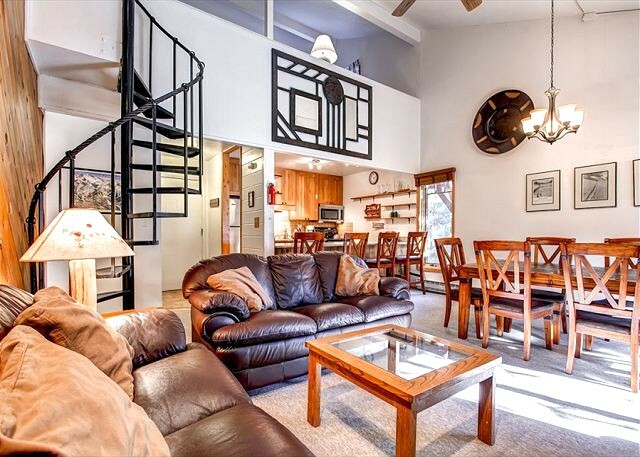 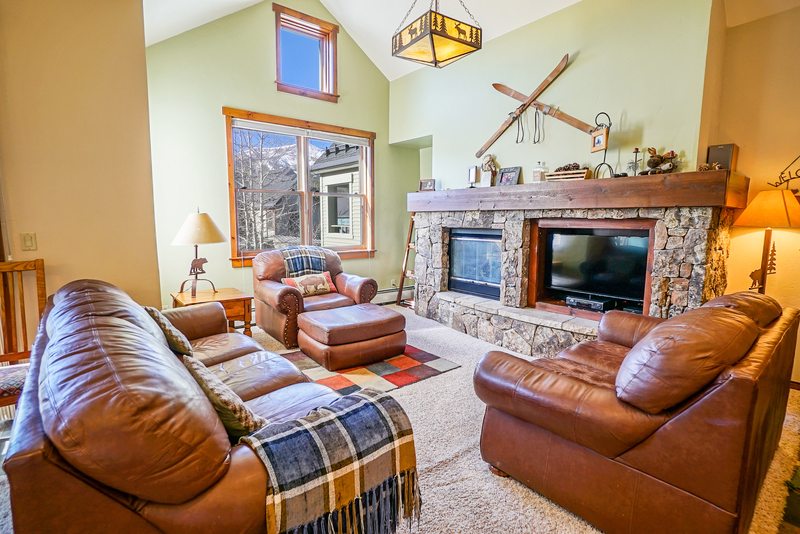 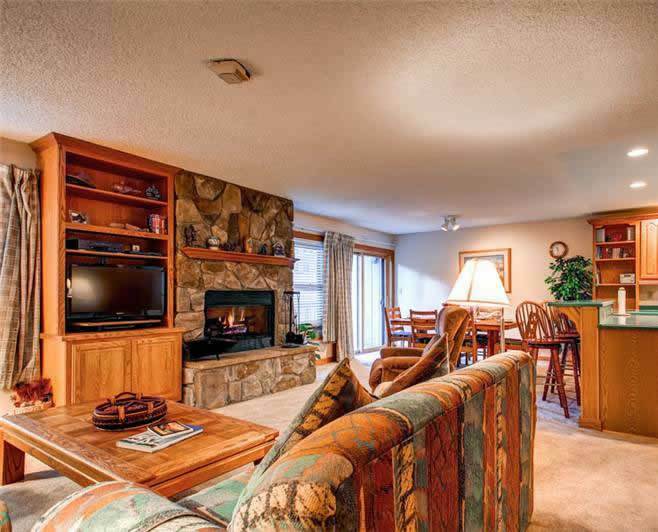 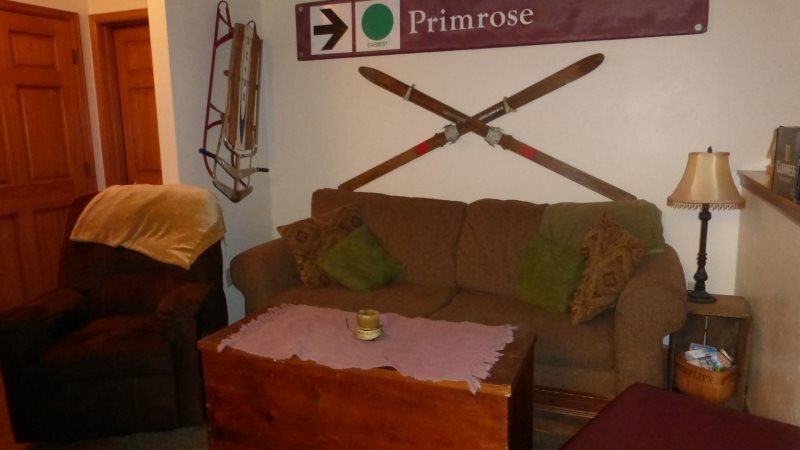 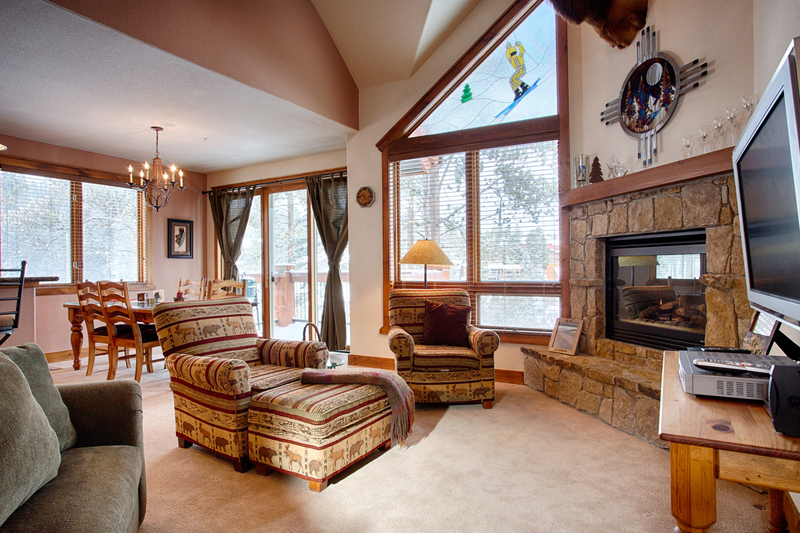 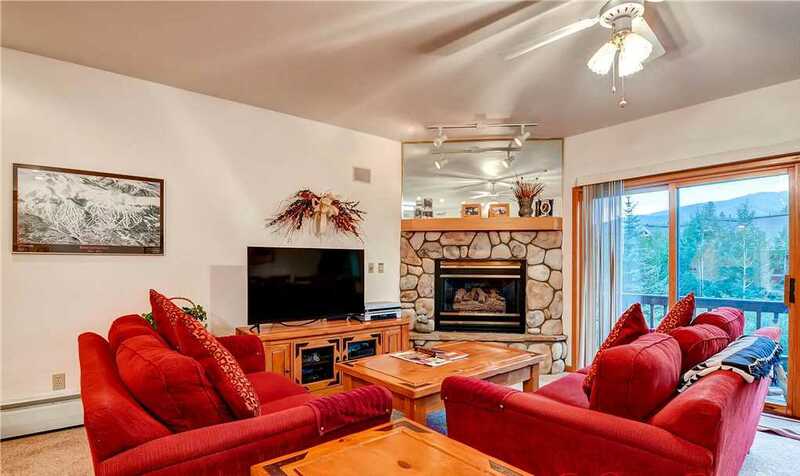 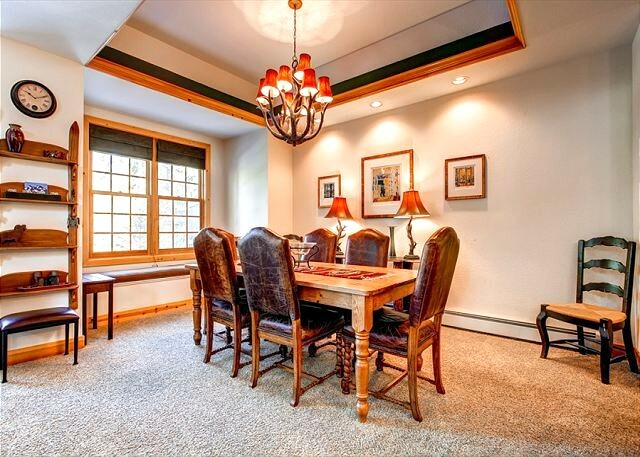 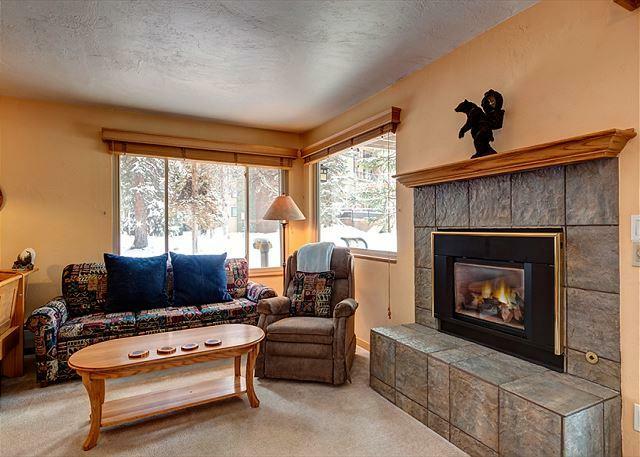 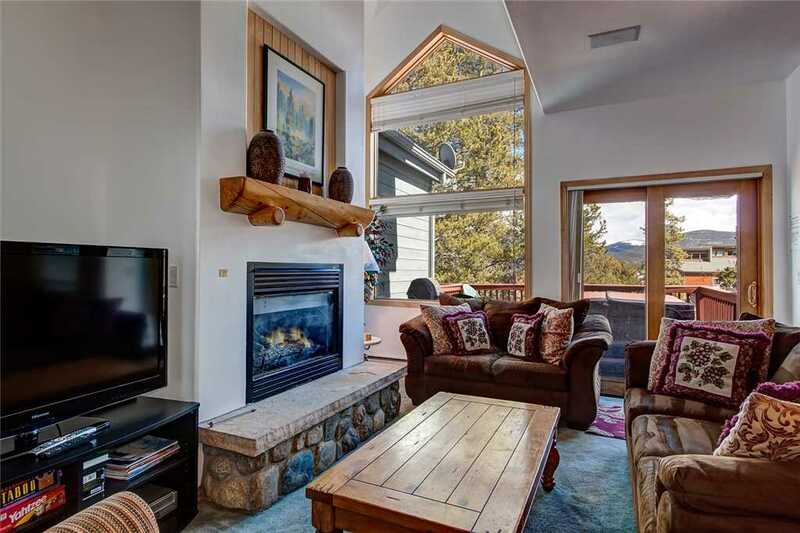 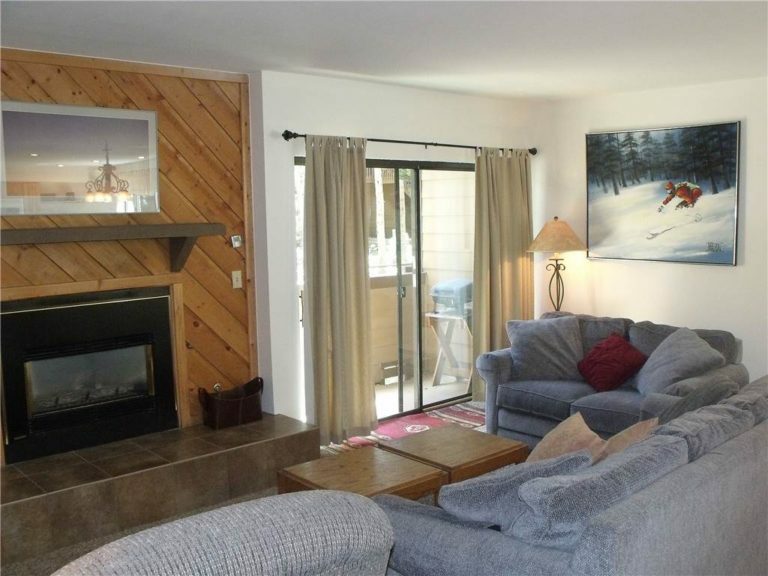 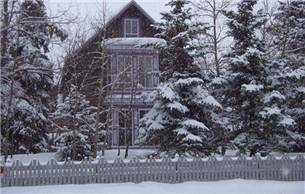 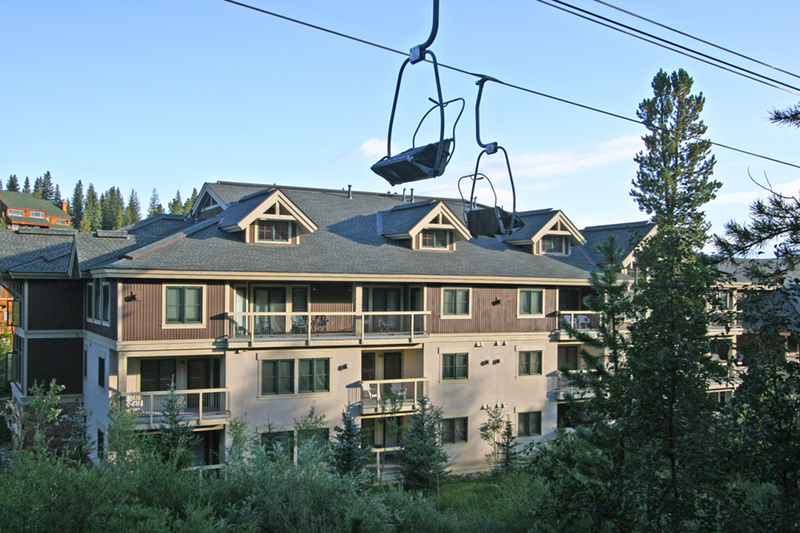 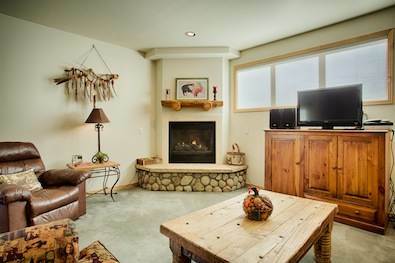 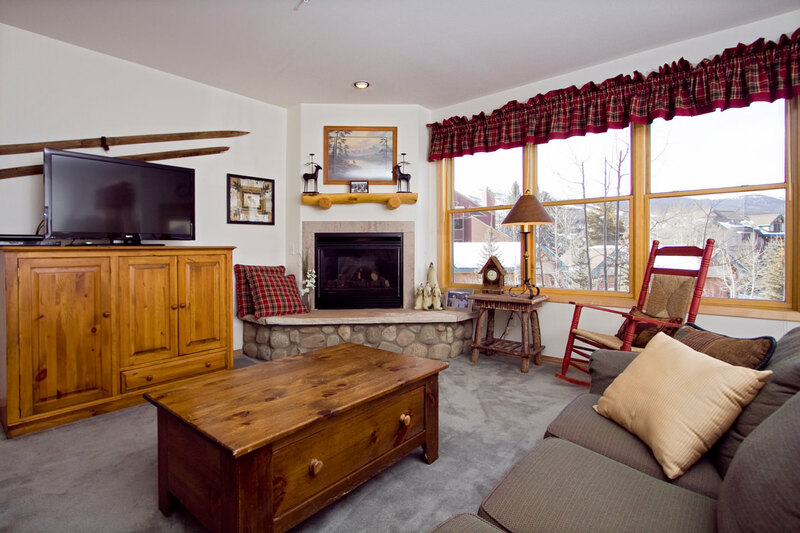 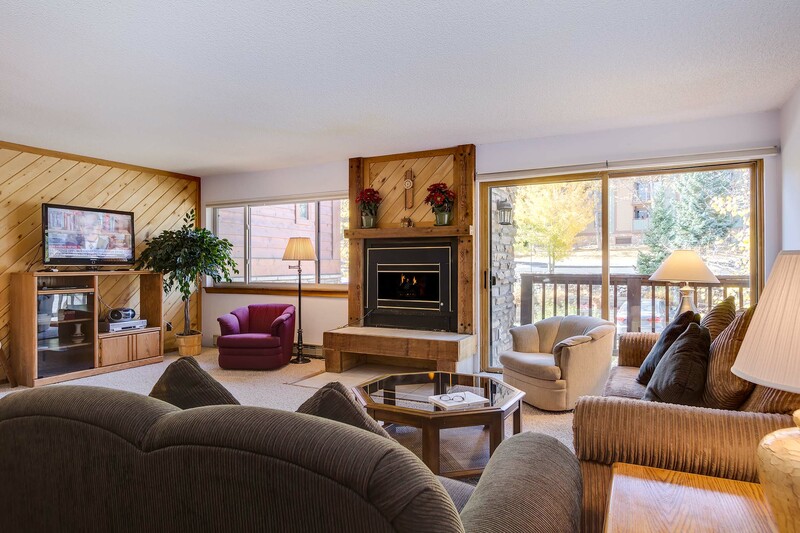 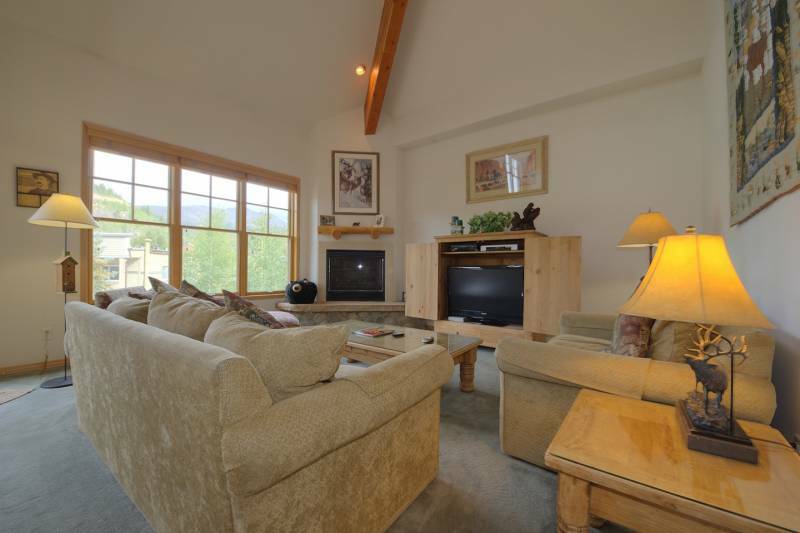 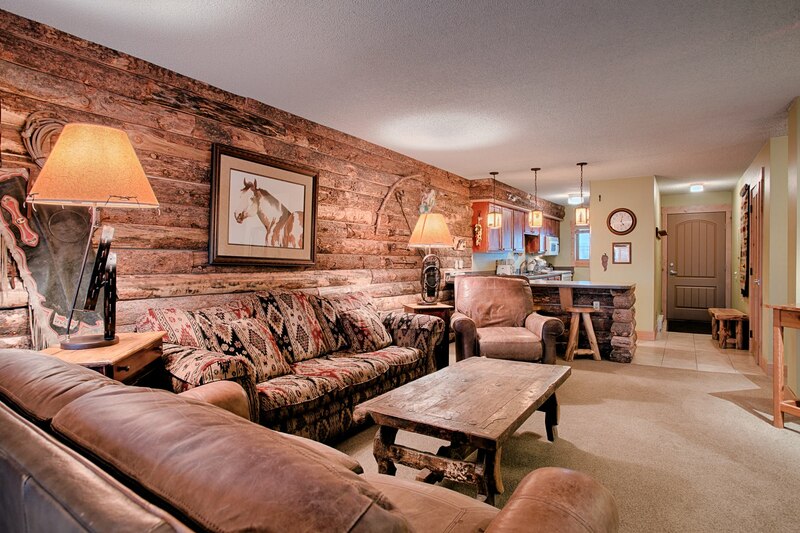 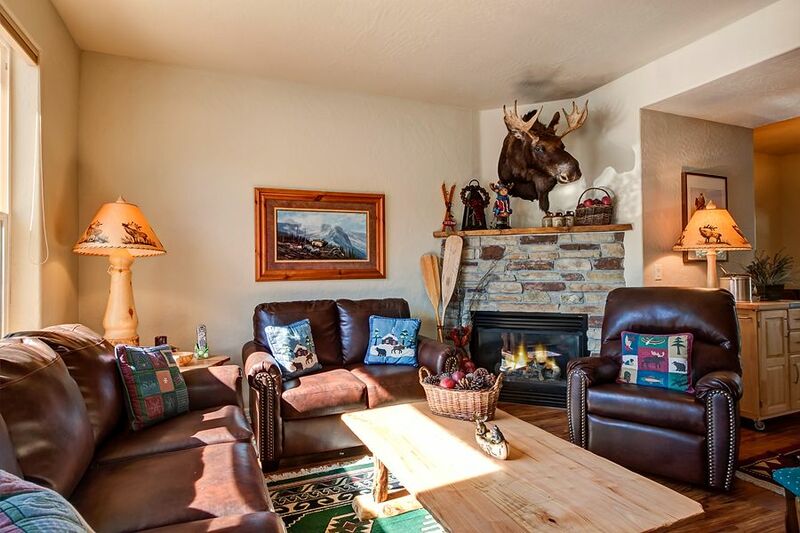 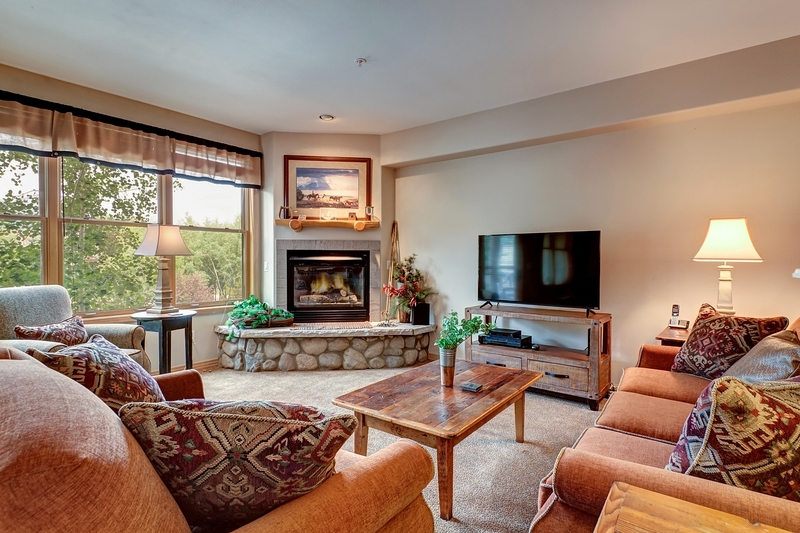 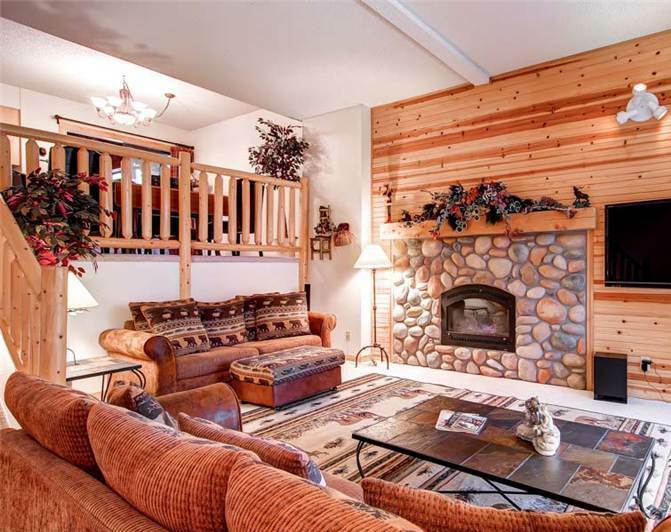 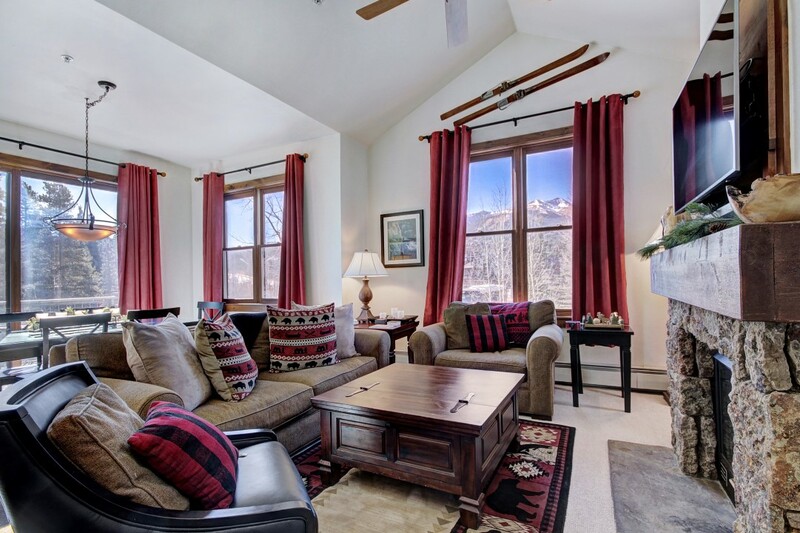 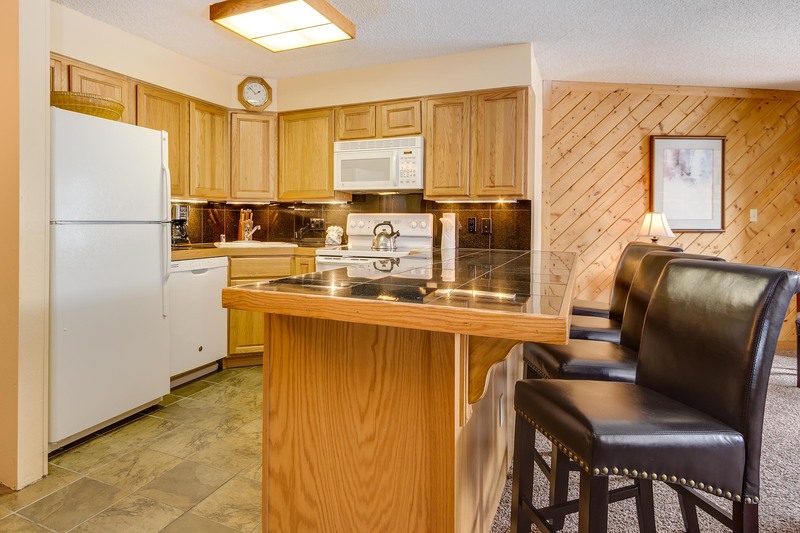 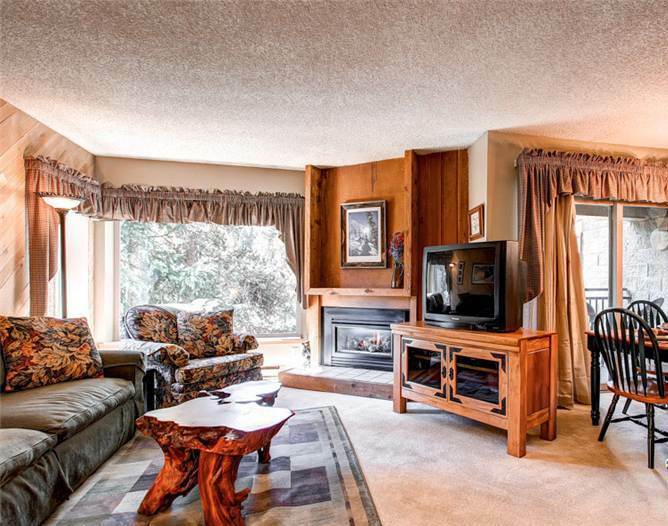 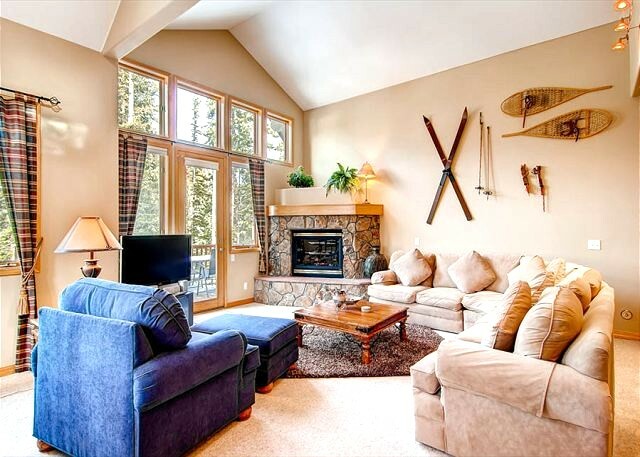 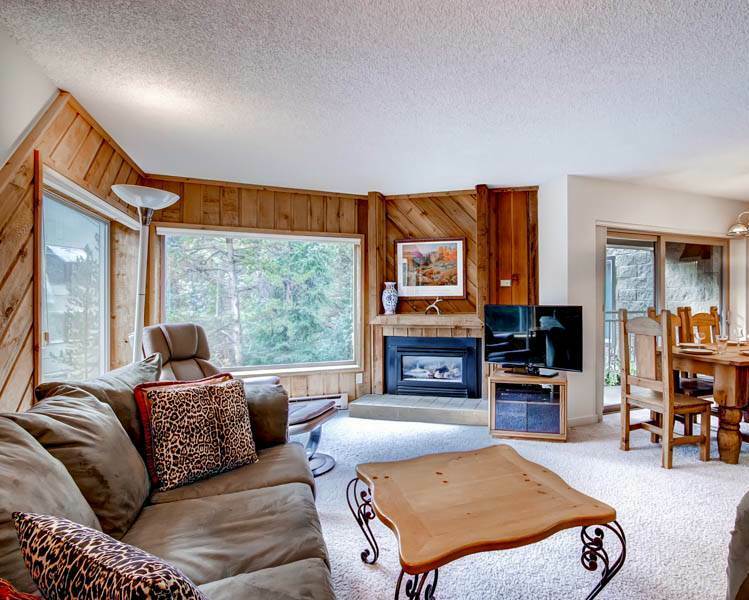 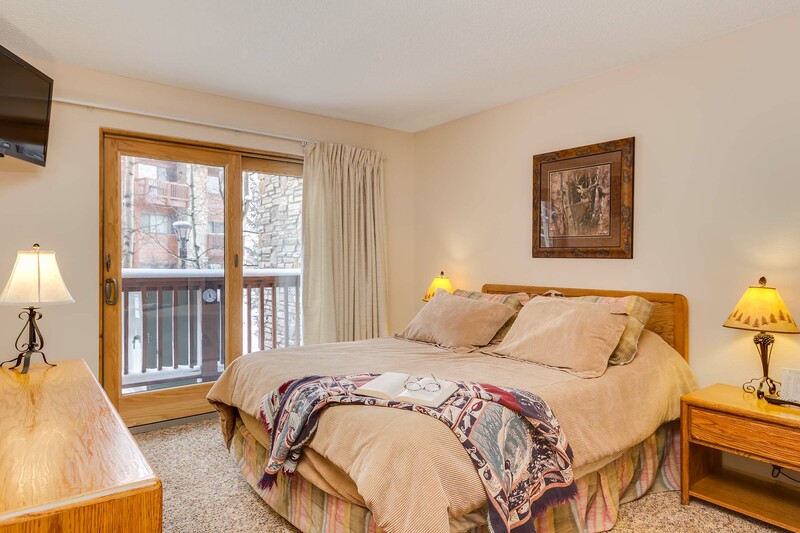 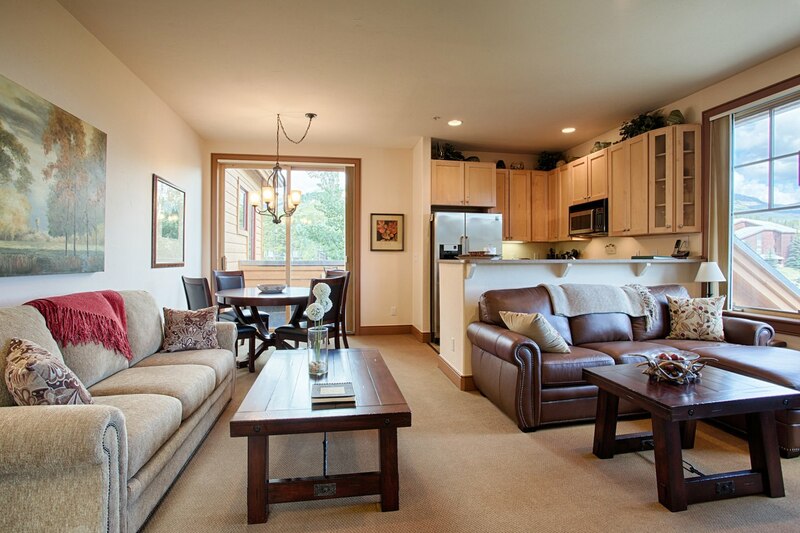 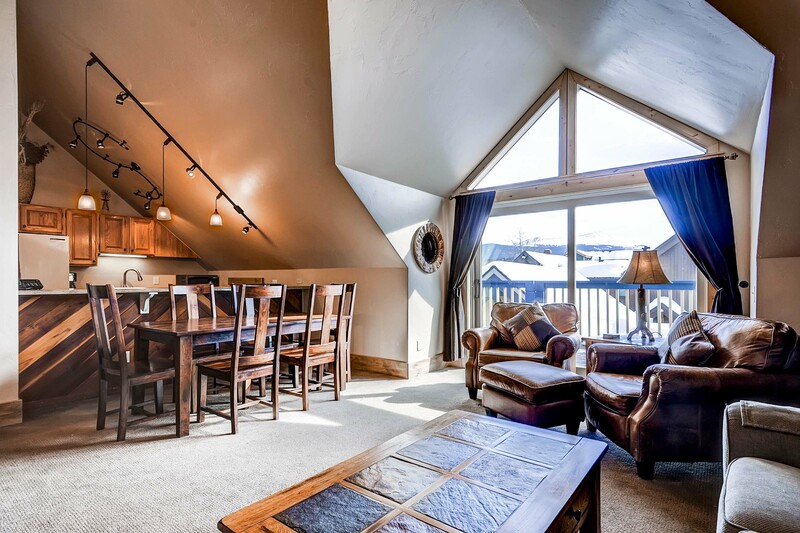 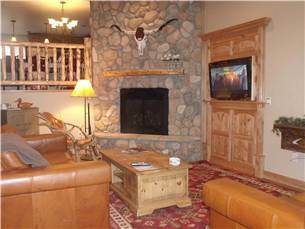 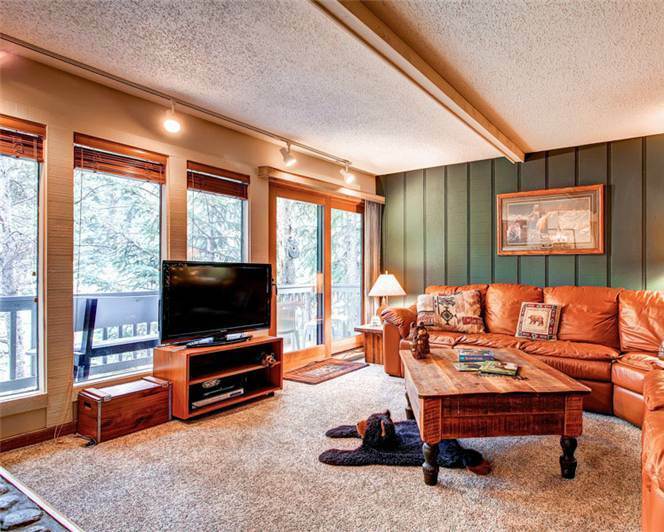 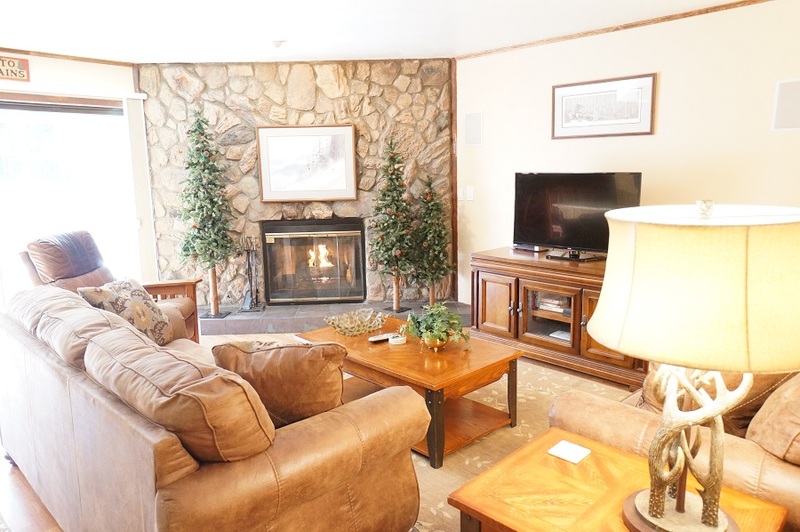 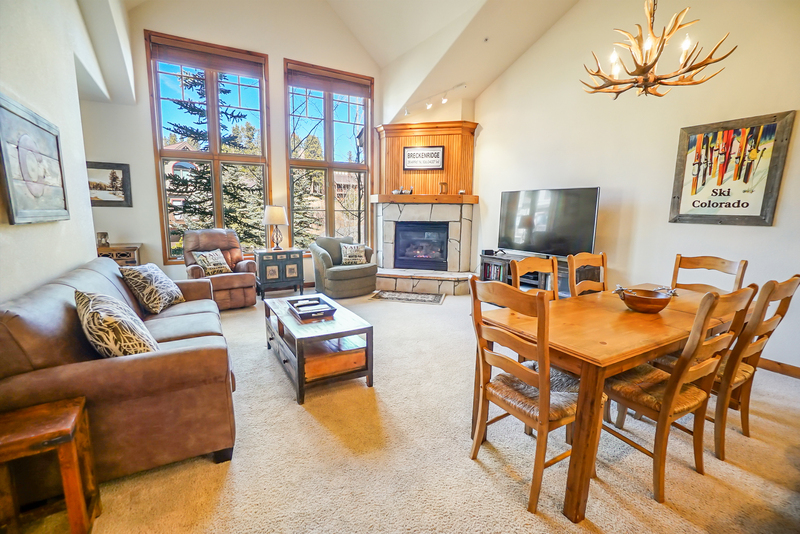 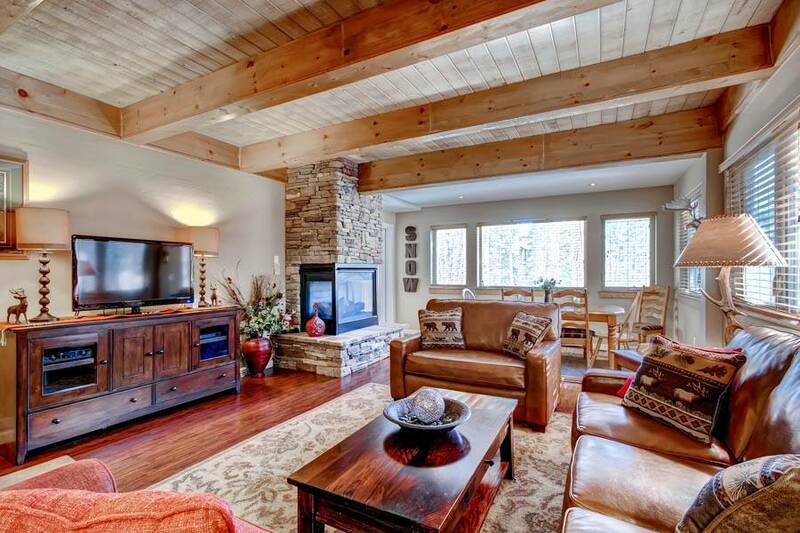 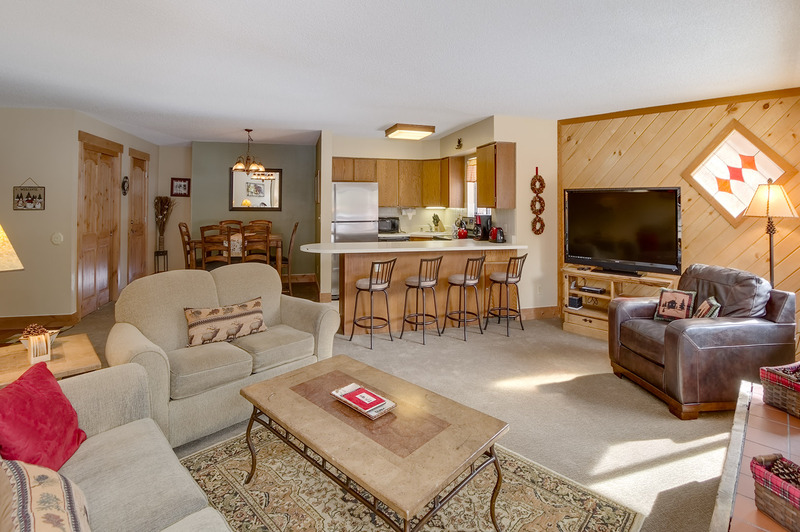 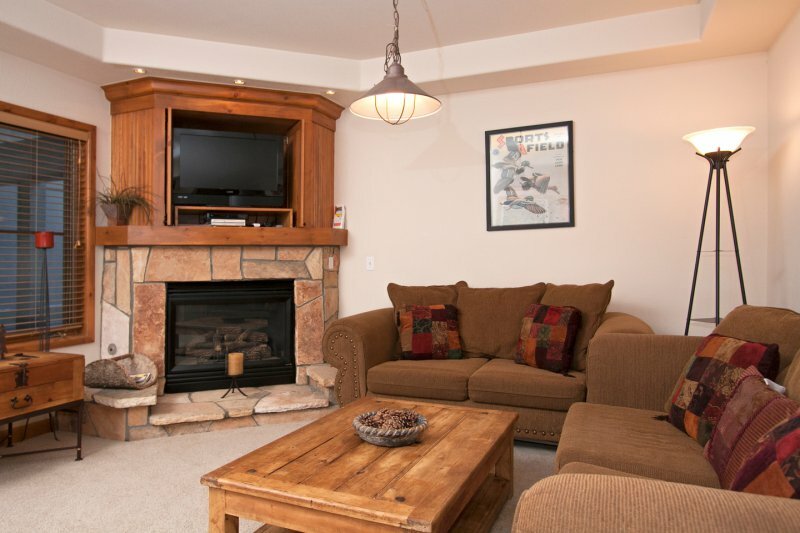 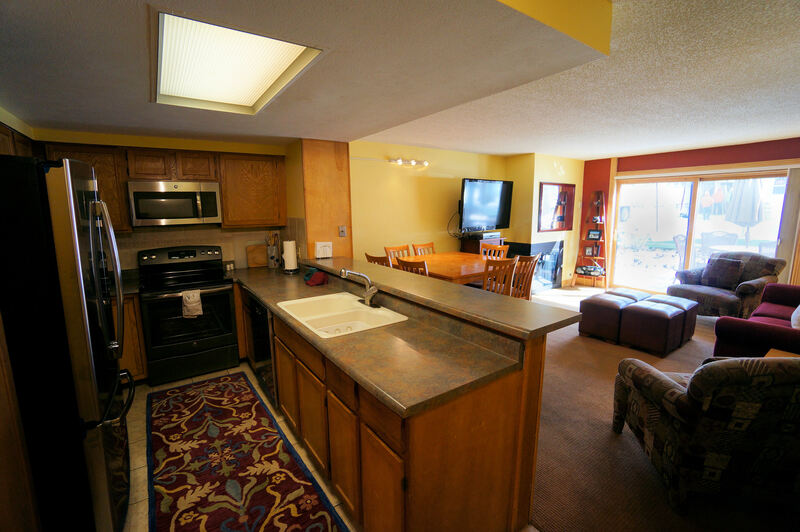 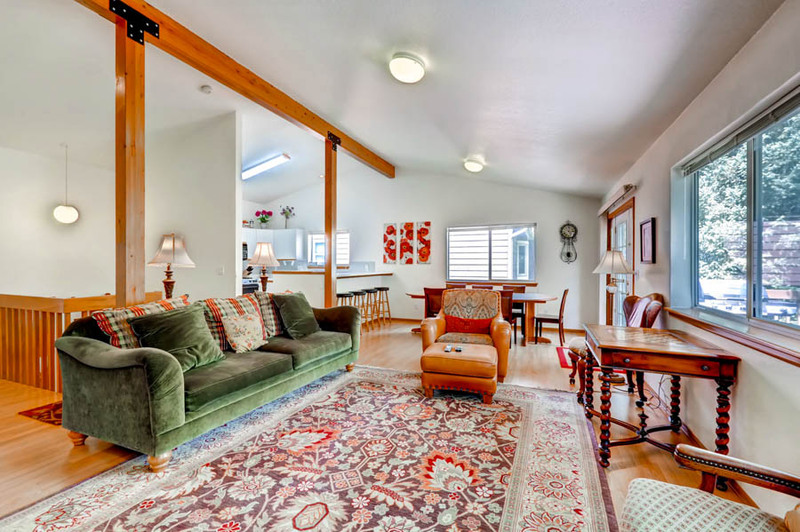 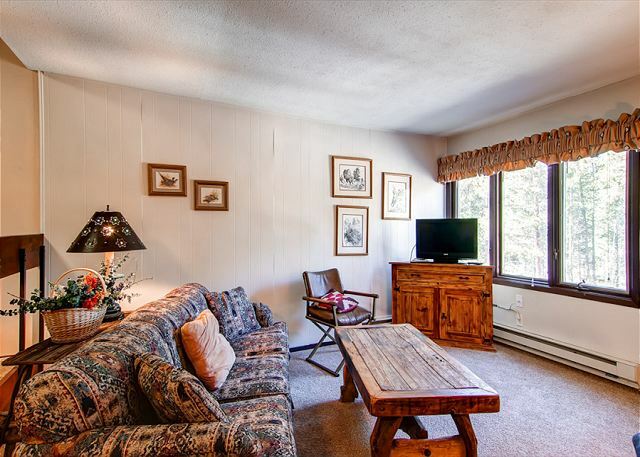 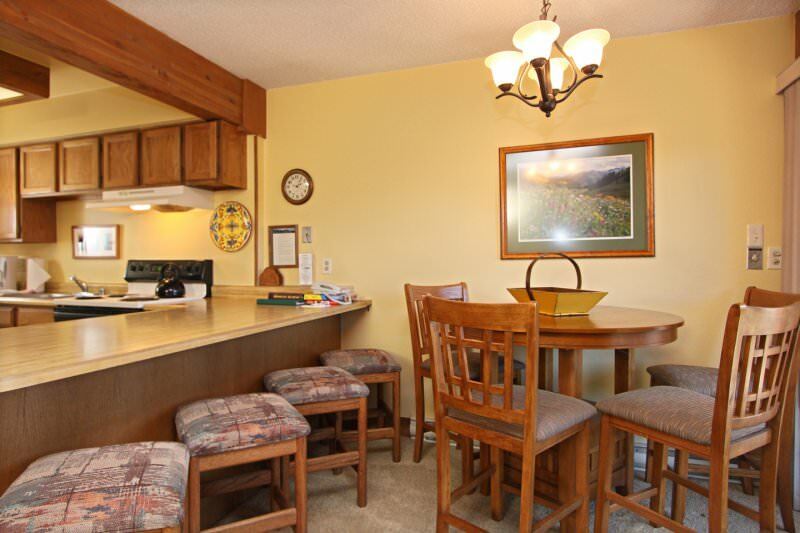 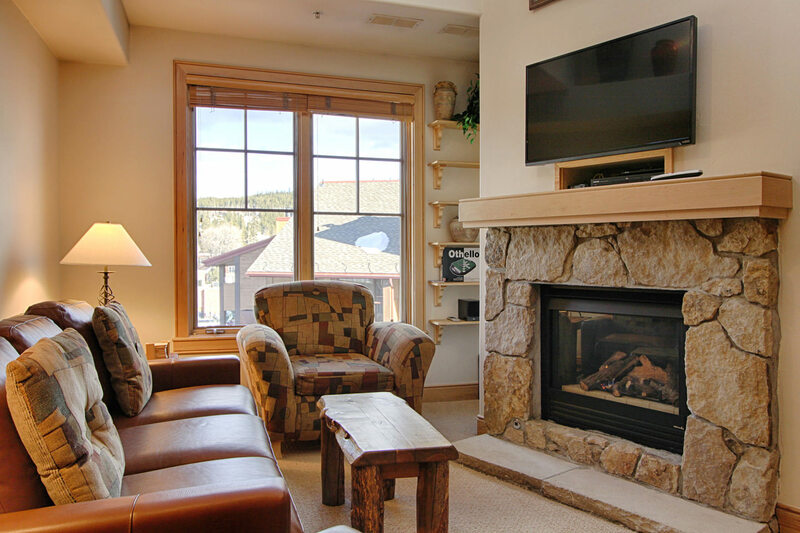 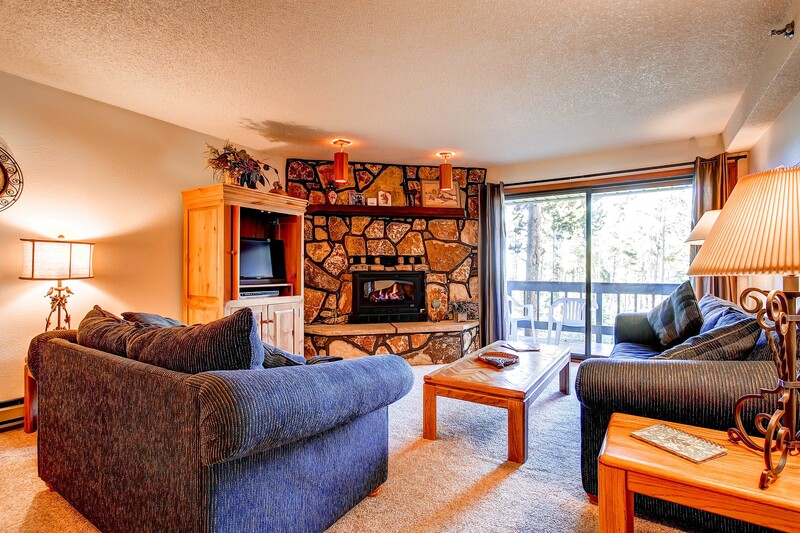 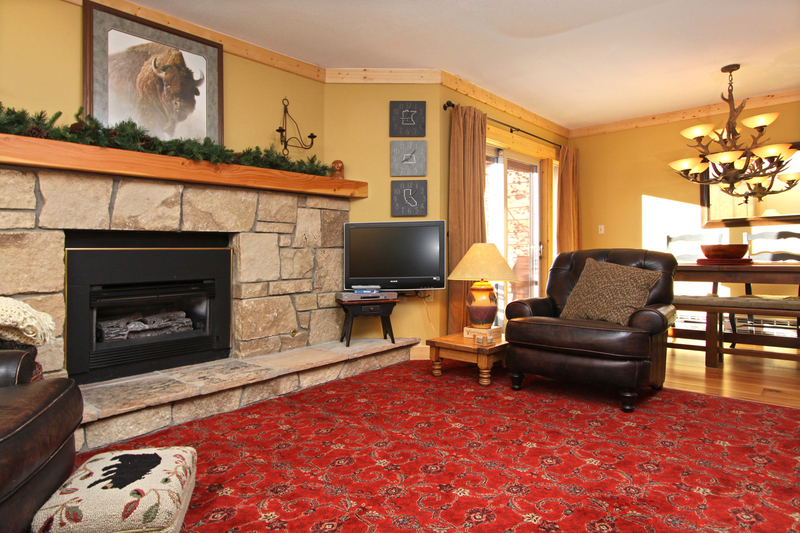 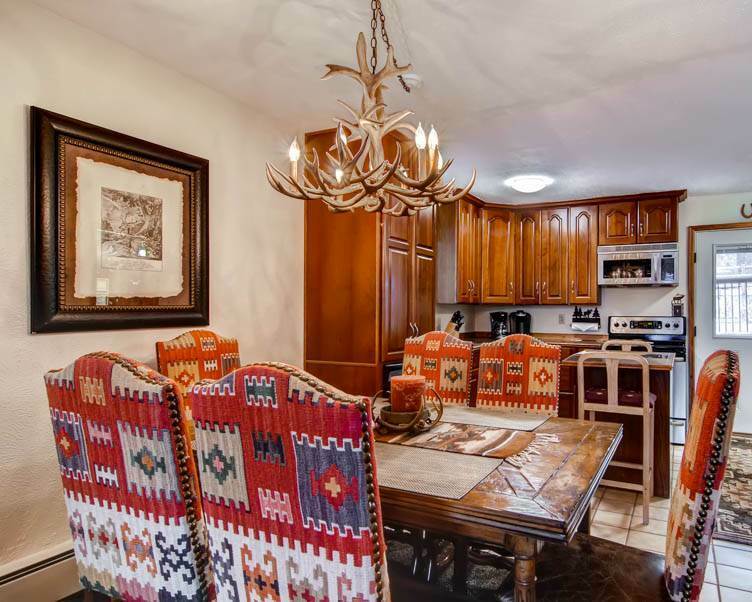 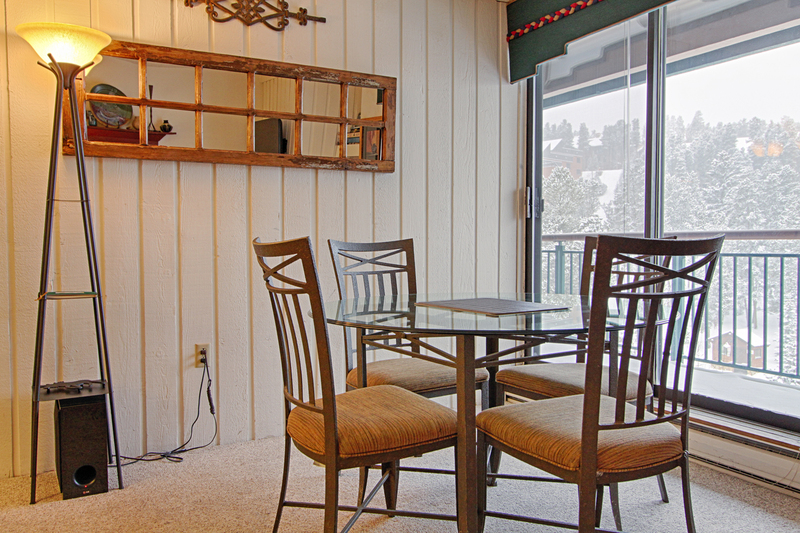 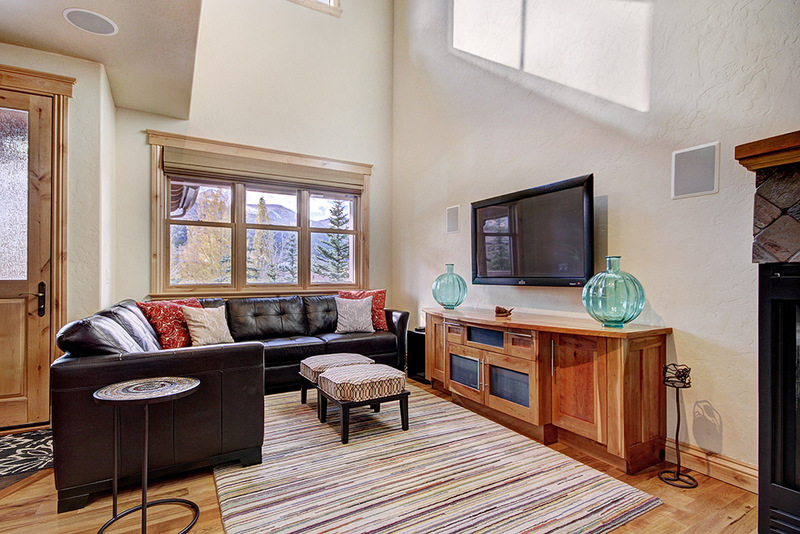 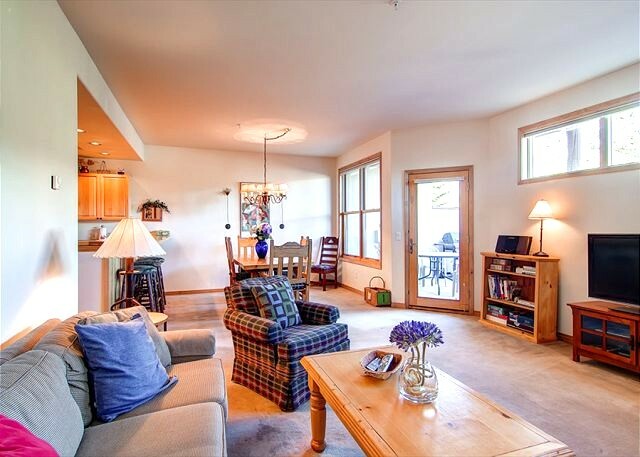 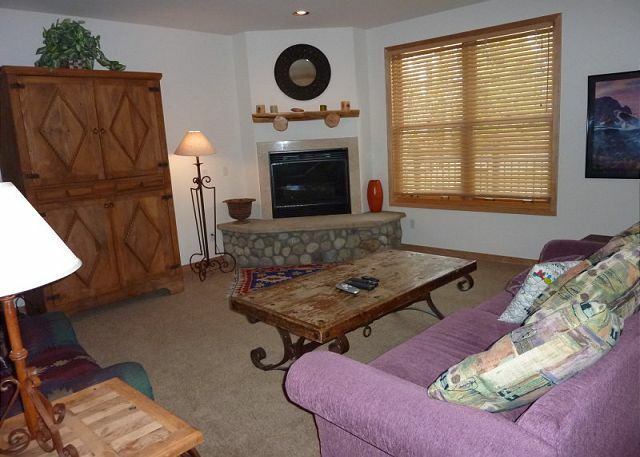 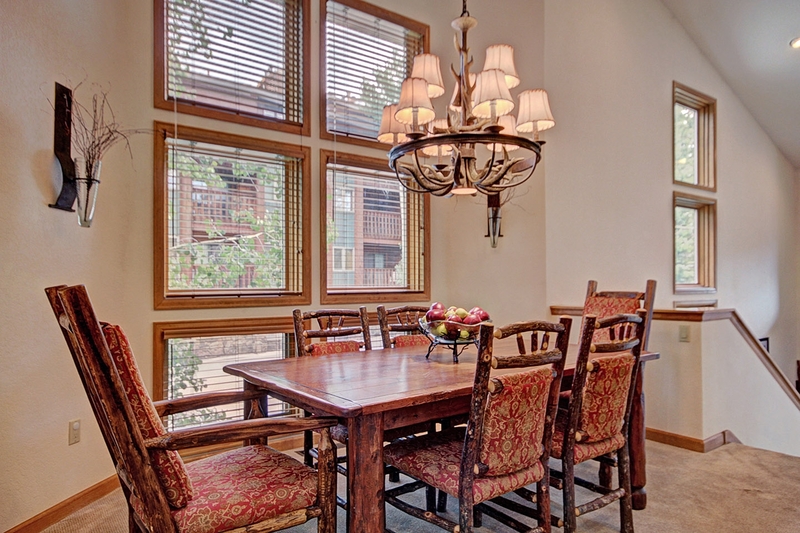 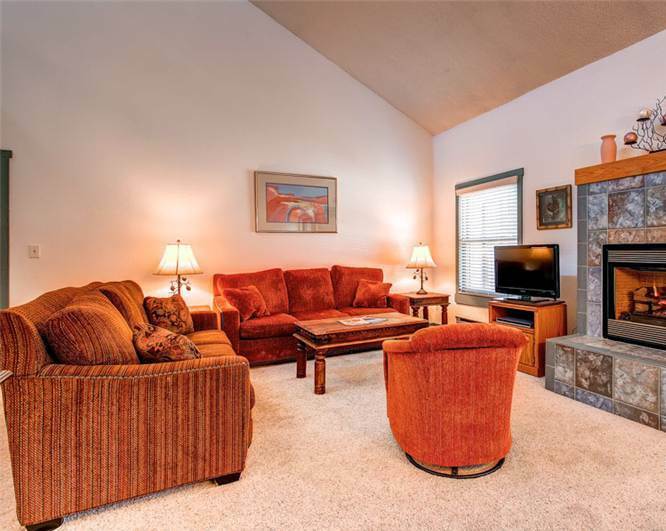 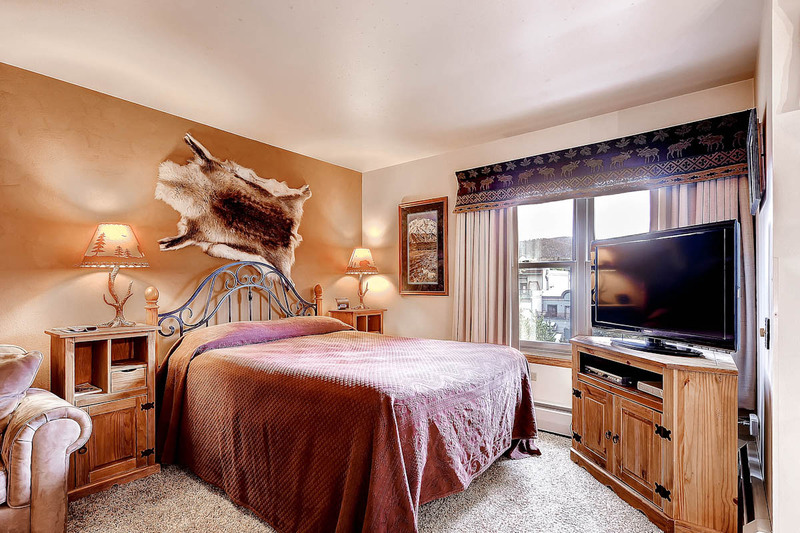 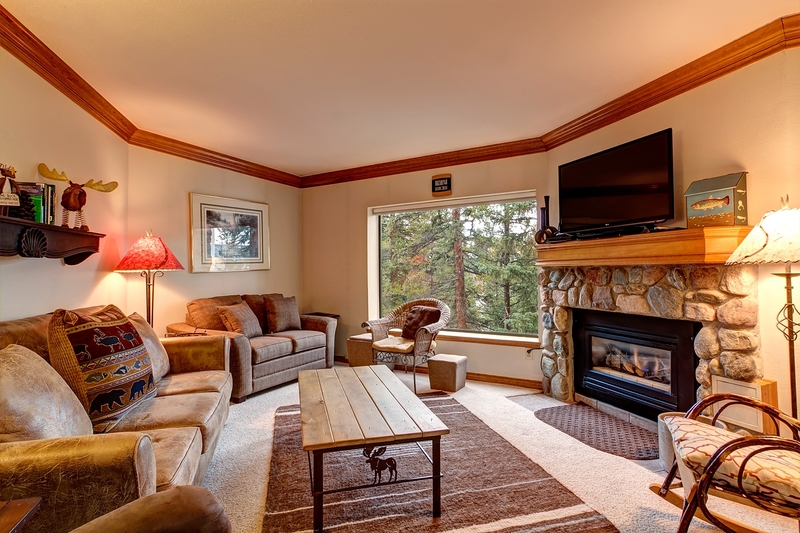 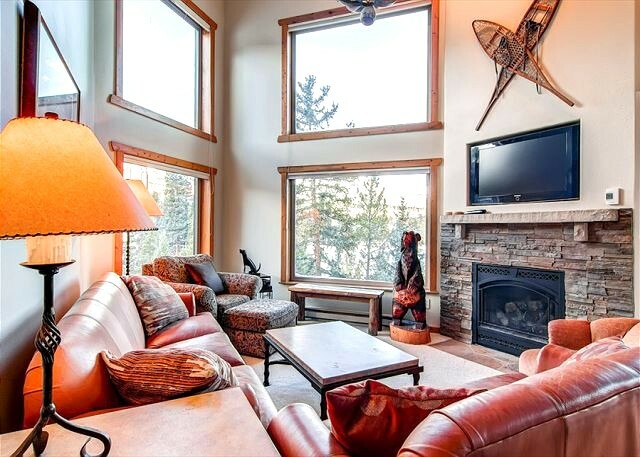 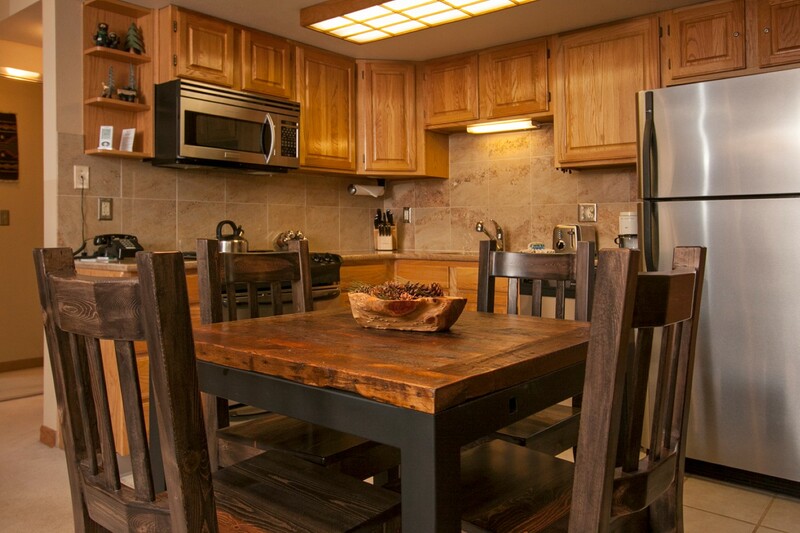 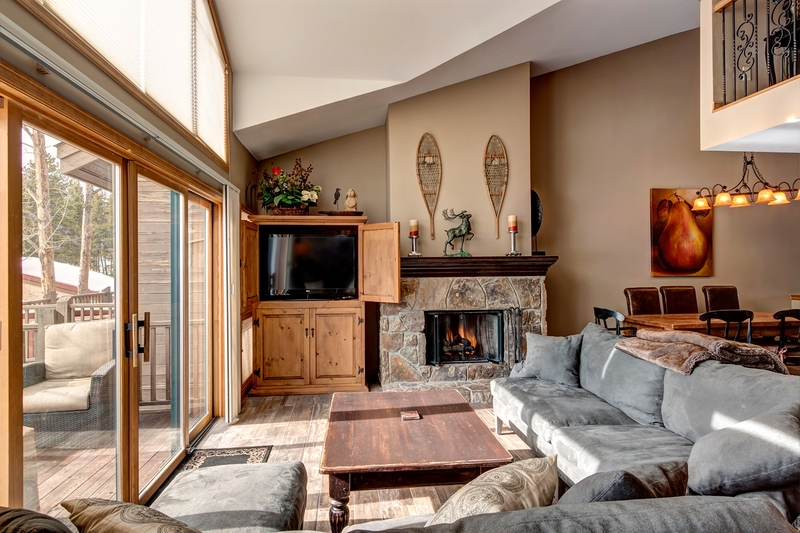 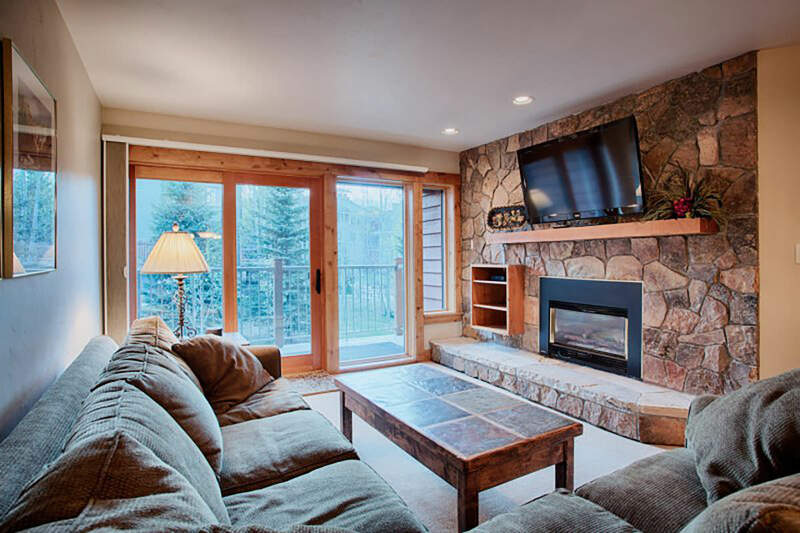 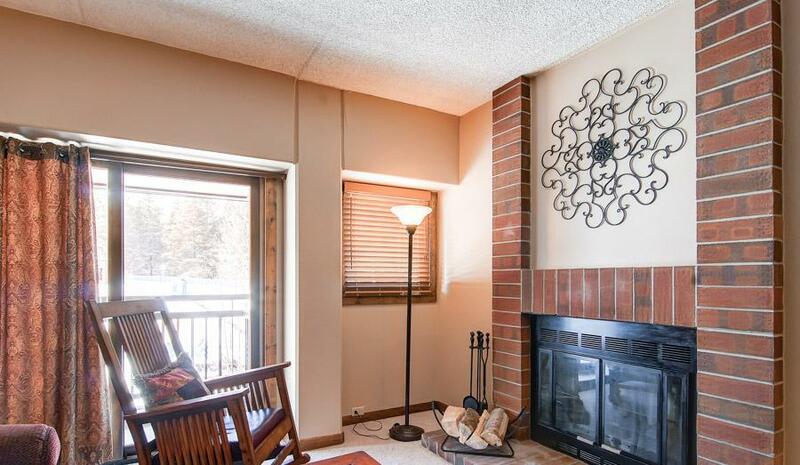 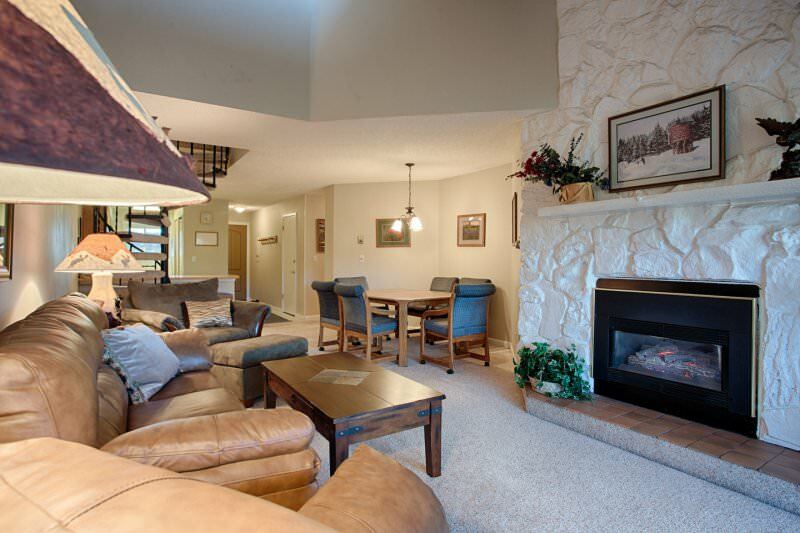 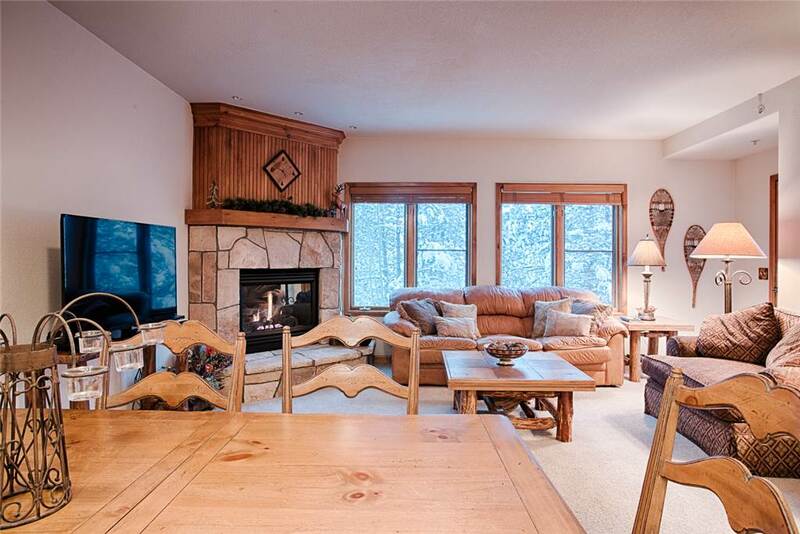 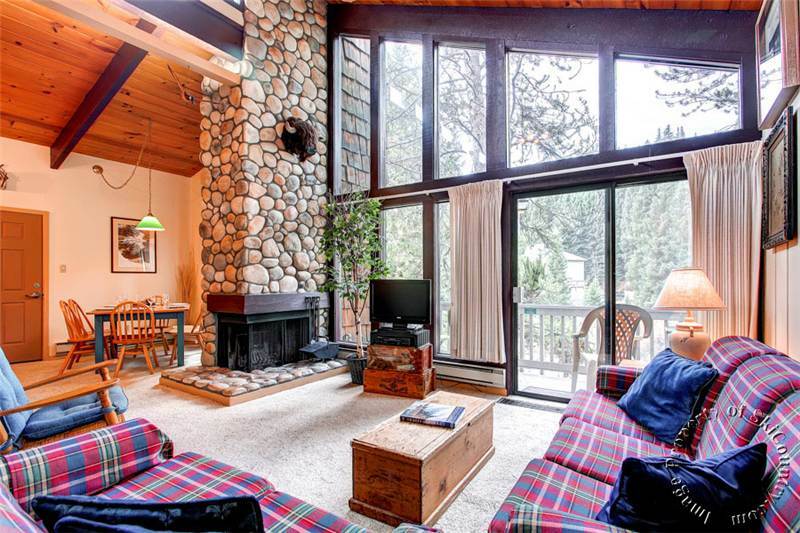 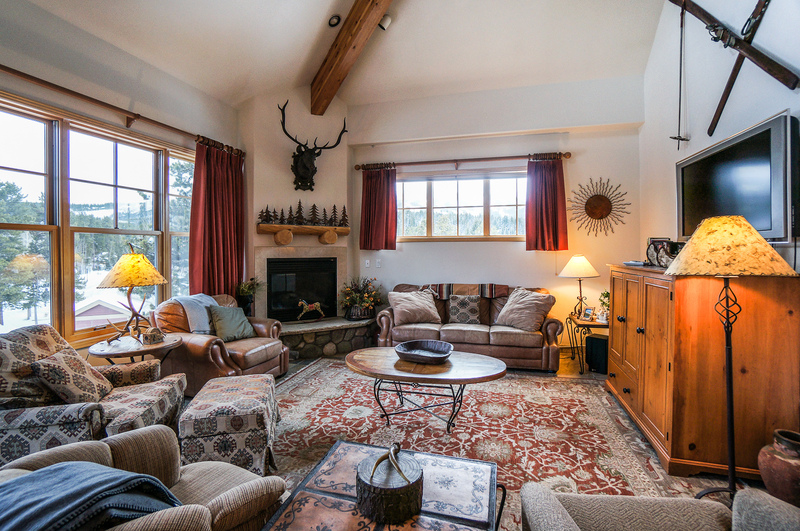 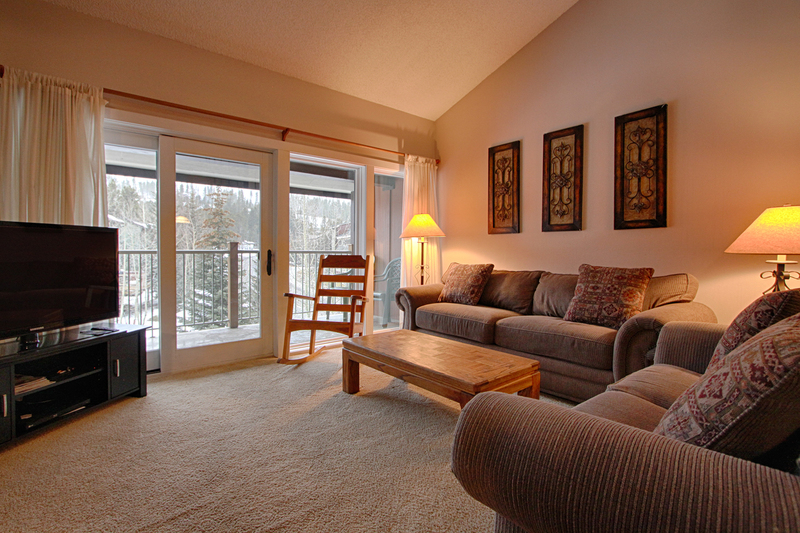 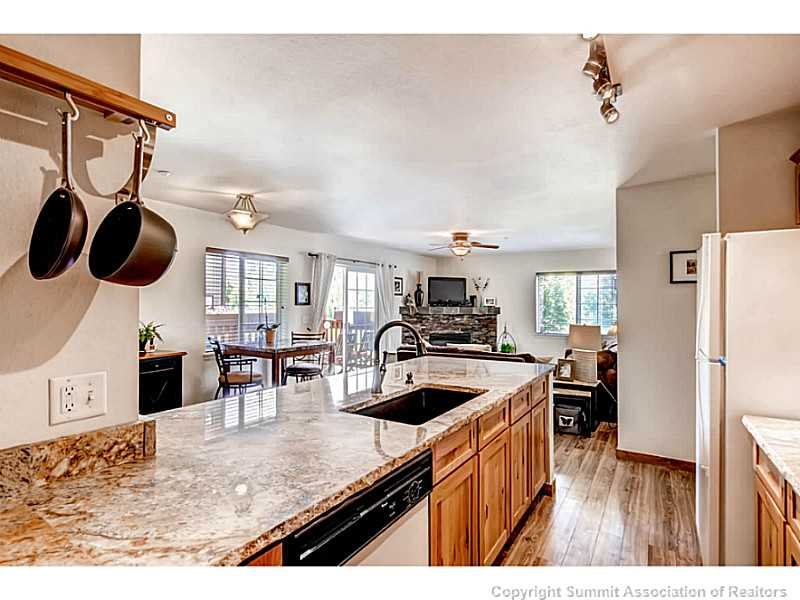 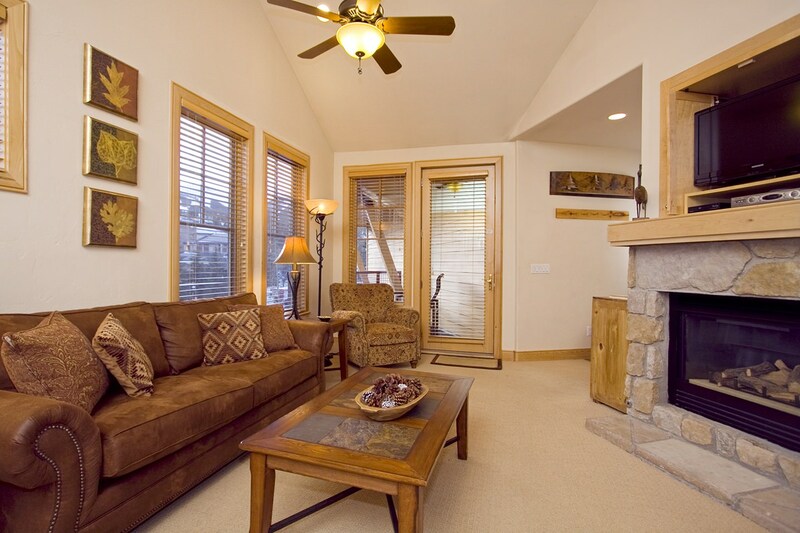 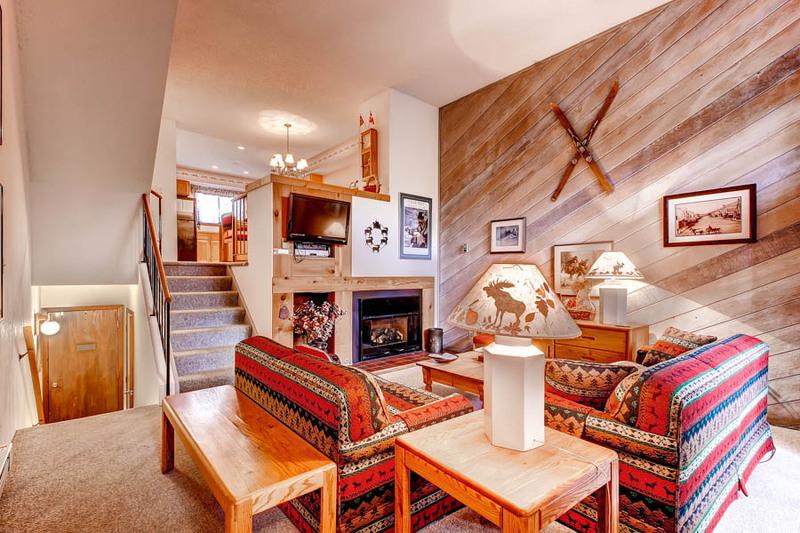 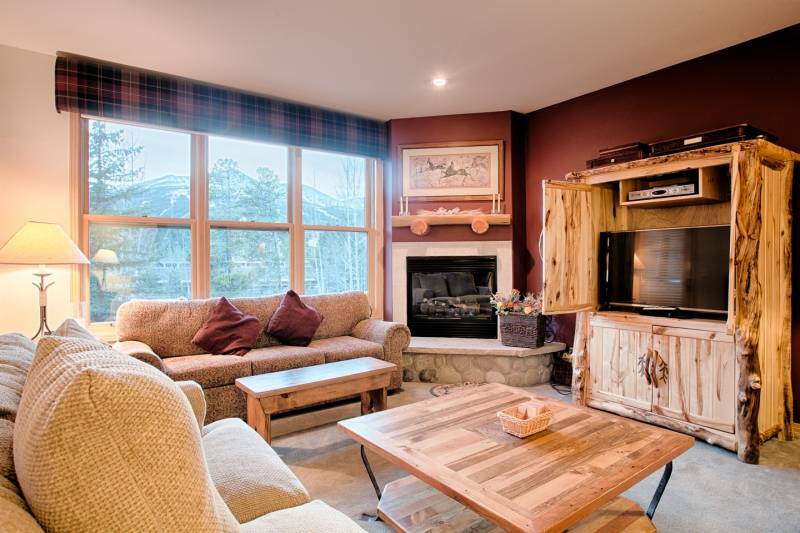 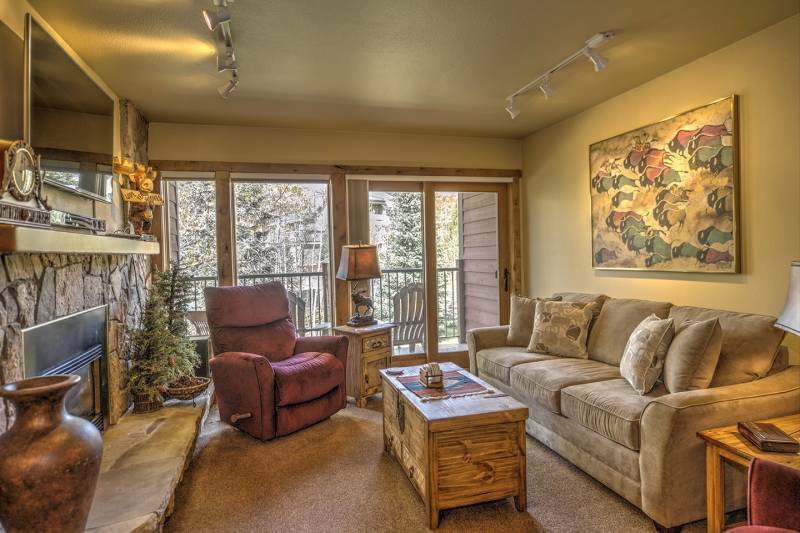 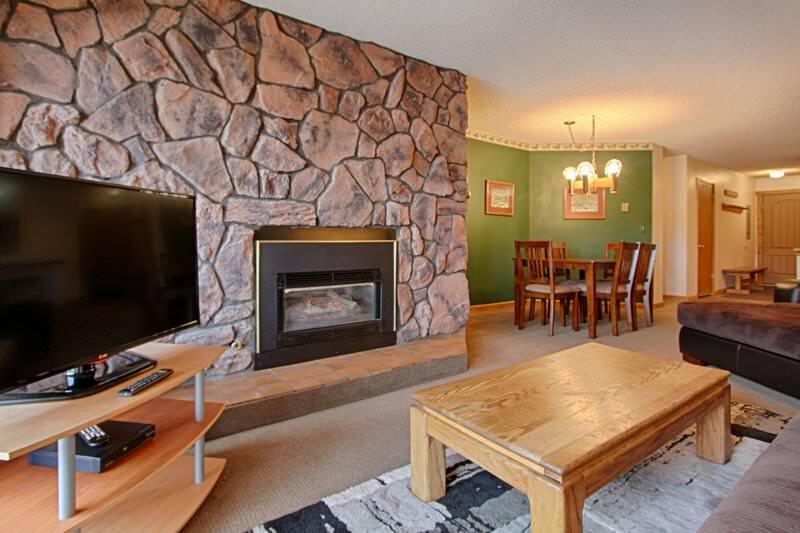 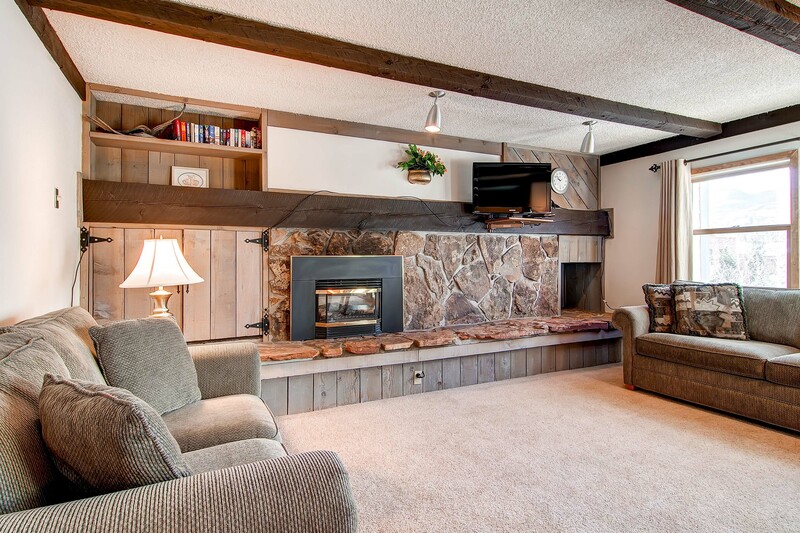 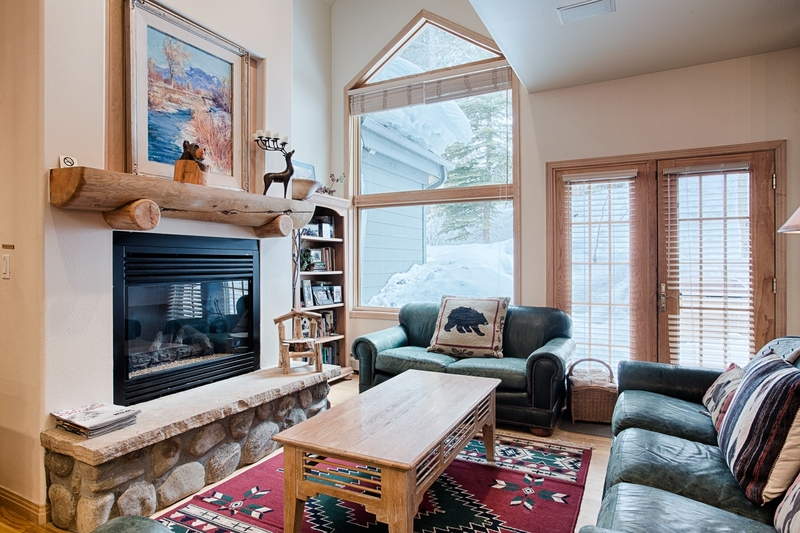 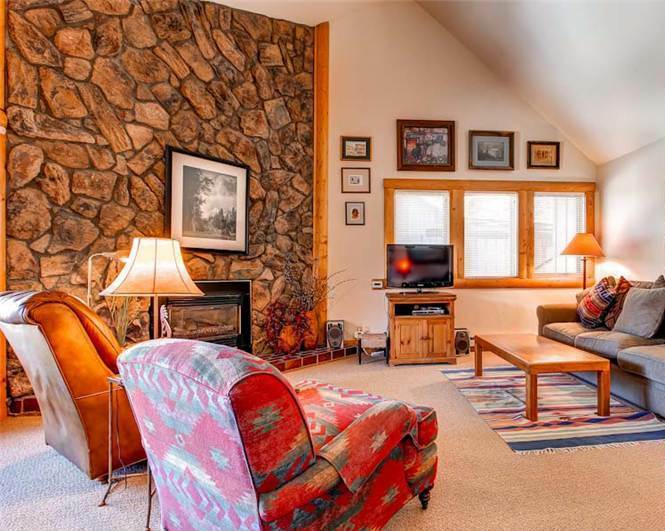 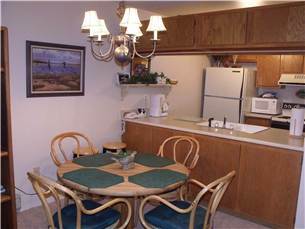 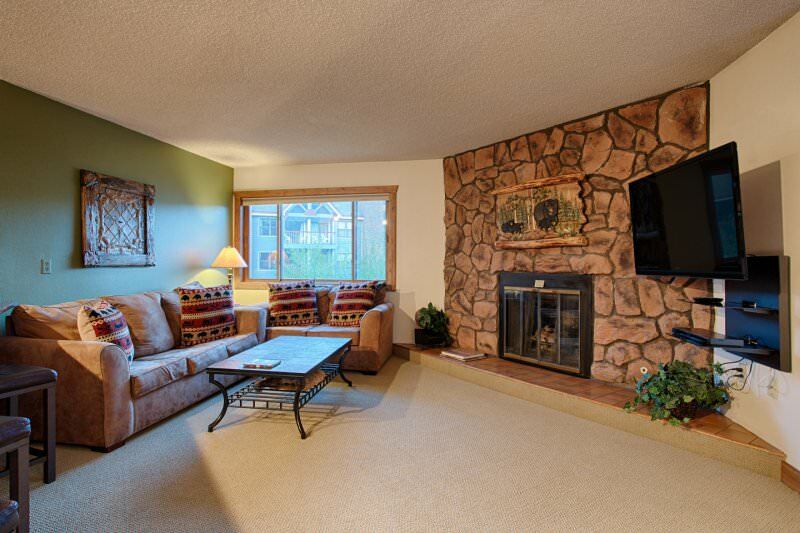 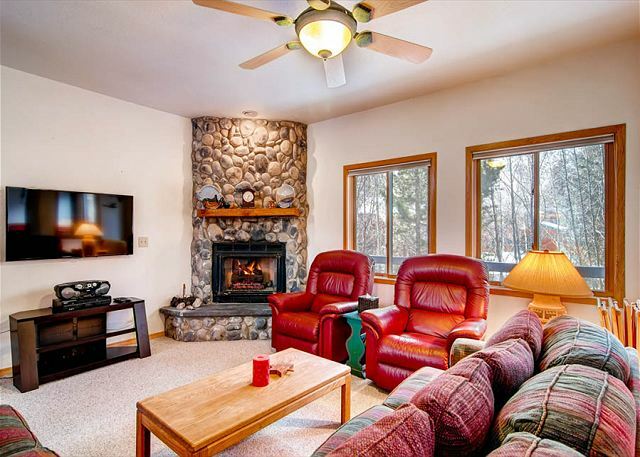 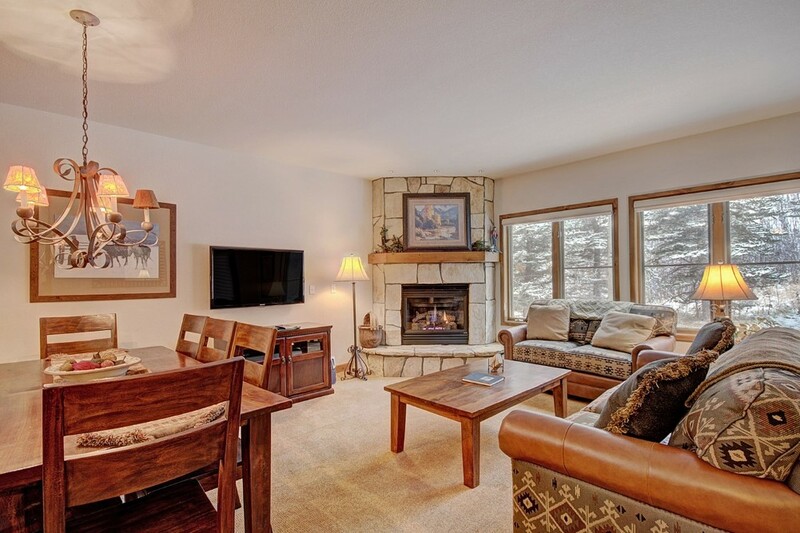 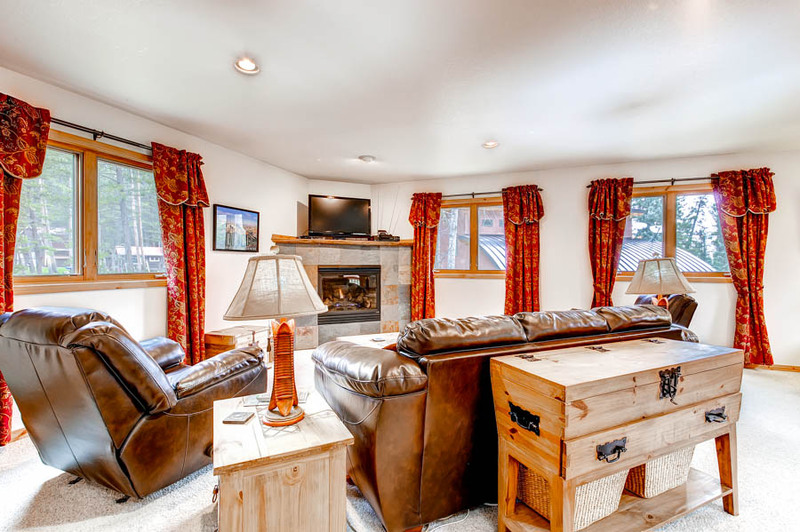 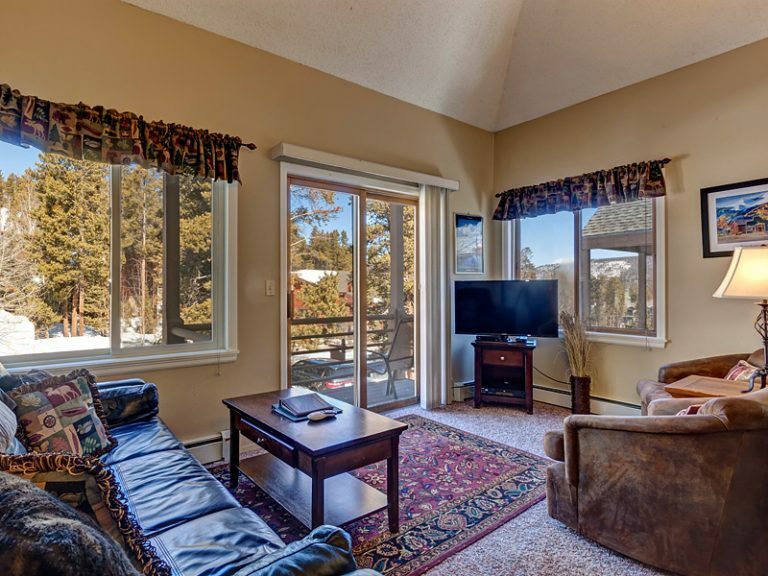 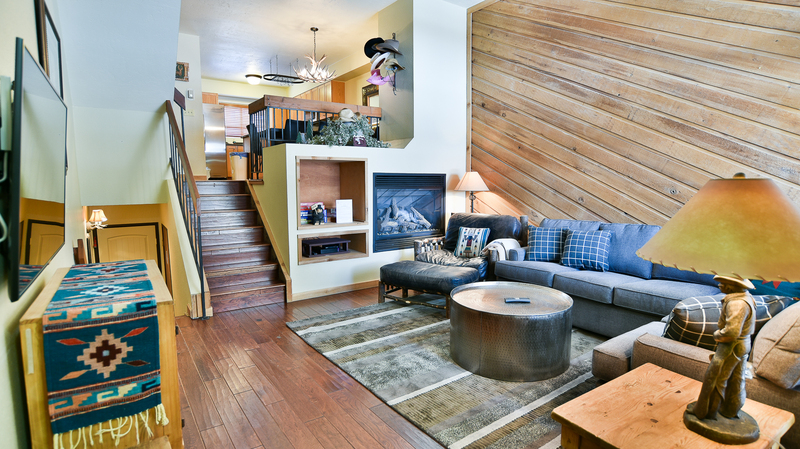 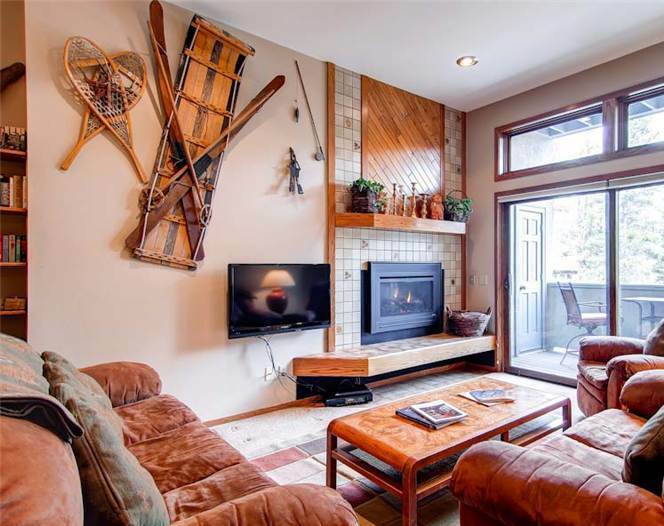 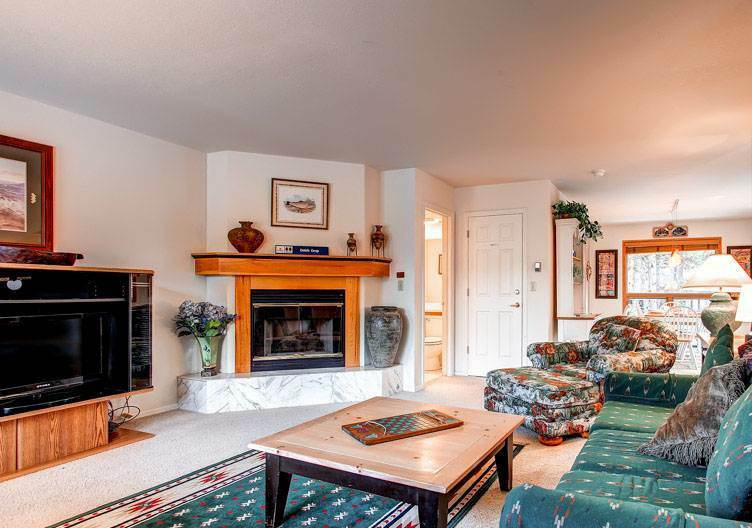 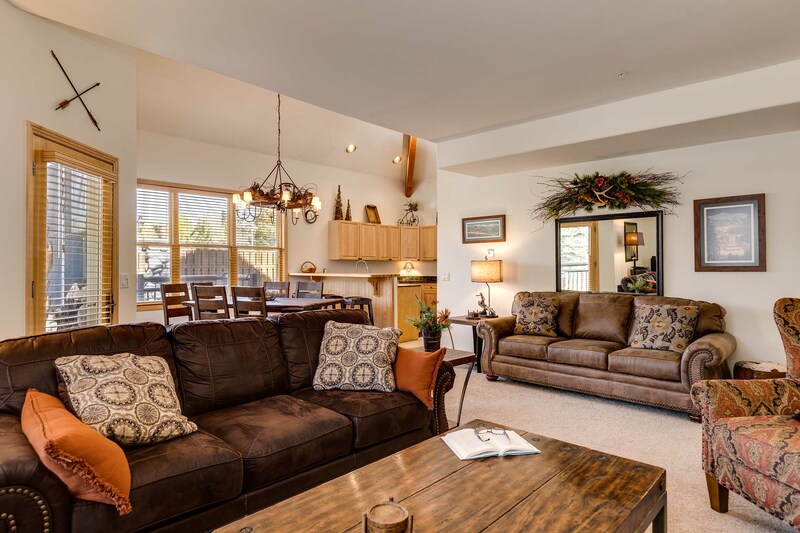 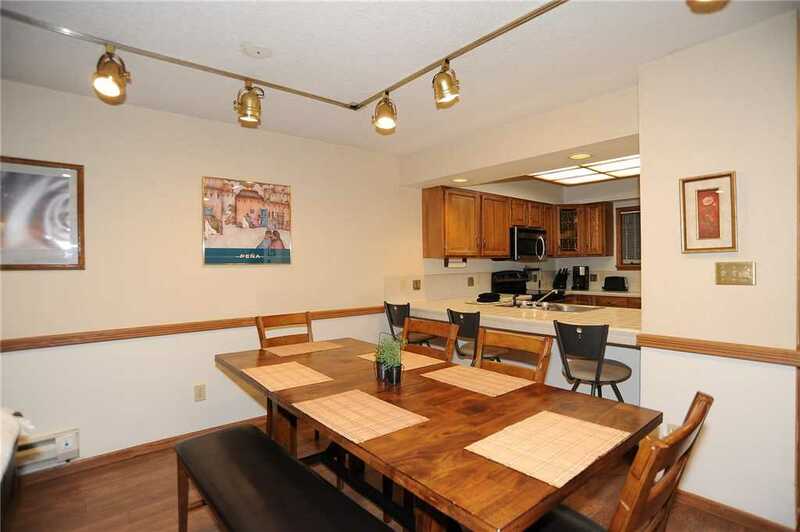 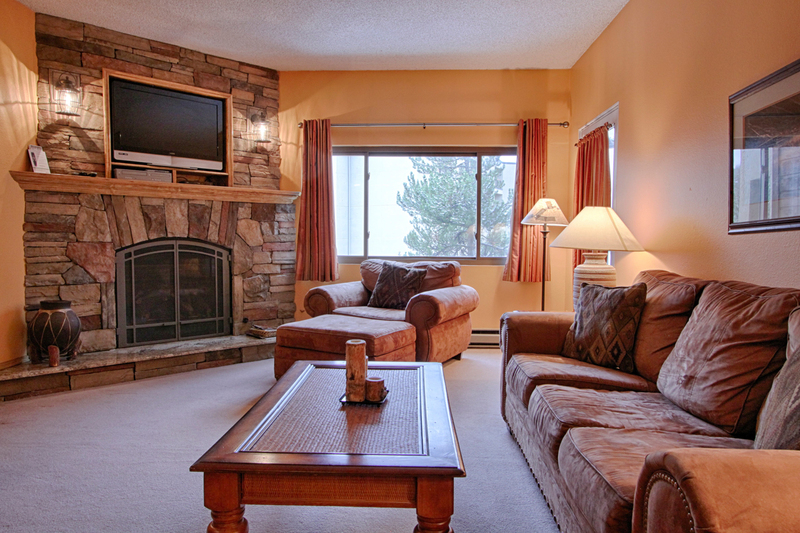 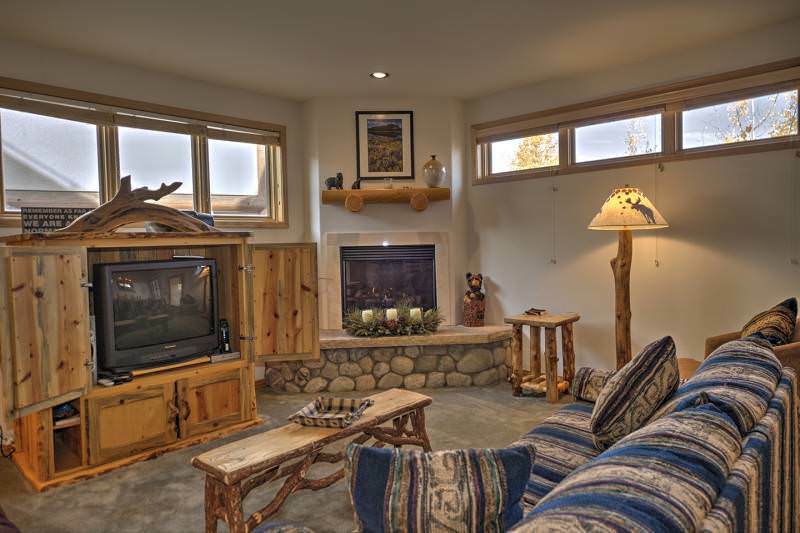 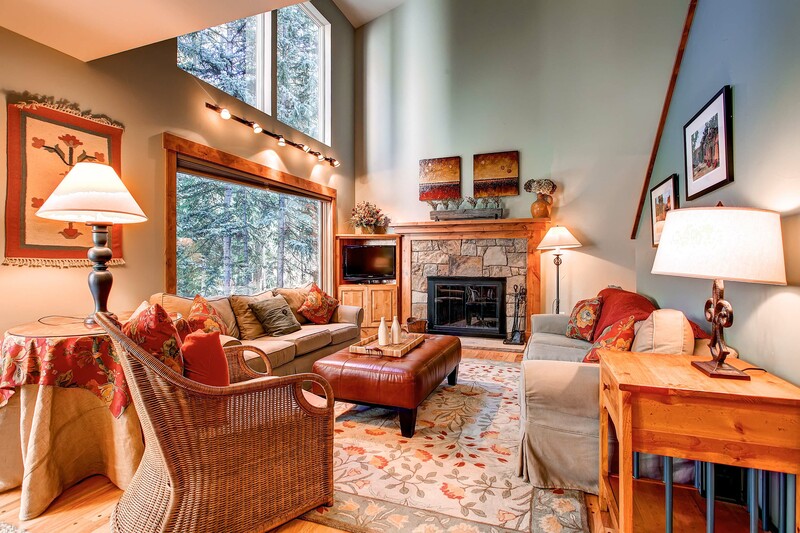 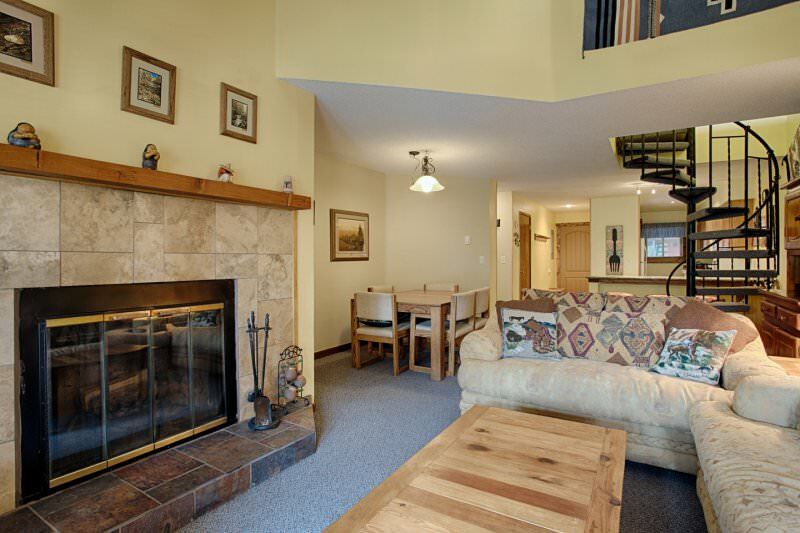 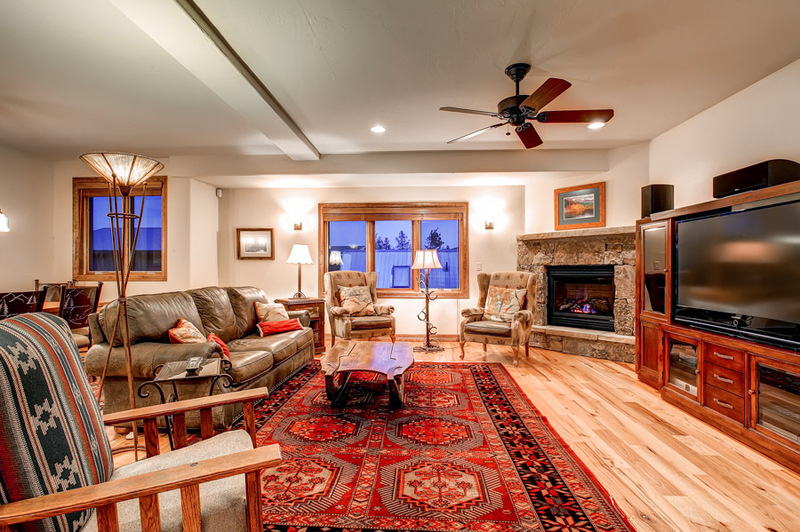 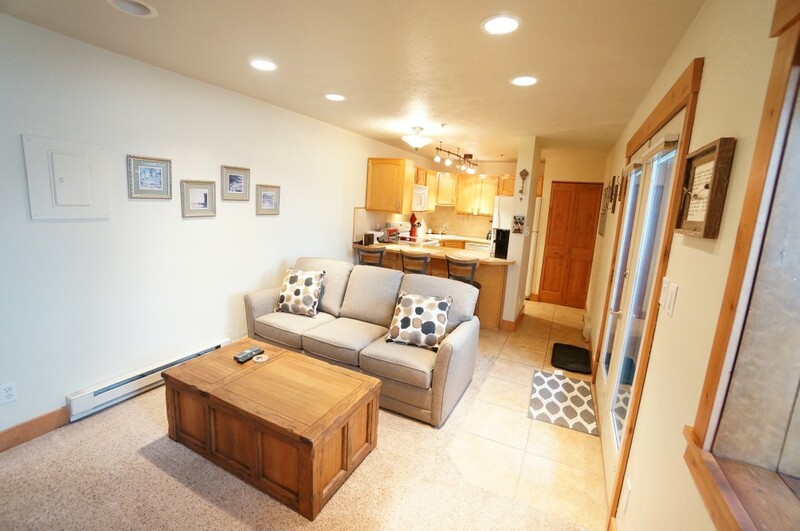 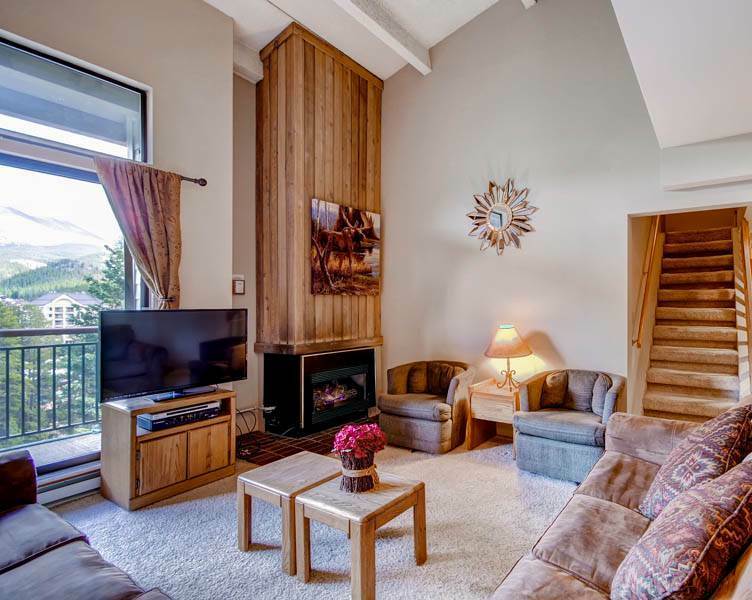 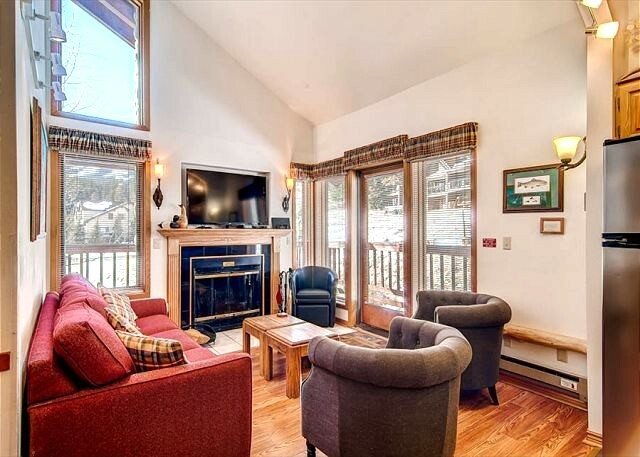 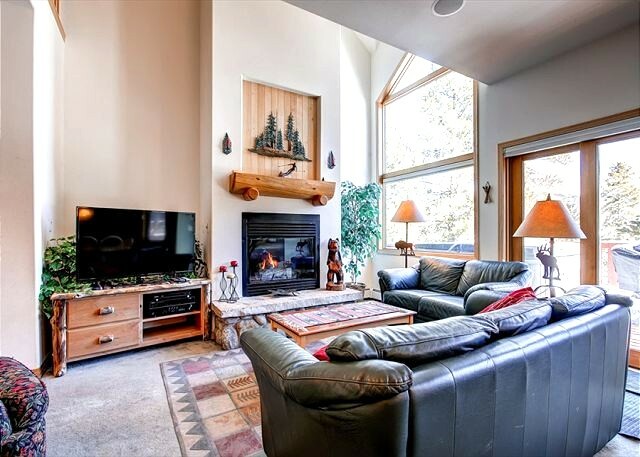 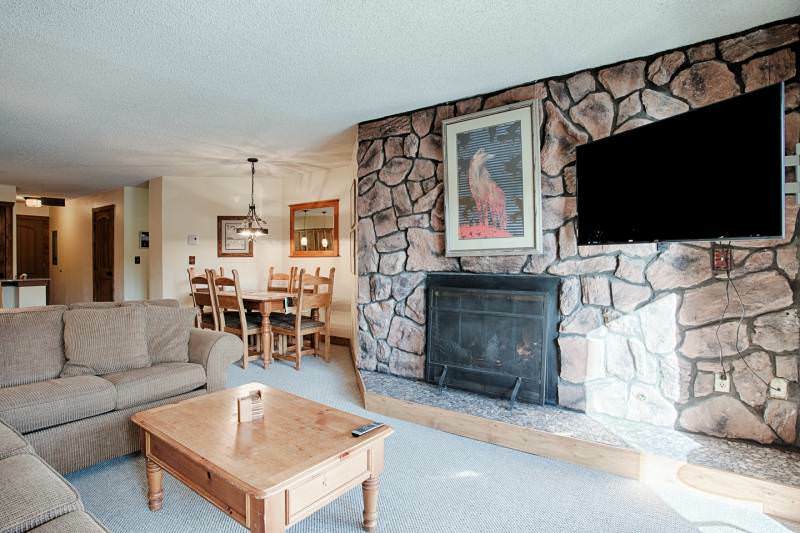 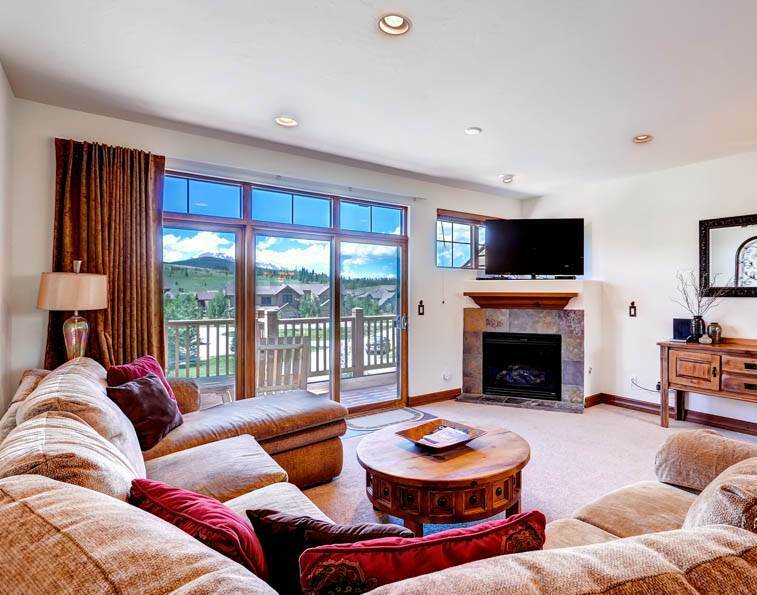 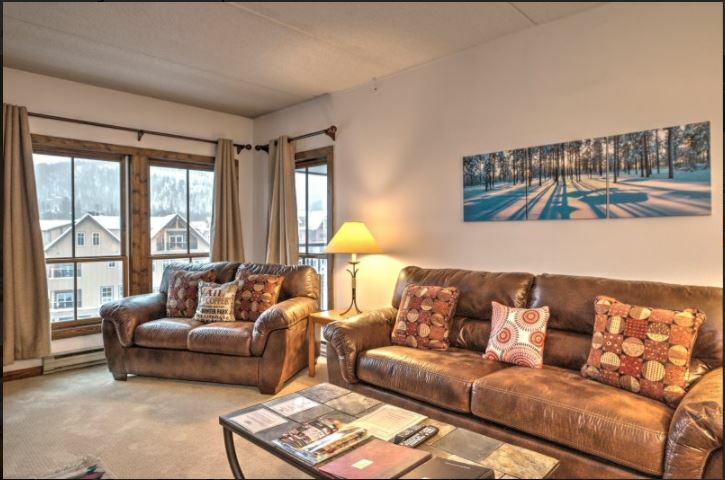 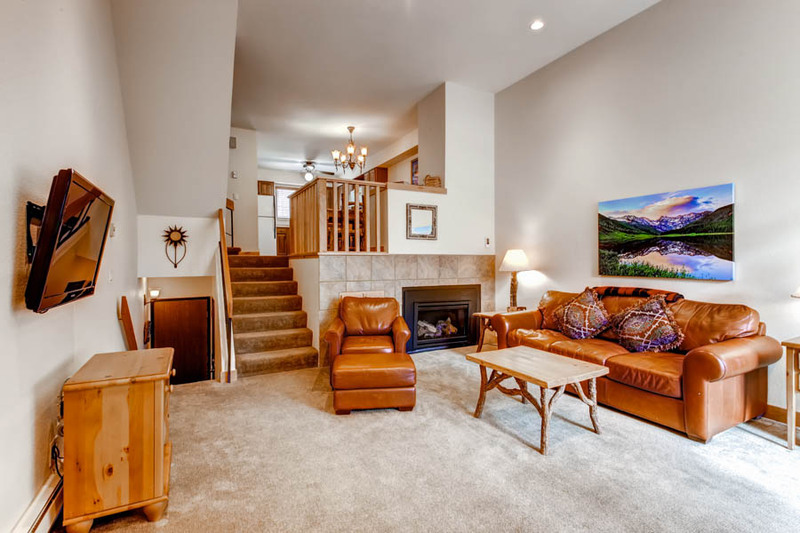 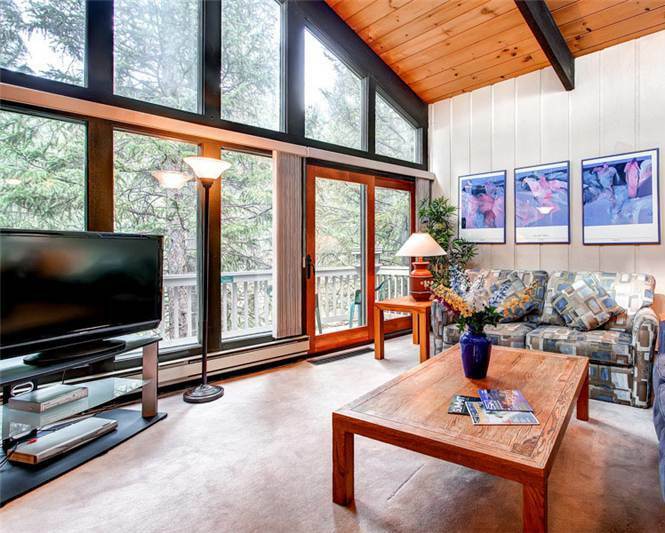 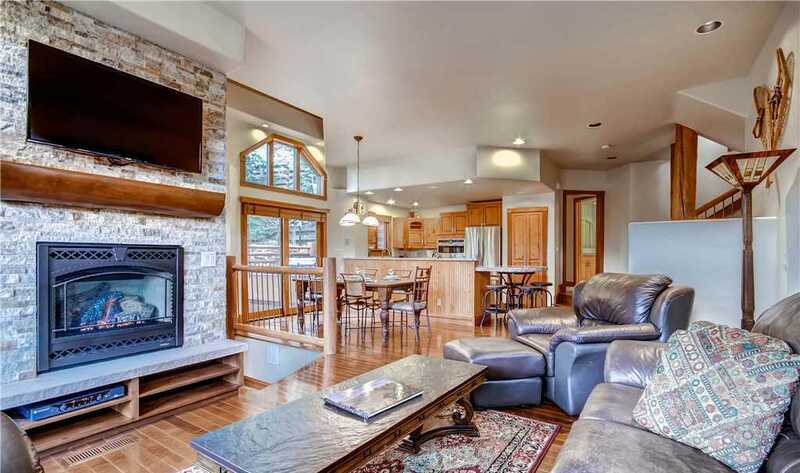 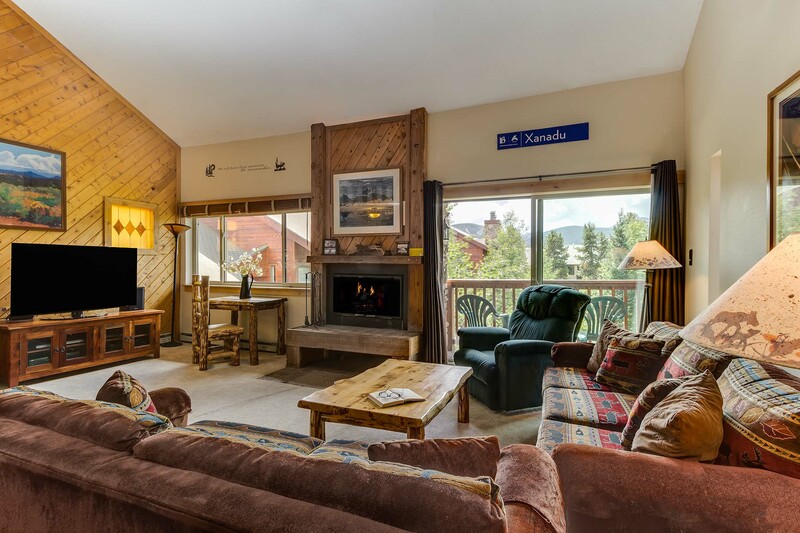 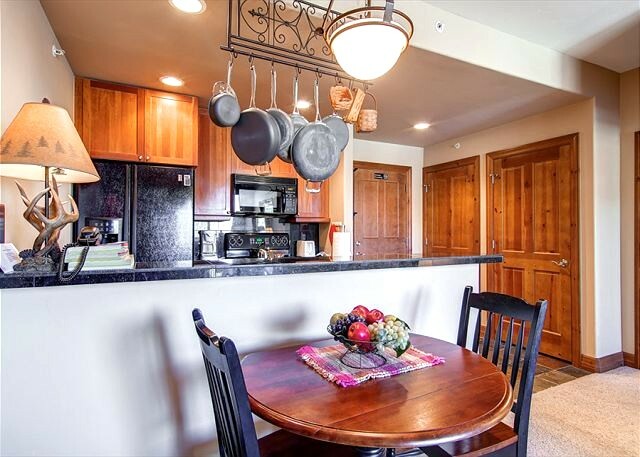 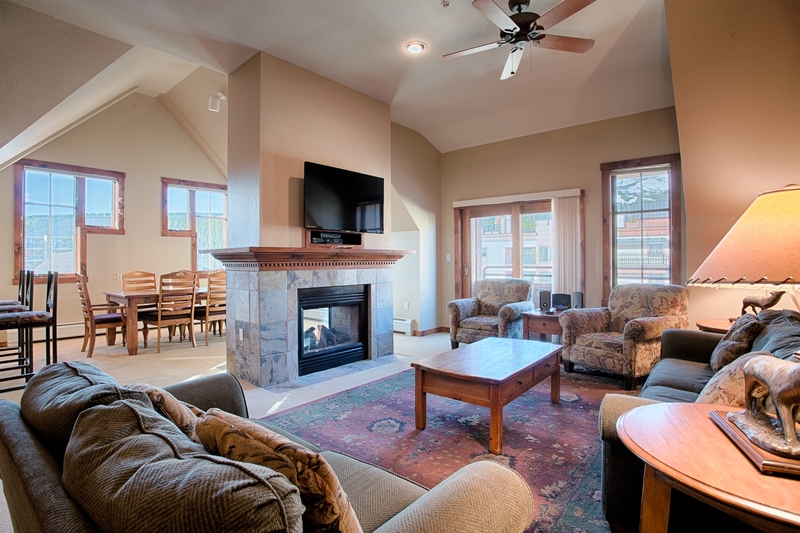 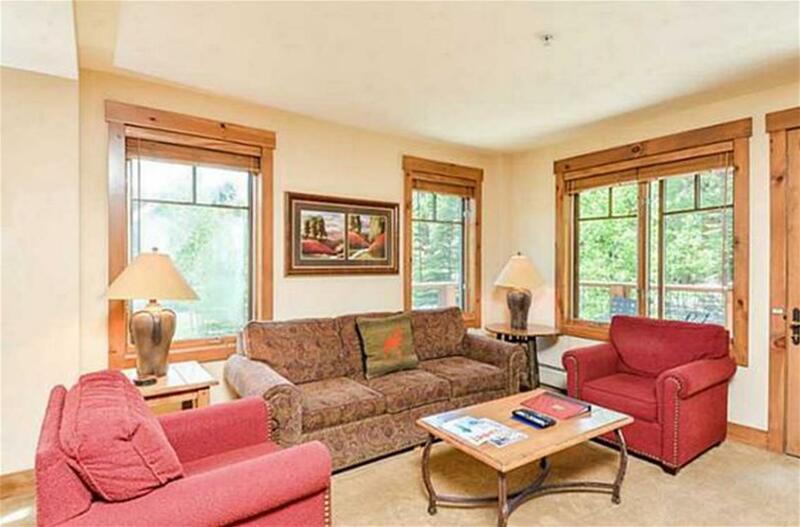 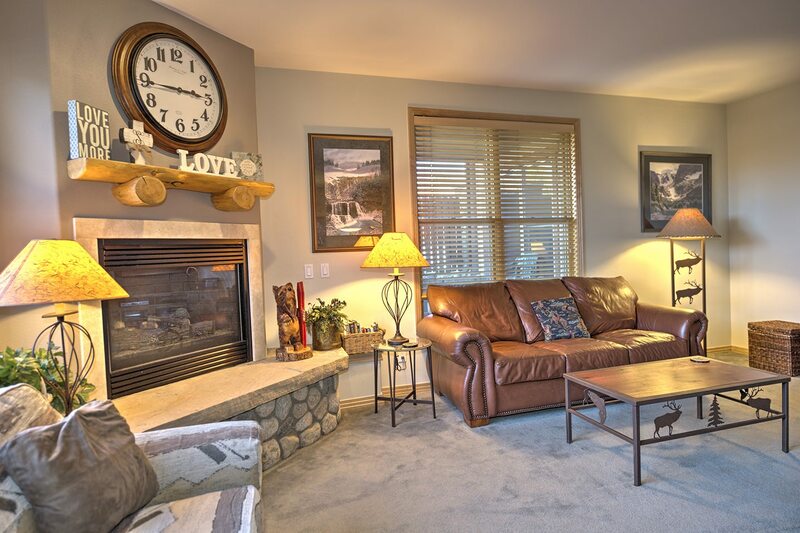 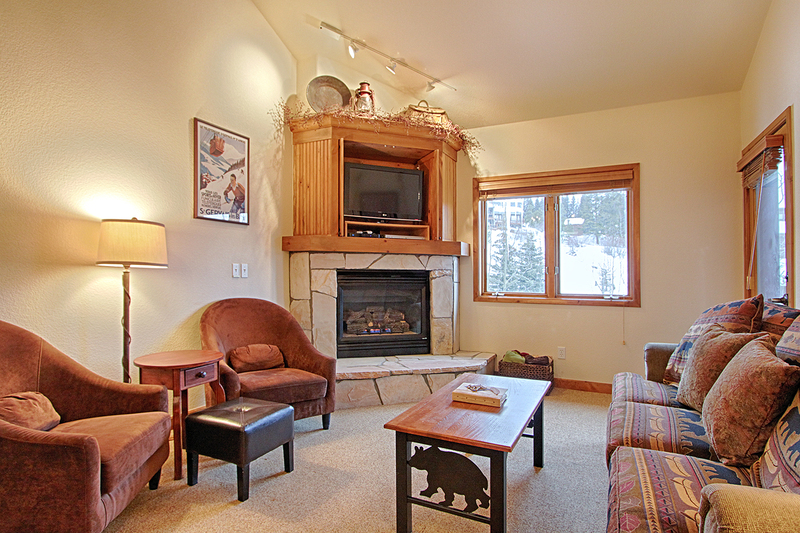 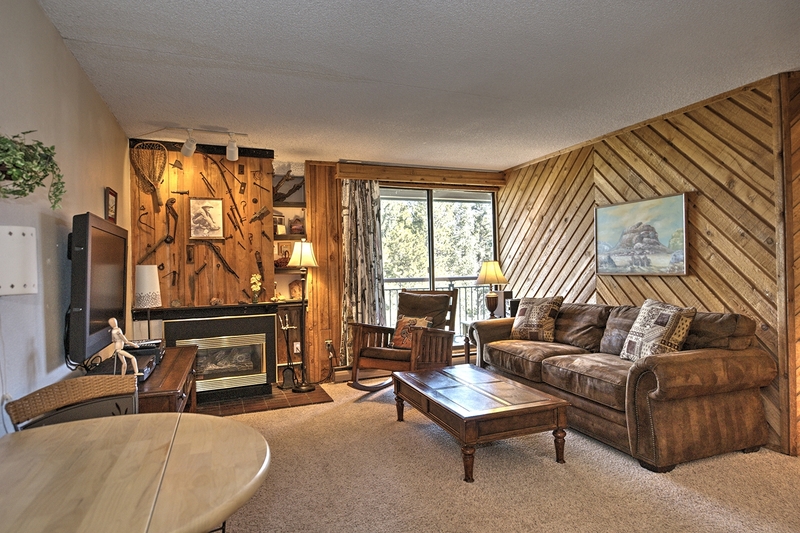 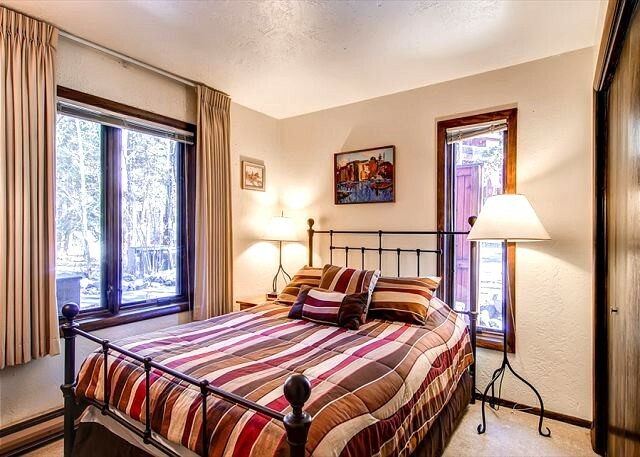 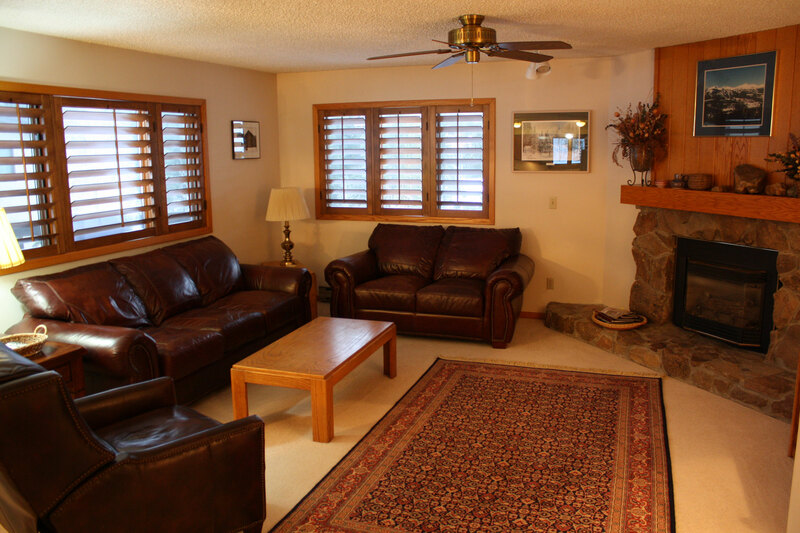 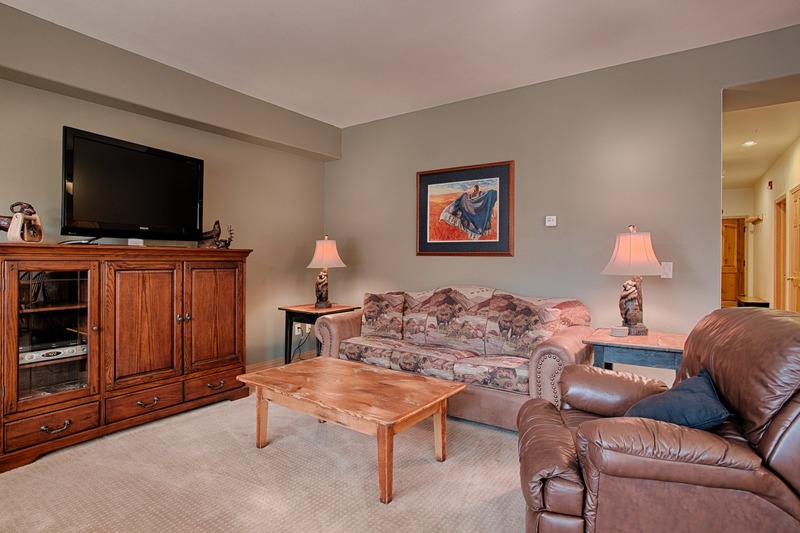 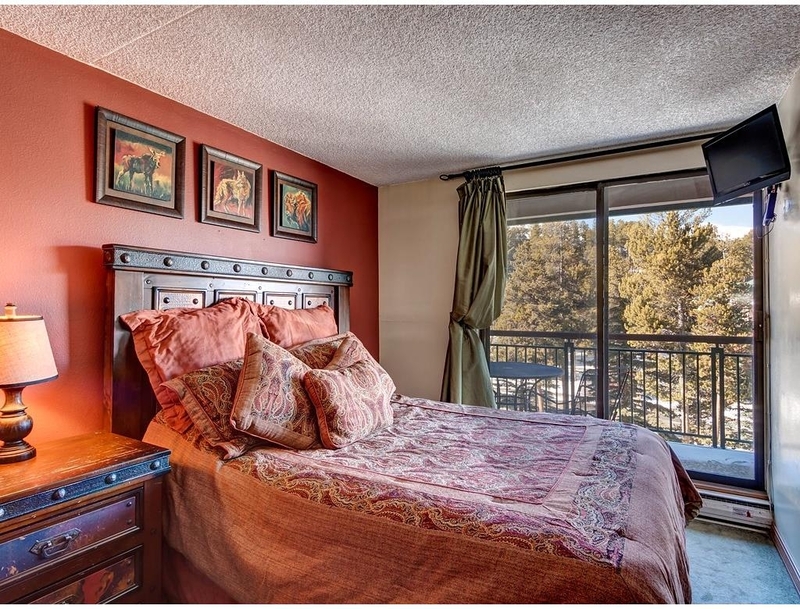 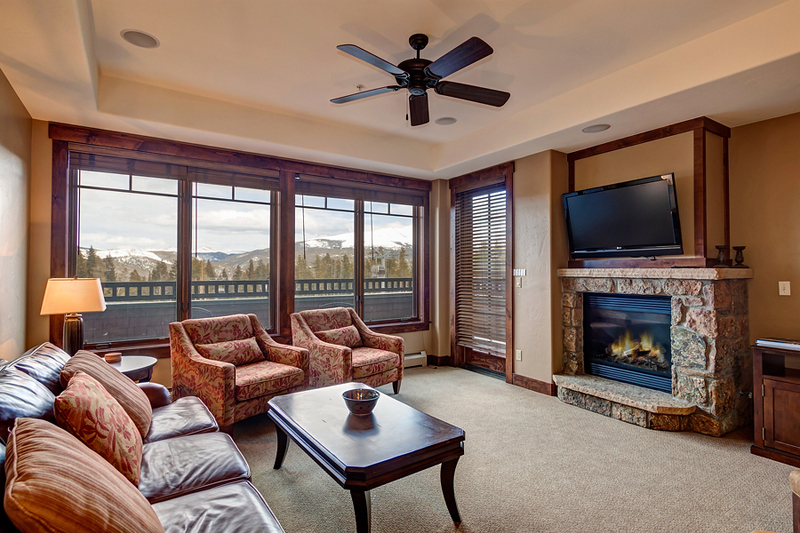 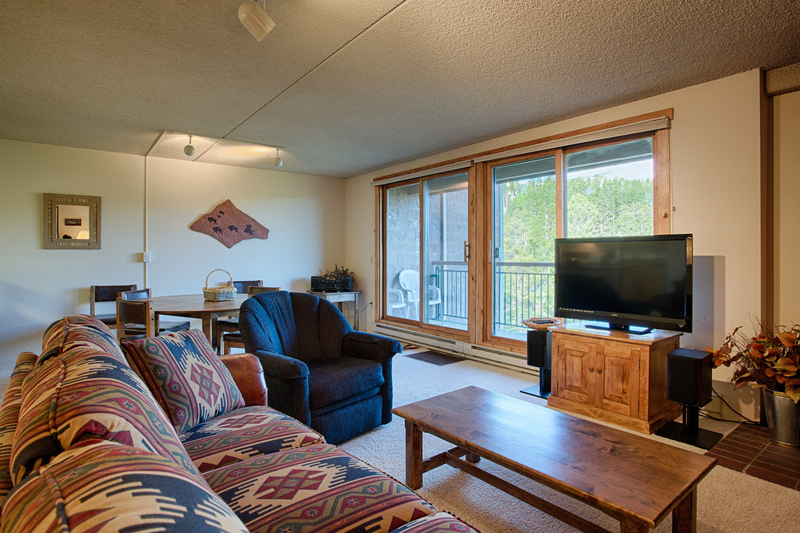 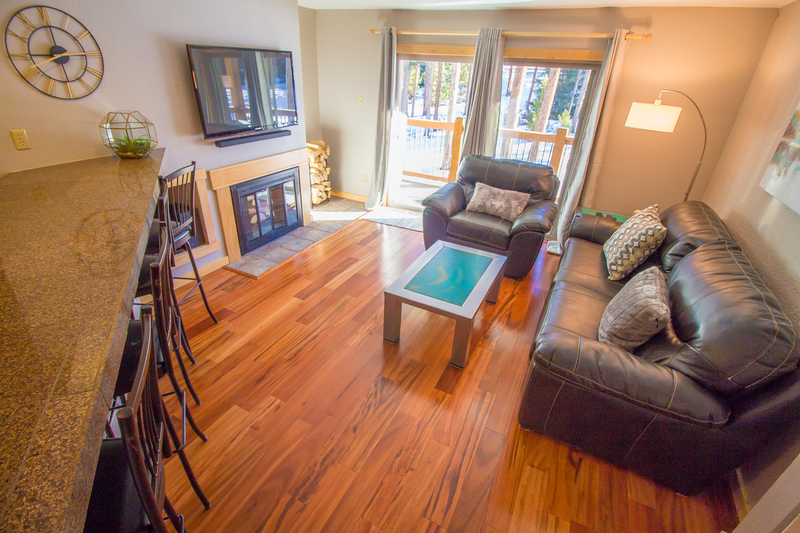 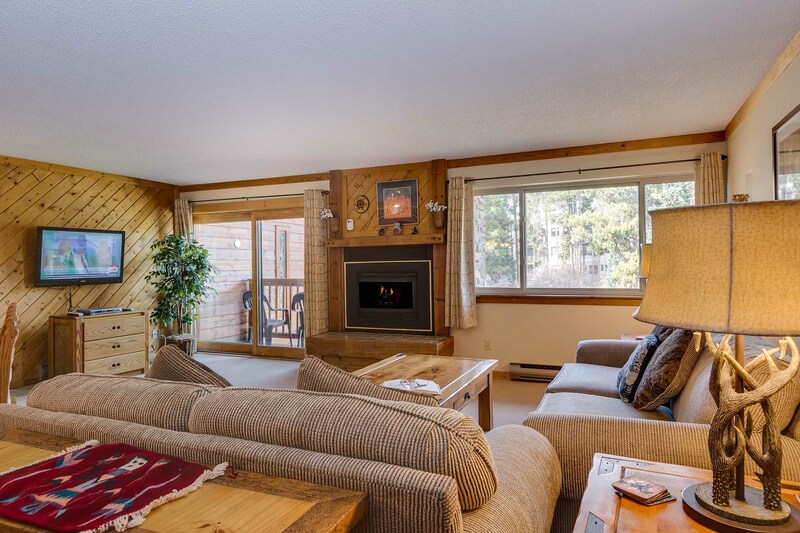 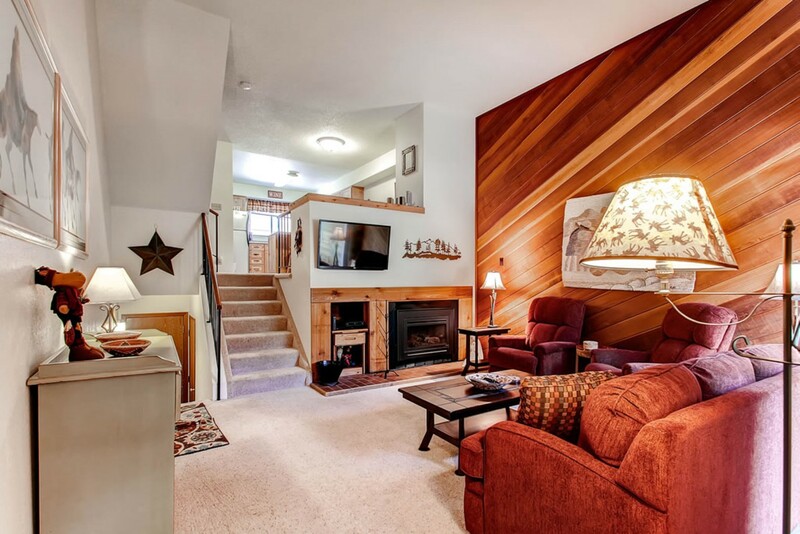 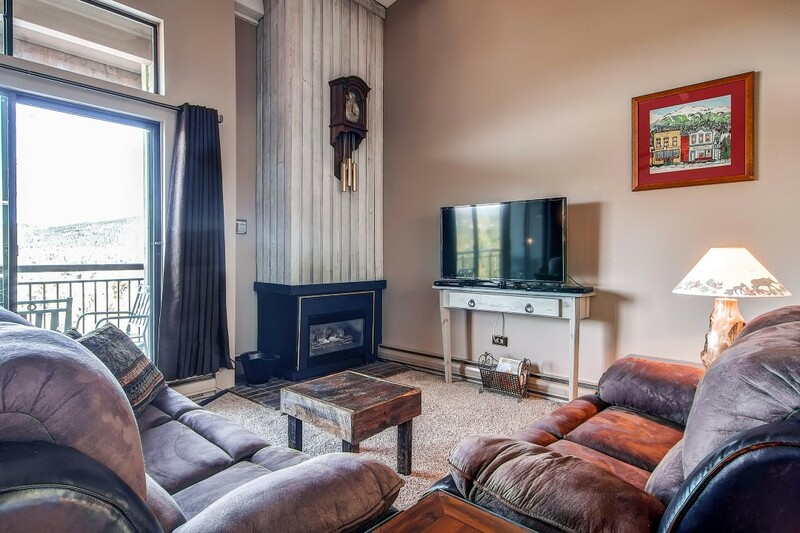 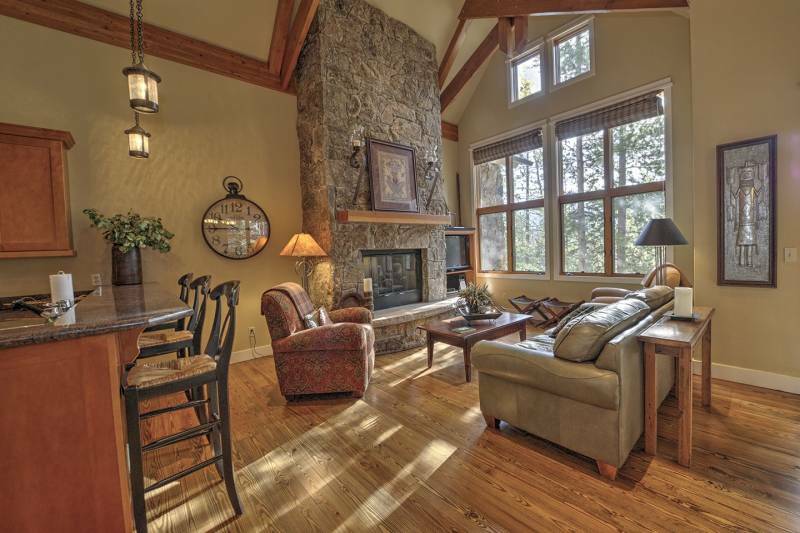 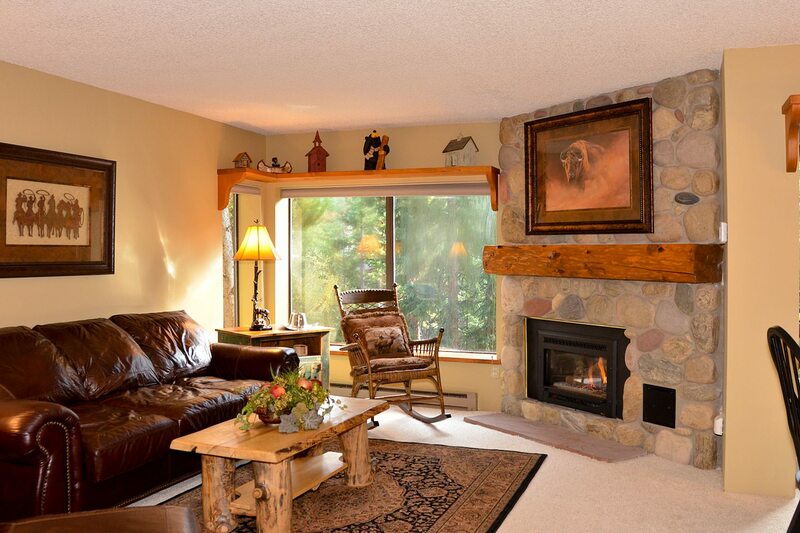 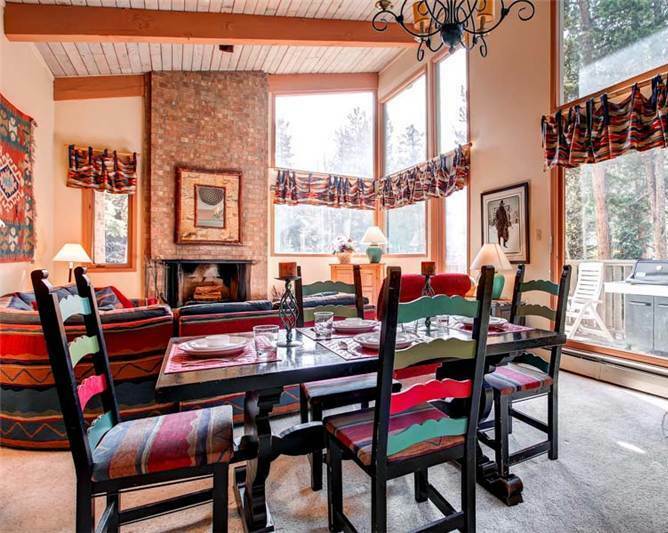 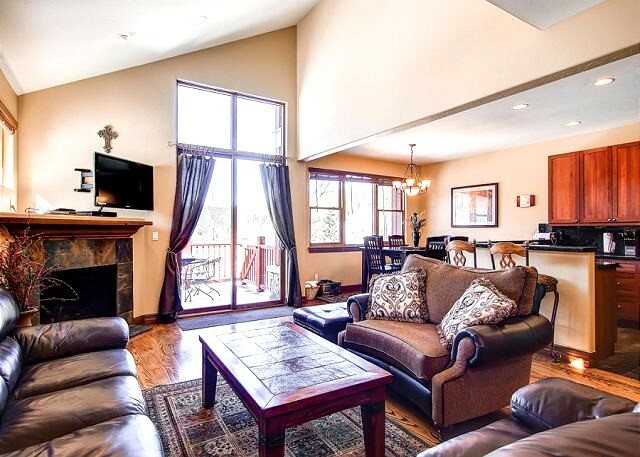 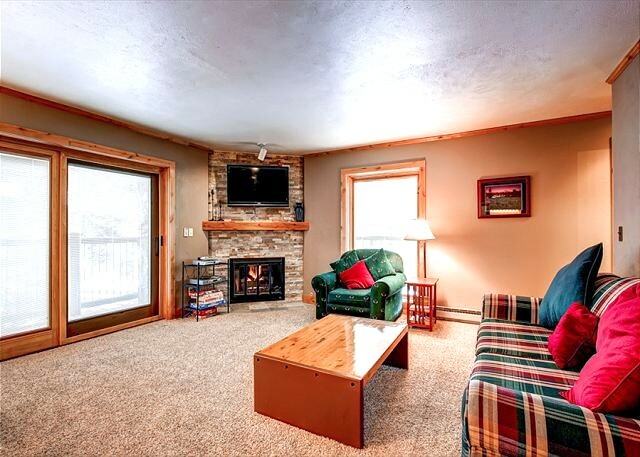 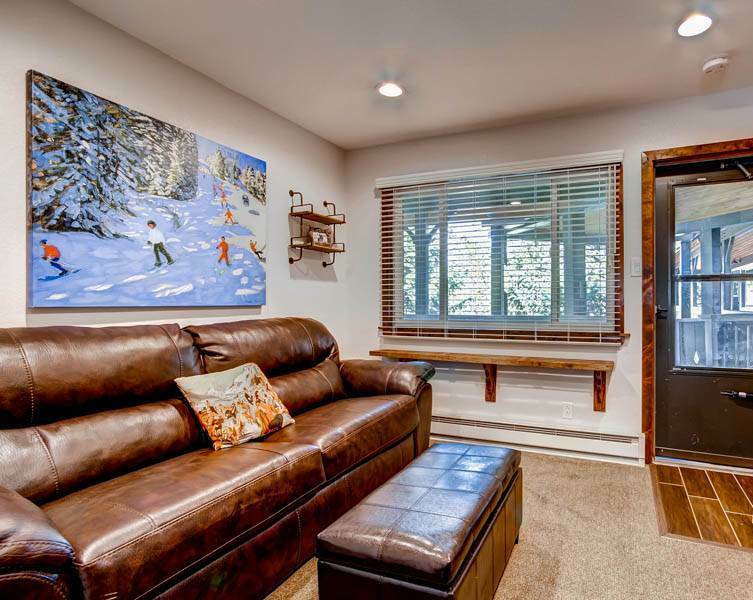 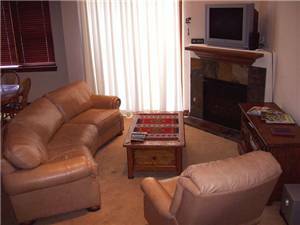 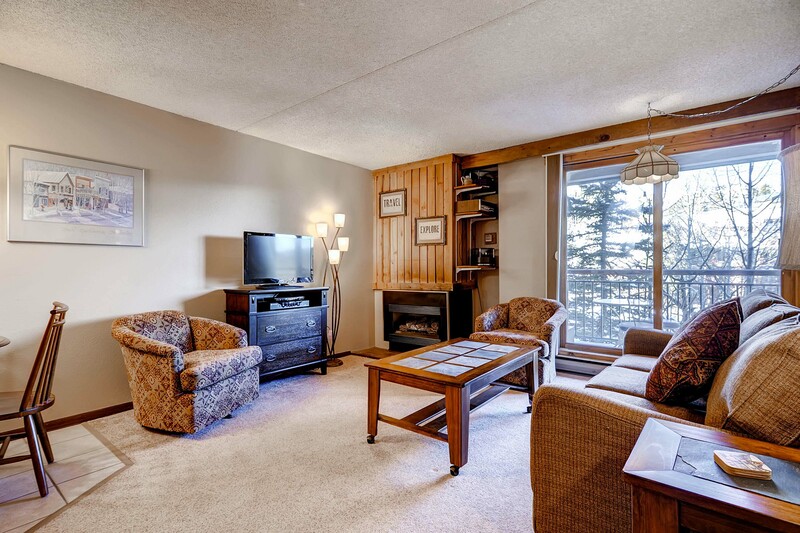 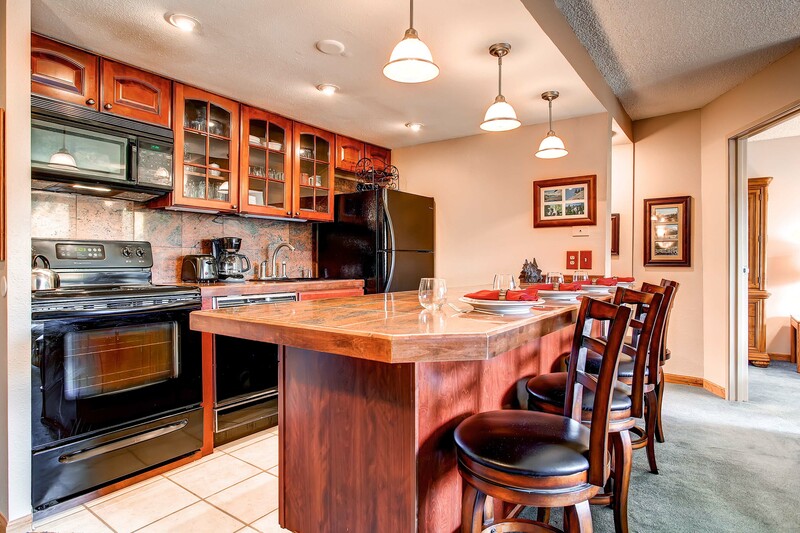 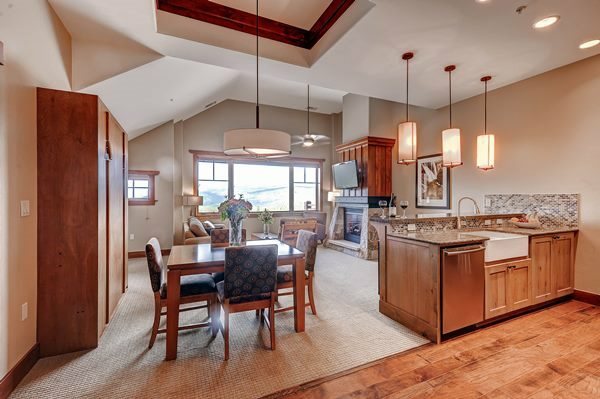 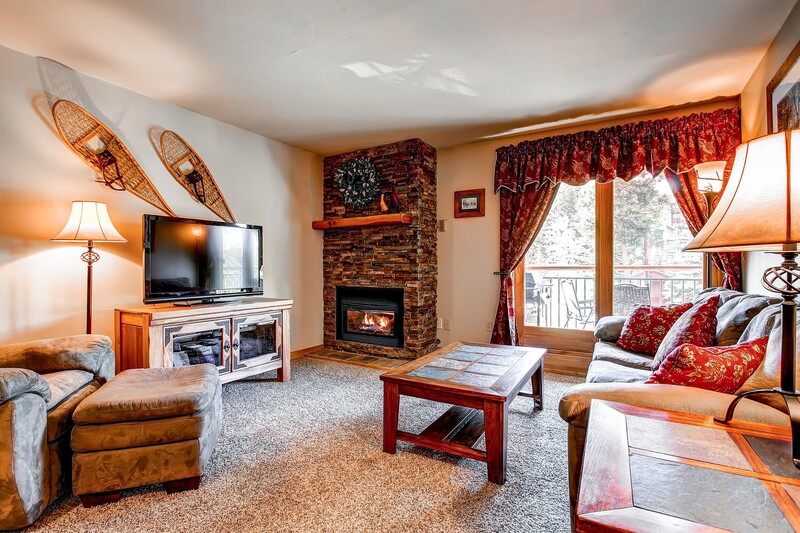 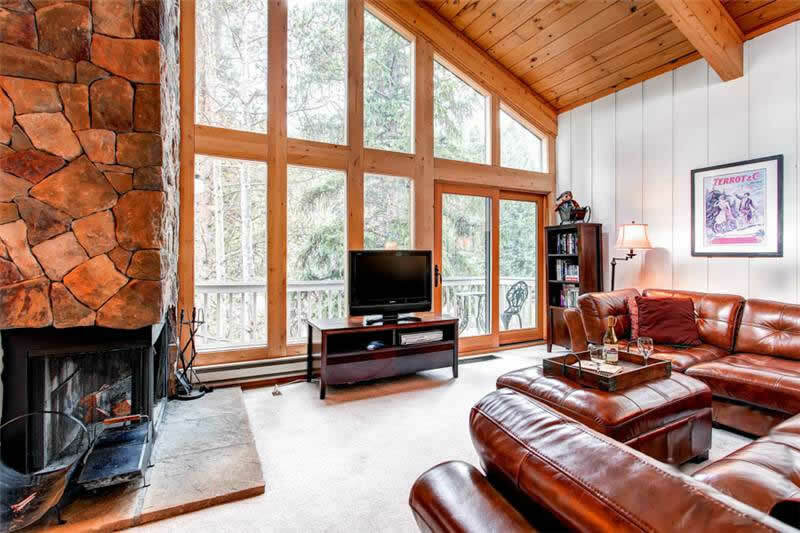 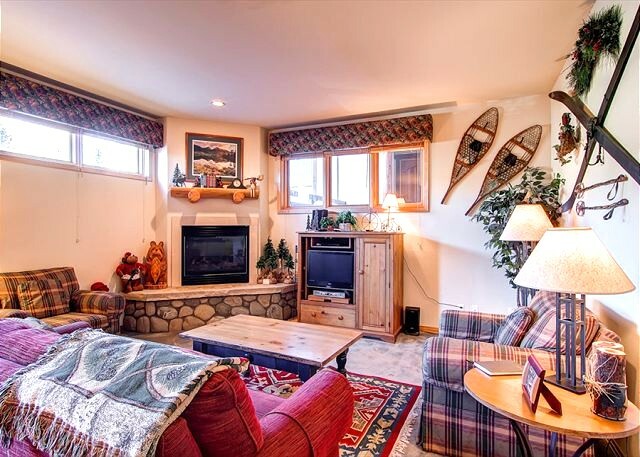 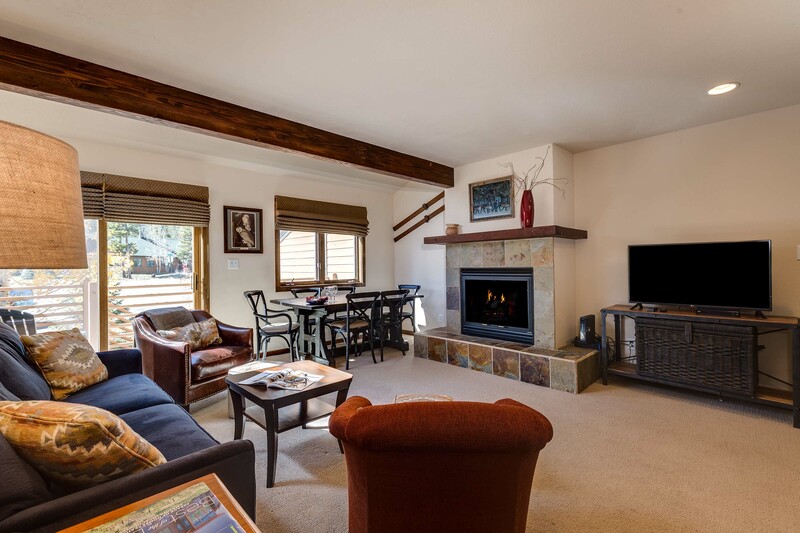 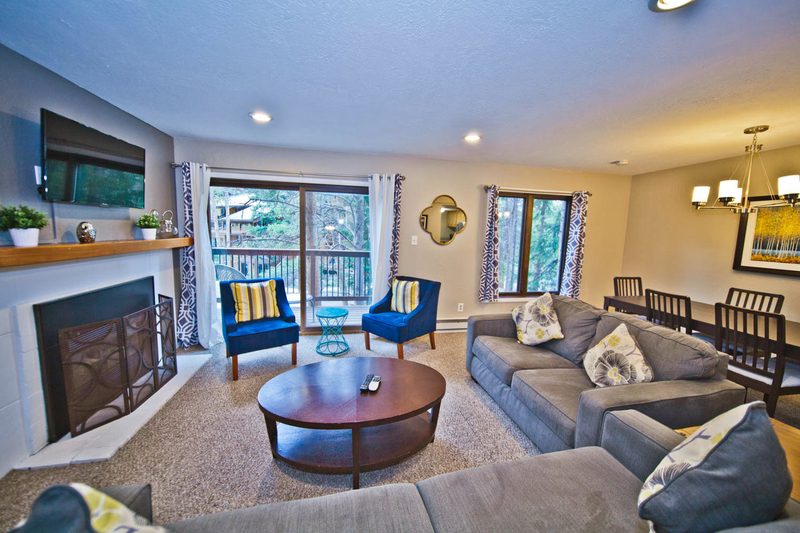 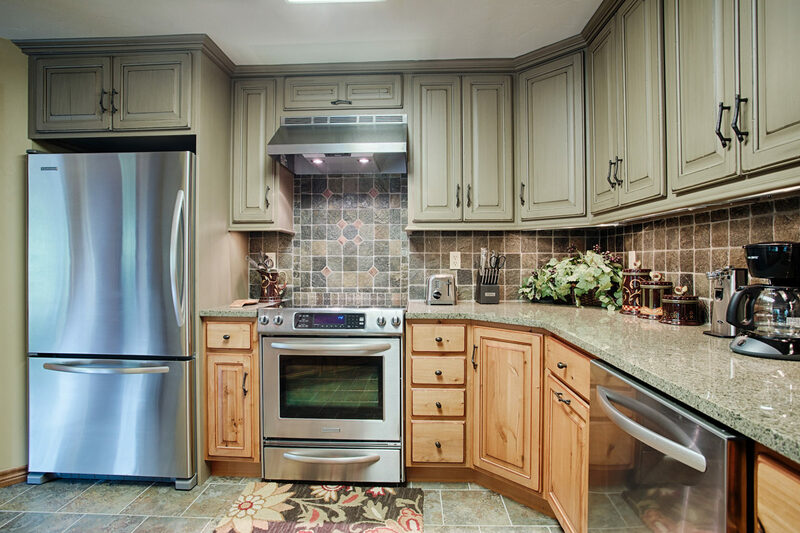 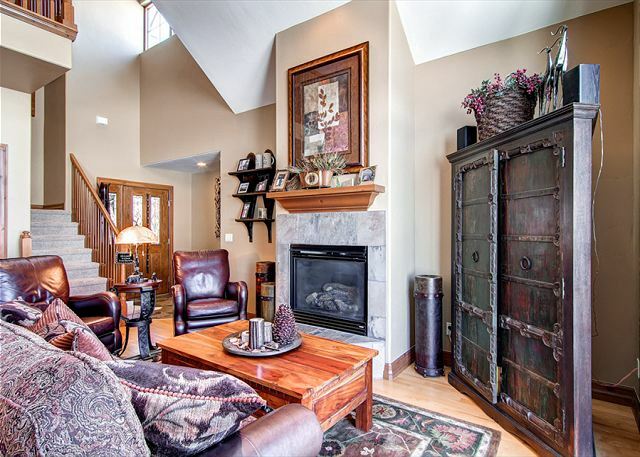 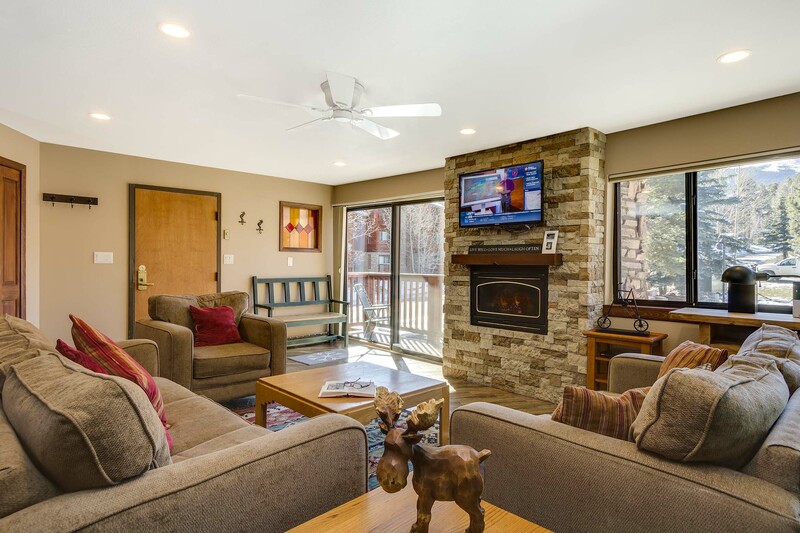 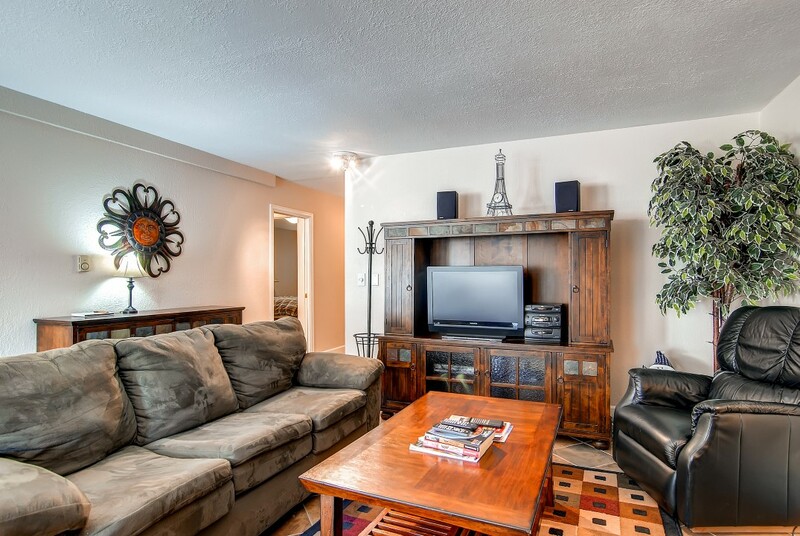 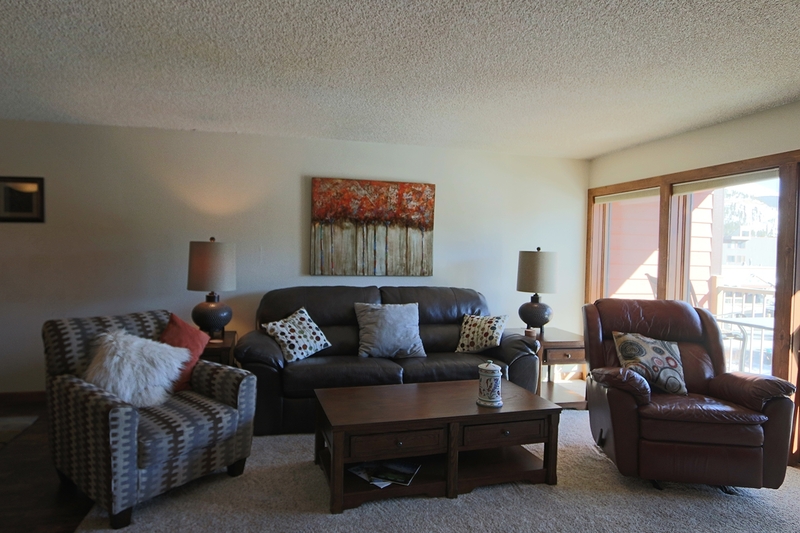 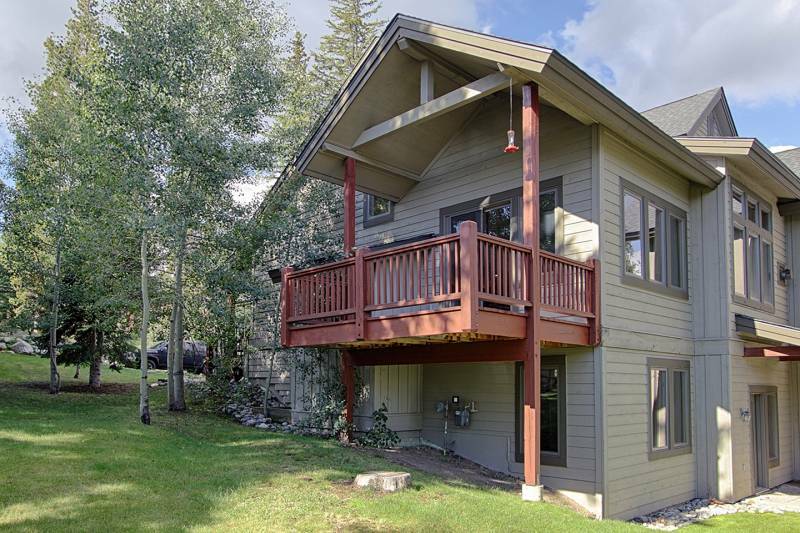 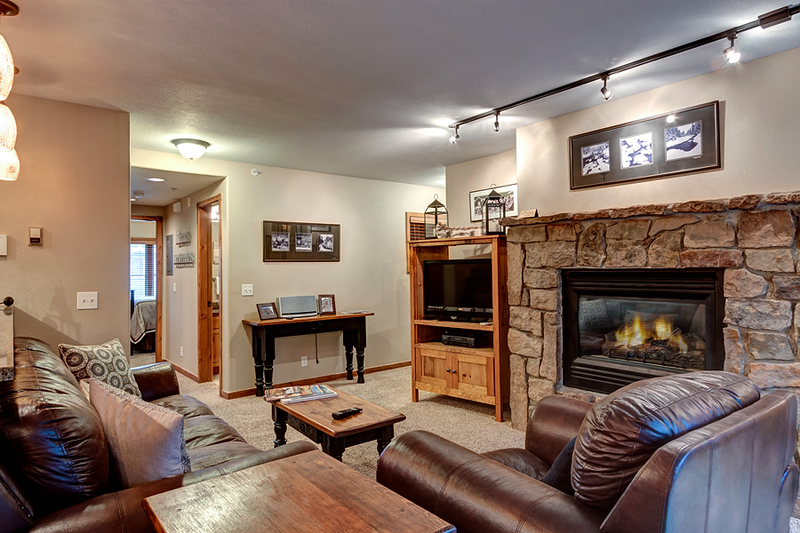 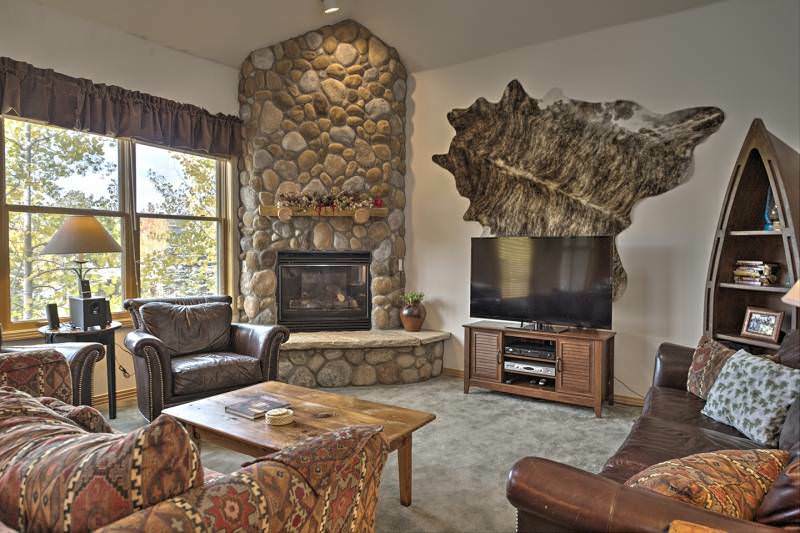 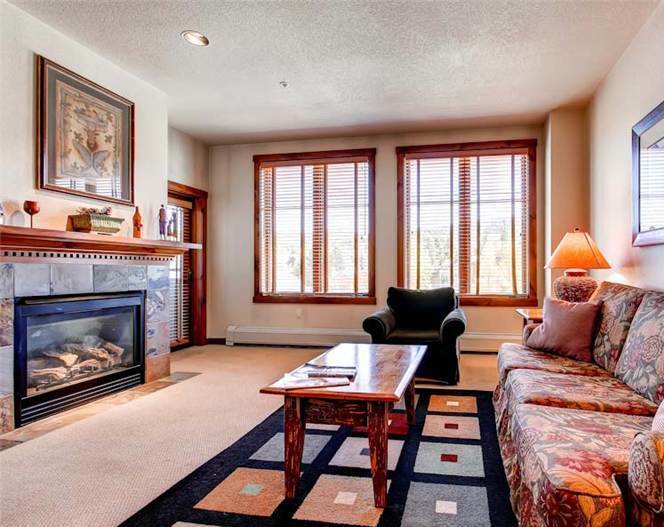 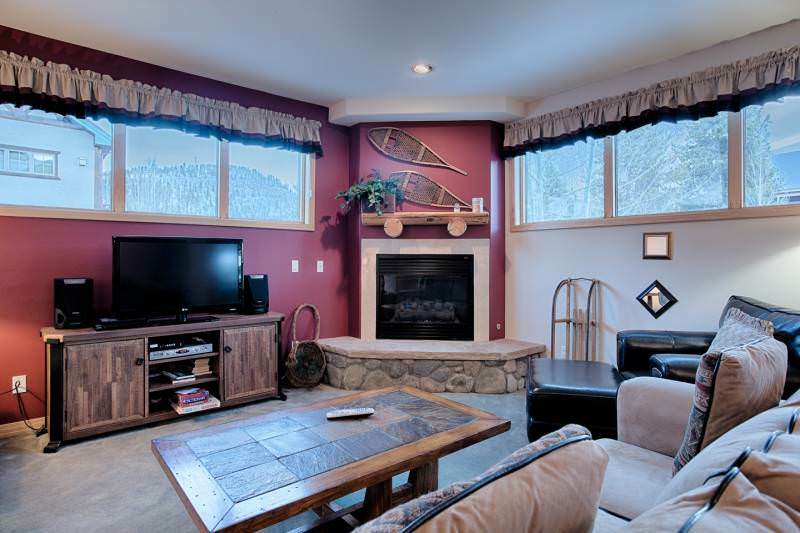 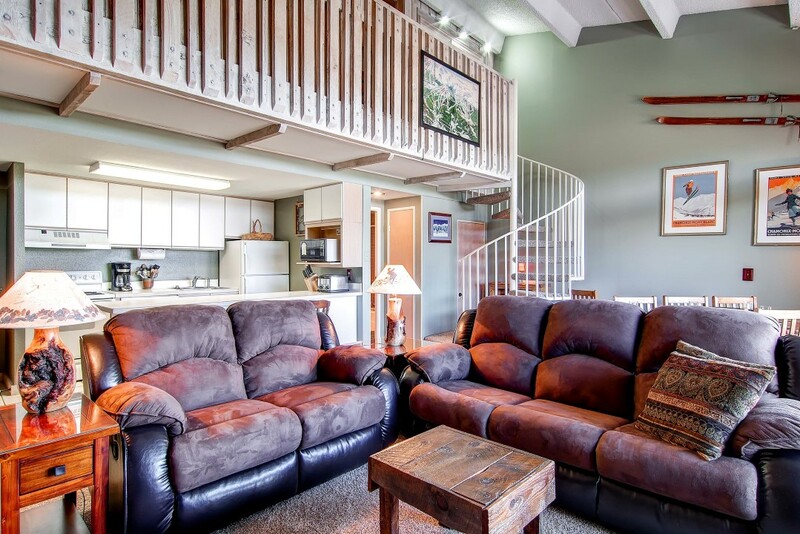 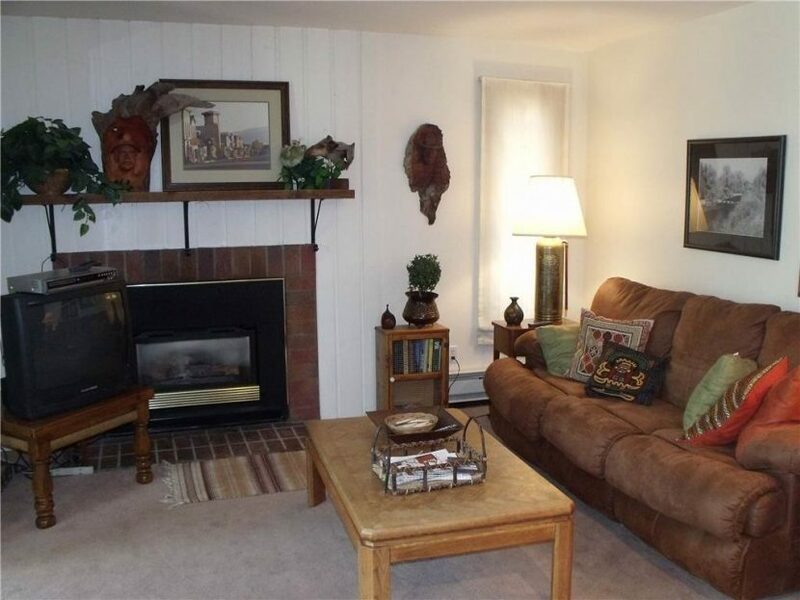 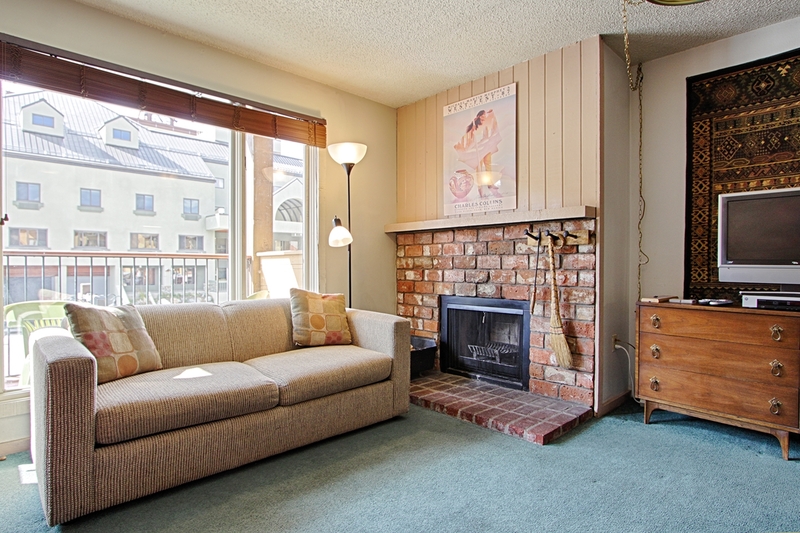 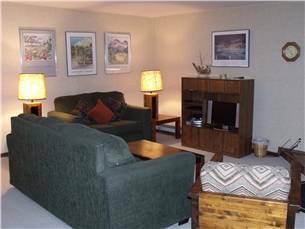 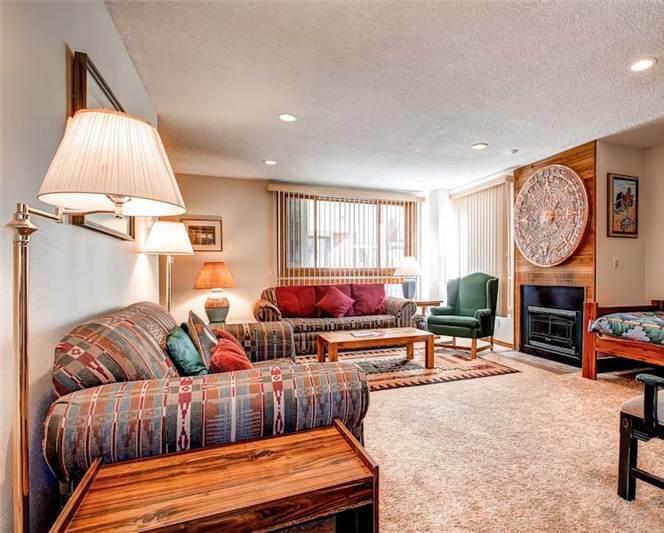 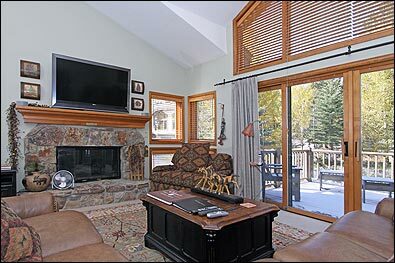 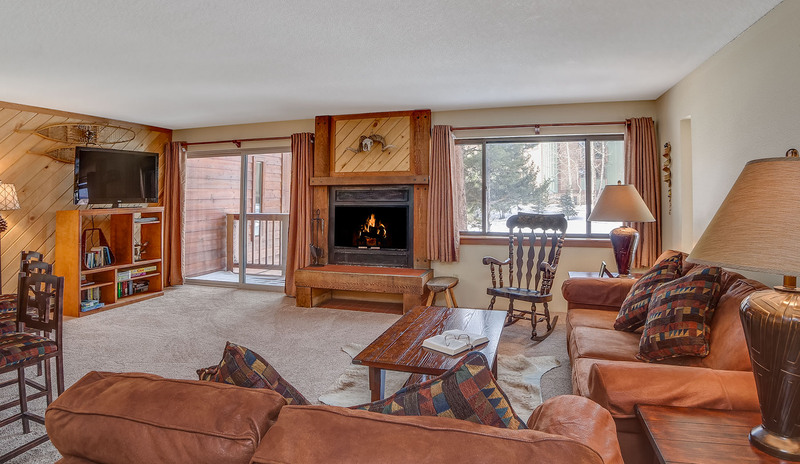 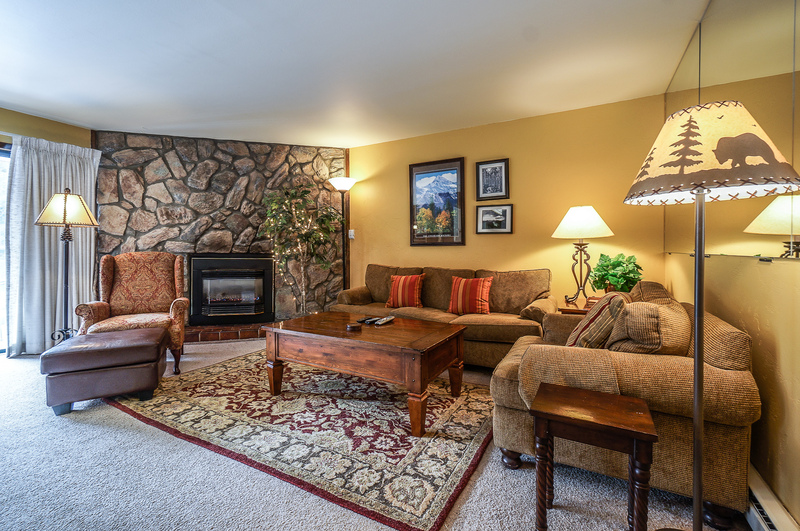 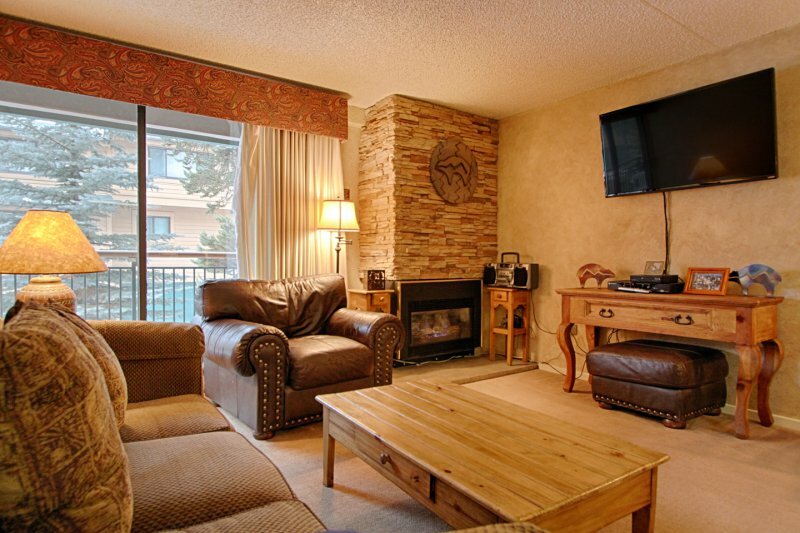 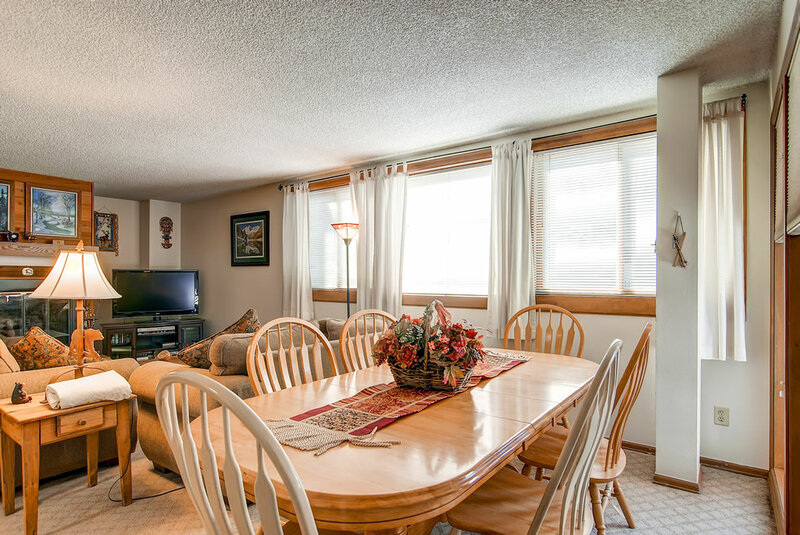 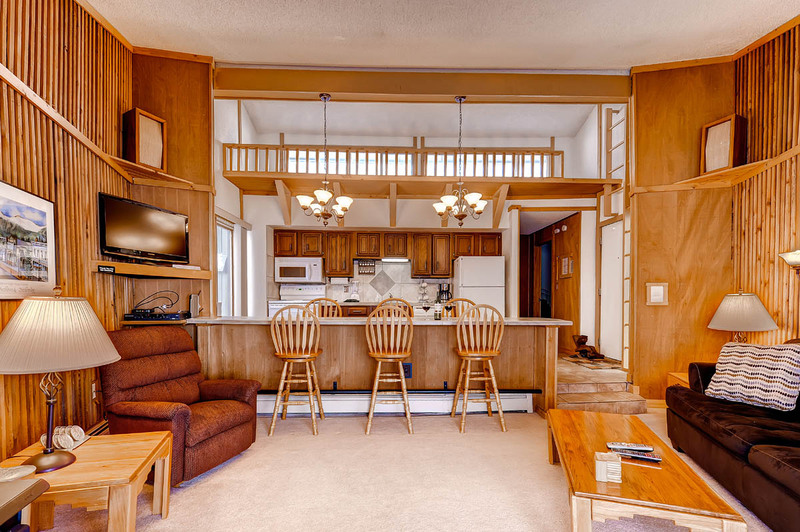 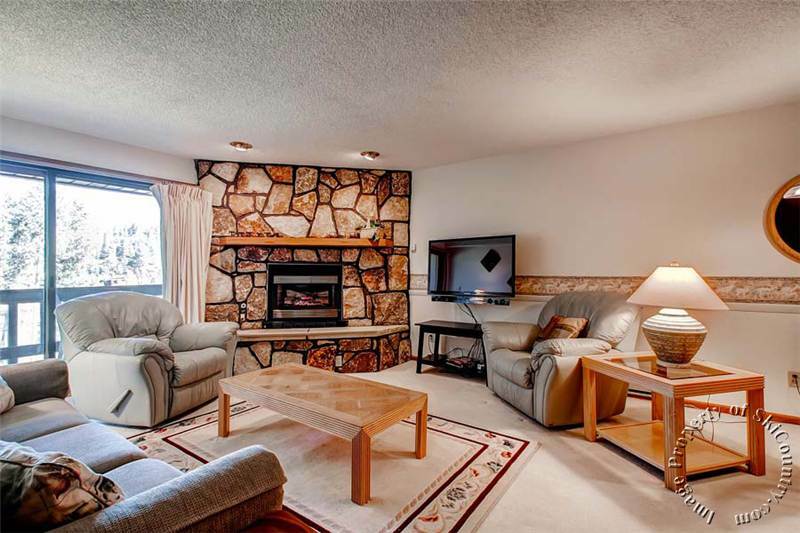 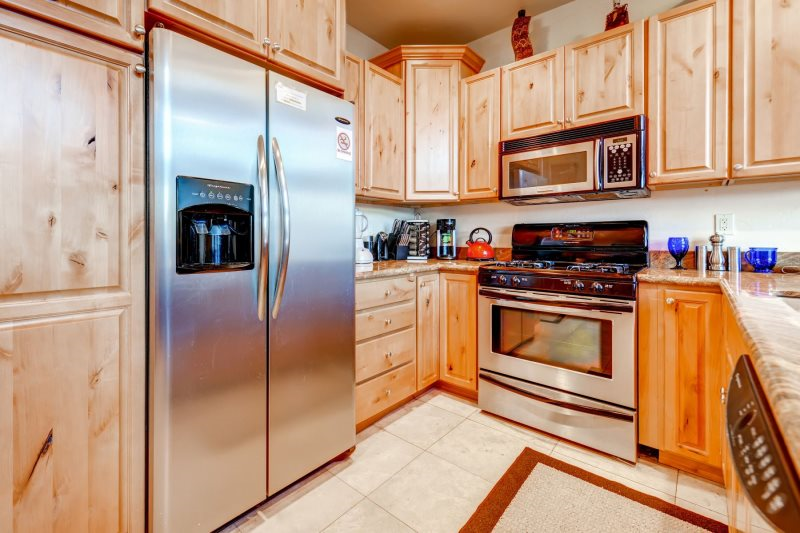 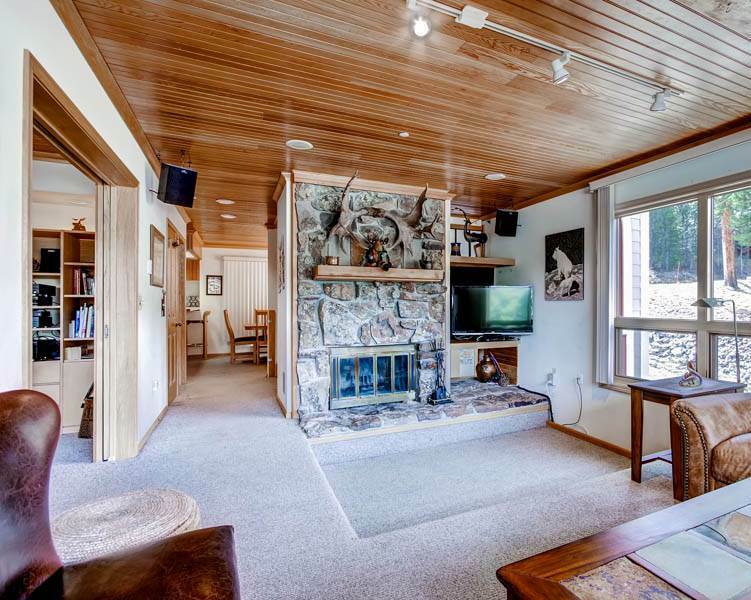 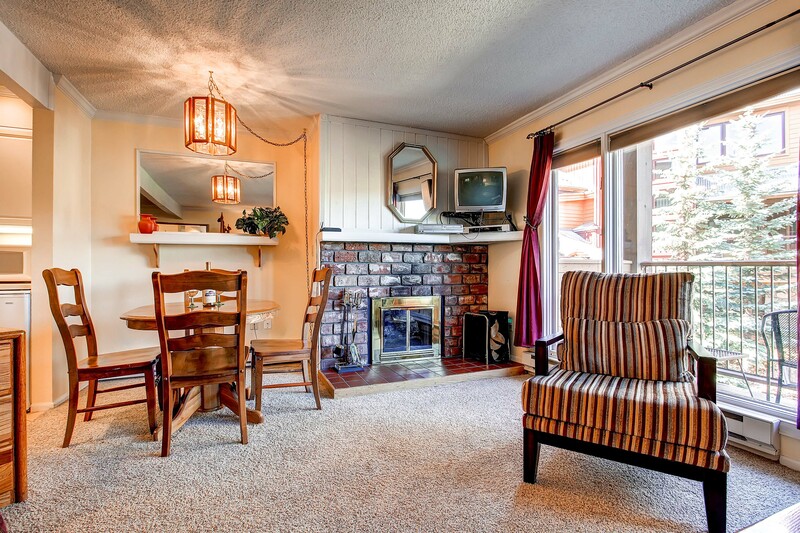 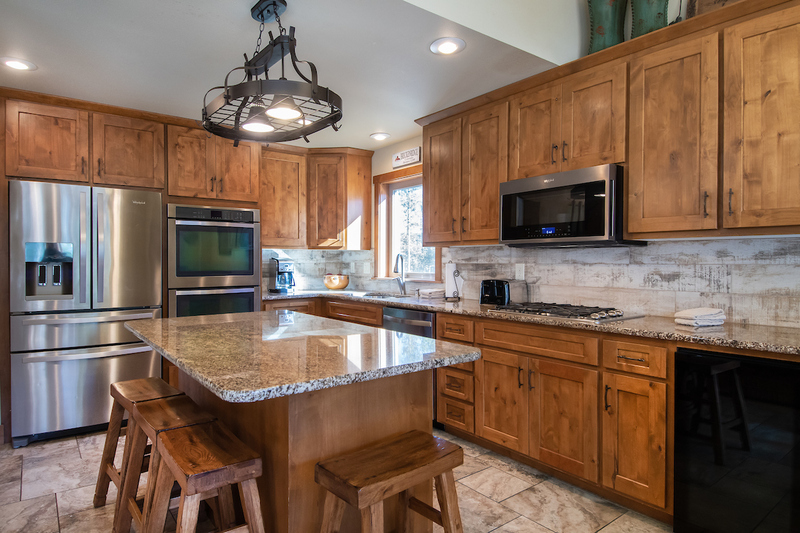 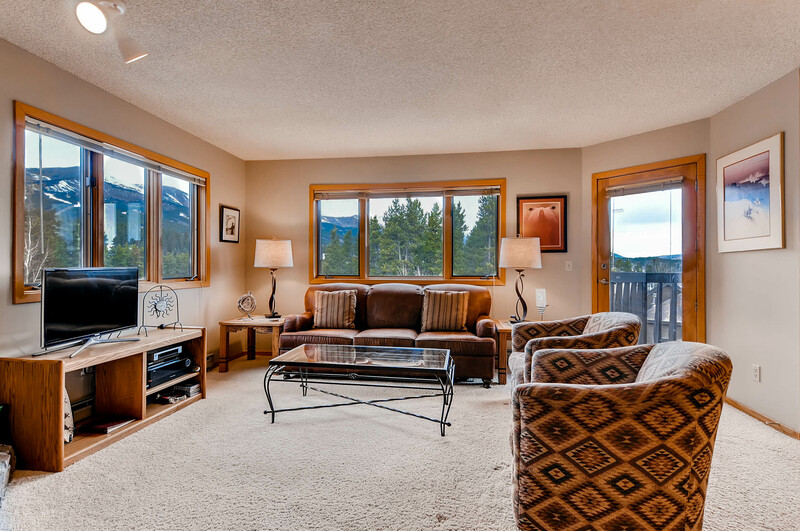 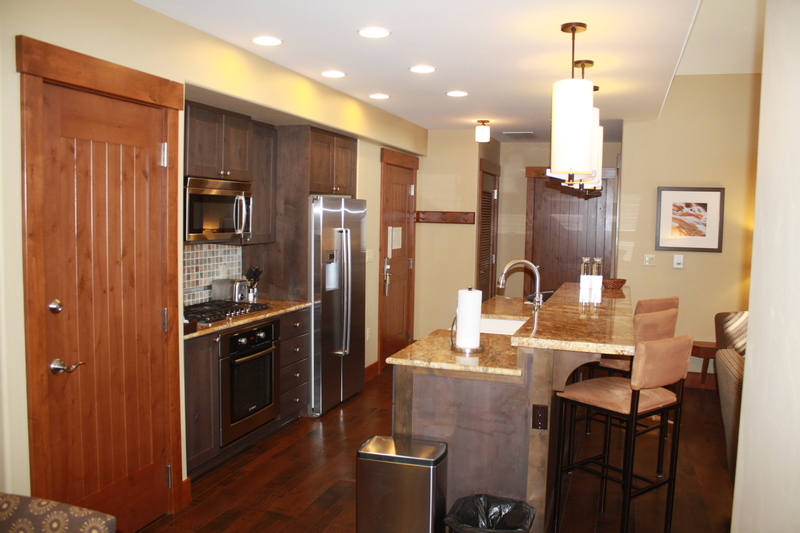 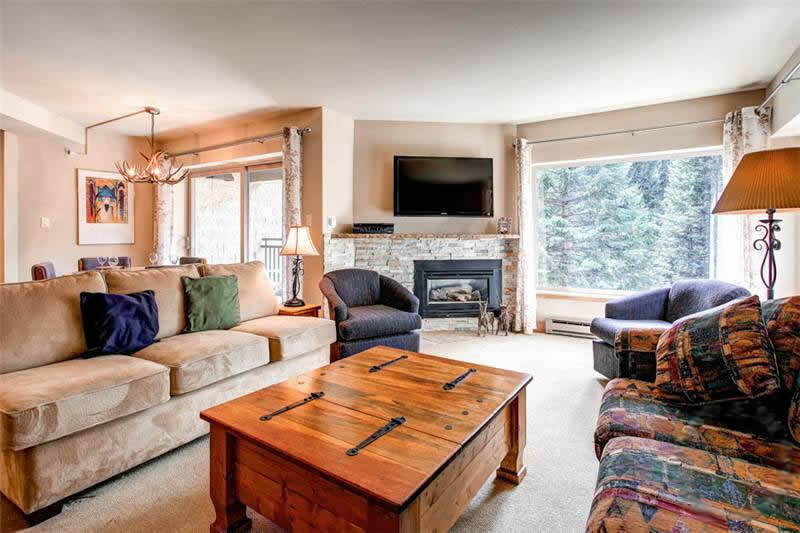 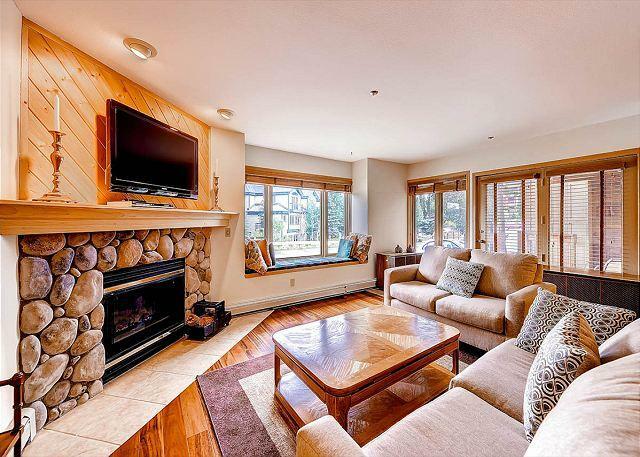 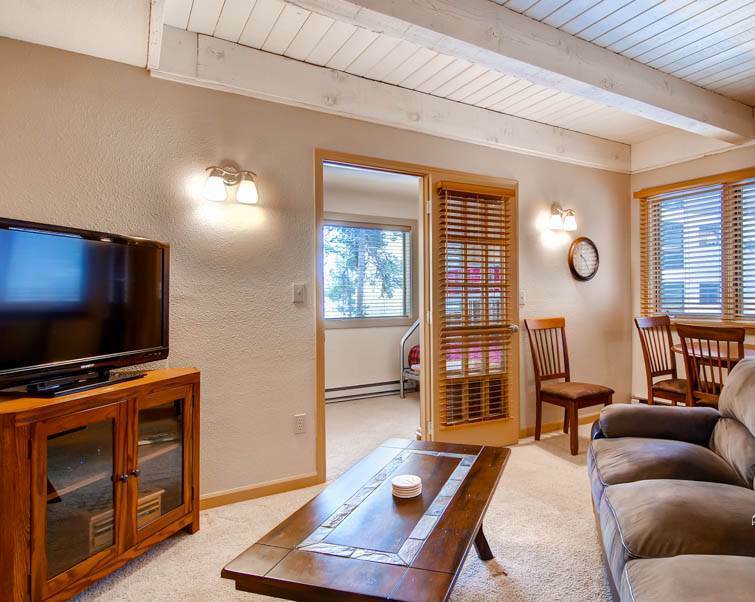 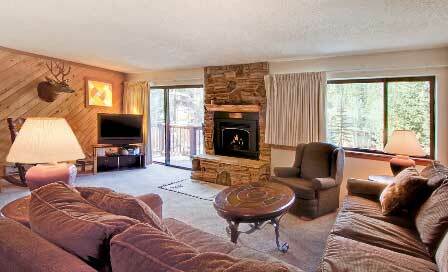 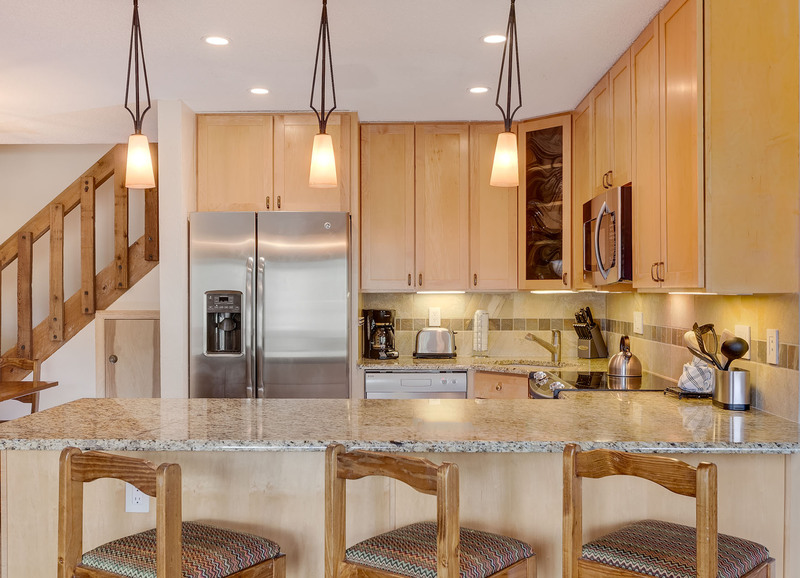 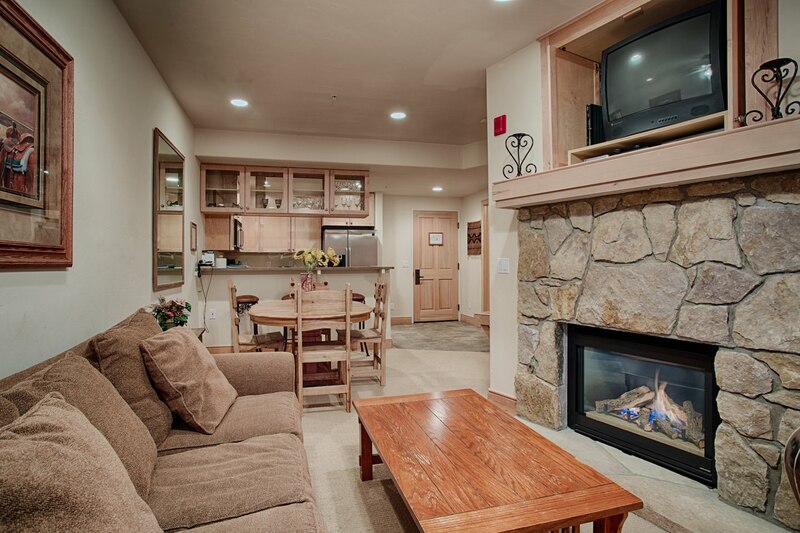 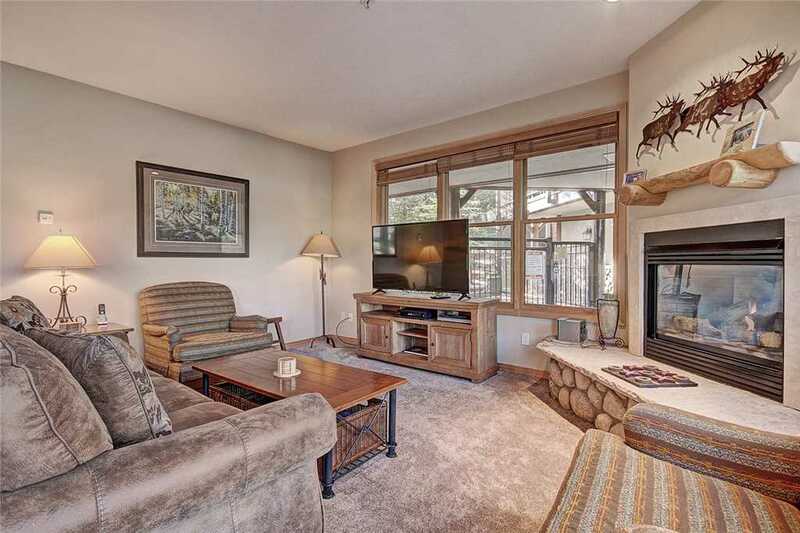 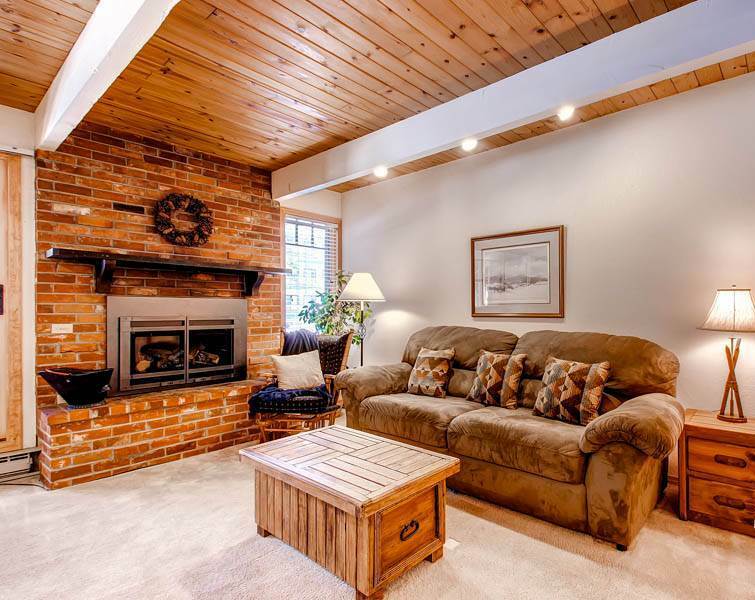 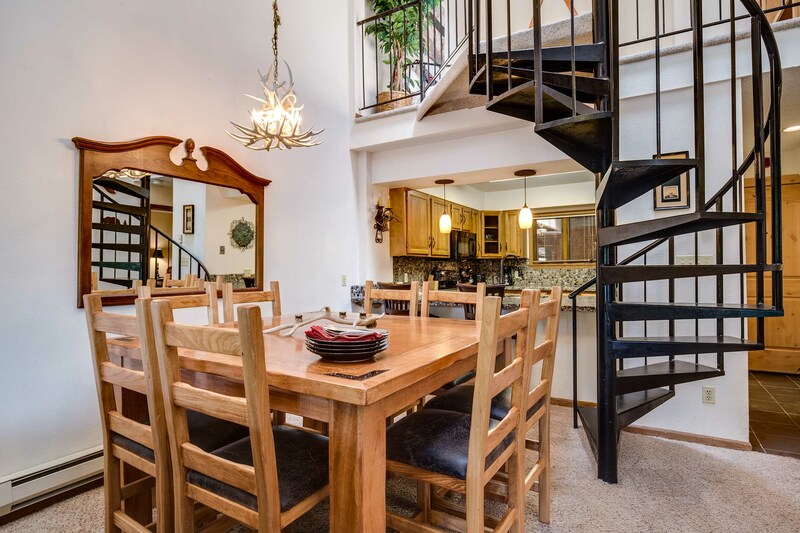 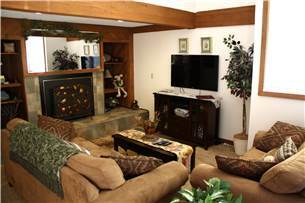 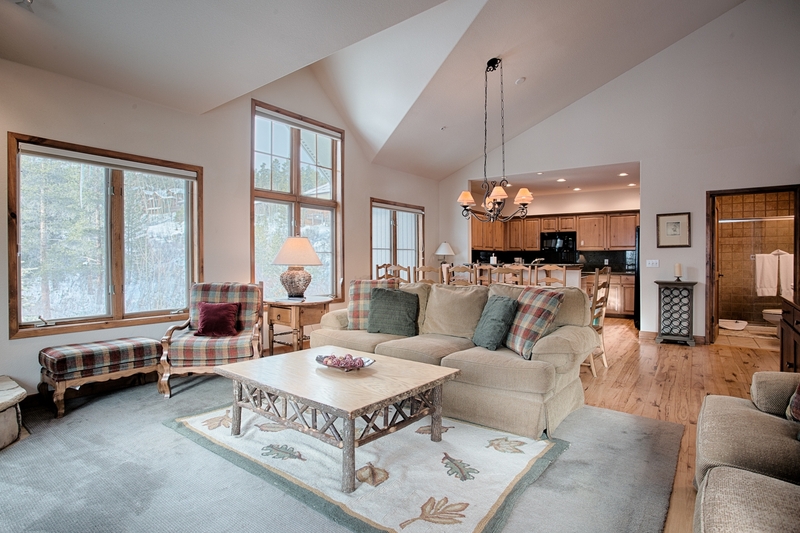 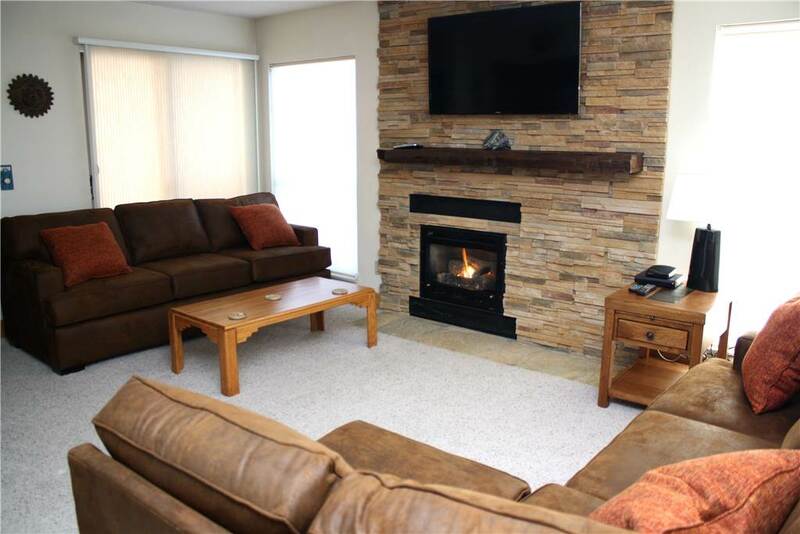 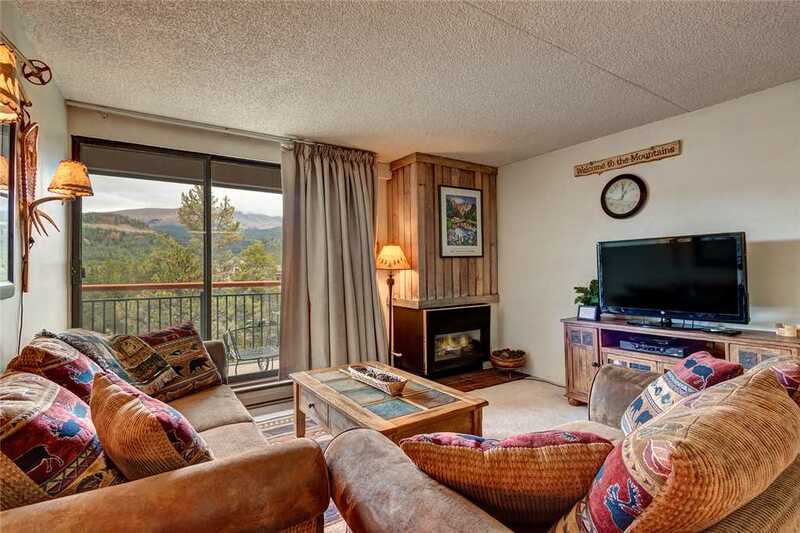 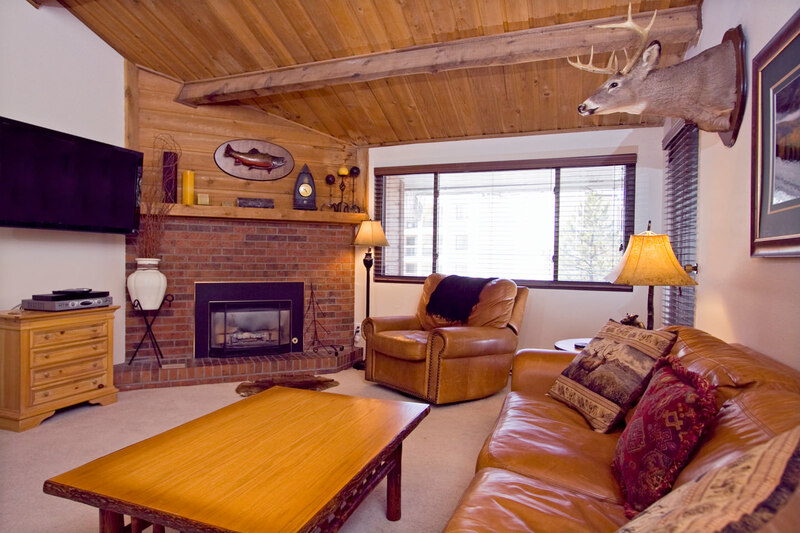 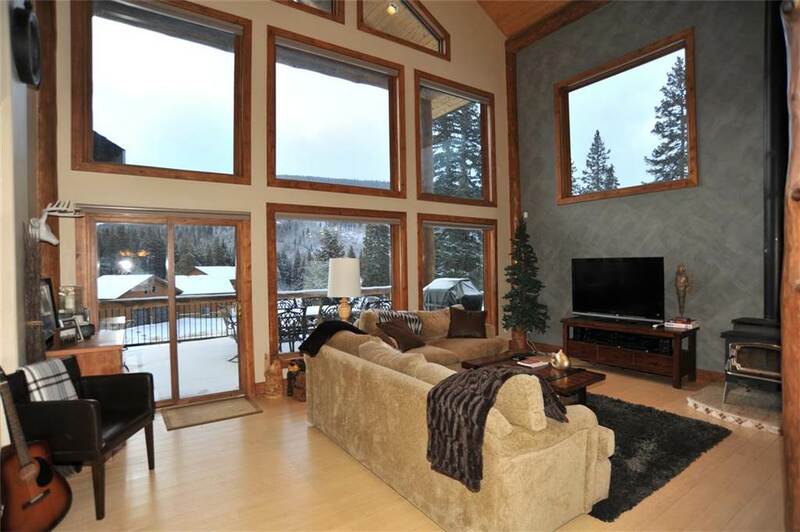 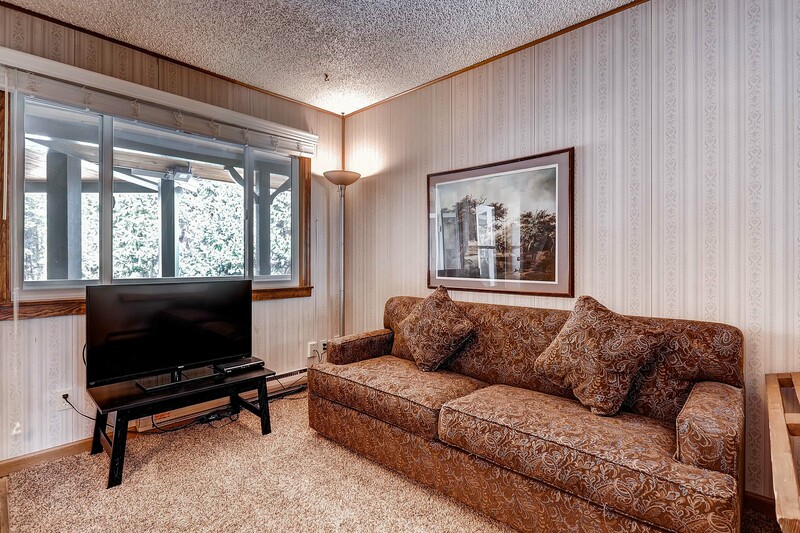 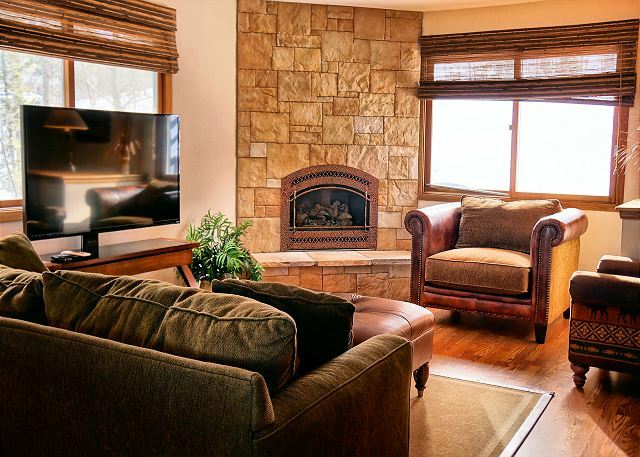 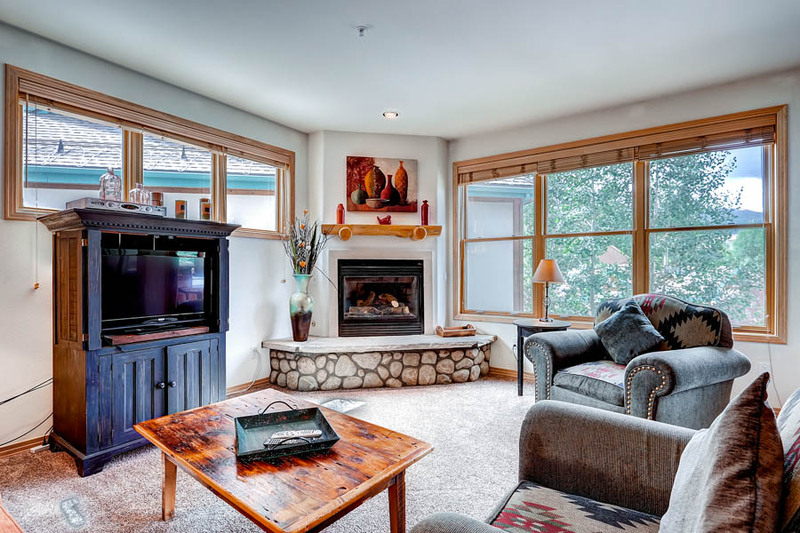 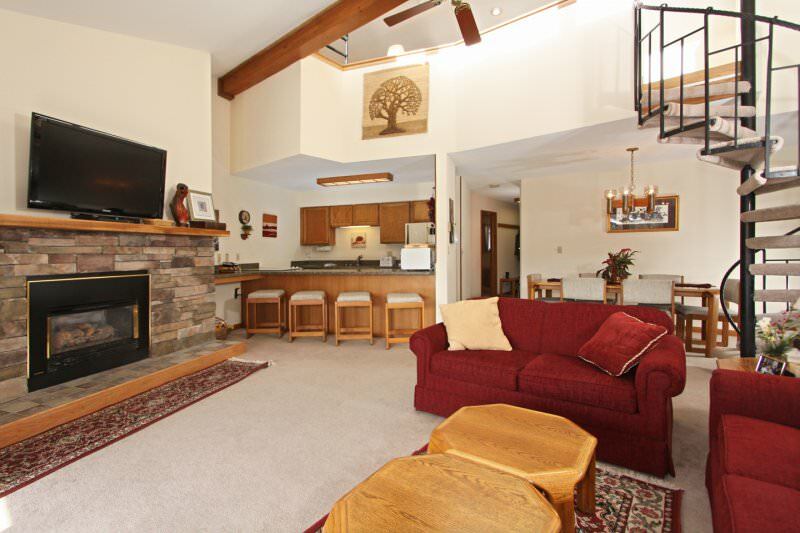 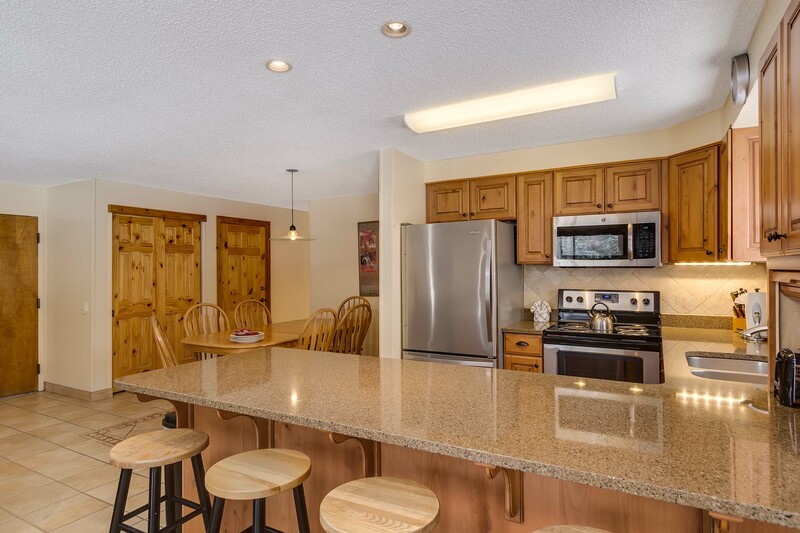 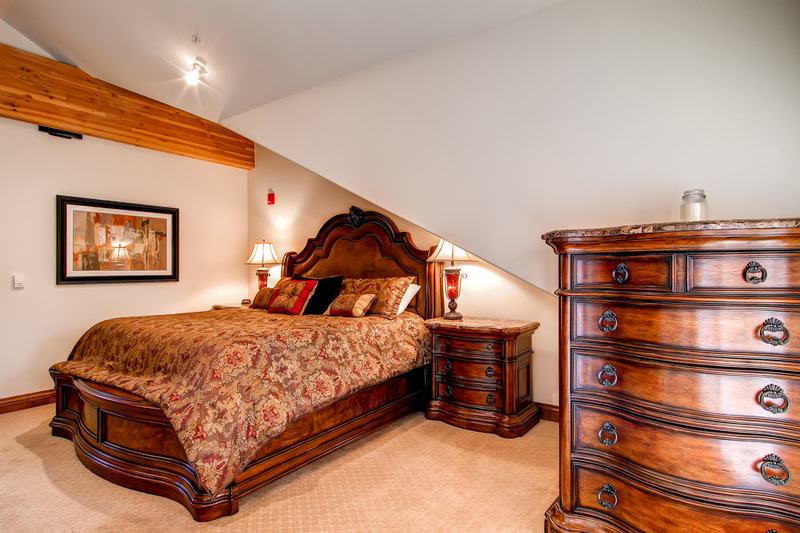 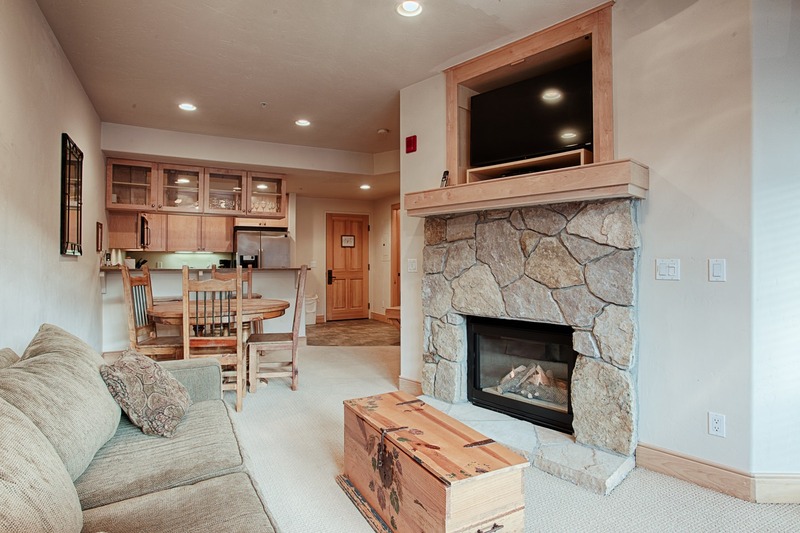 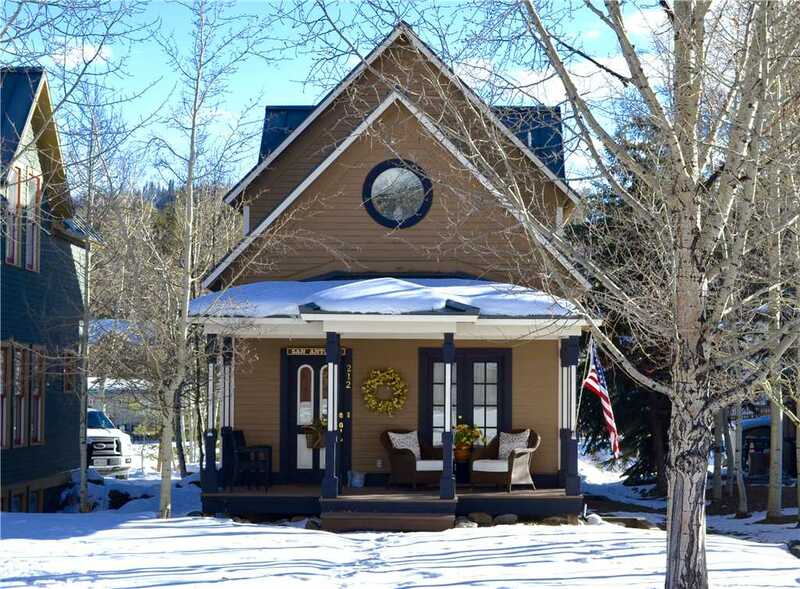 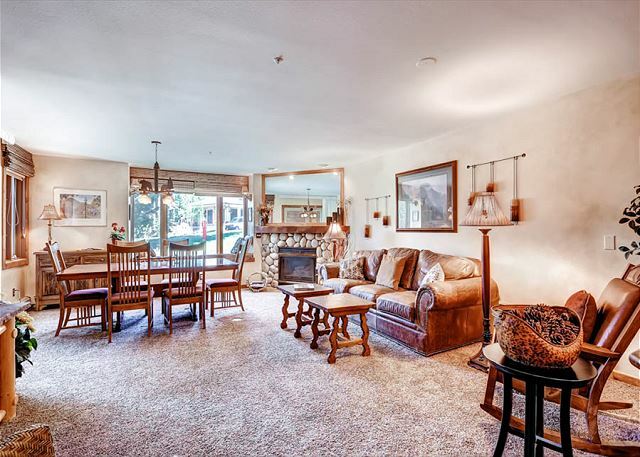 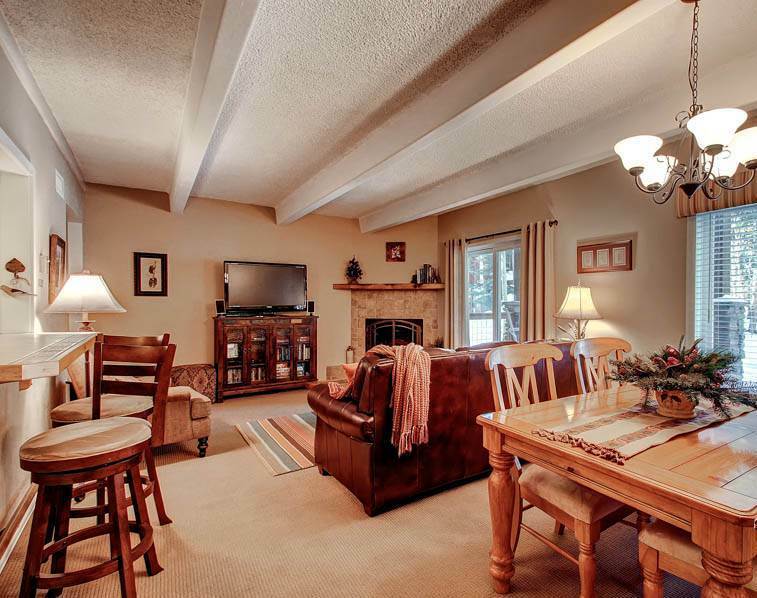 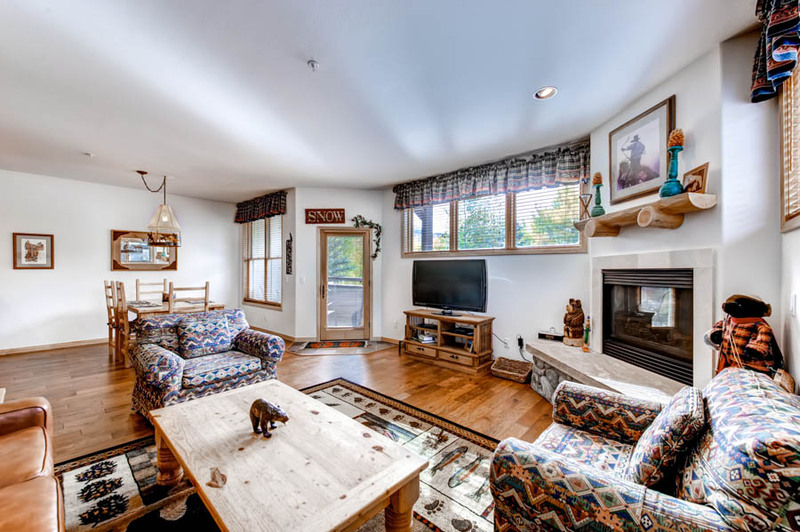 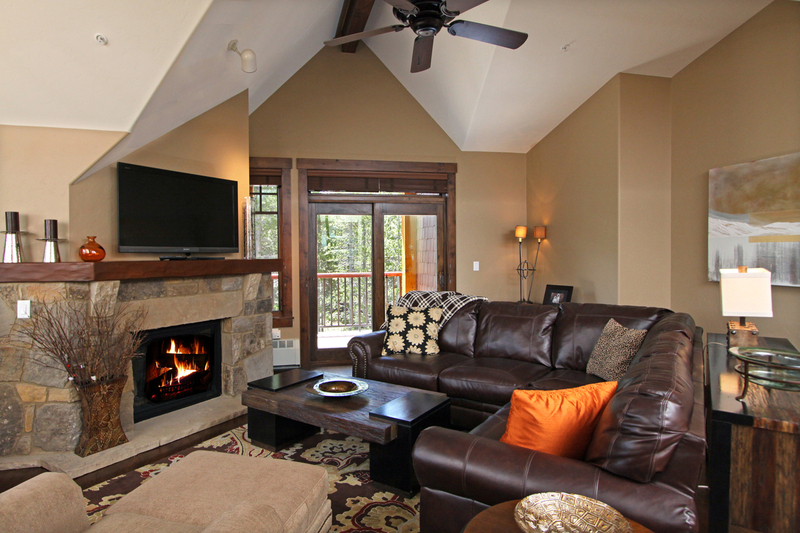 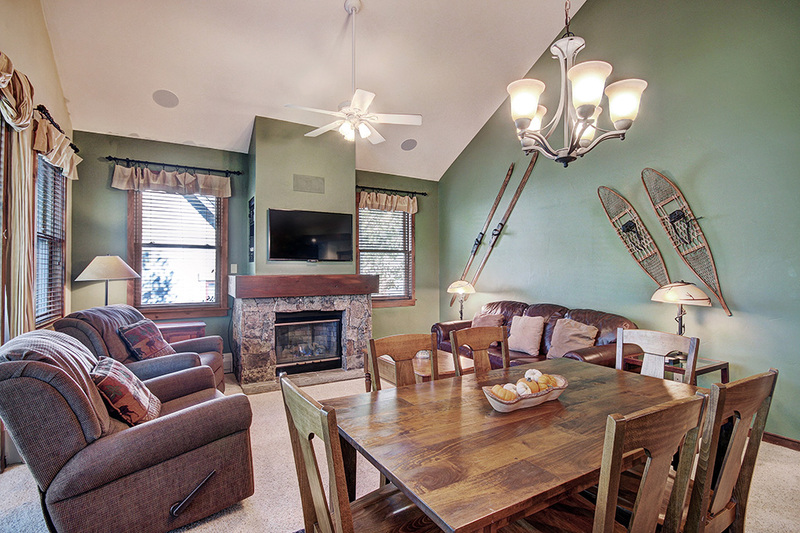 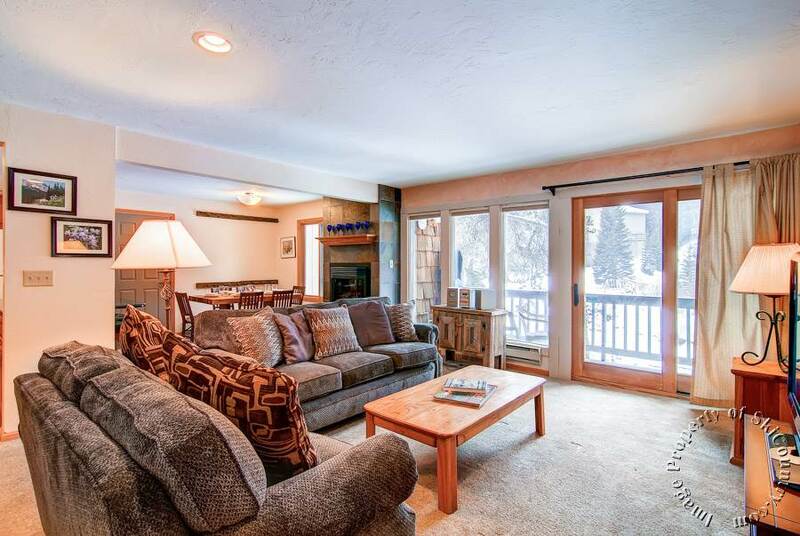 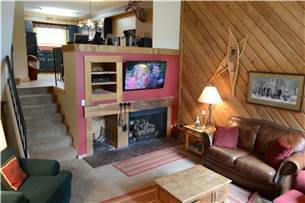 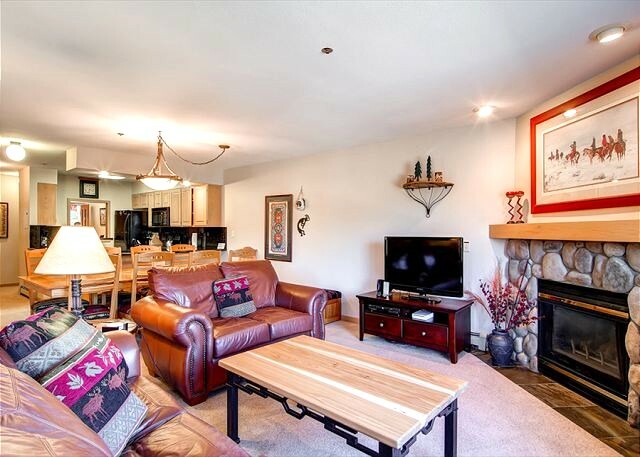 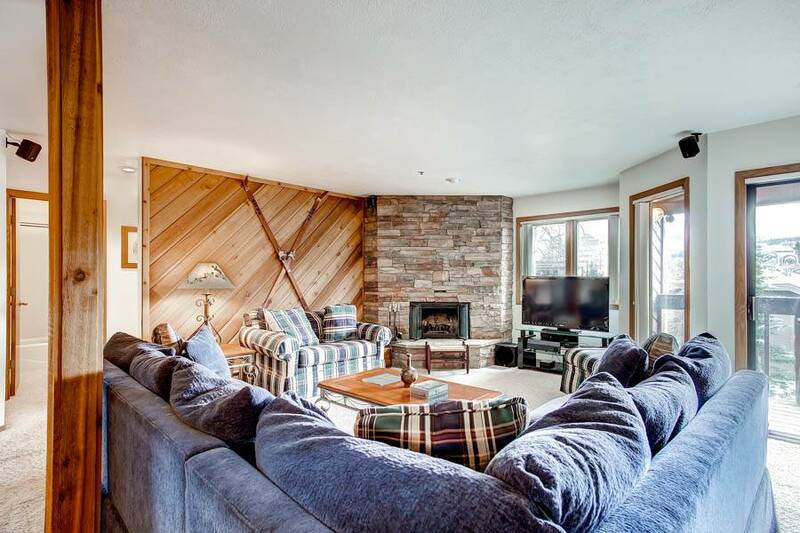 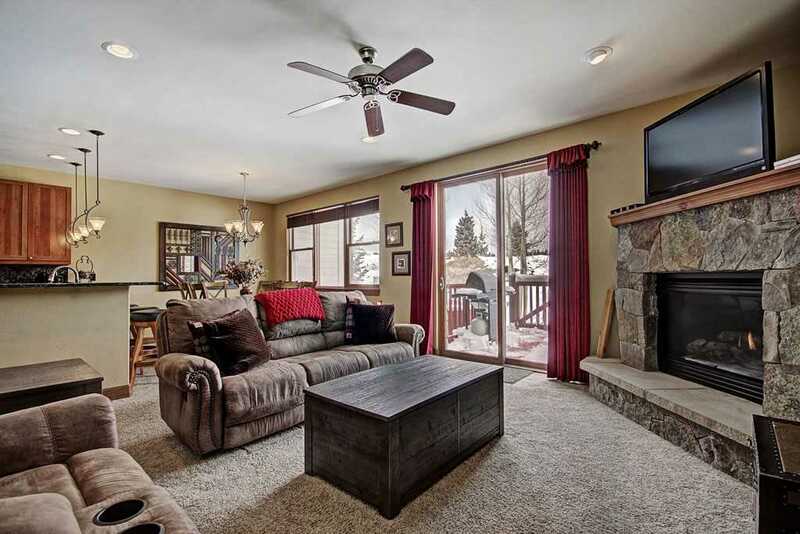 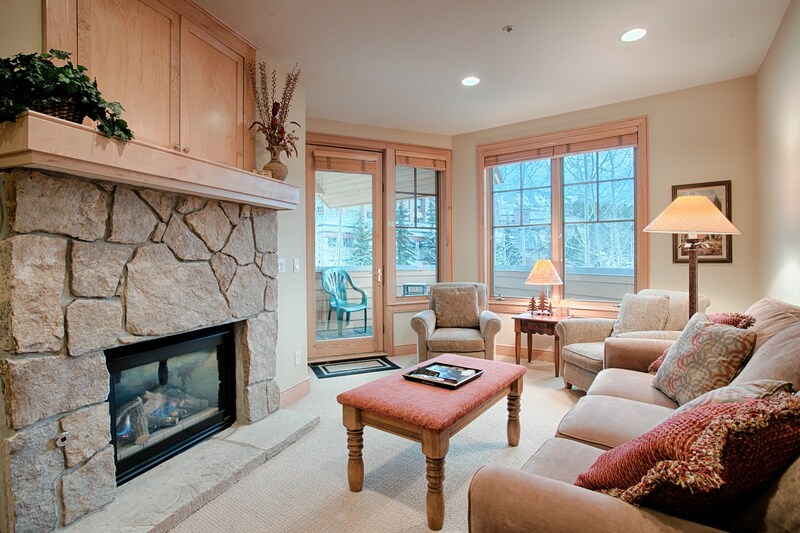 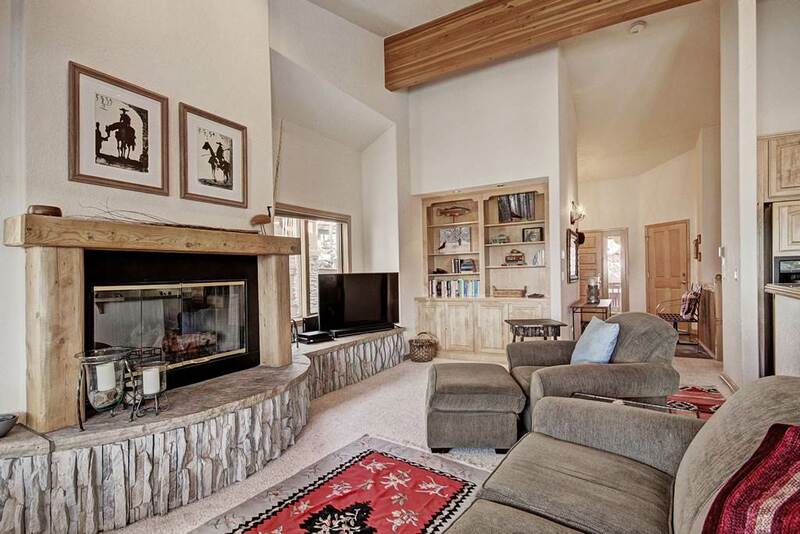 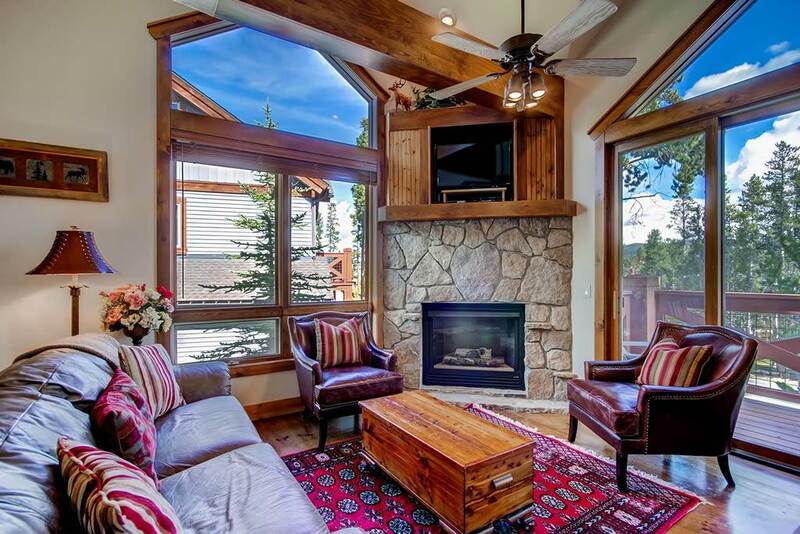 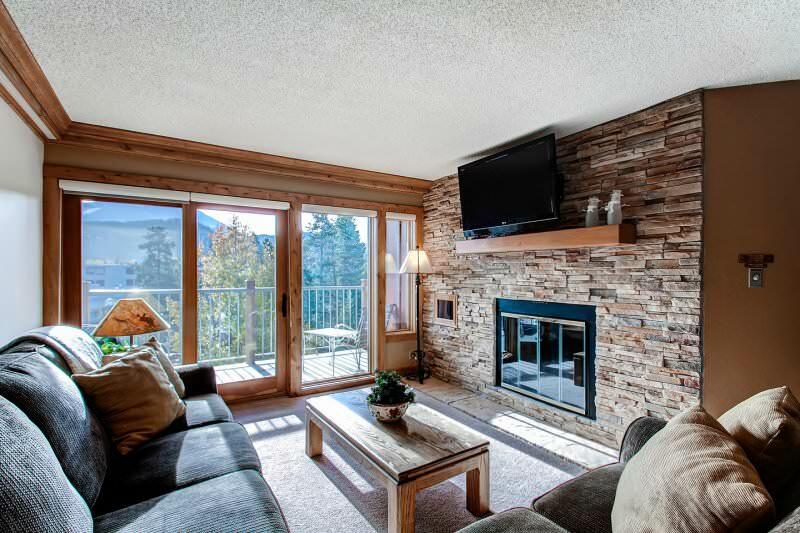 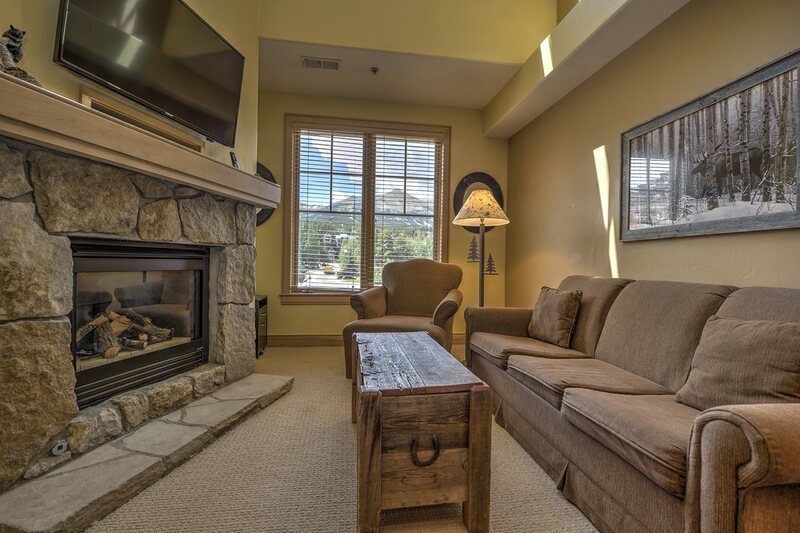 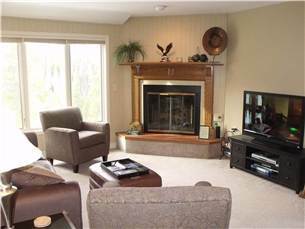 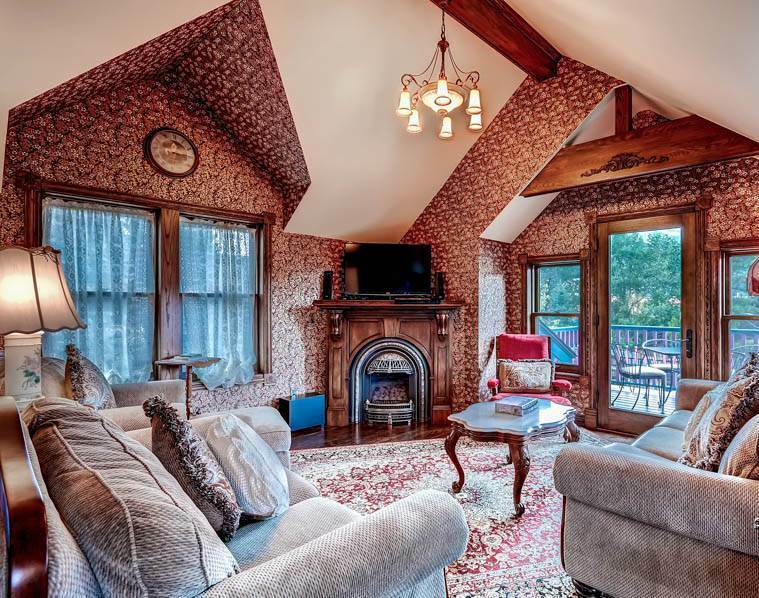 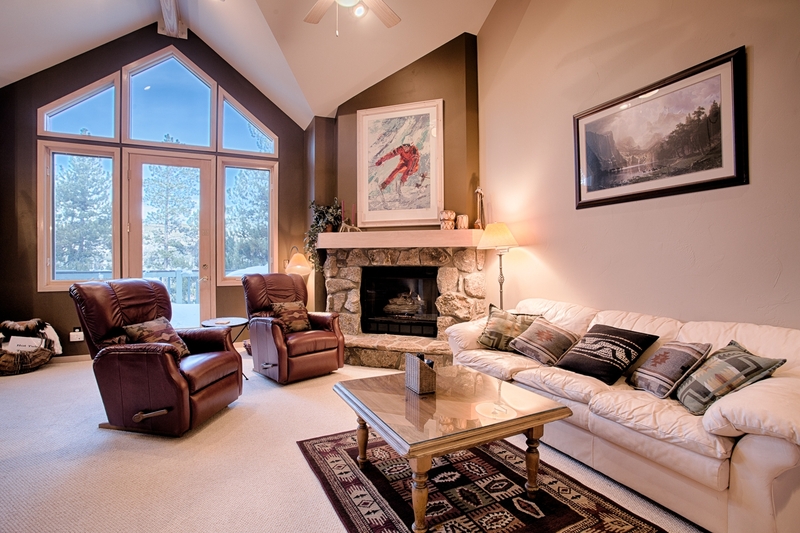 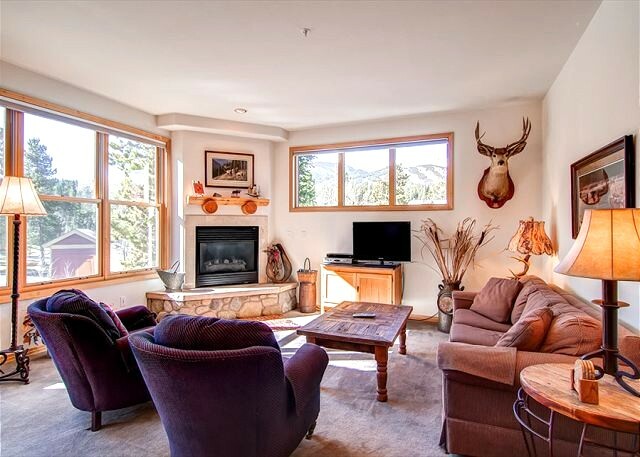 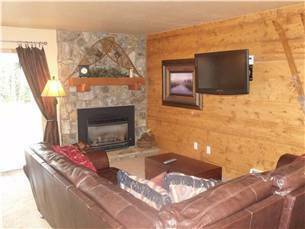 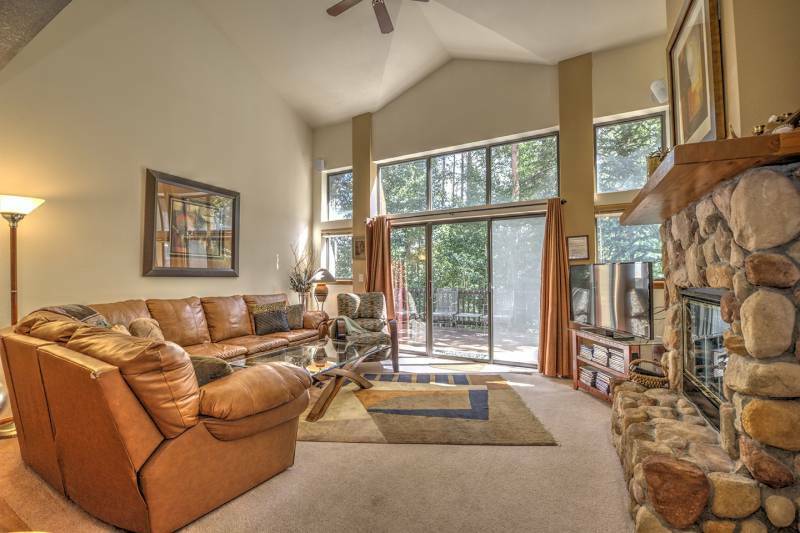 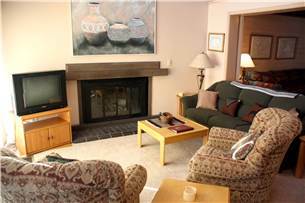 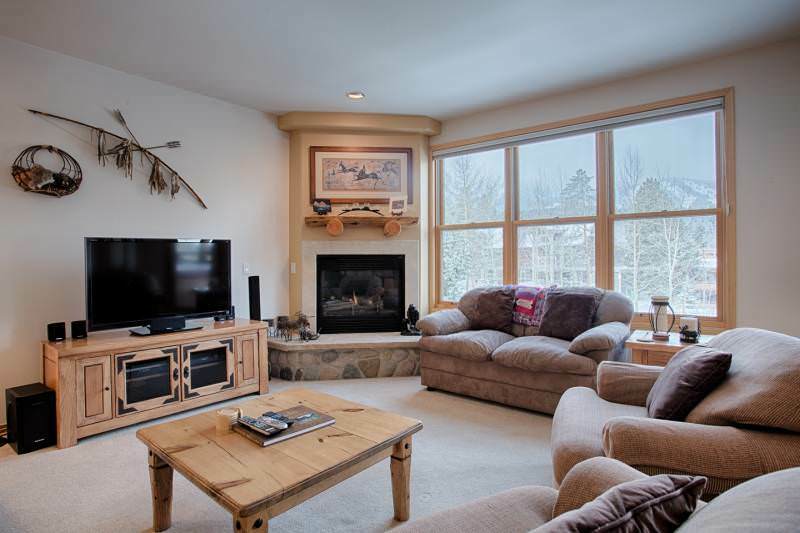 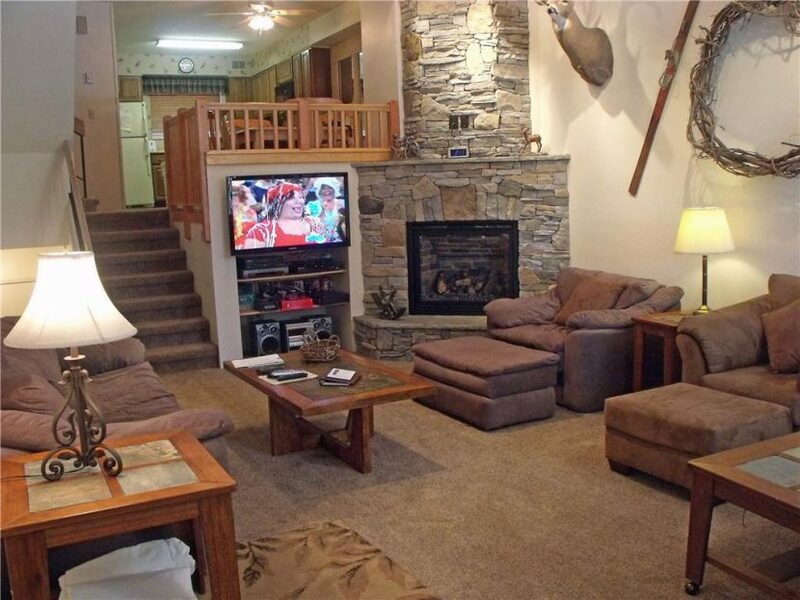 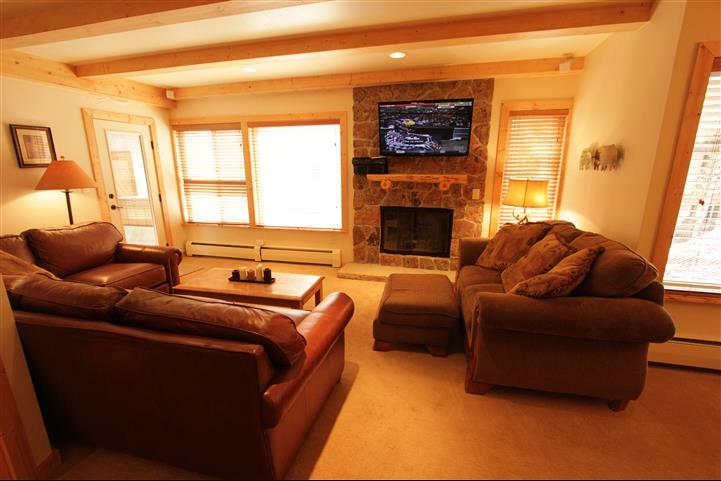 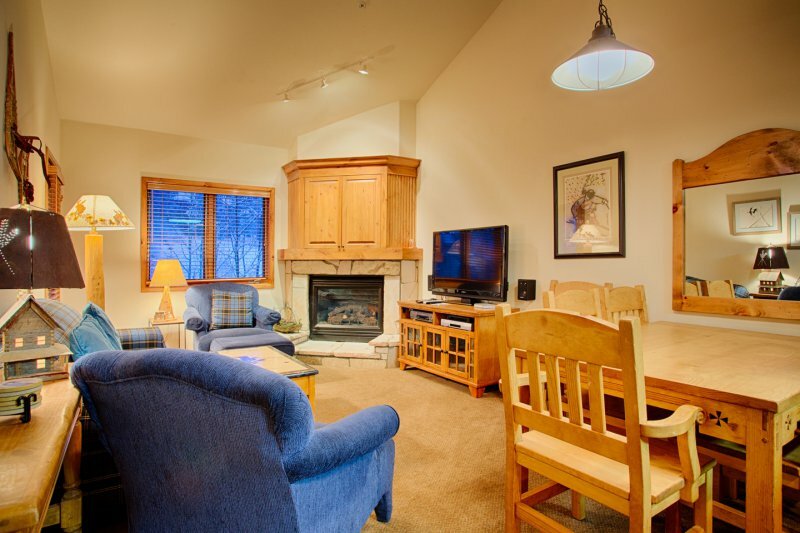 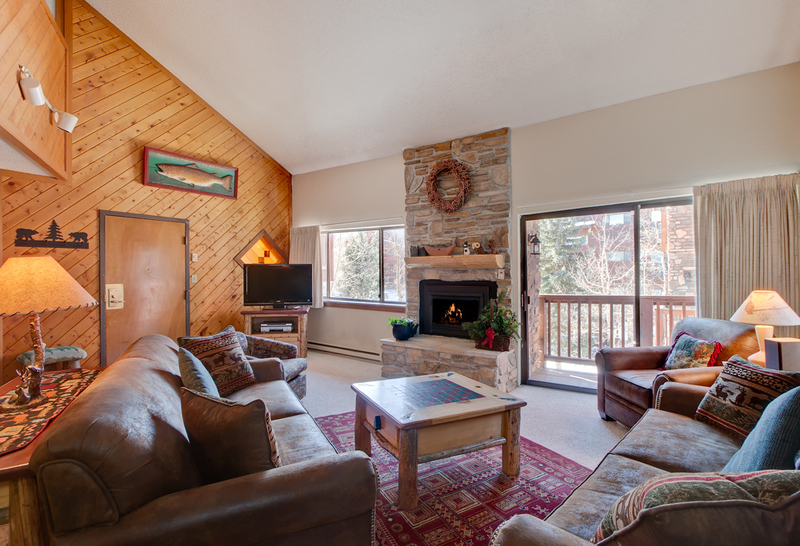 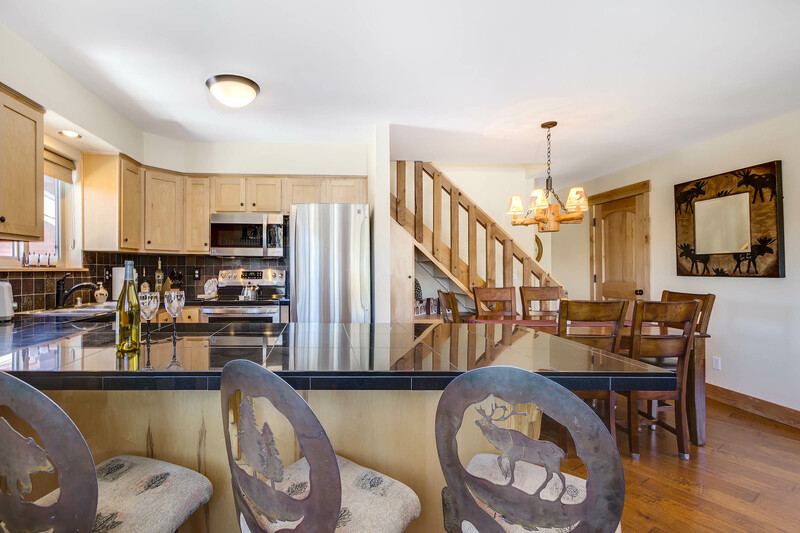 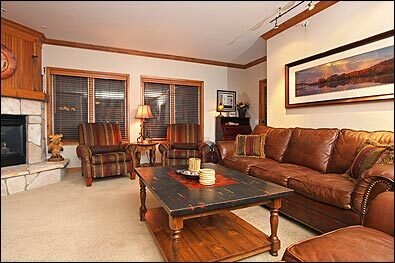 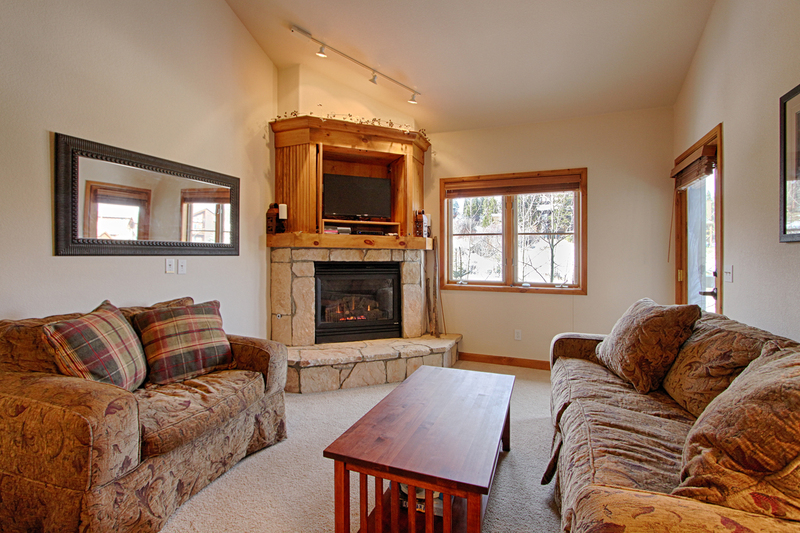 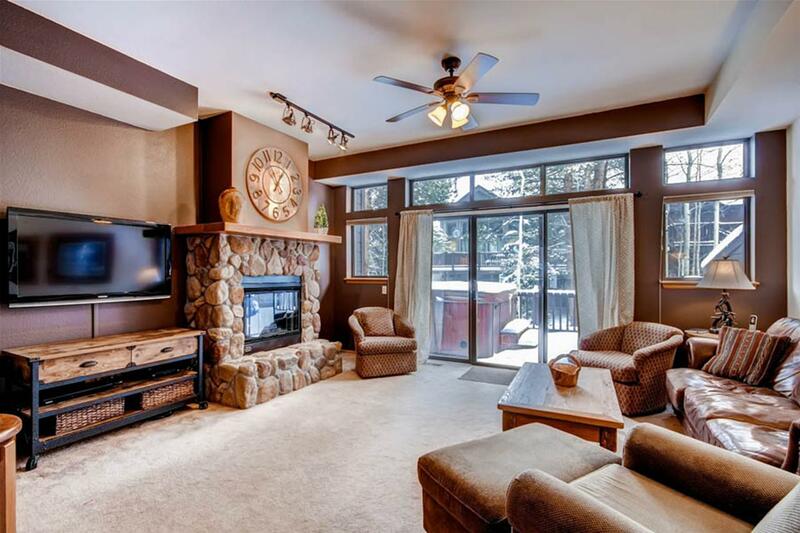 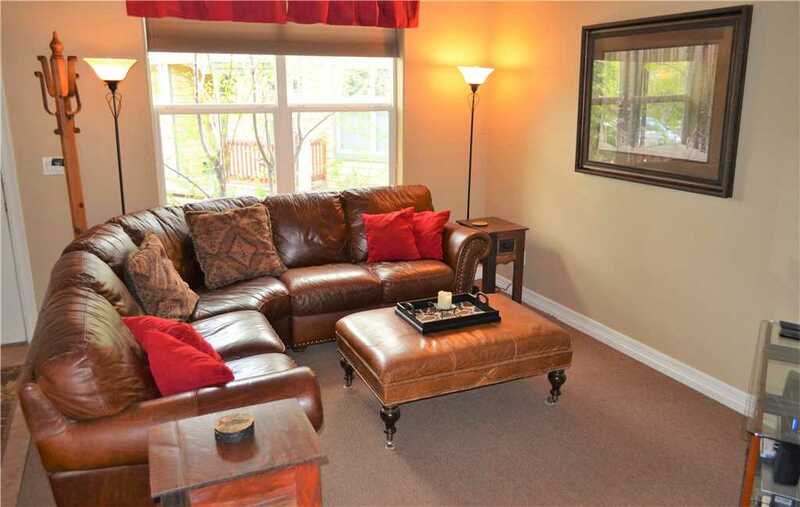 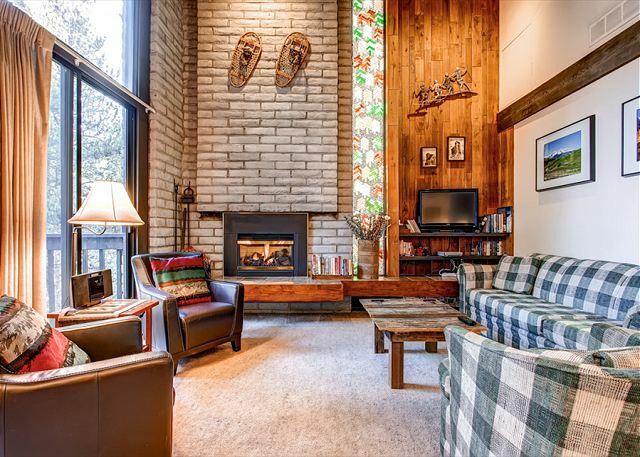 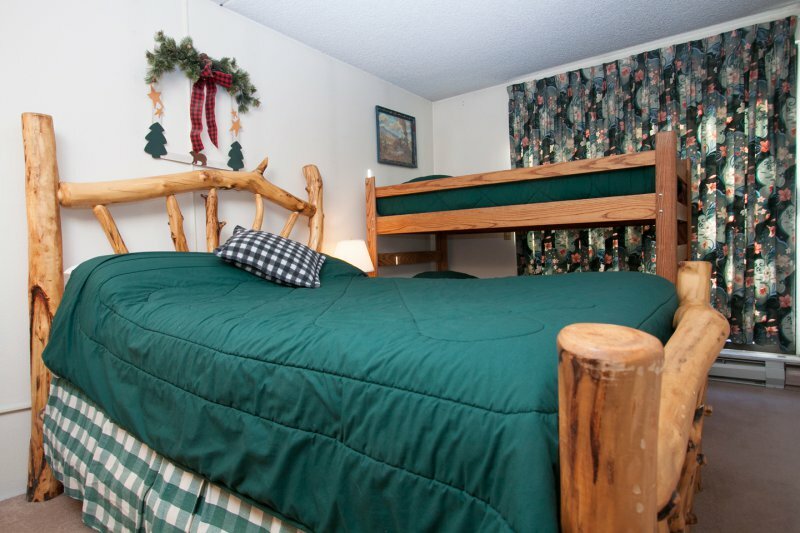 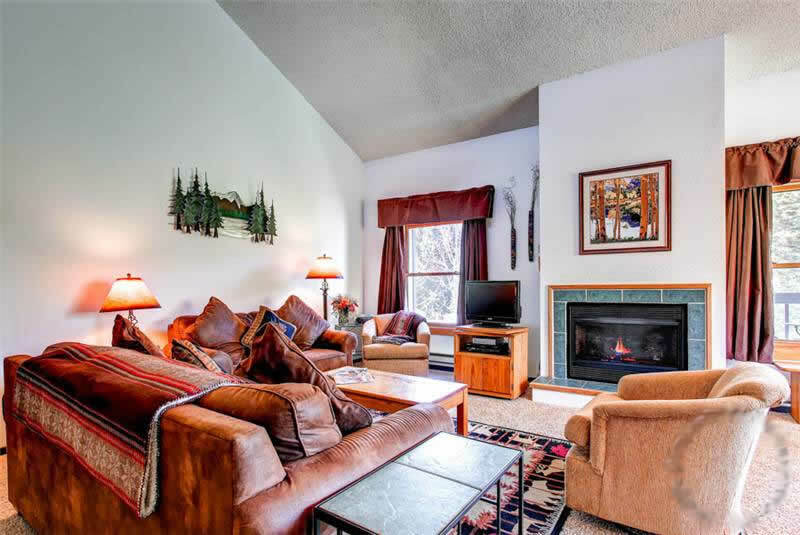 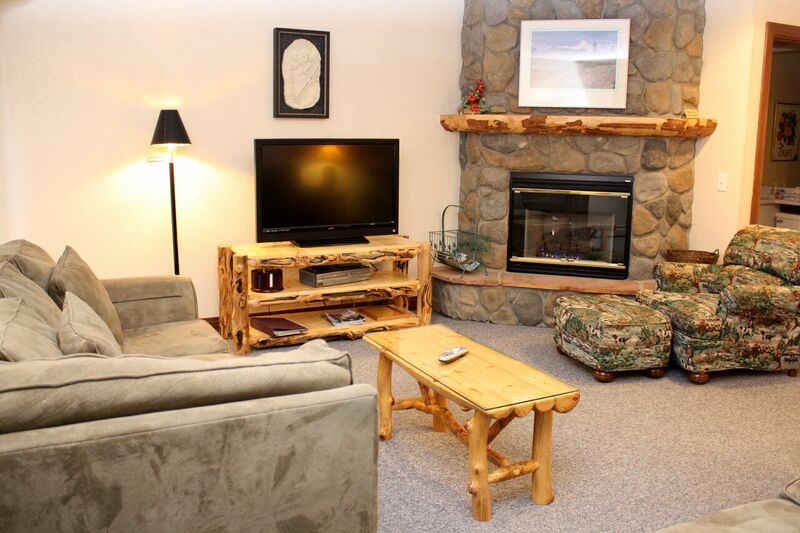 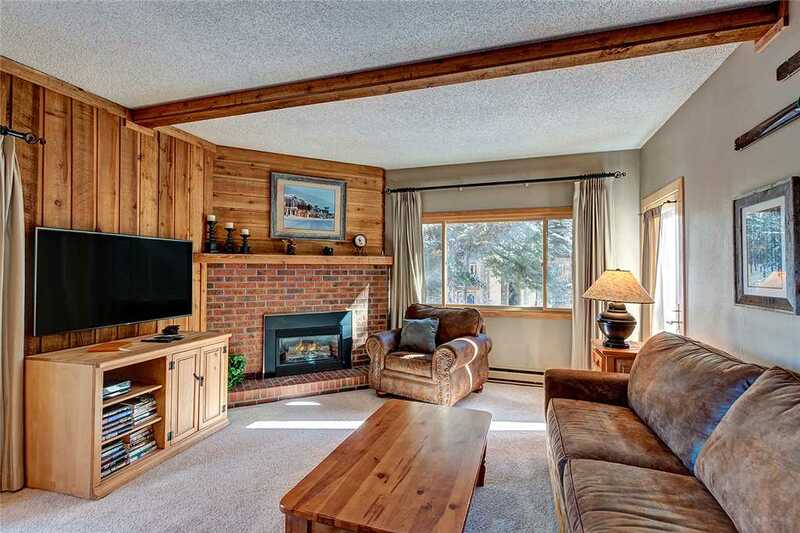 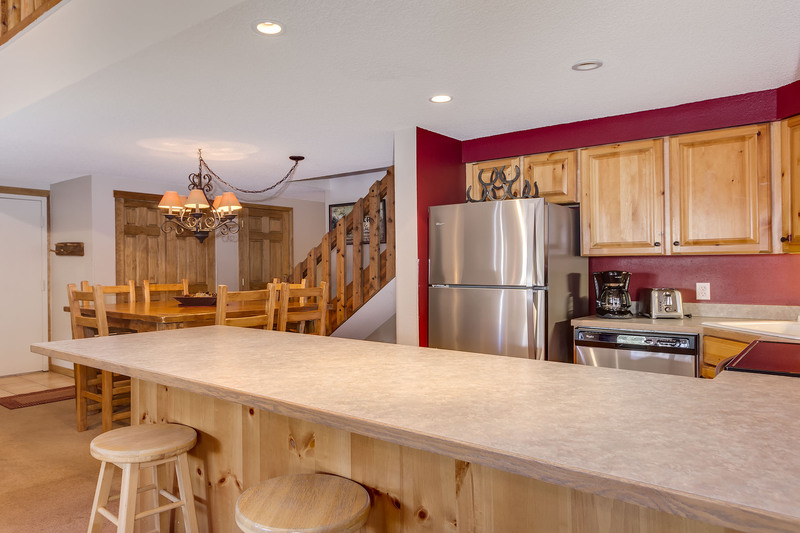 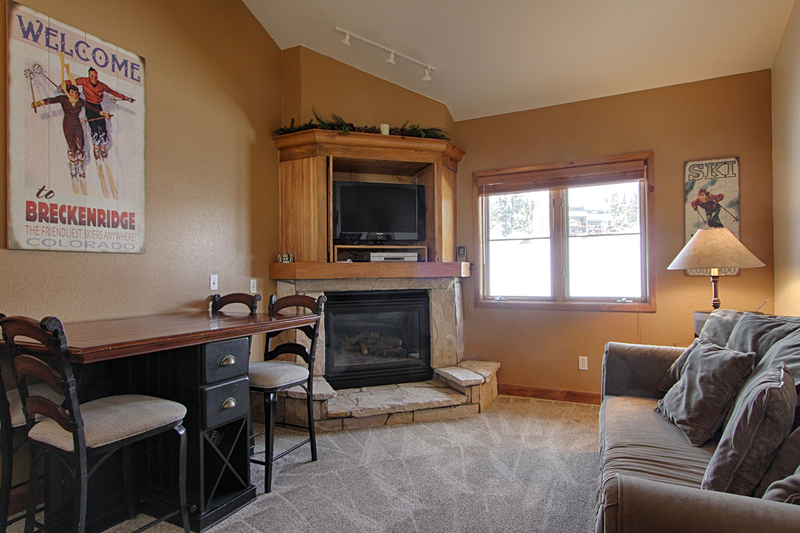 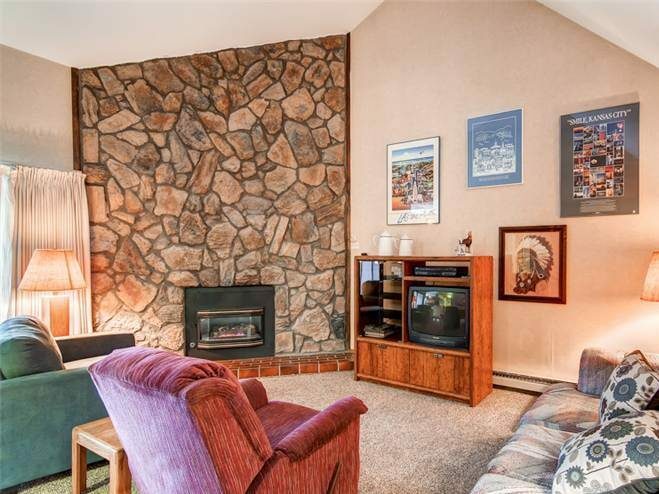 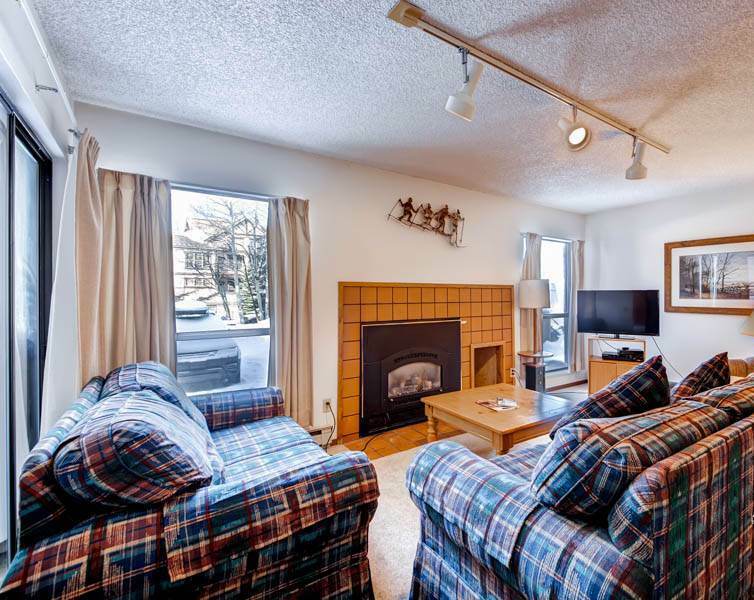 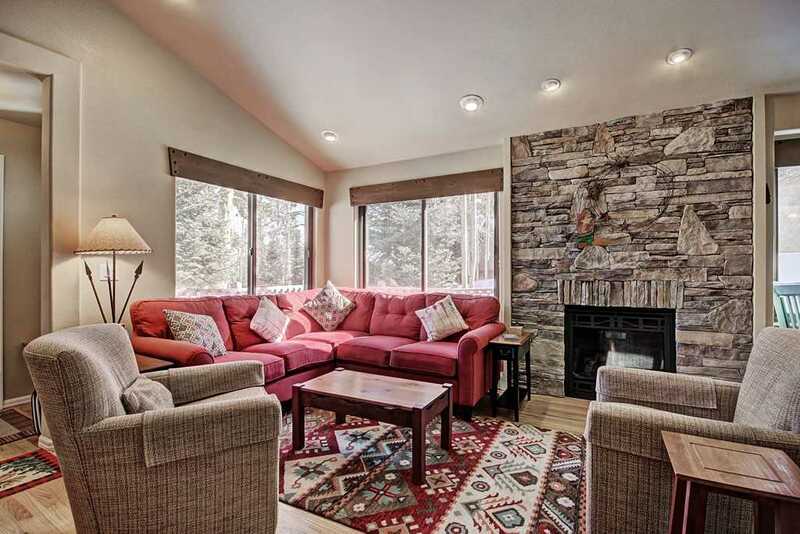 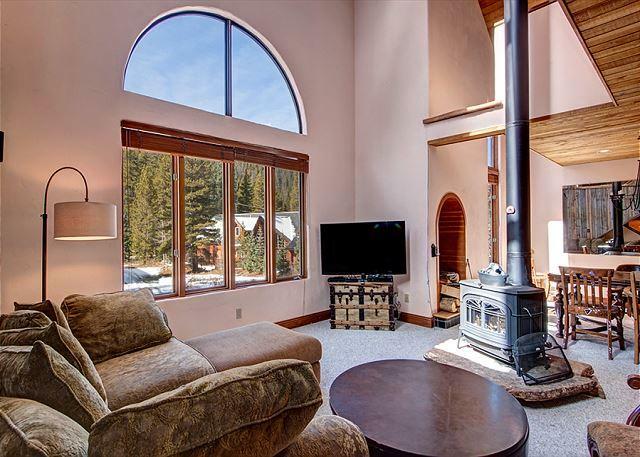 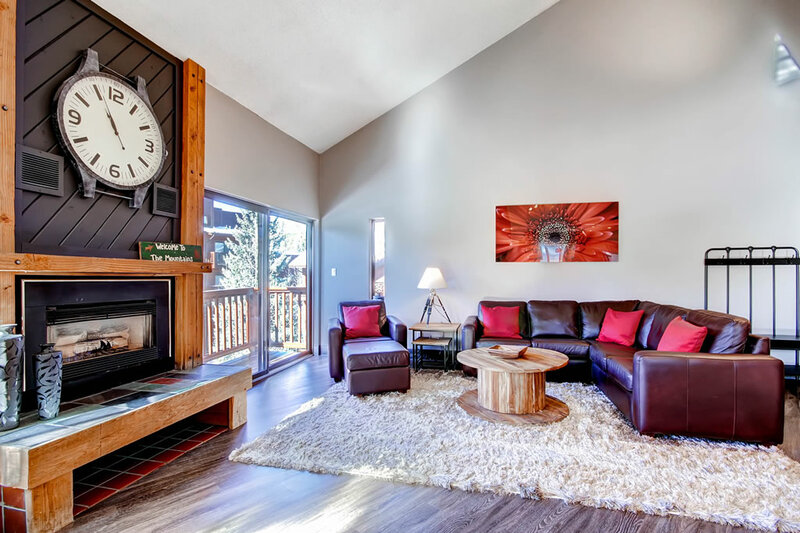 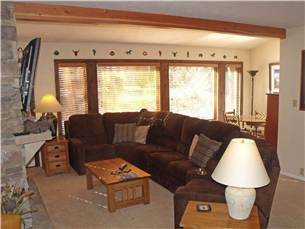 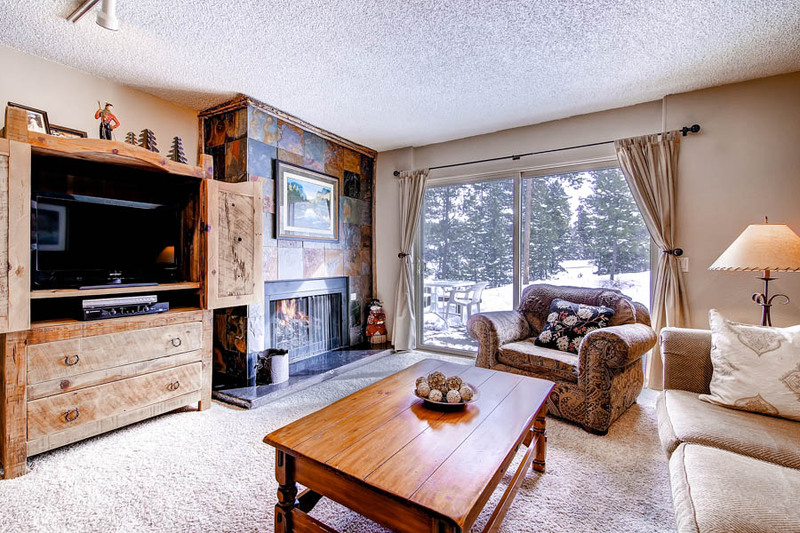 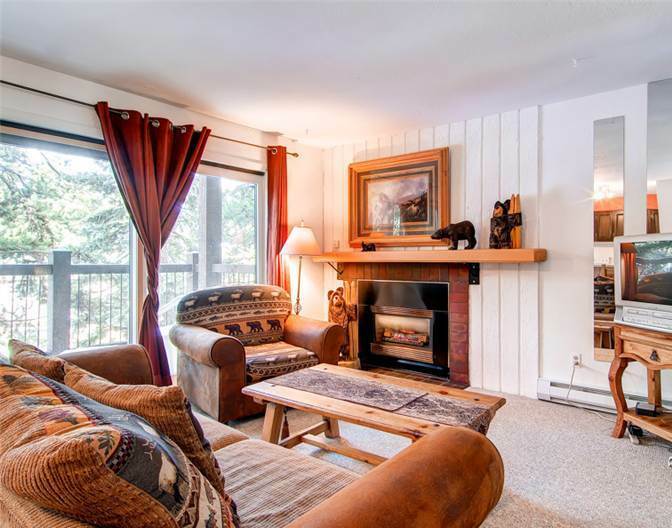 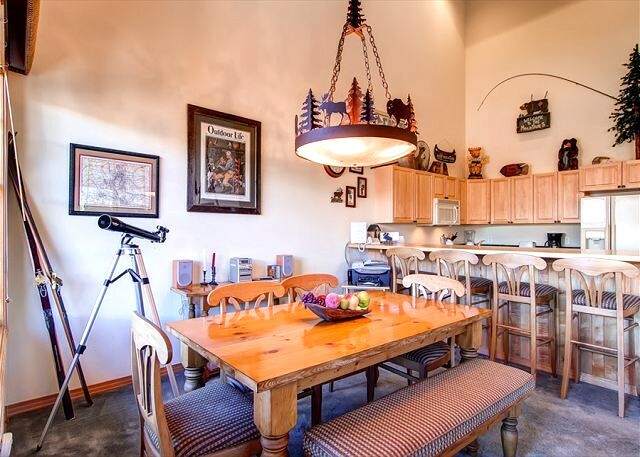 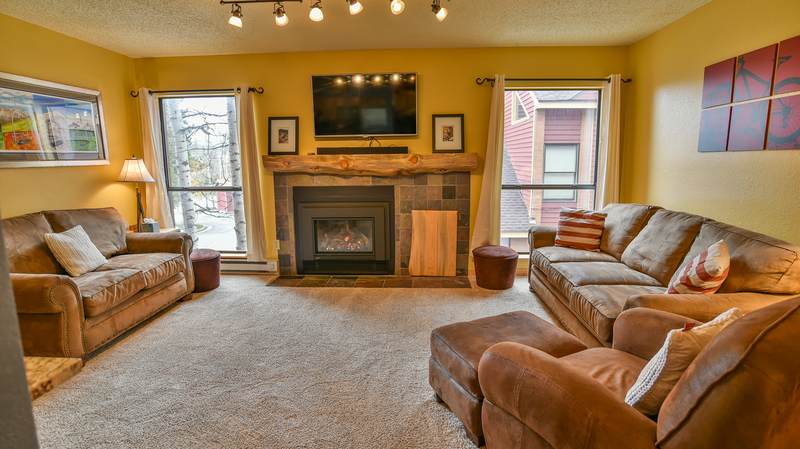 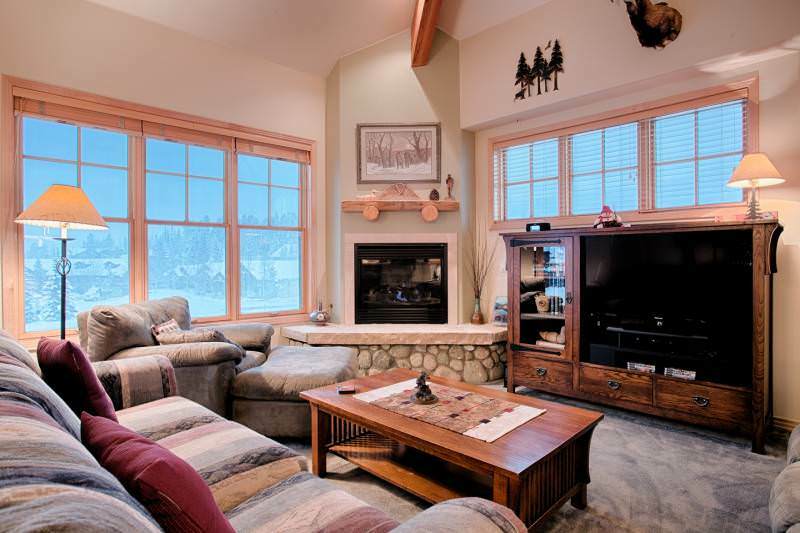 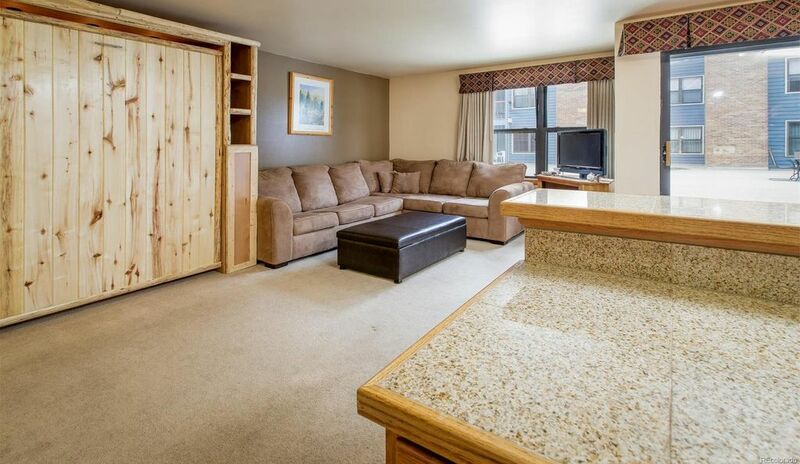 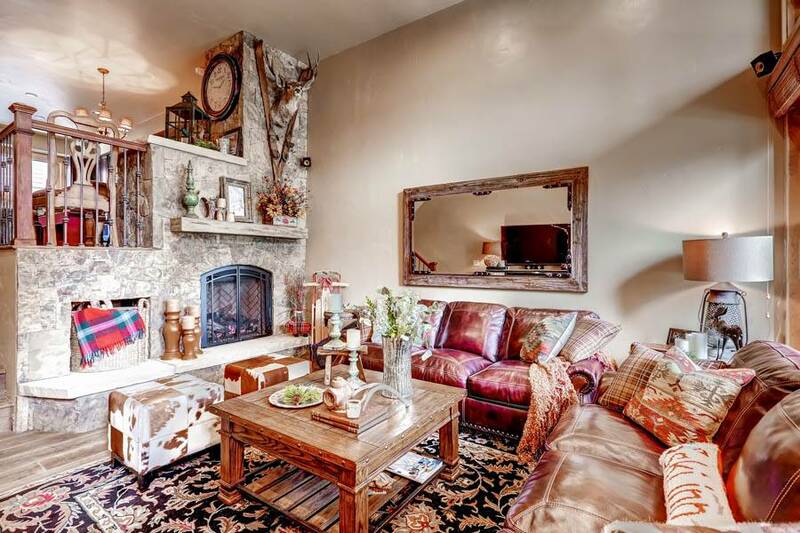 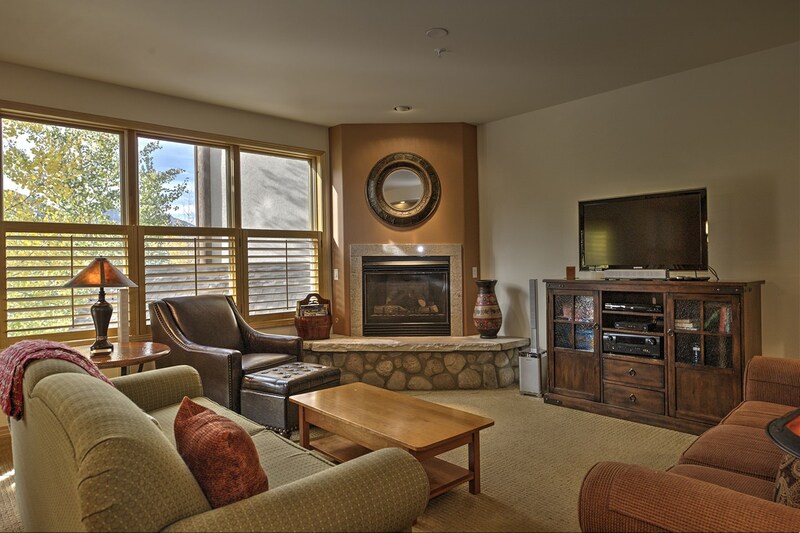 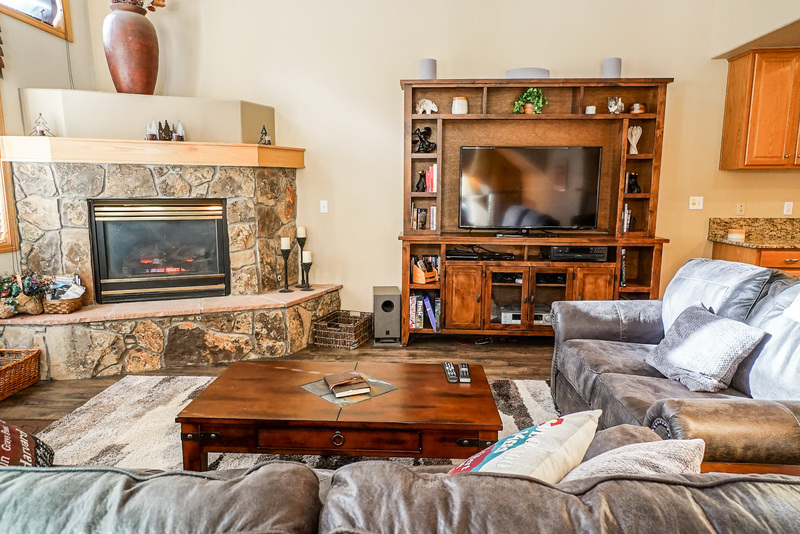 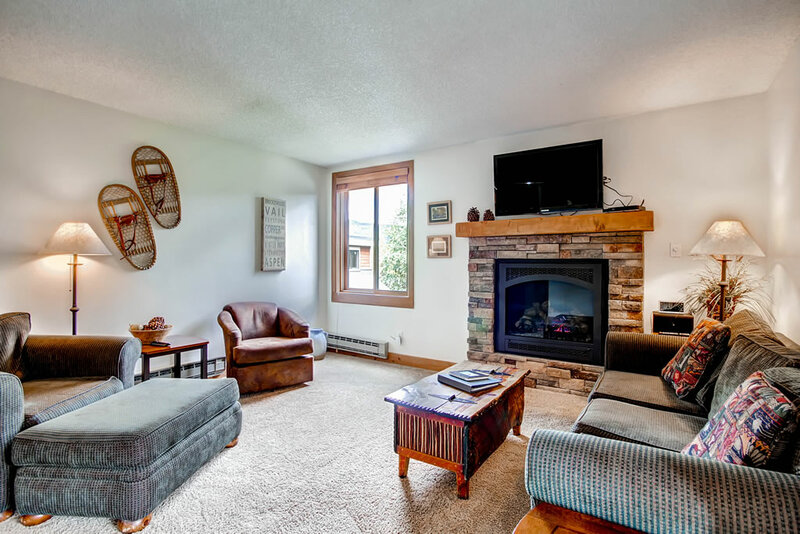 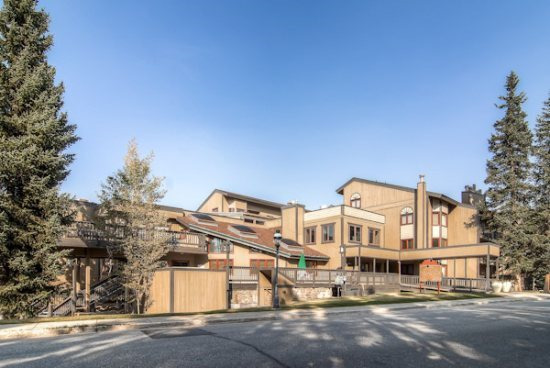 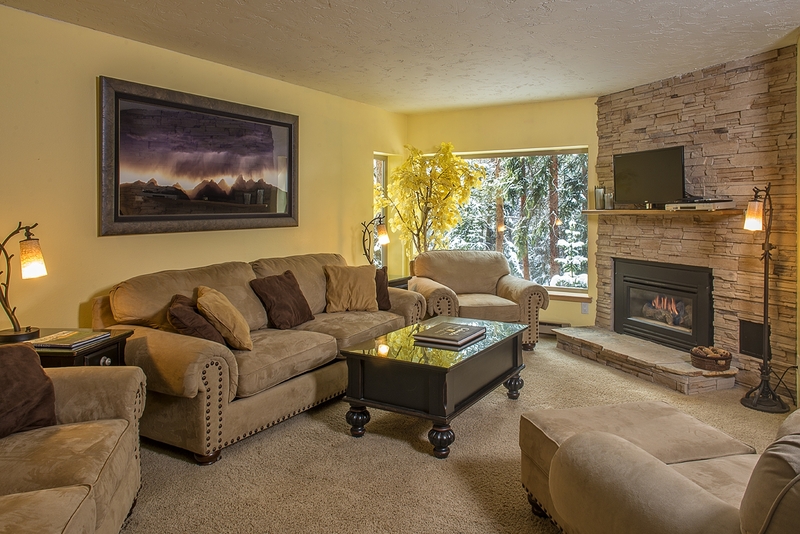 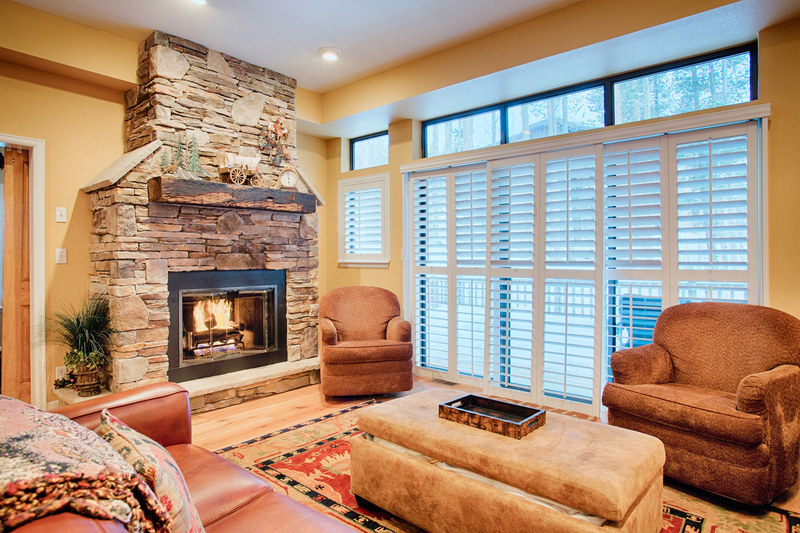 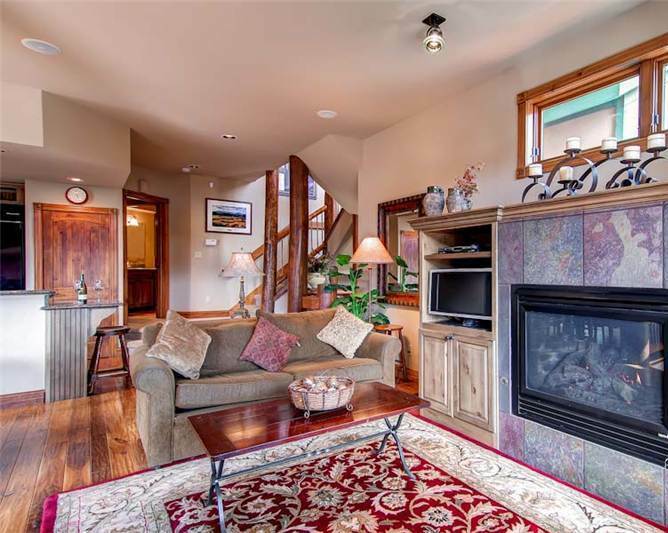 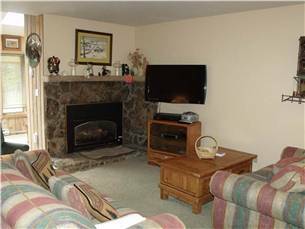 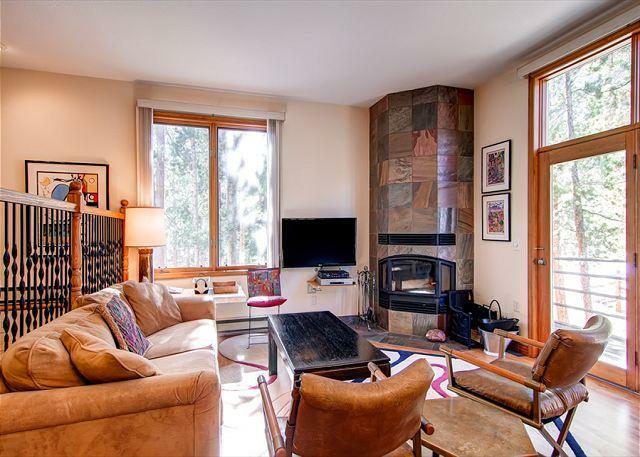 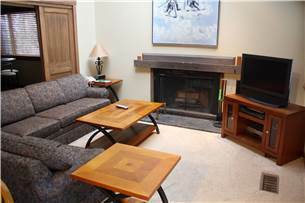 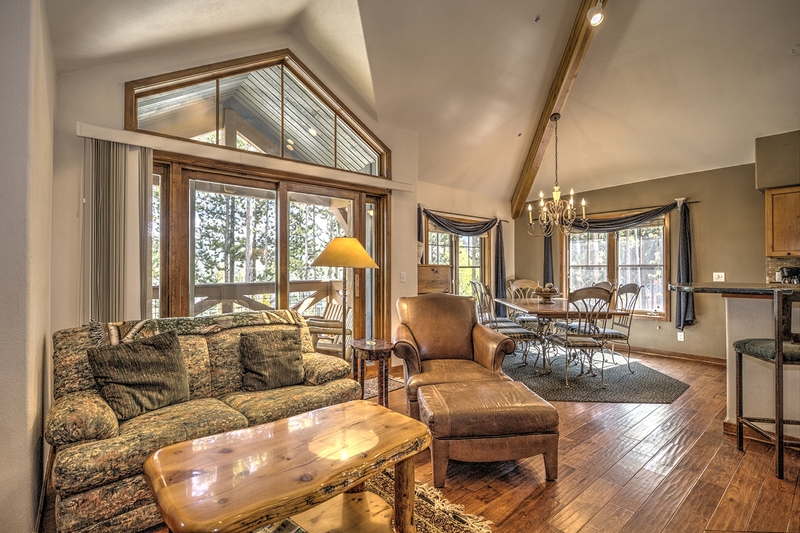 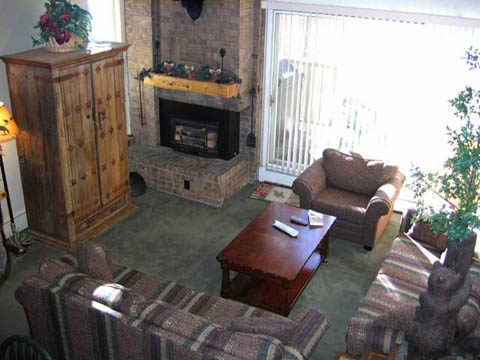 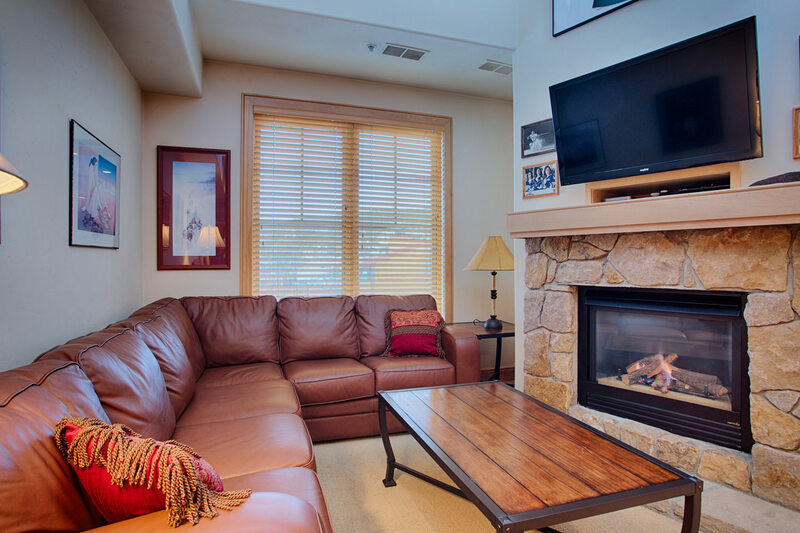 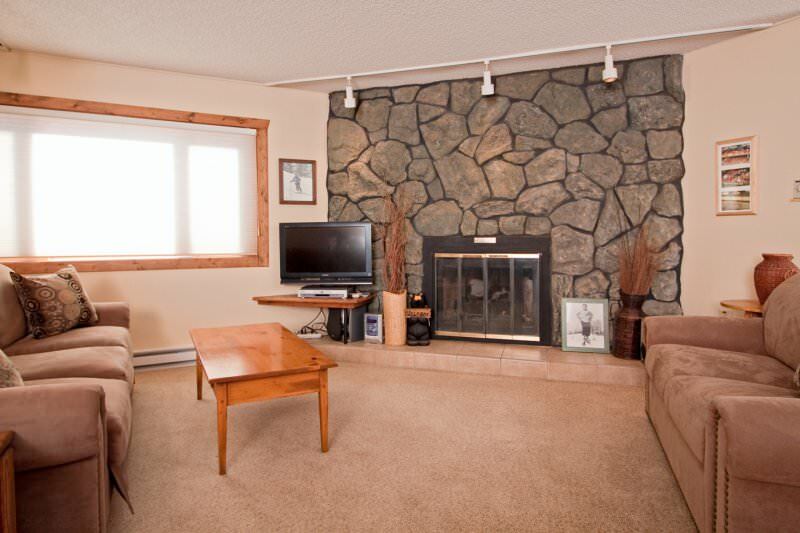 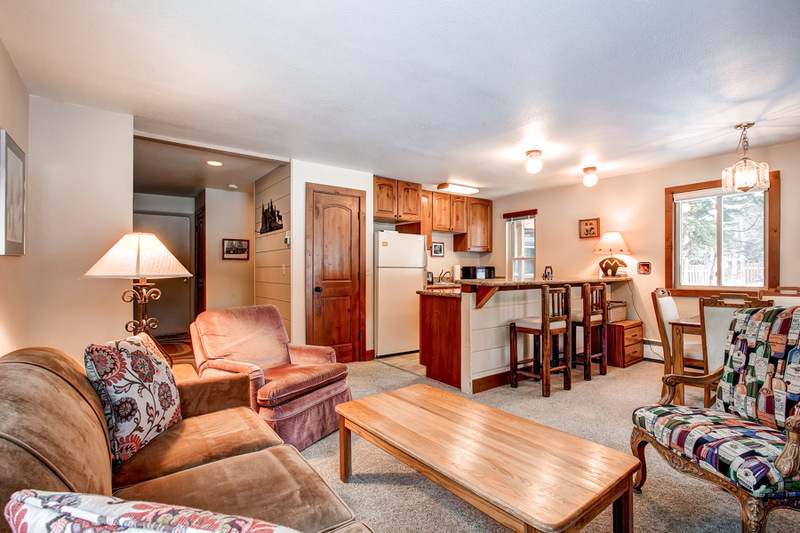 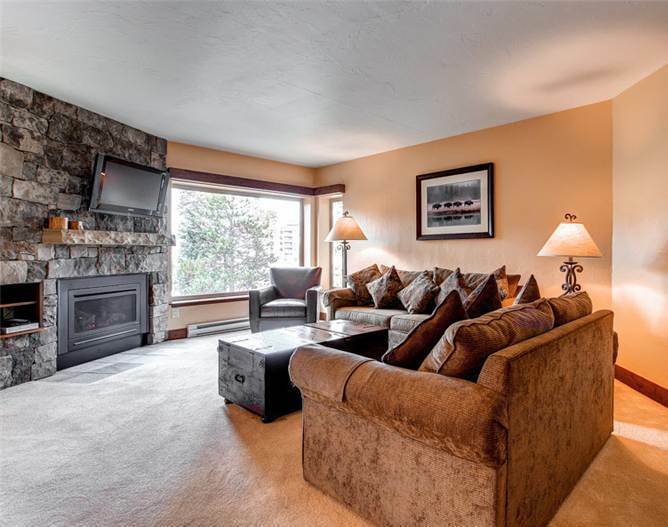 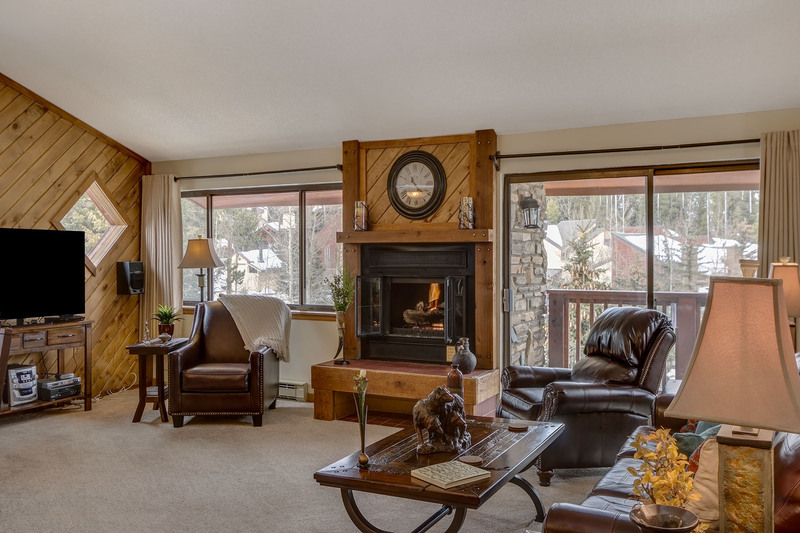 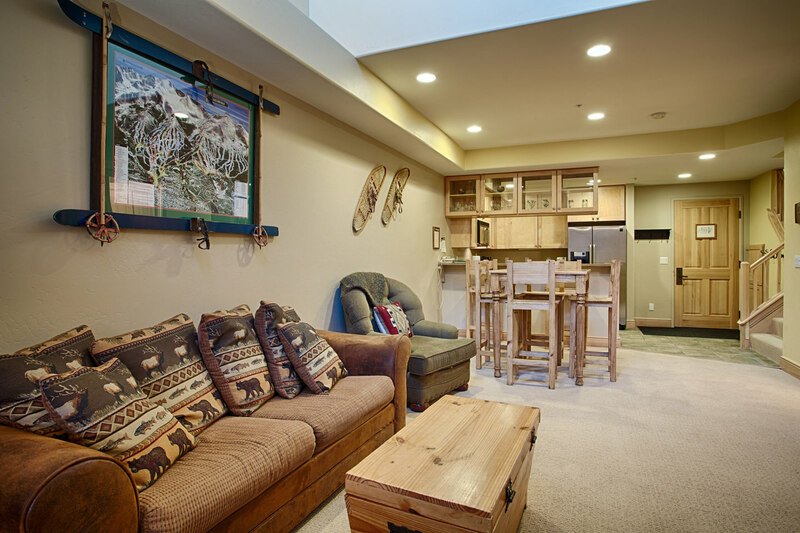 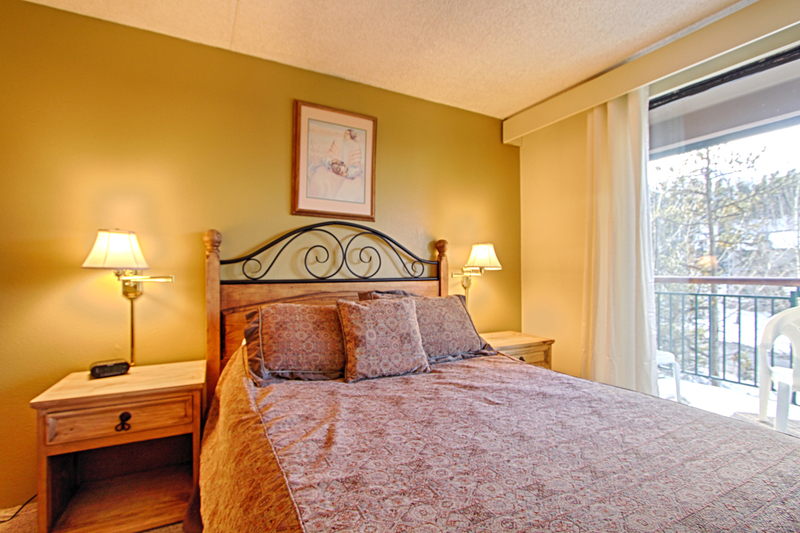 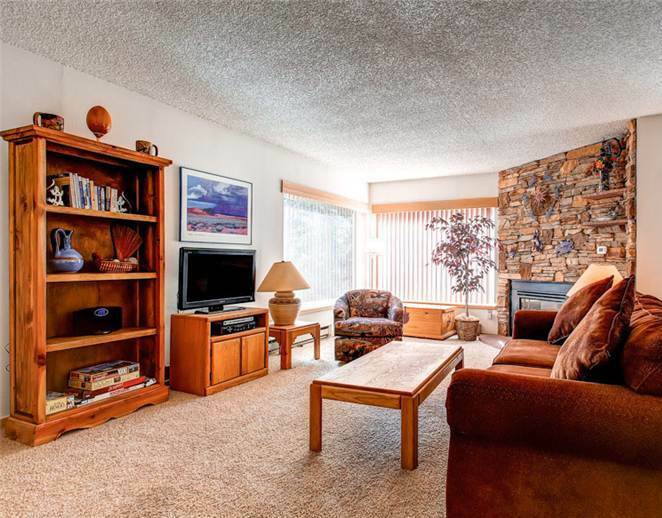 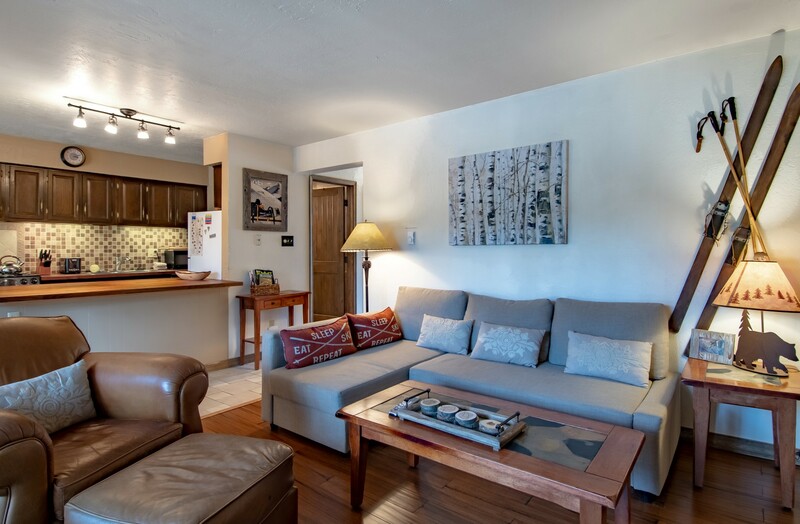 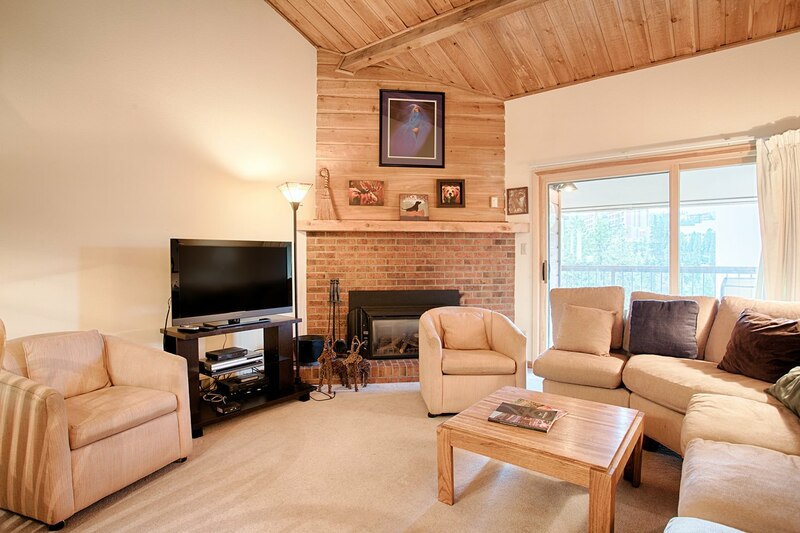 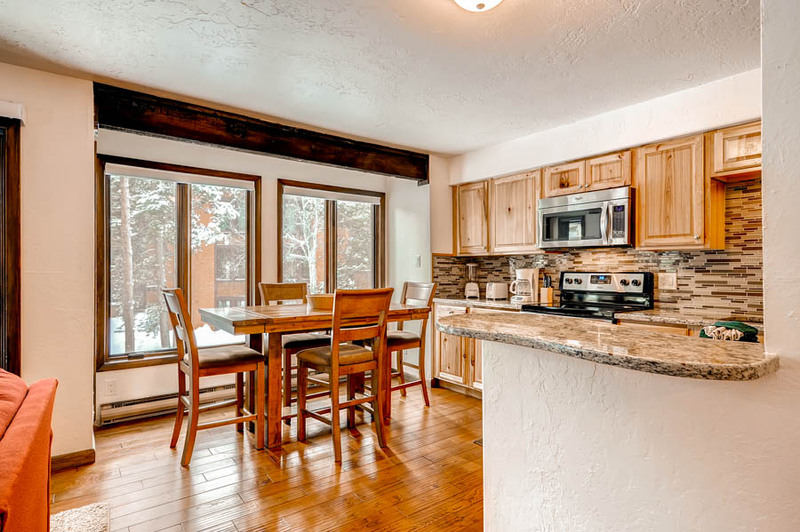 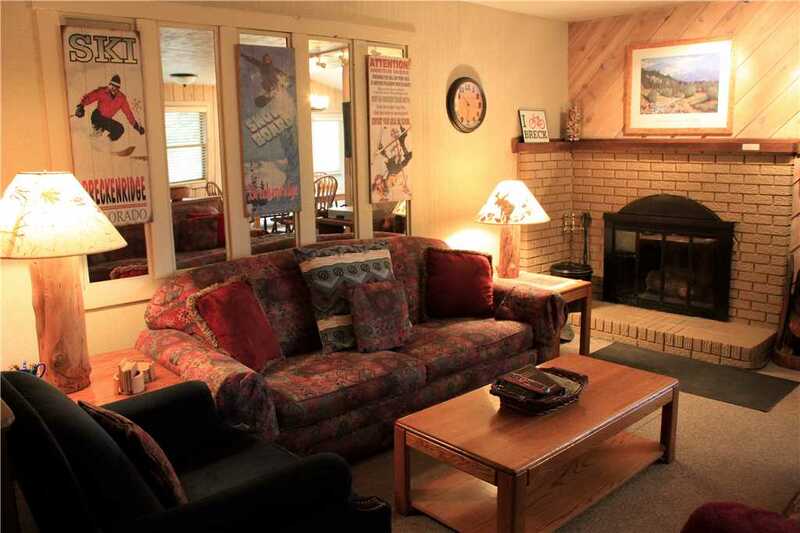 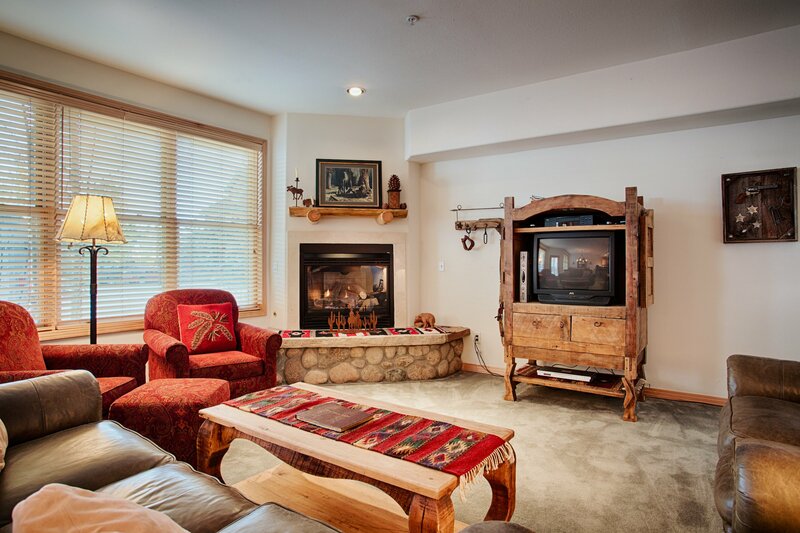 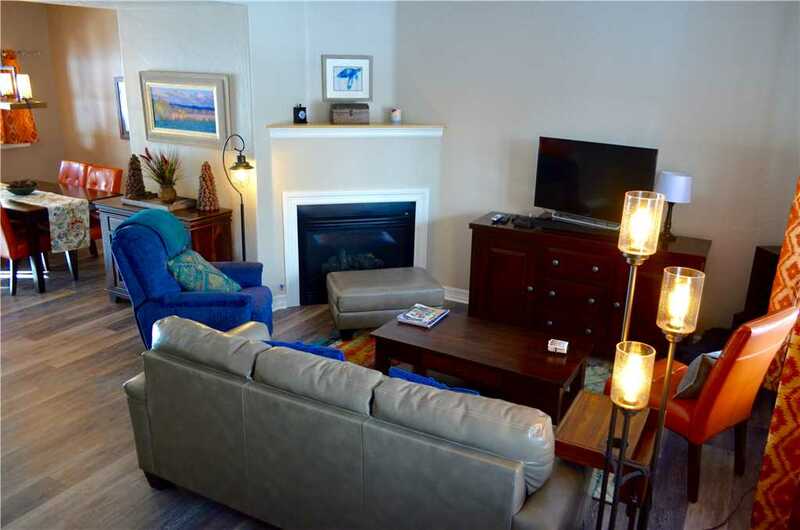 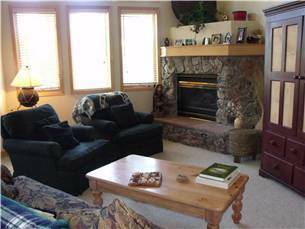 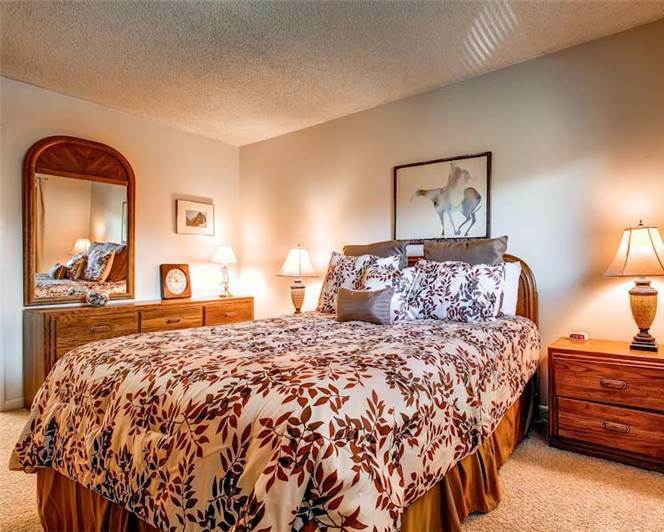 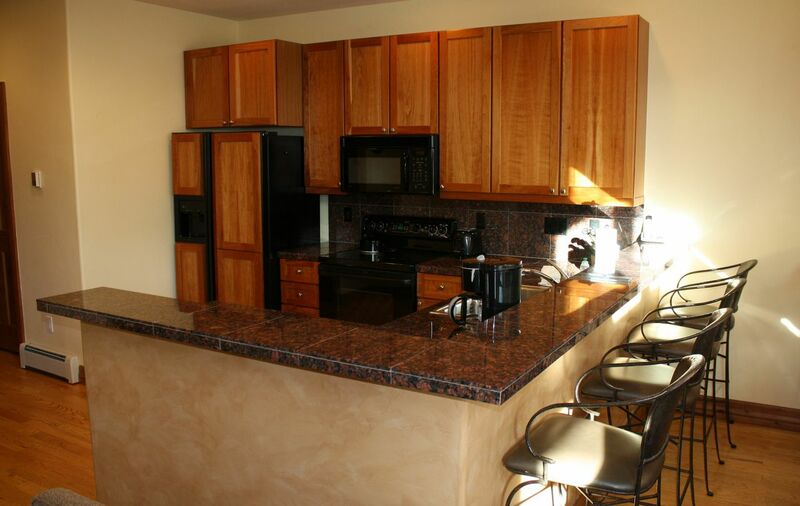 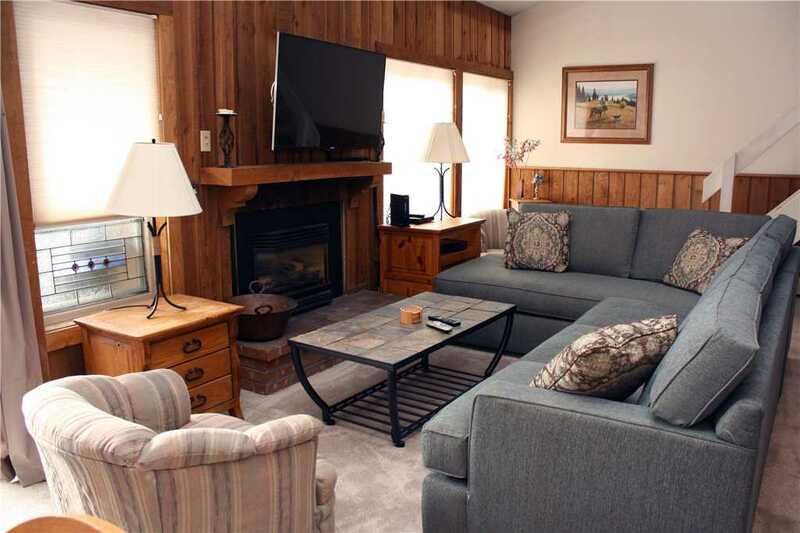 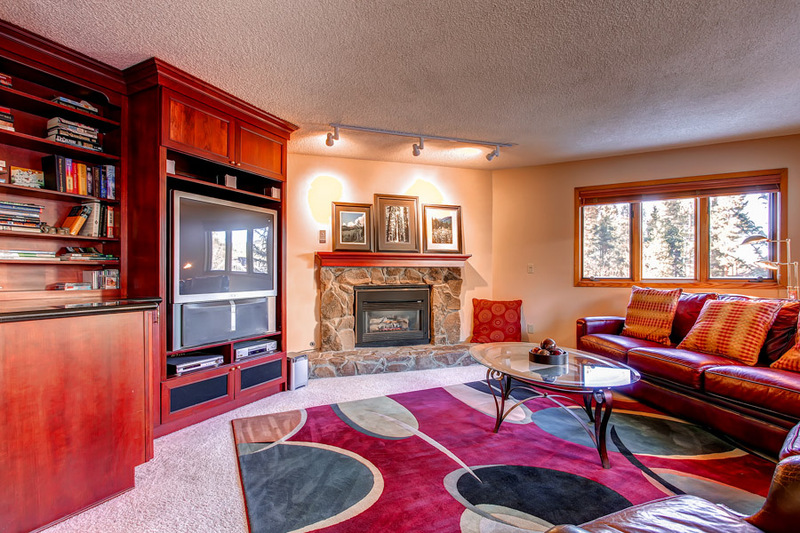 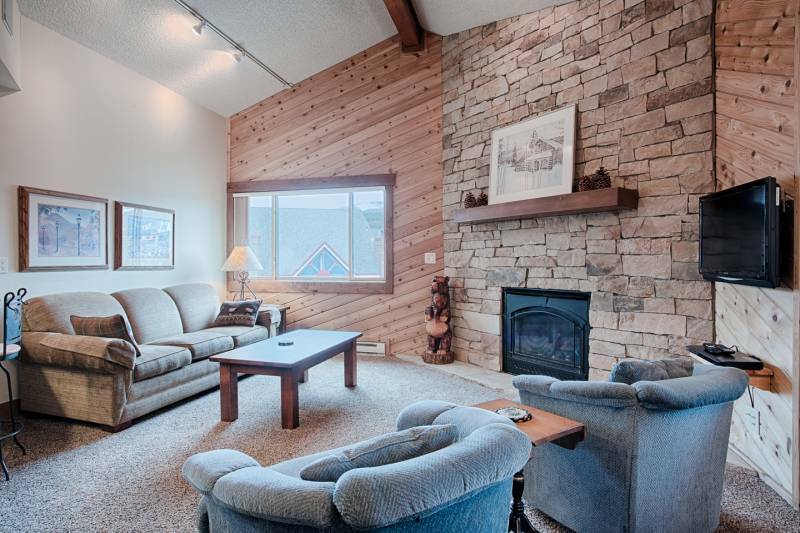 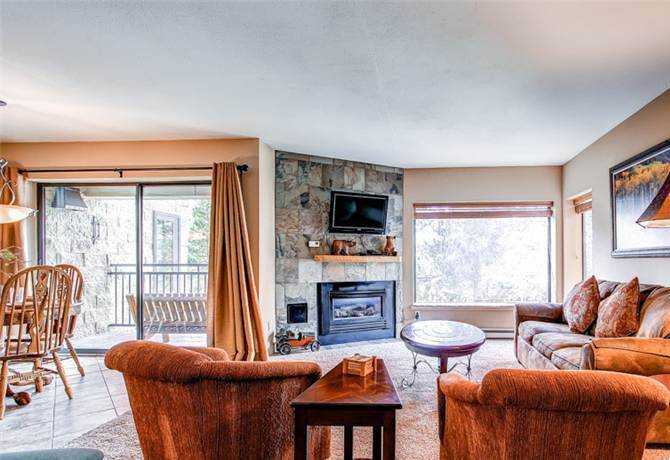 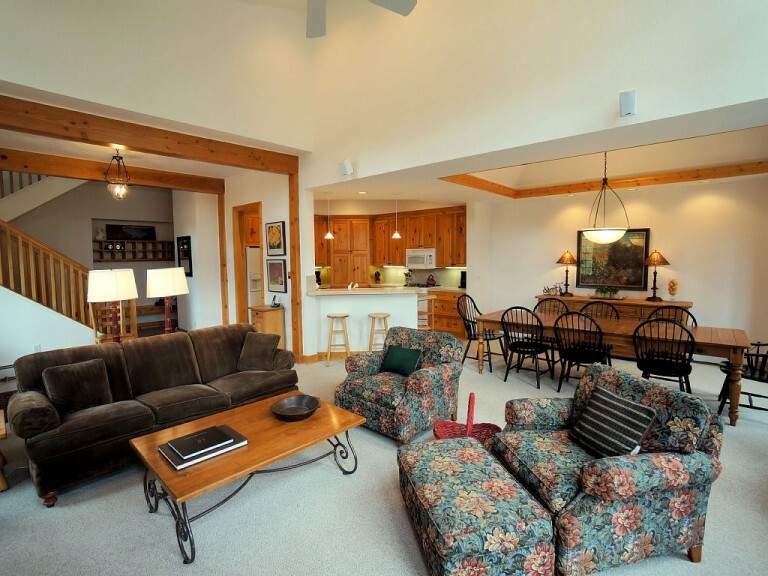 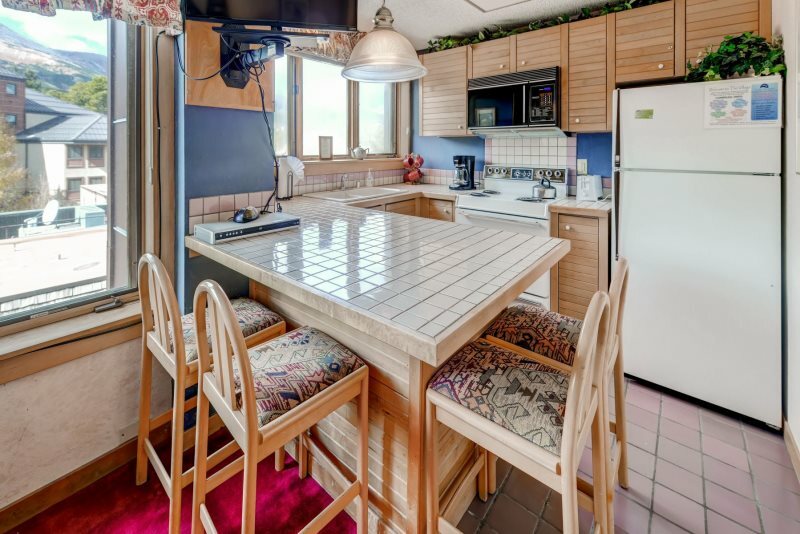 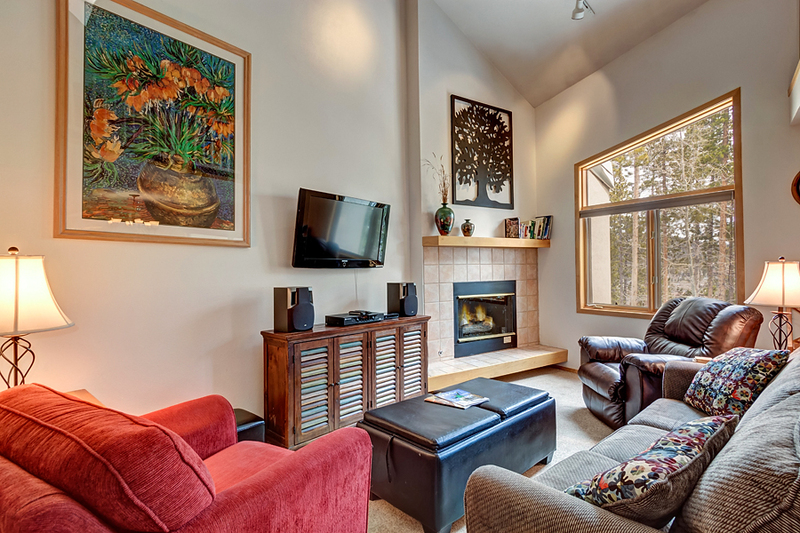 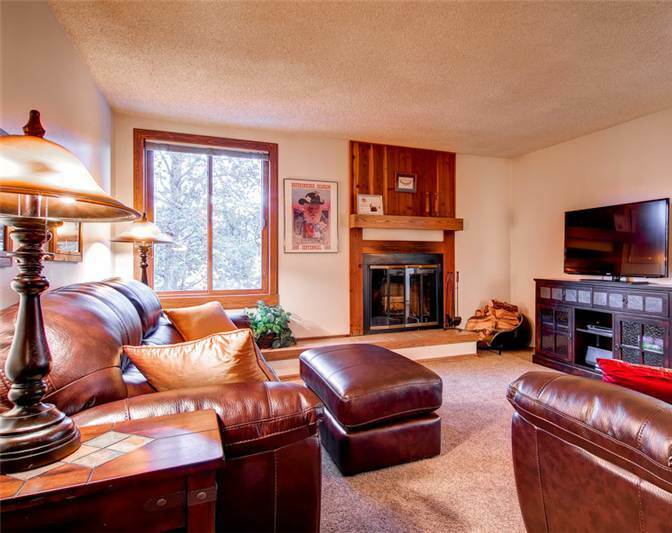 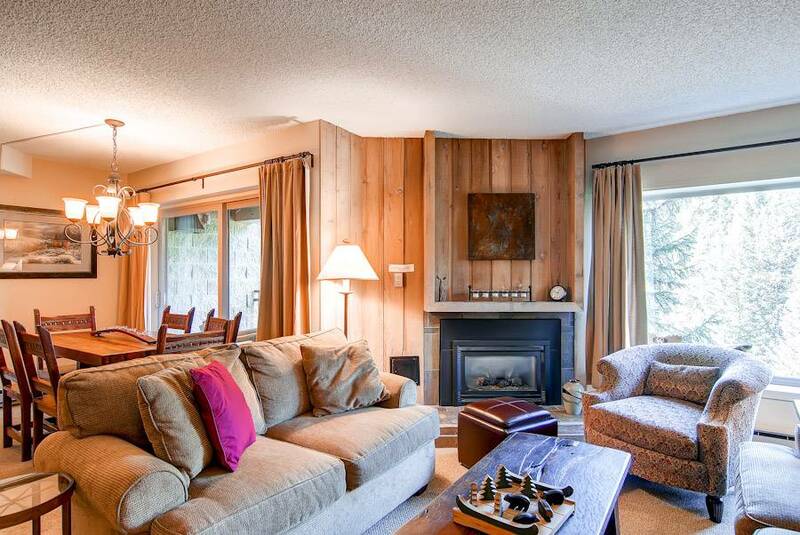 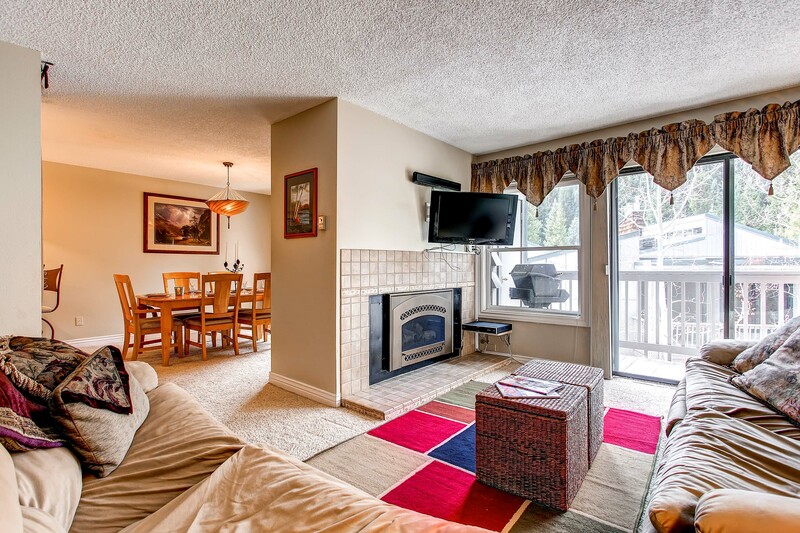 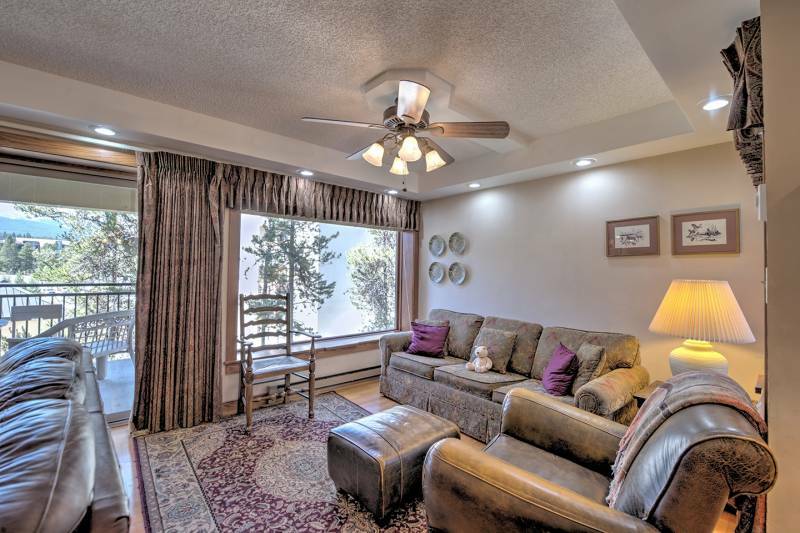 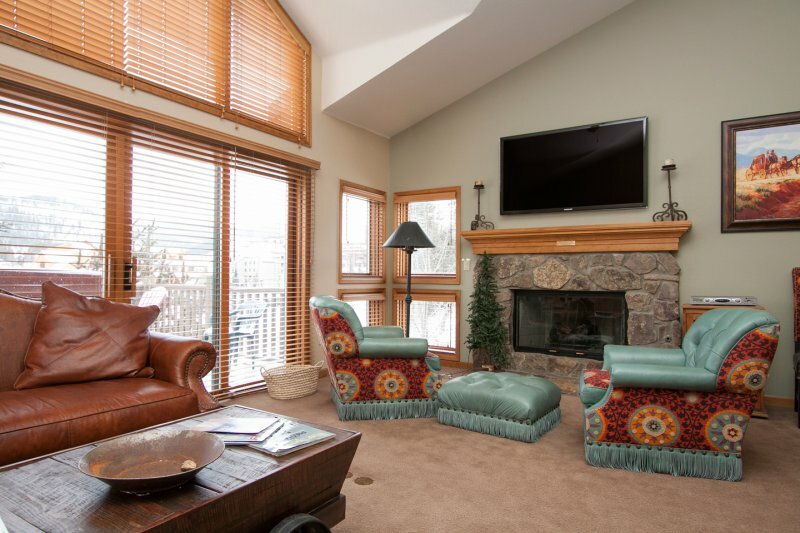 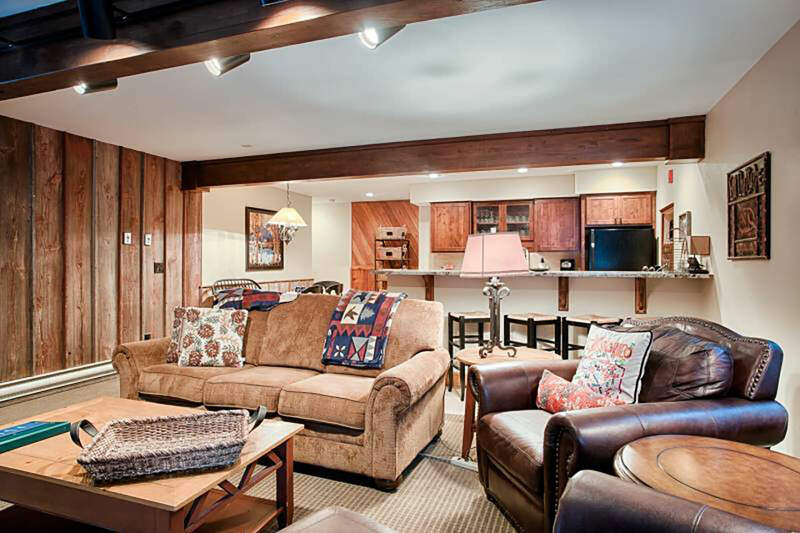 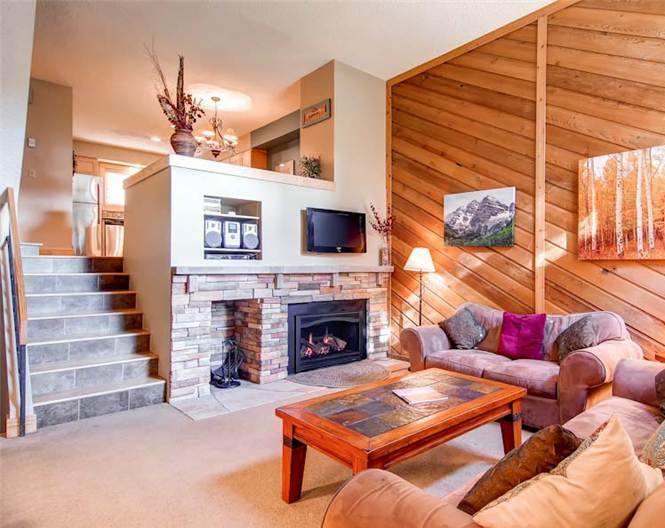 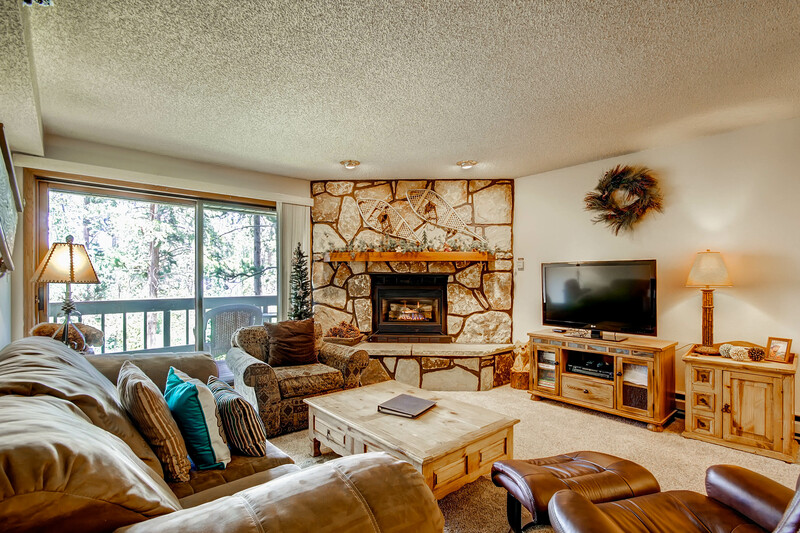 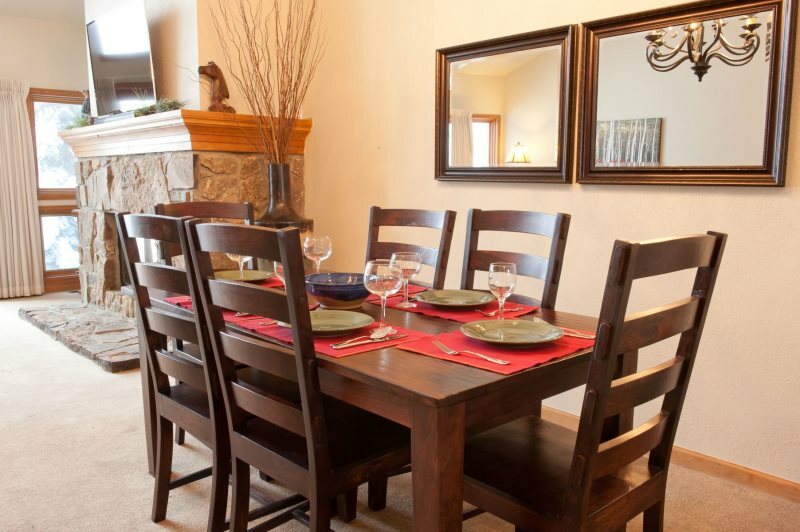 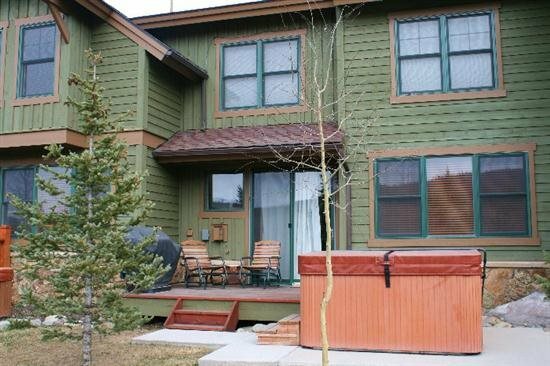 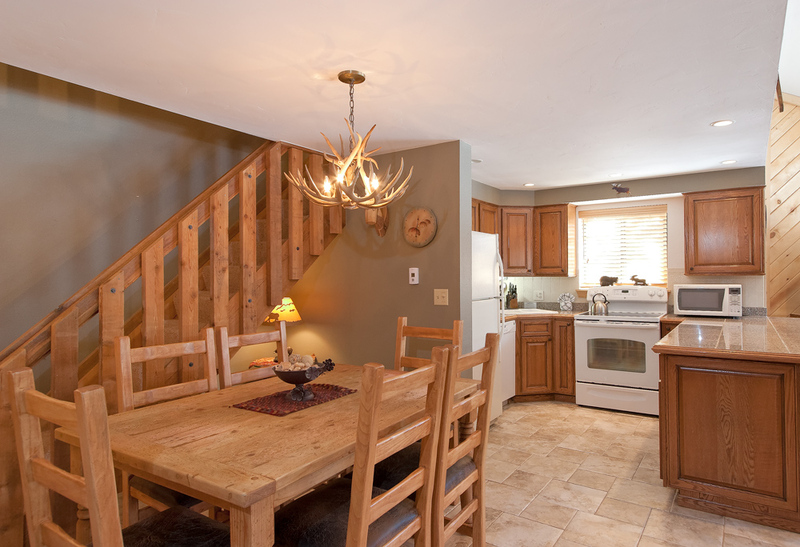 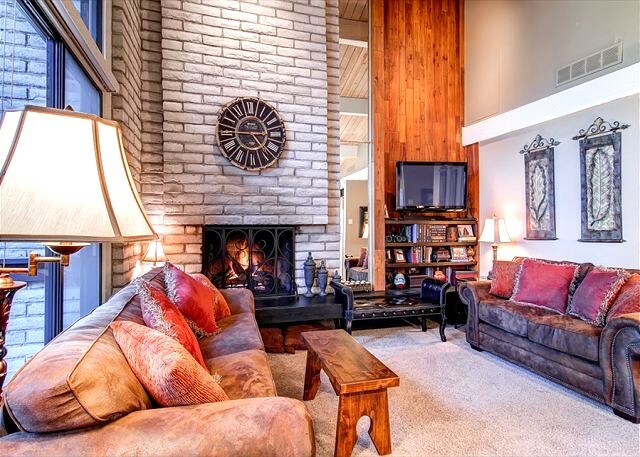 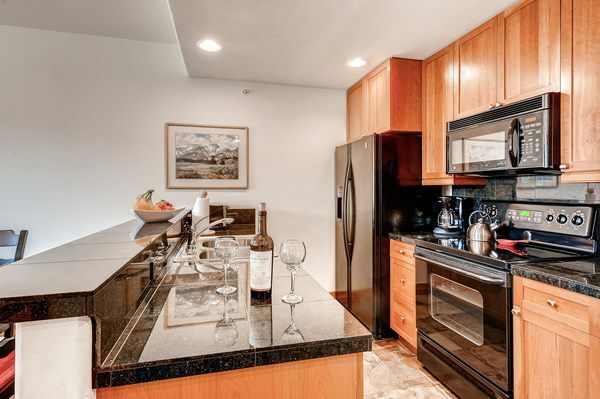 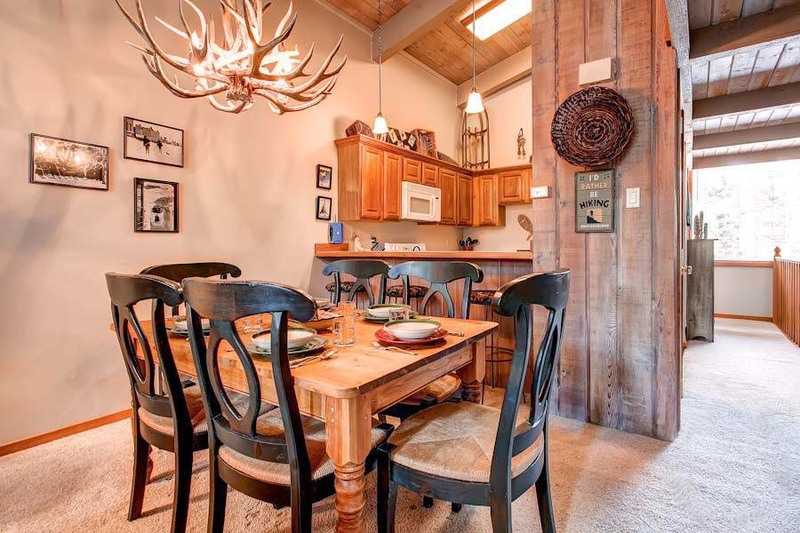 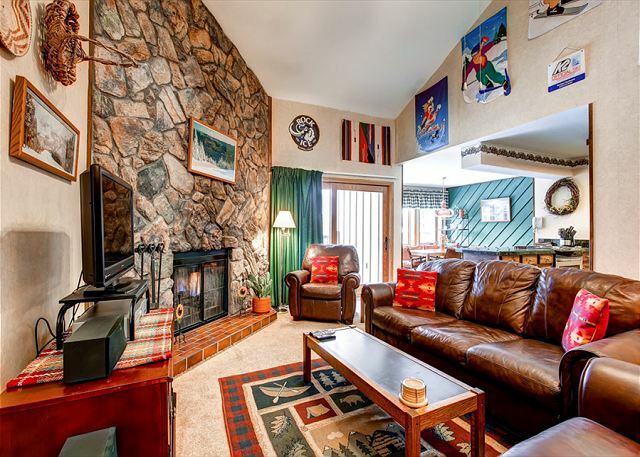 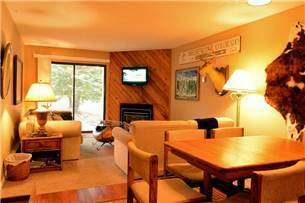 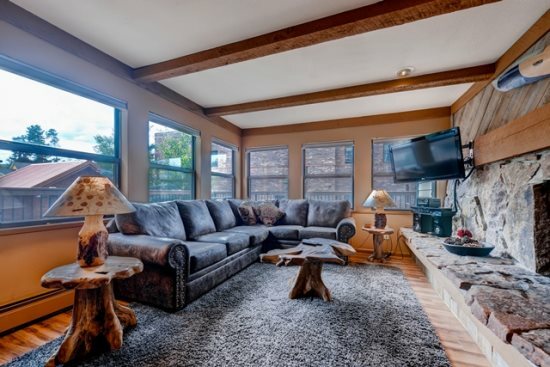 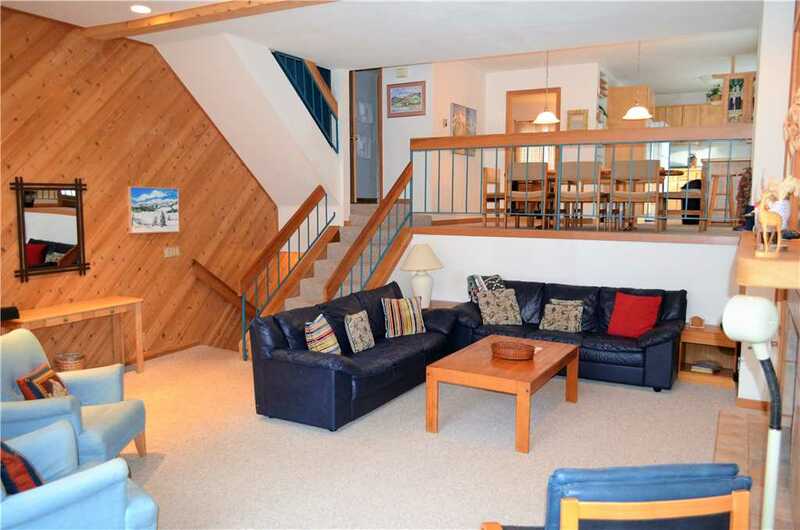 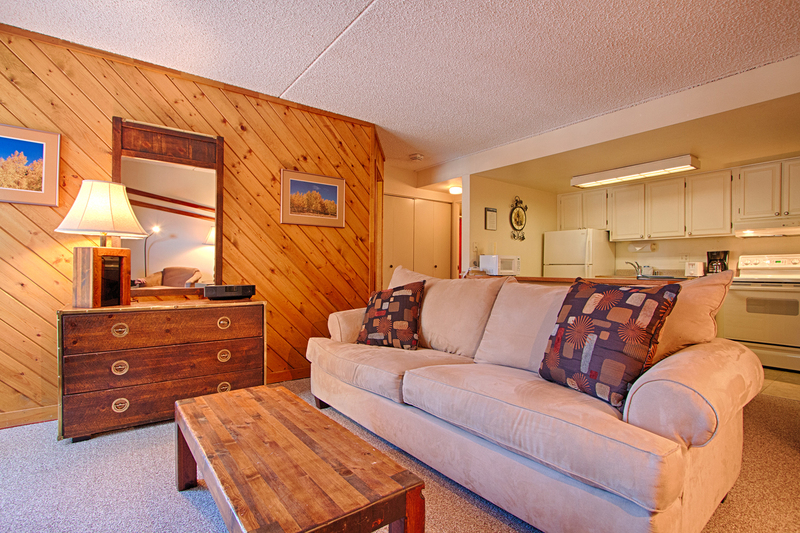 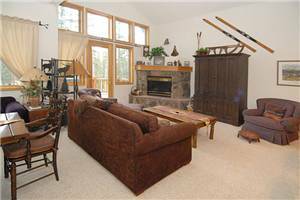 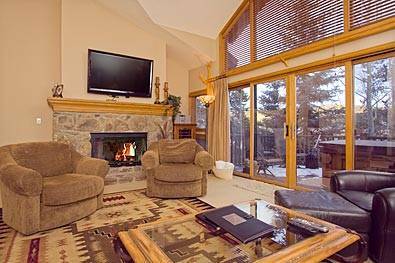 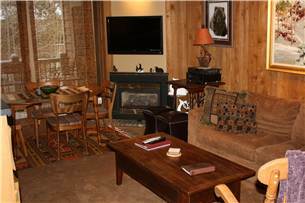 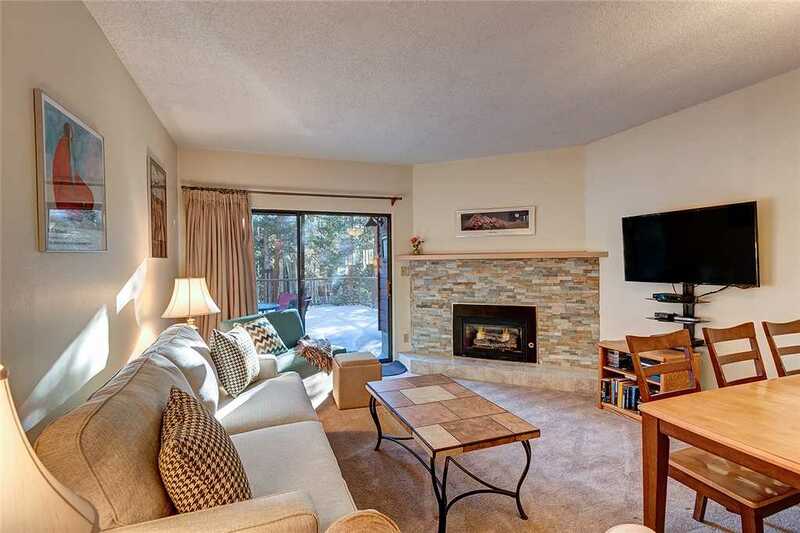 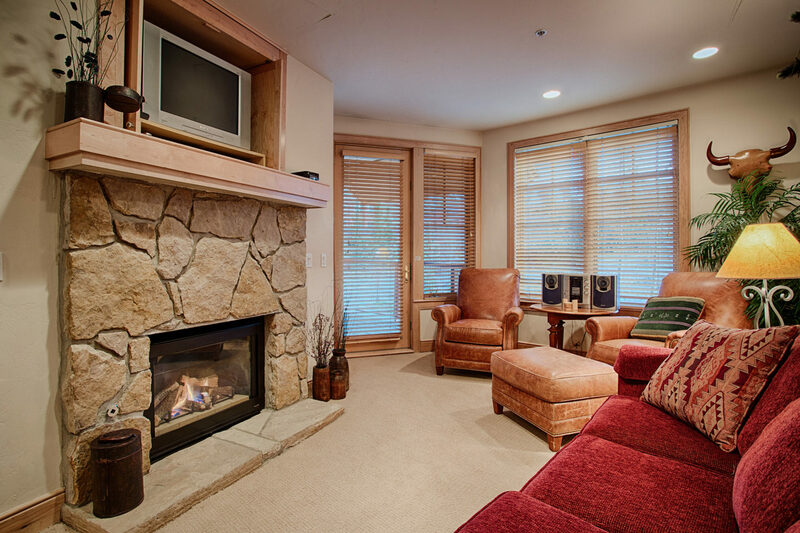 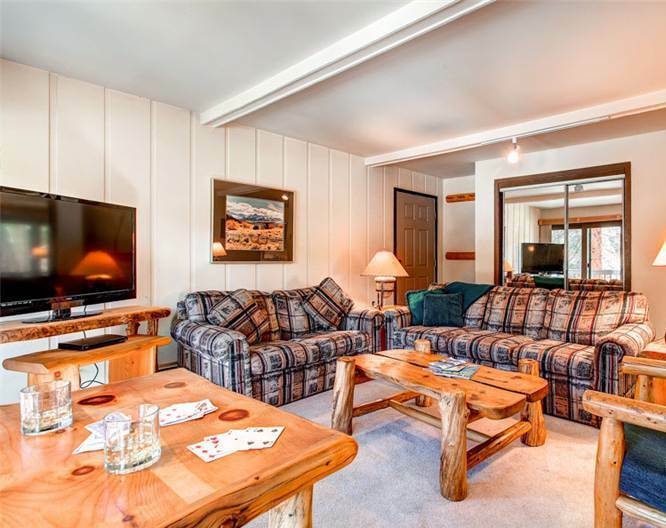 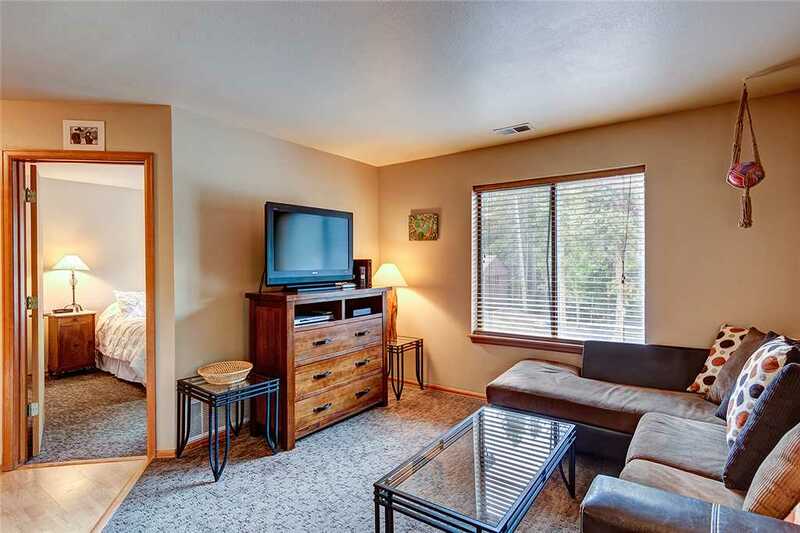 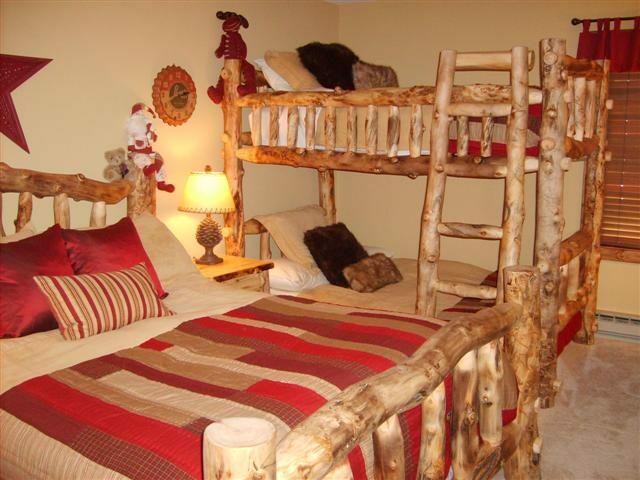 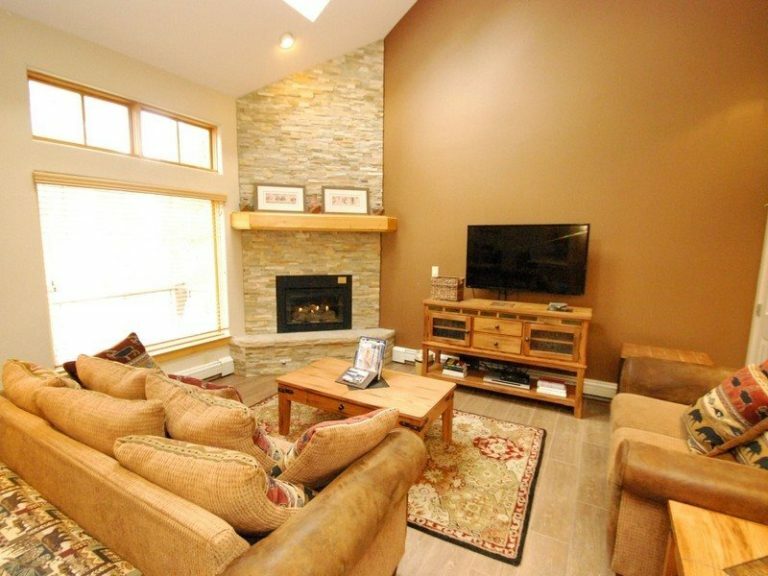 This comfortable townhome is located within walking distance to the Quicksilver chairlift and Ski School at Peak 9. 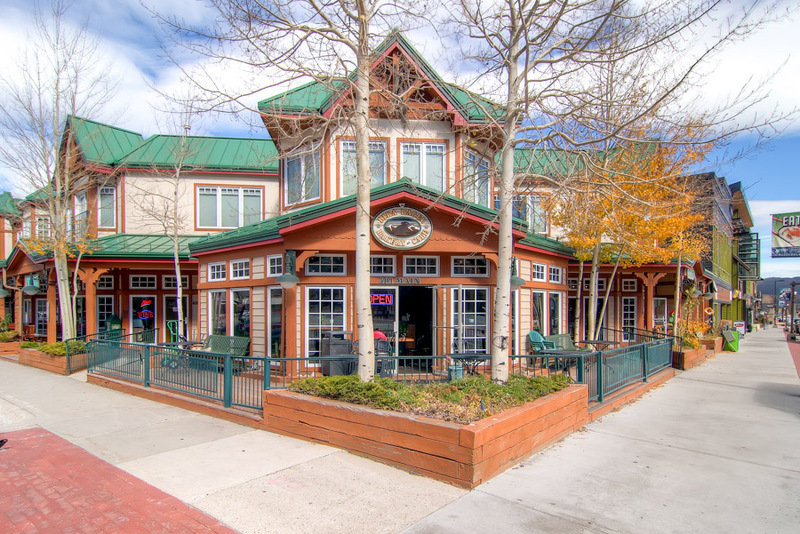 It is also just a few blocks easy walk to the shops, restaurants and nightlife on Main Street. 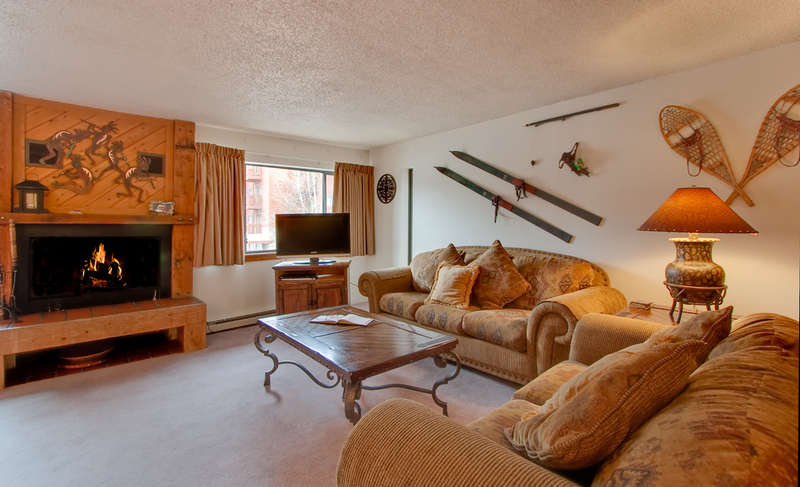 Or if you are feeling lazy, just hop on the free shuttle to the slopes or town. 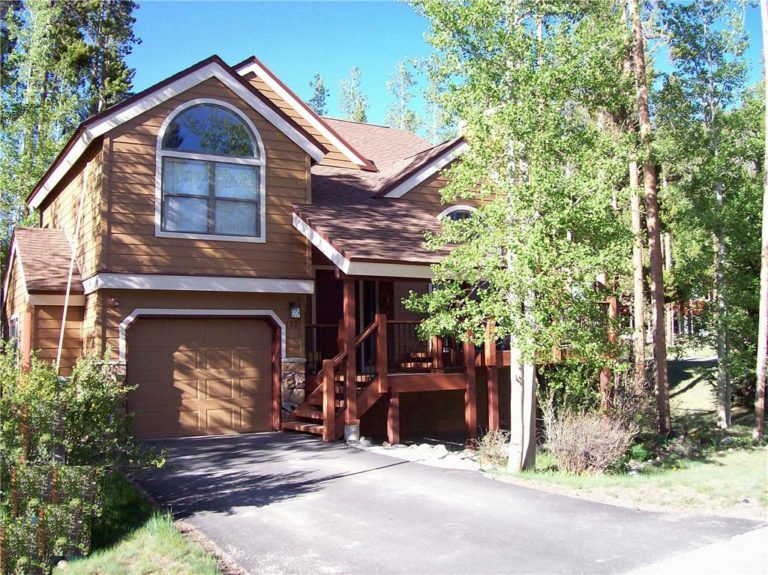 The shuttle stops at the end of the driveway. 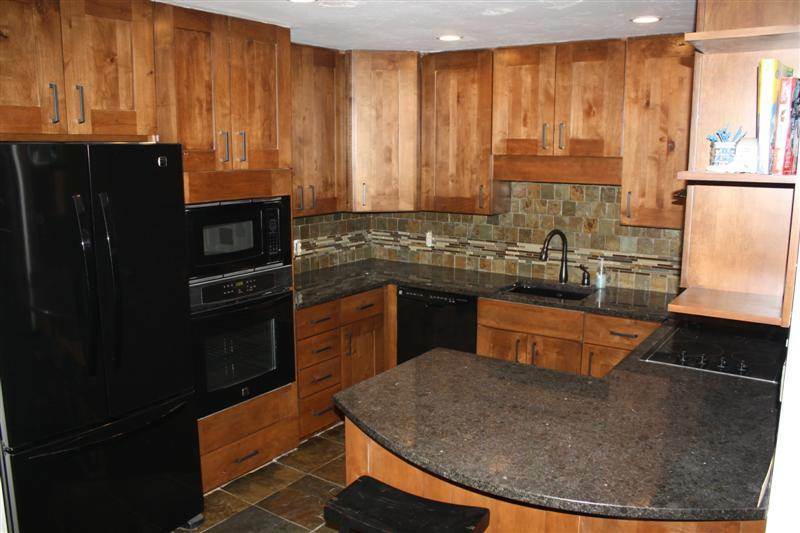 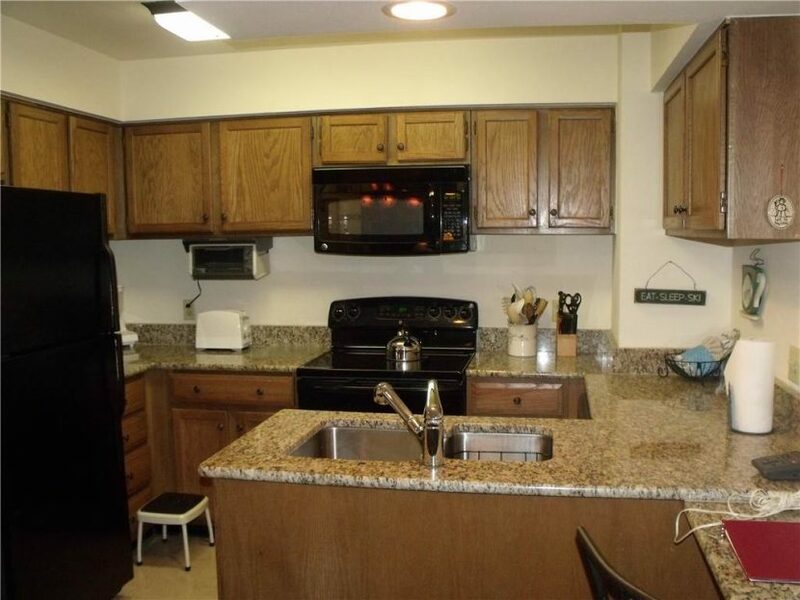 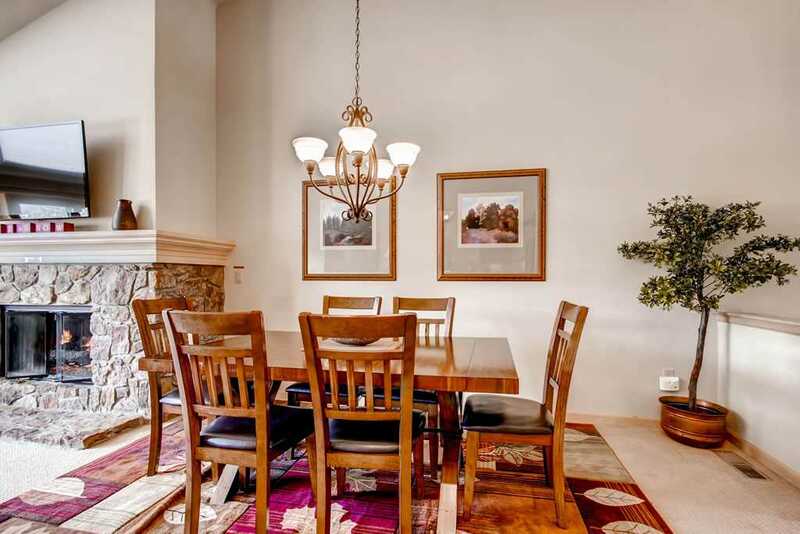 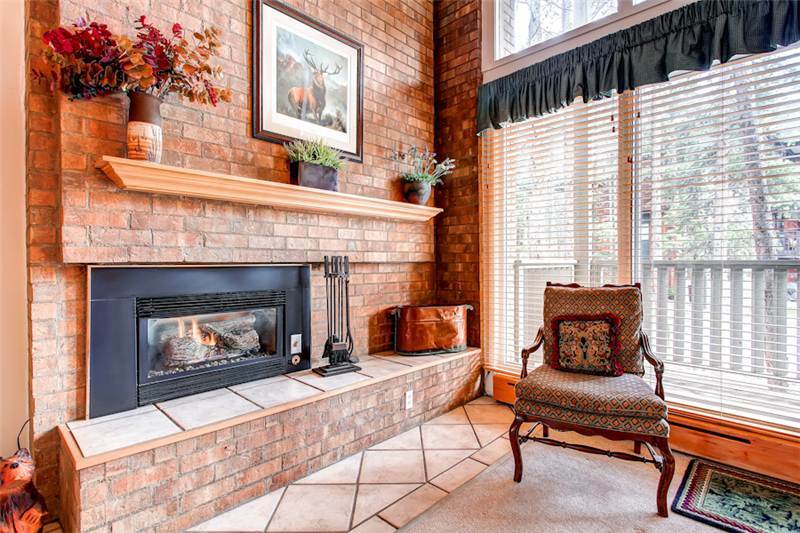 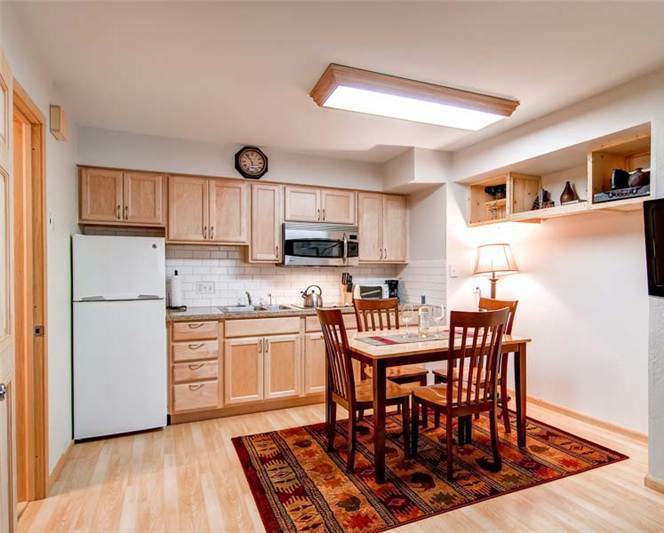 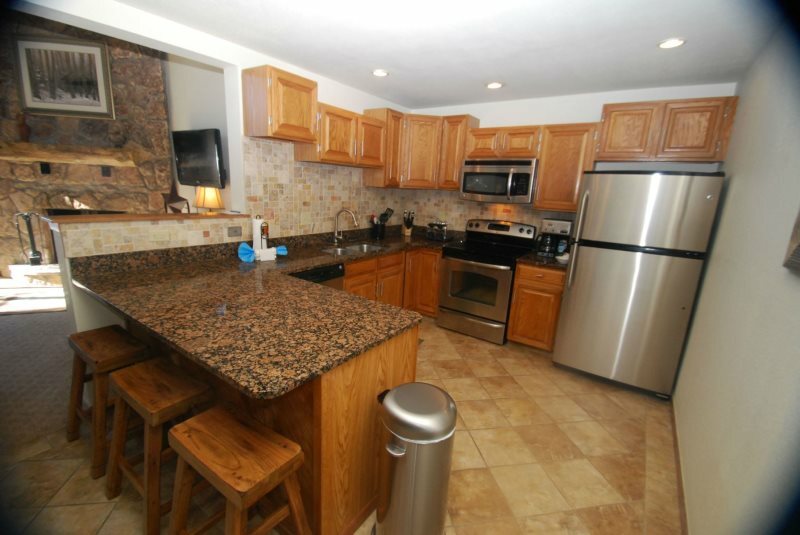 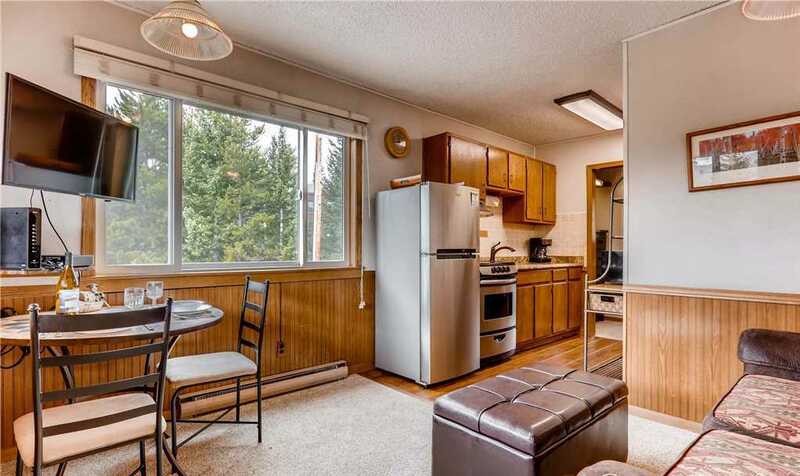 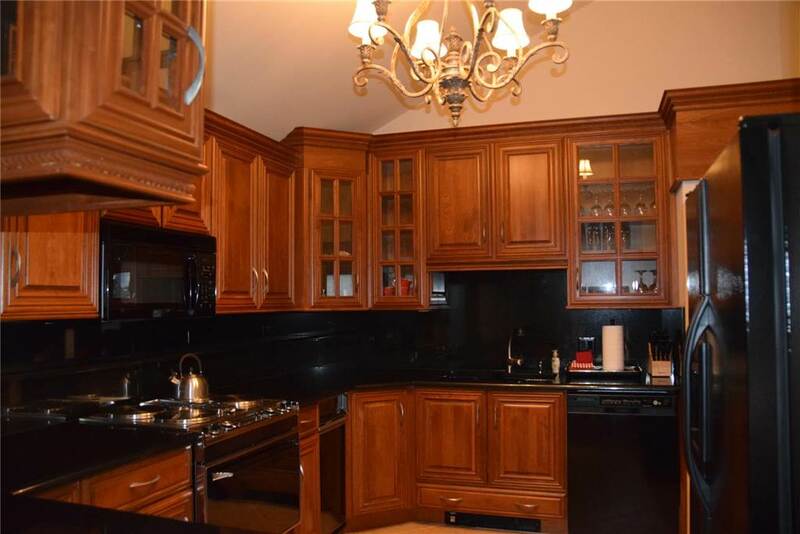 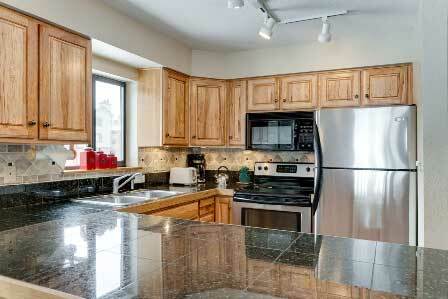 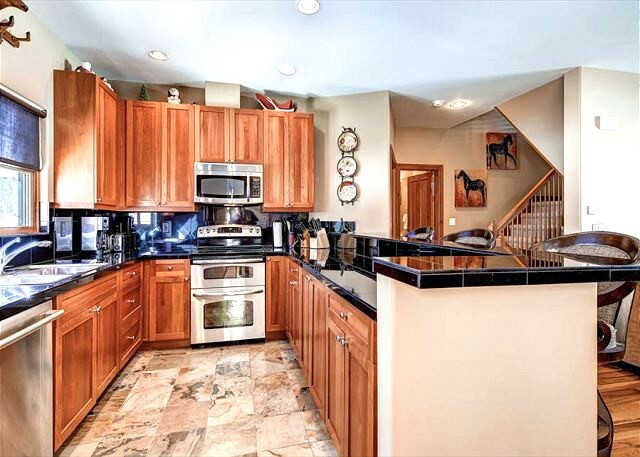 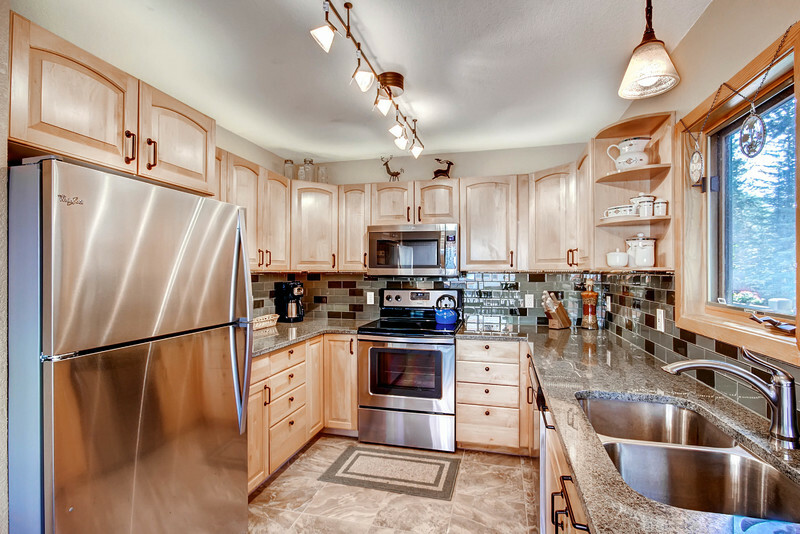 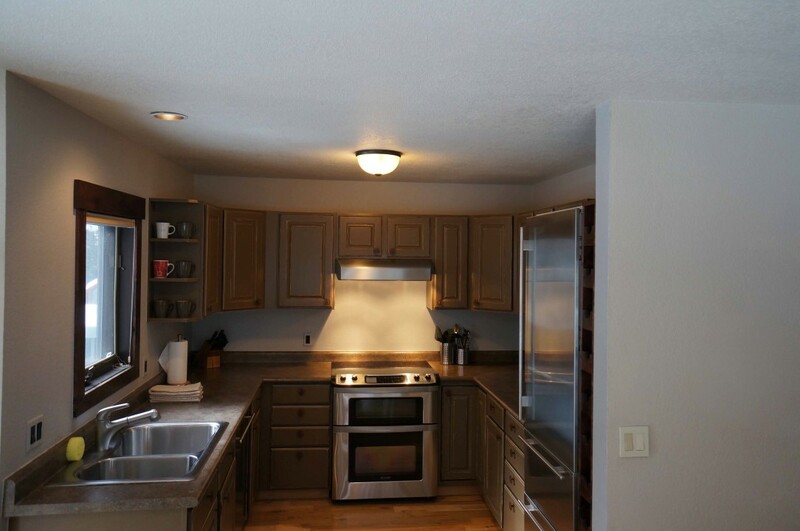 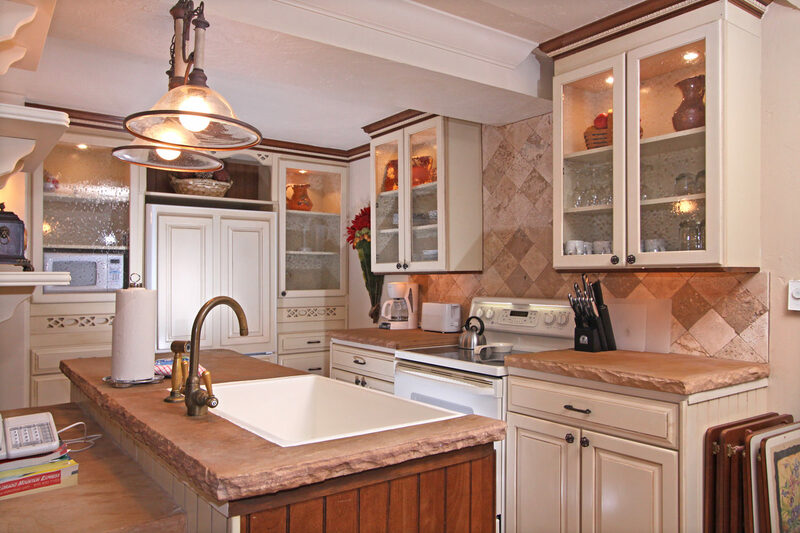 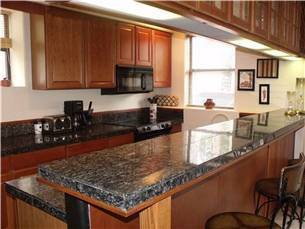 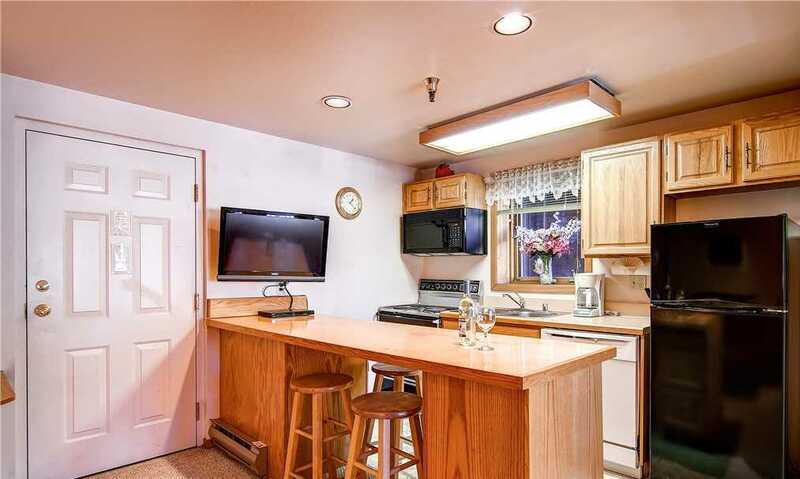 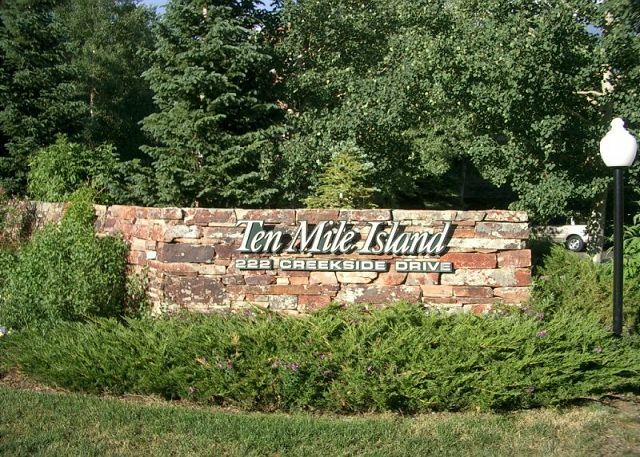 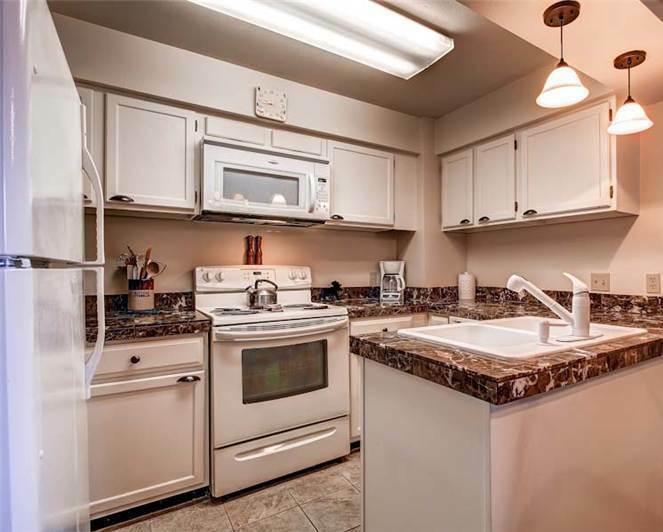 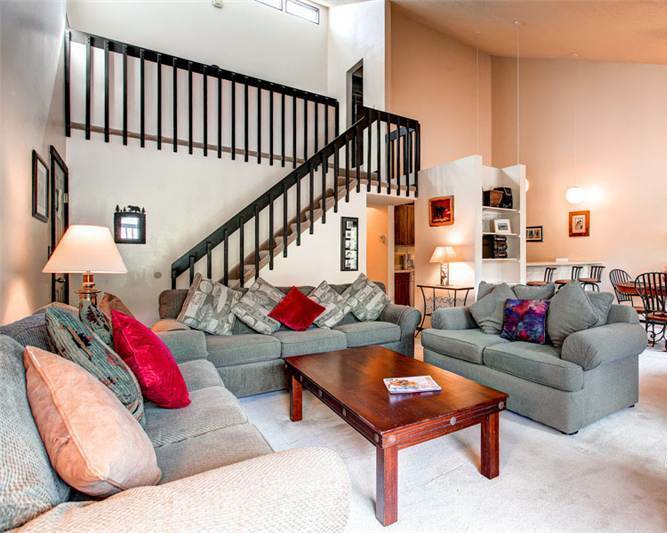 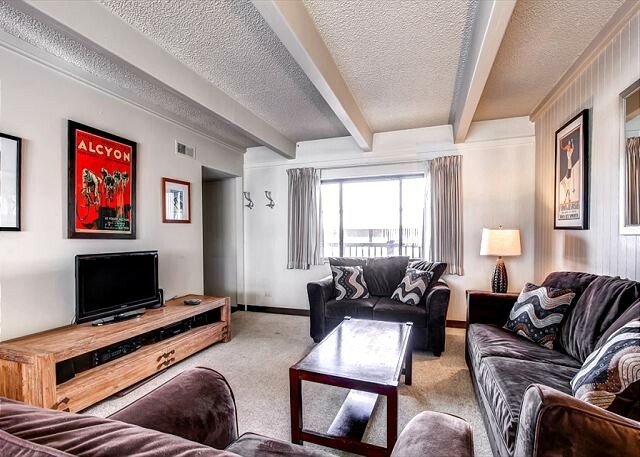 The spacious townhome was recently updated. 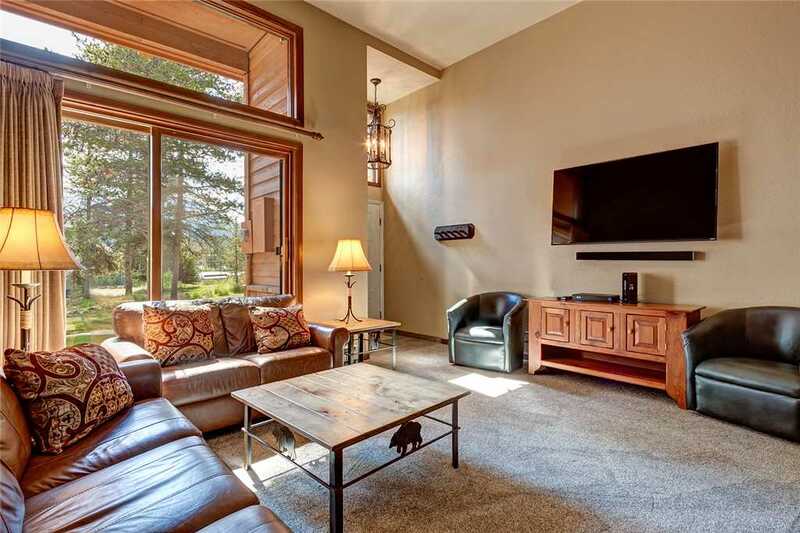 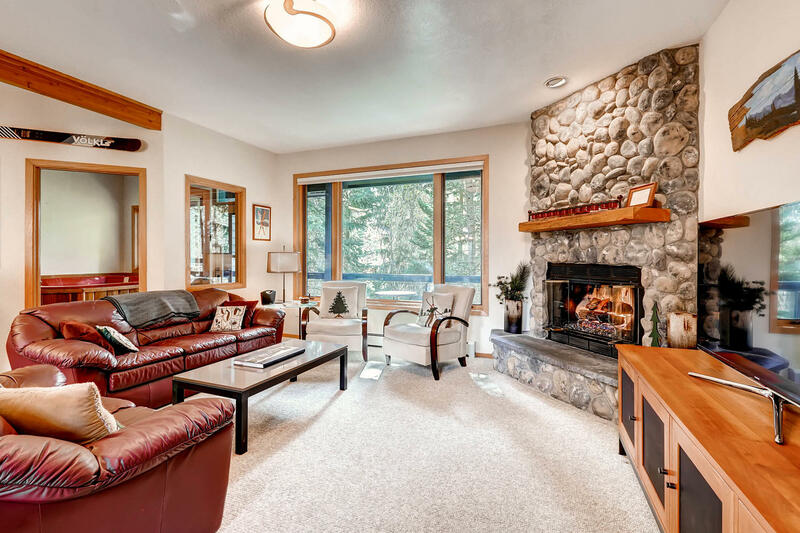 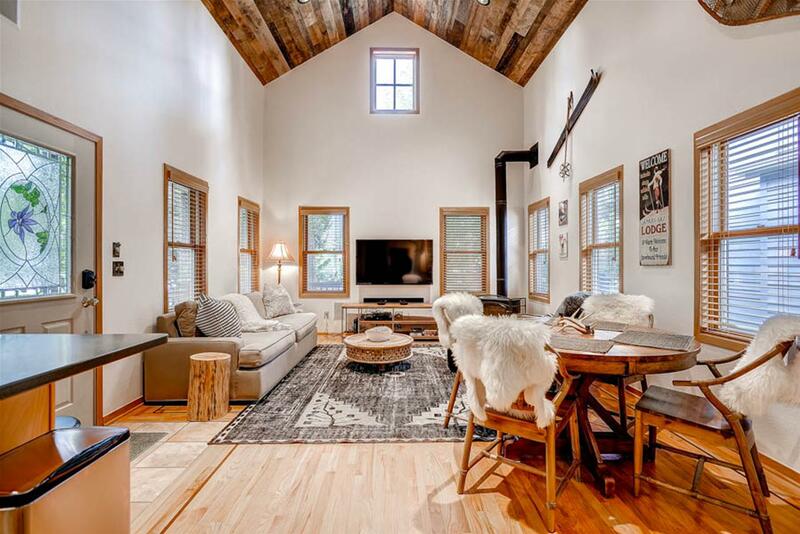 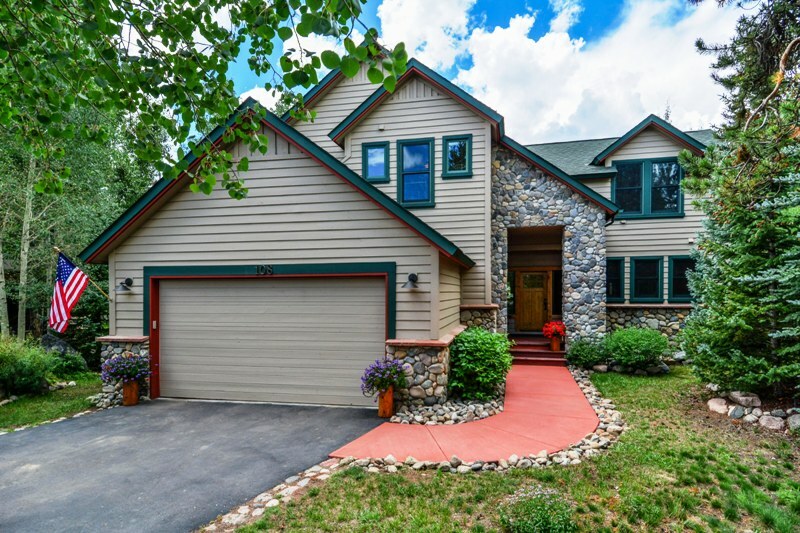 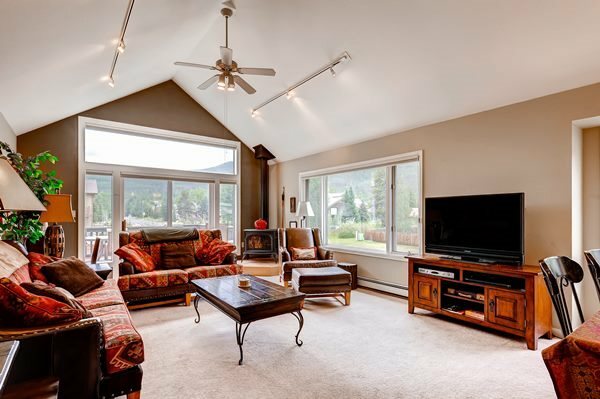 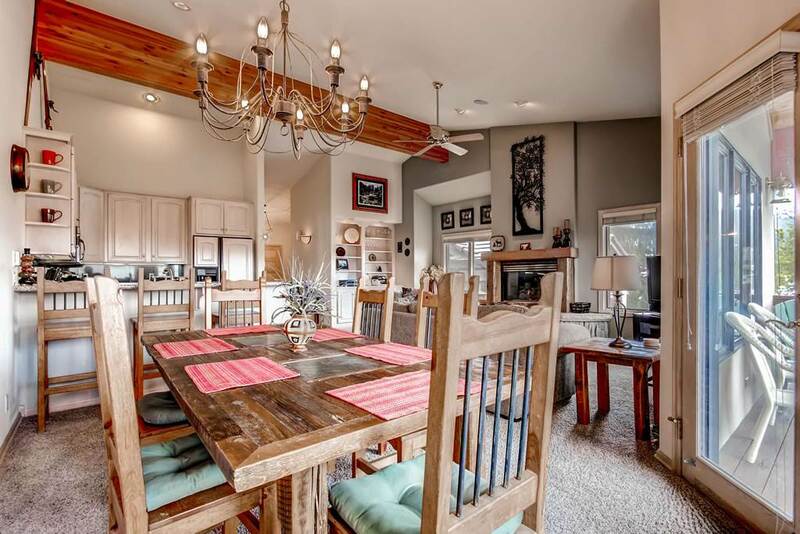 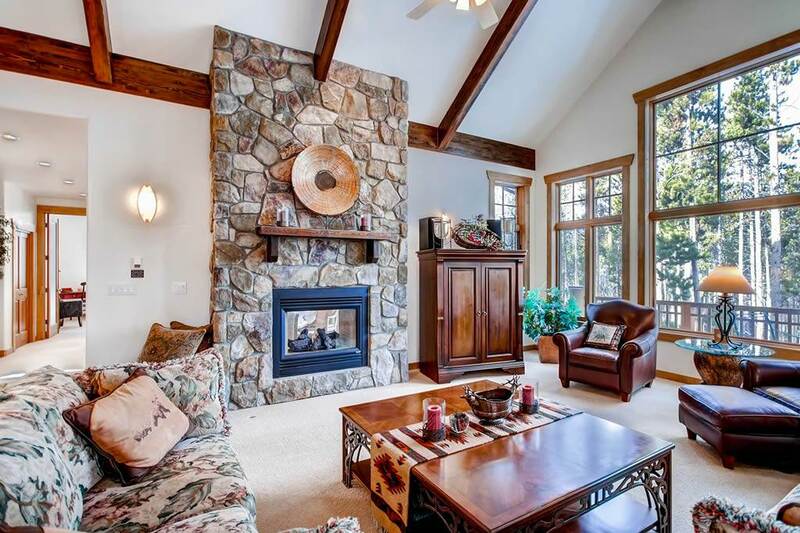 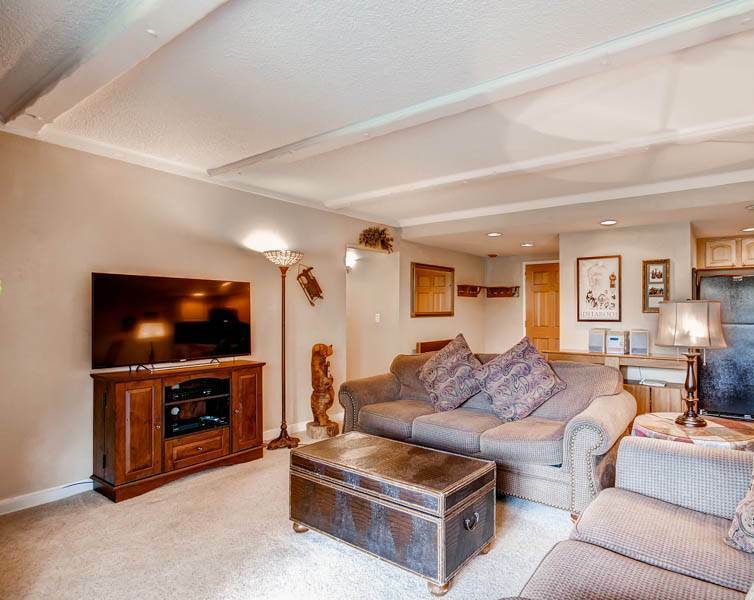 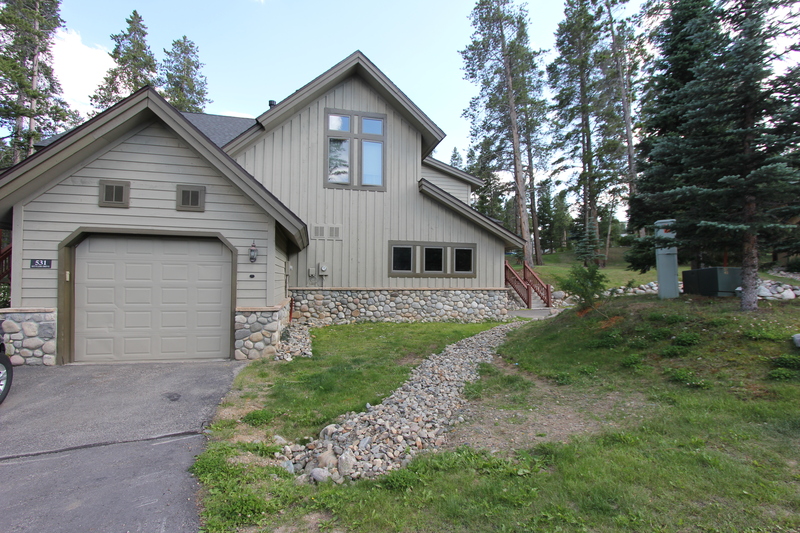 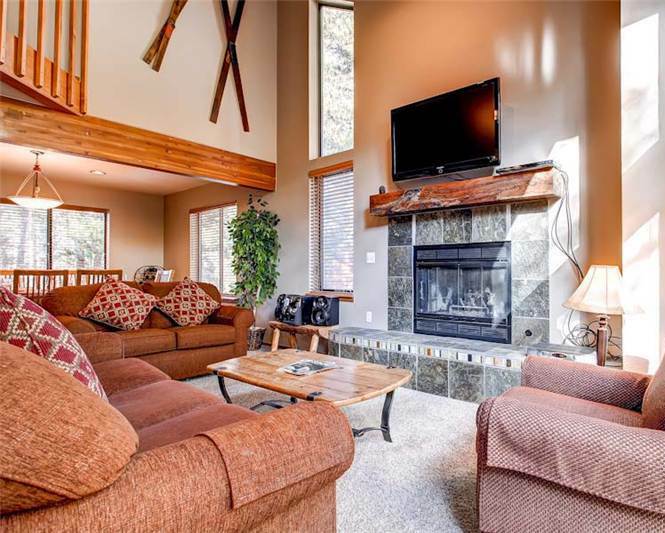 It features a tongue & groove wood vaulted ceiling, gas fireplace, large windows for plenty of natural light, large deck with gas BBQ grill, granite counters, stainless appliances, modern TV, WiFi, multiple modern TVs, private washer/dryer, and covered parking. 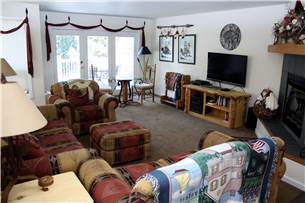 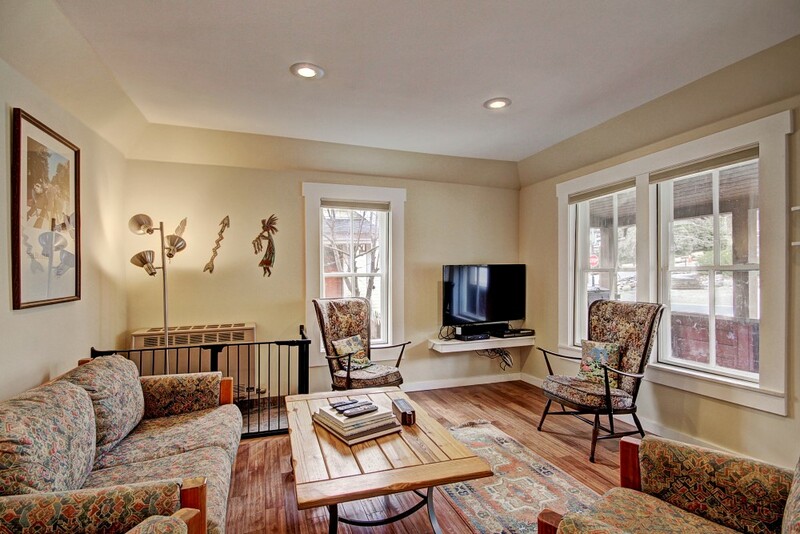 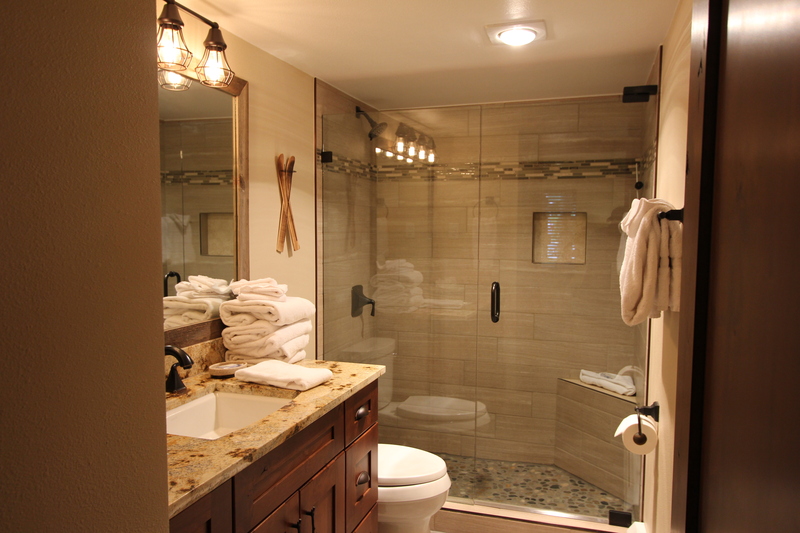 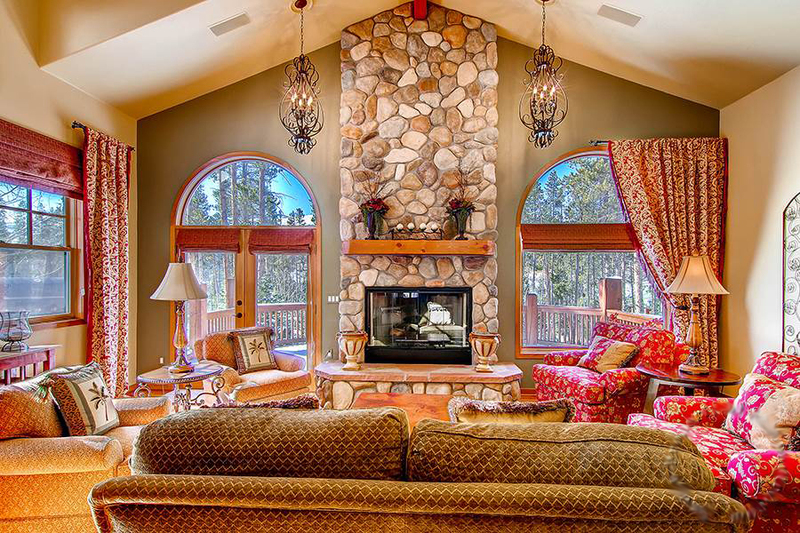 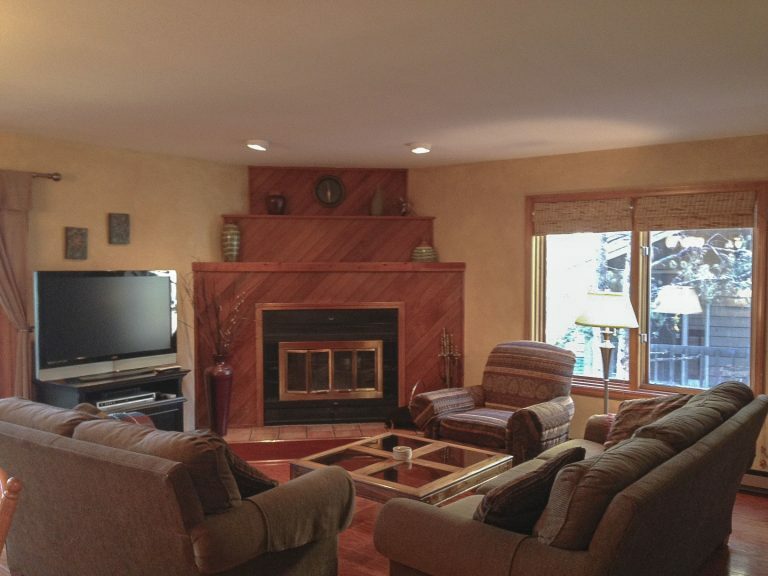 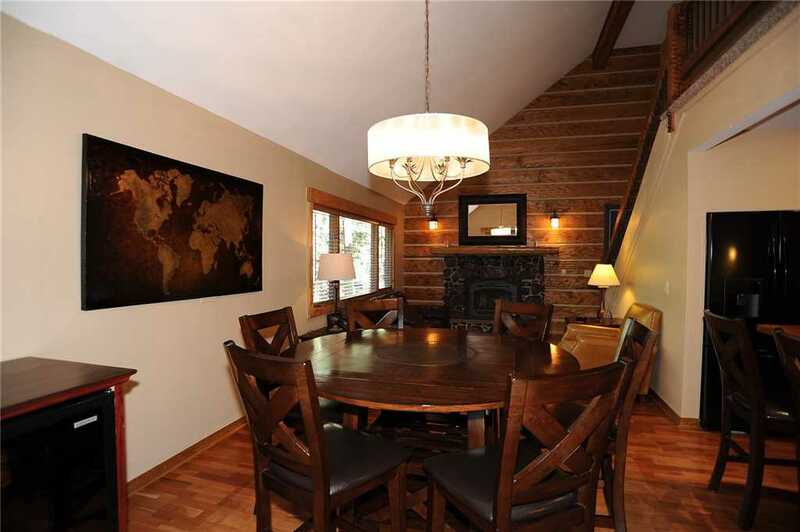 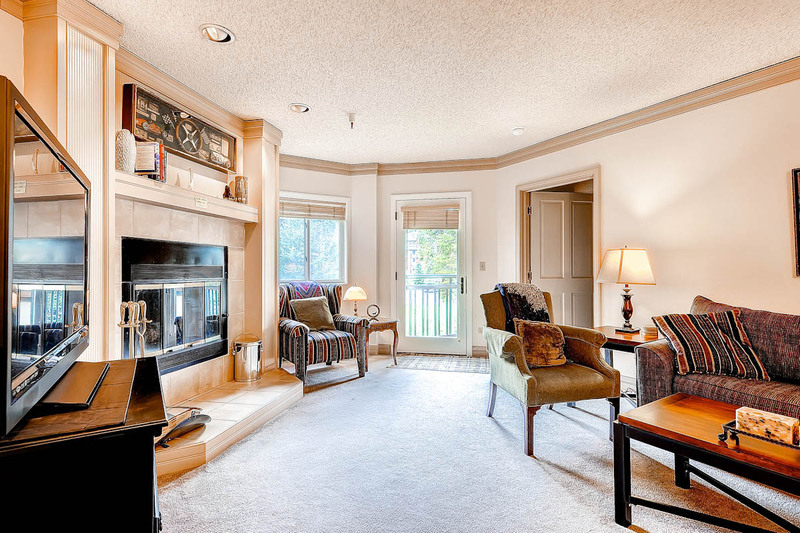 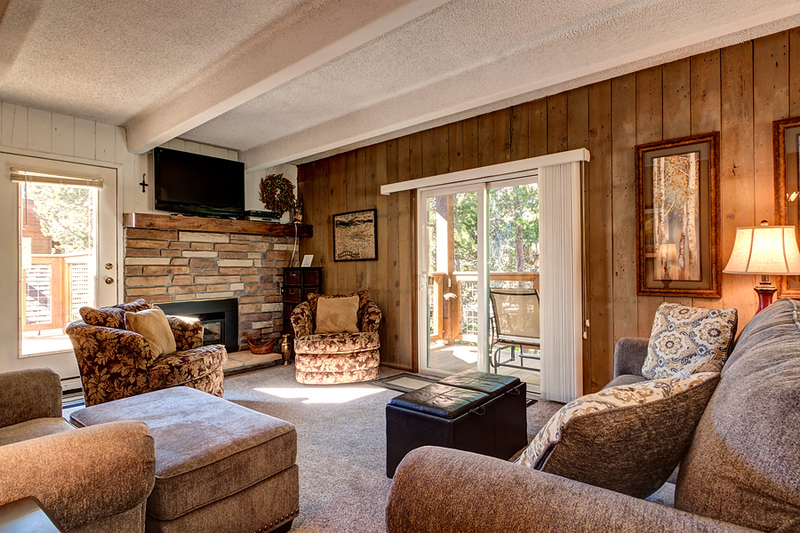 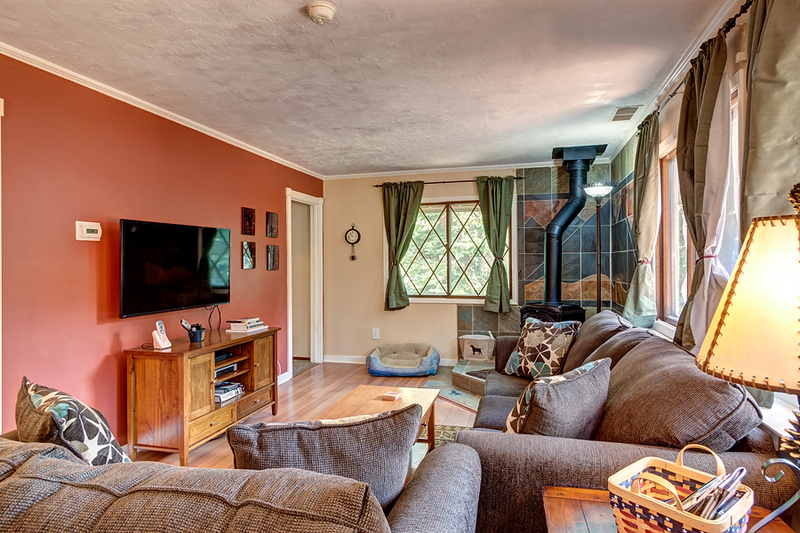 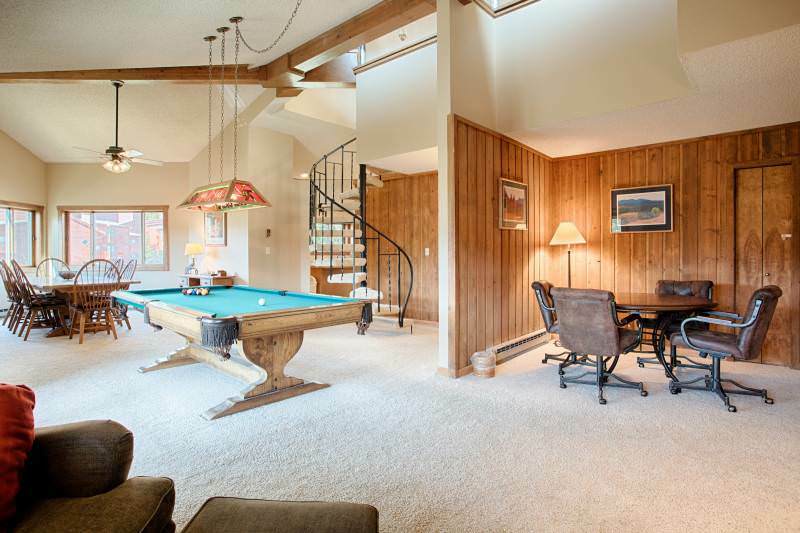 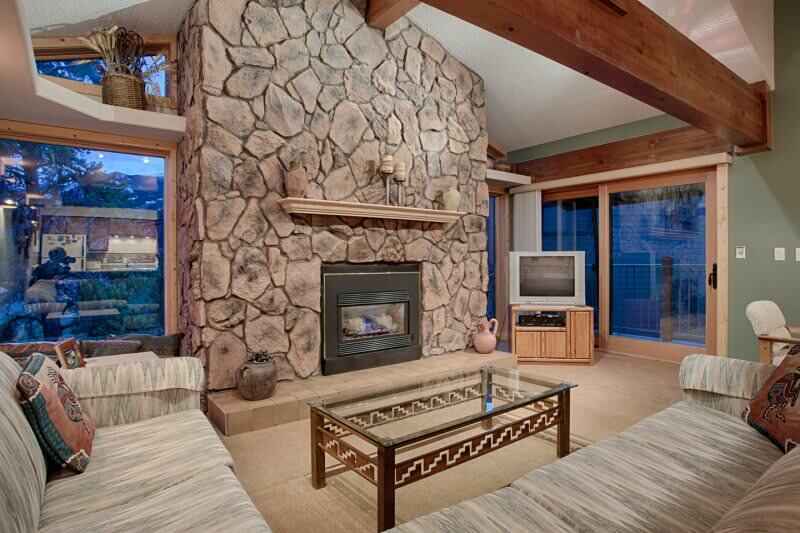 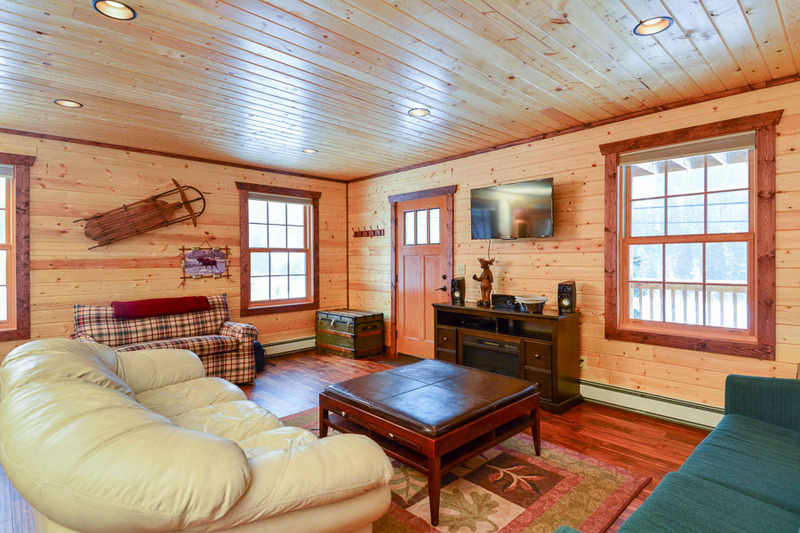 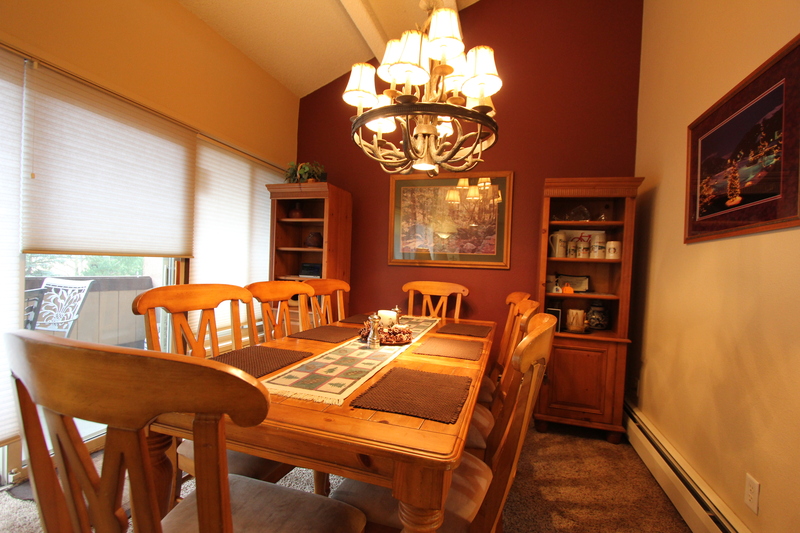 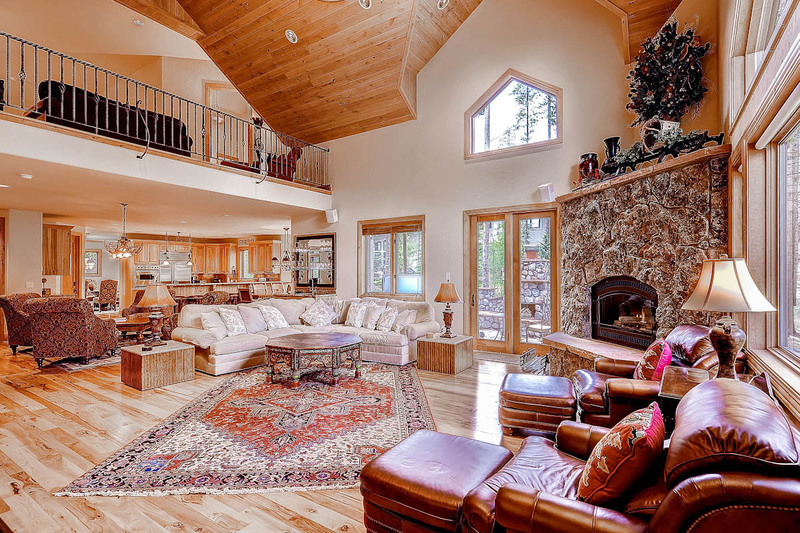 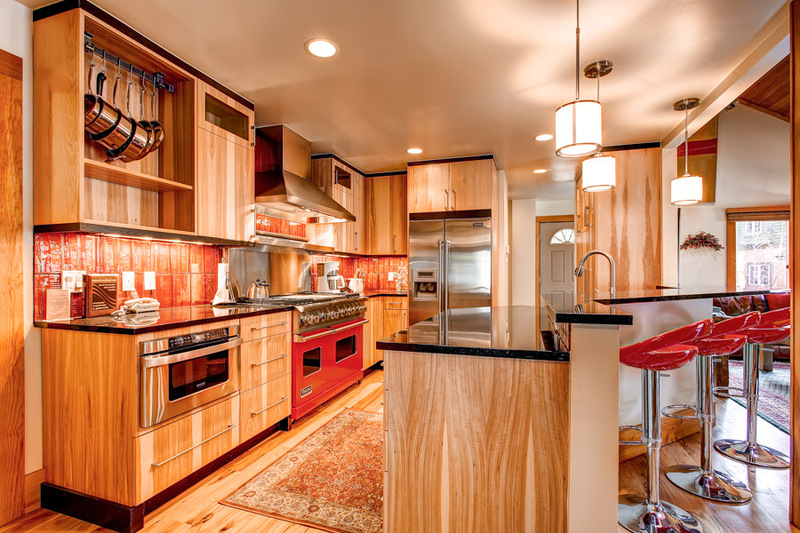 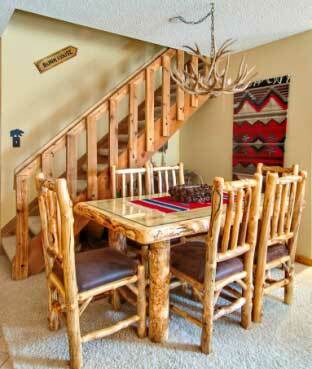 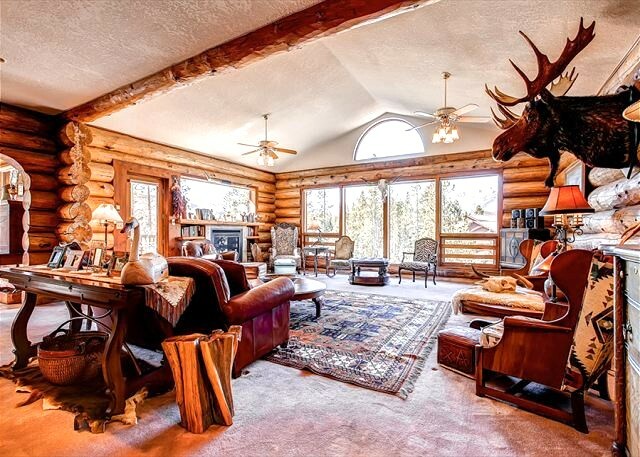 There is plenty of privacy and space for groups to spread out with a living area and a separate den space. 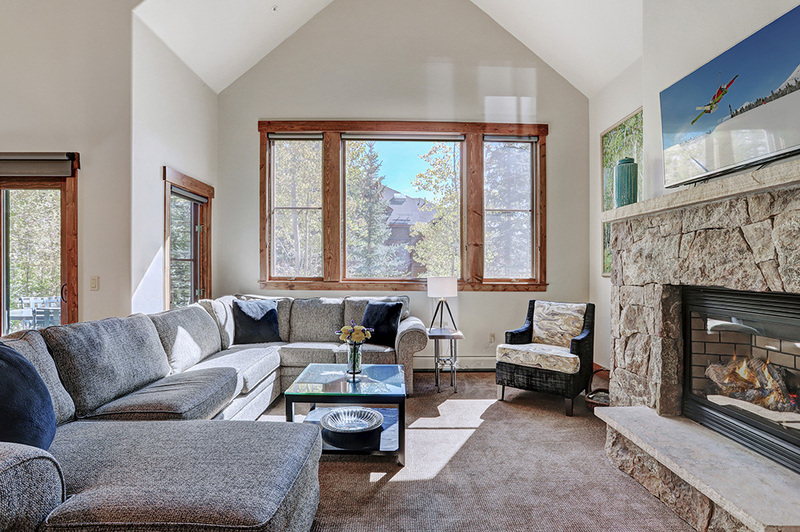 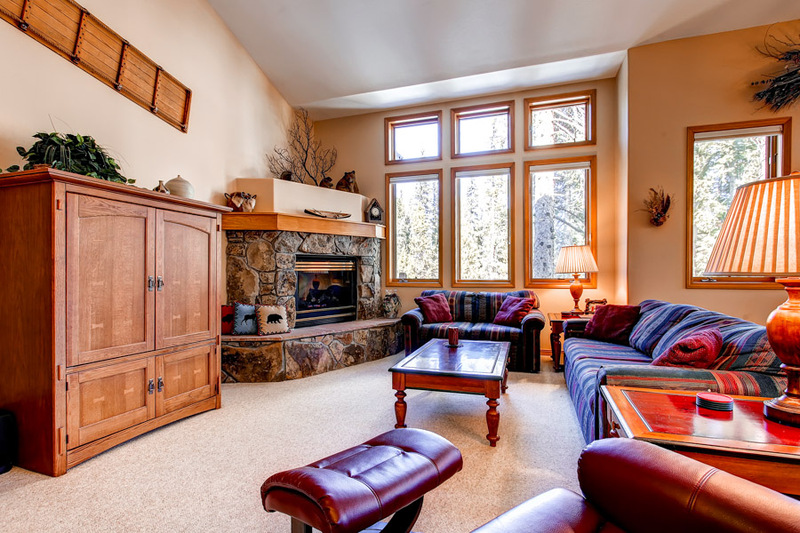 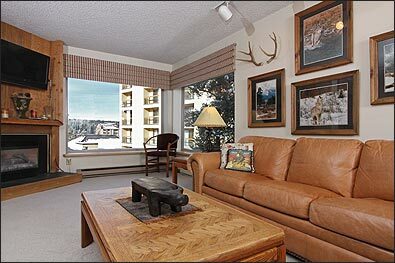 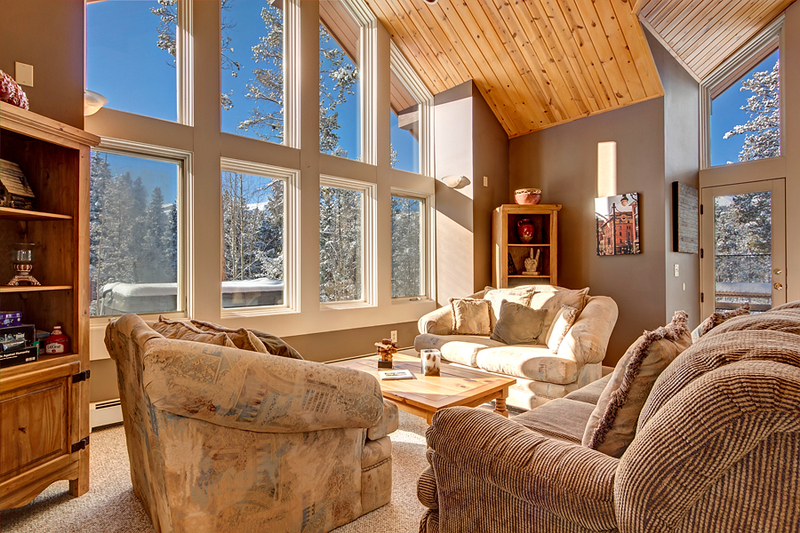 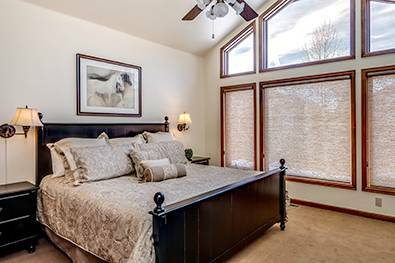 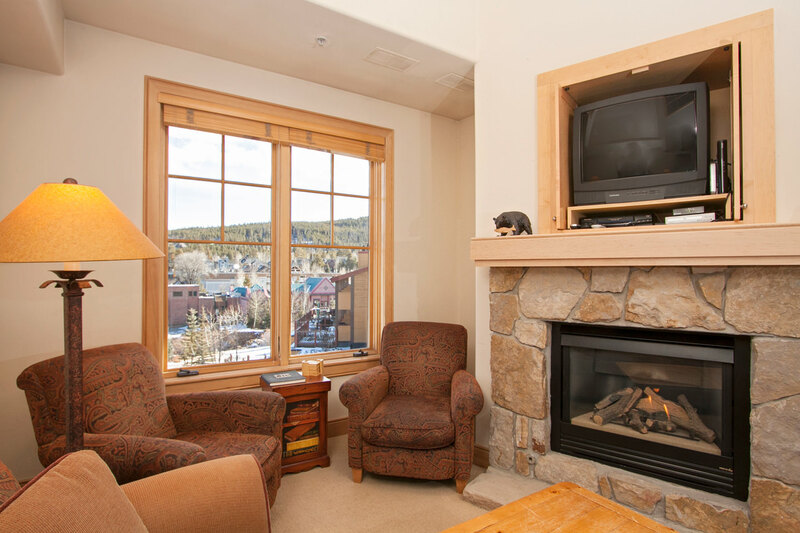 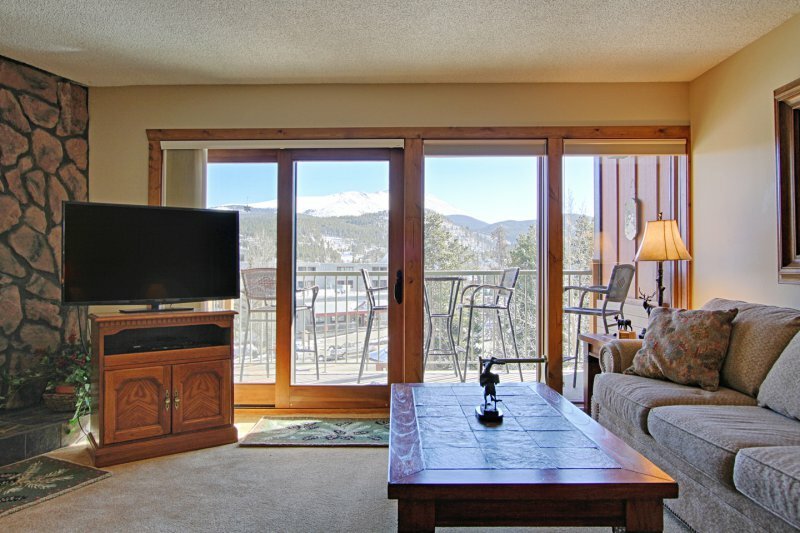 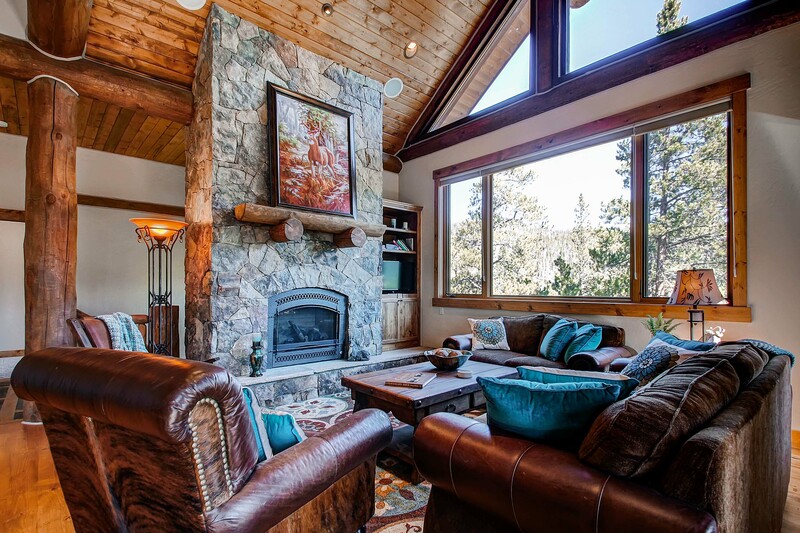 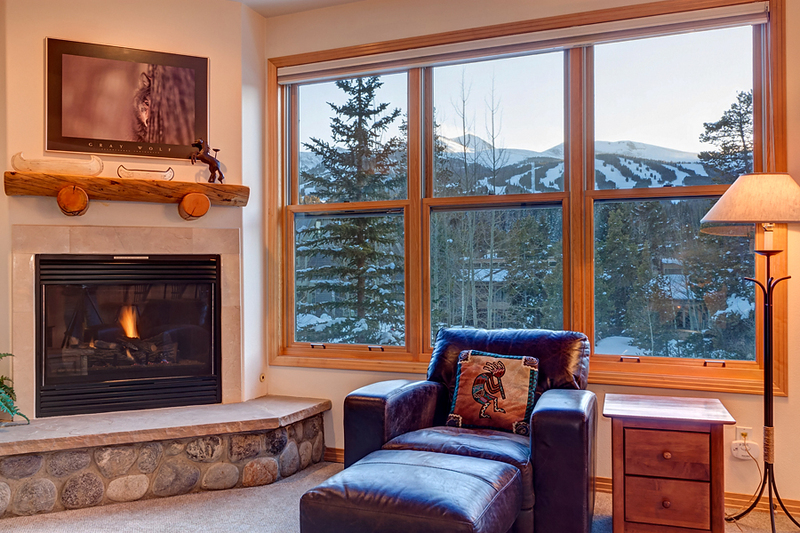 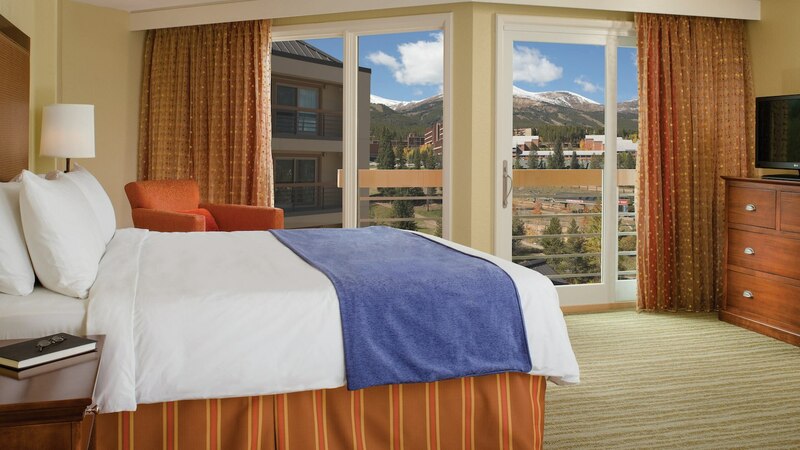 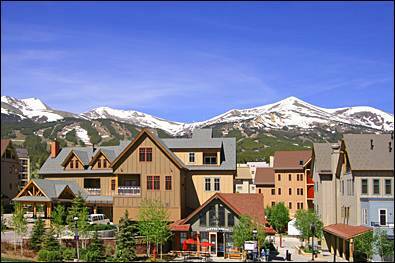 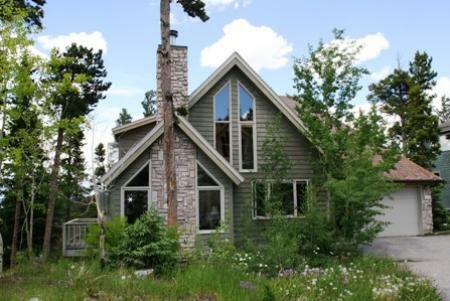 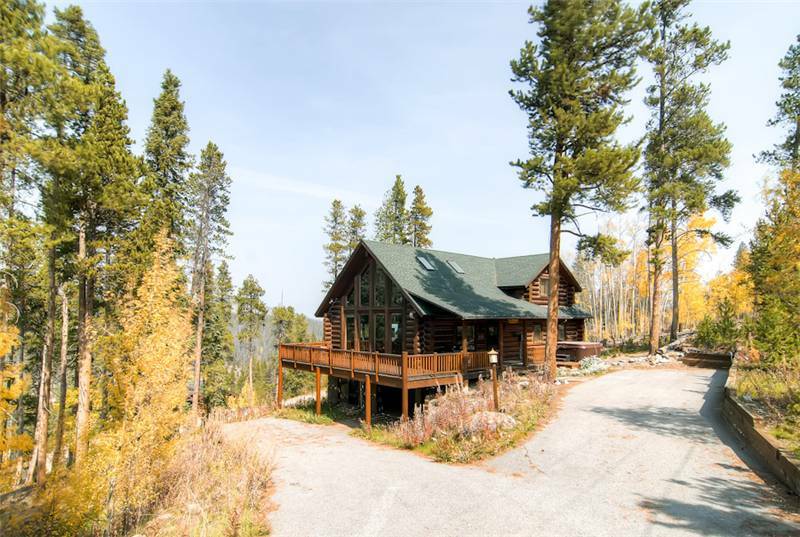 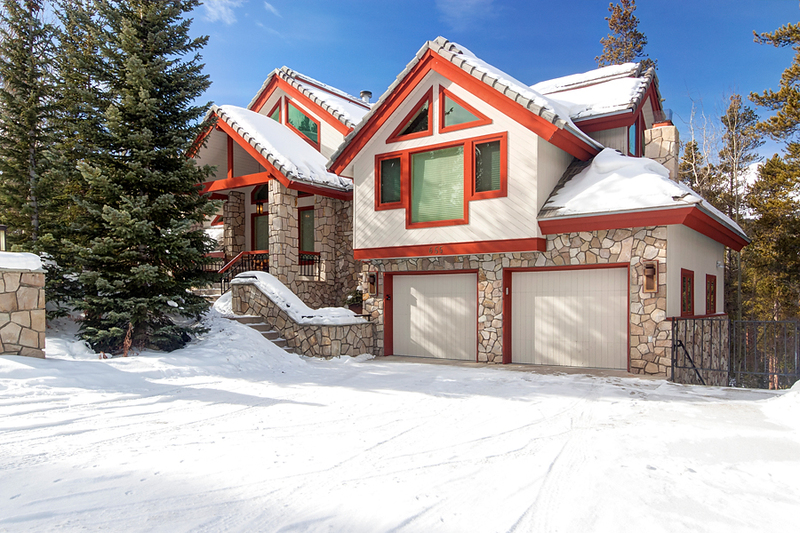 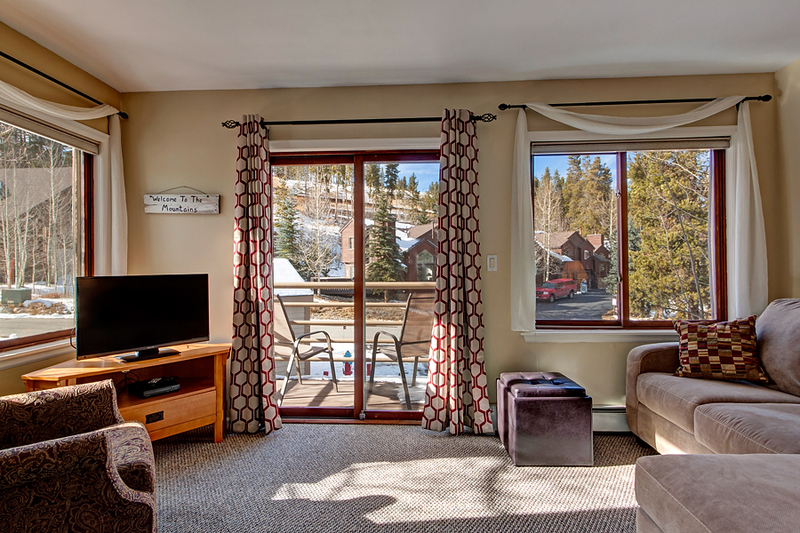 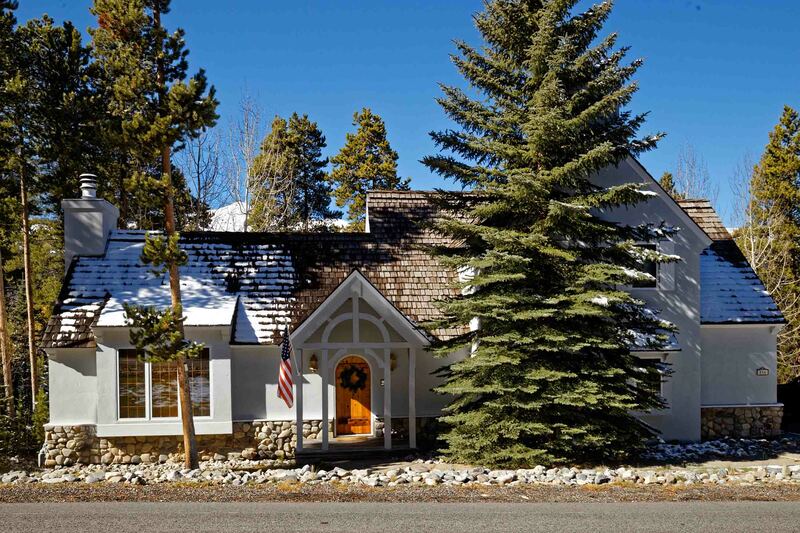 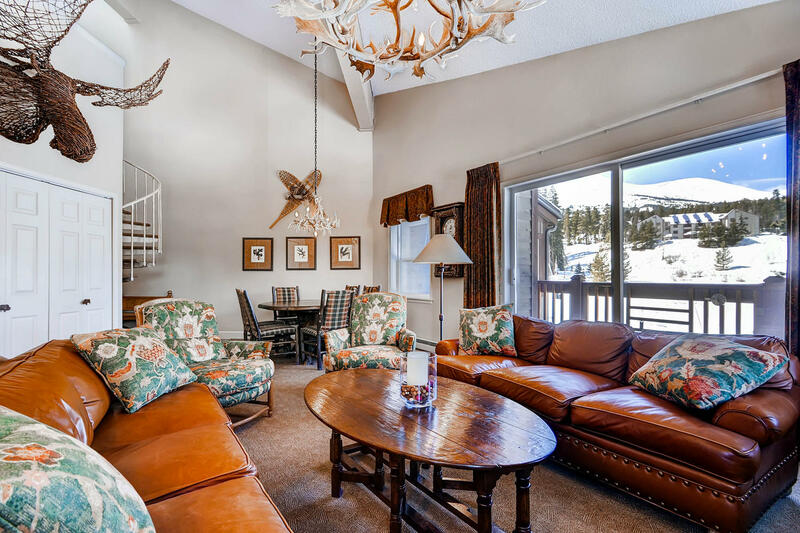 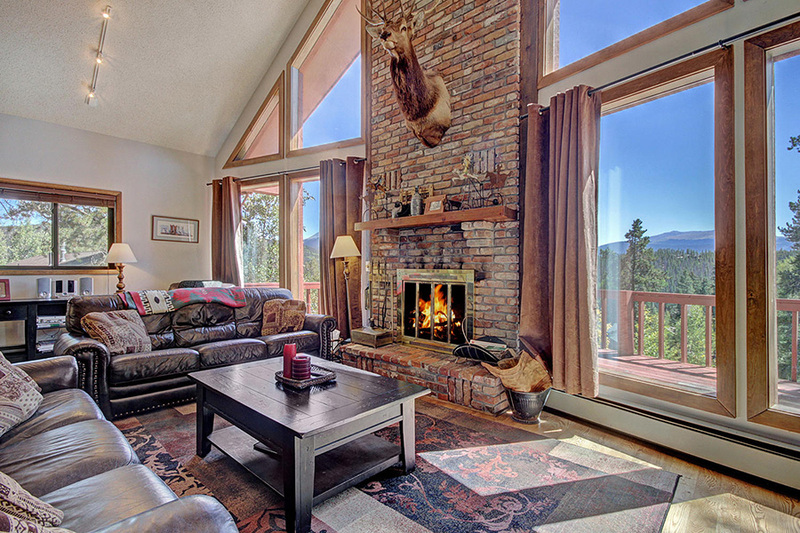 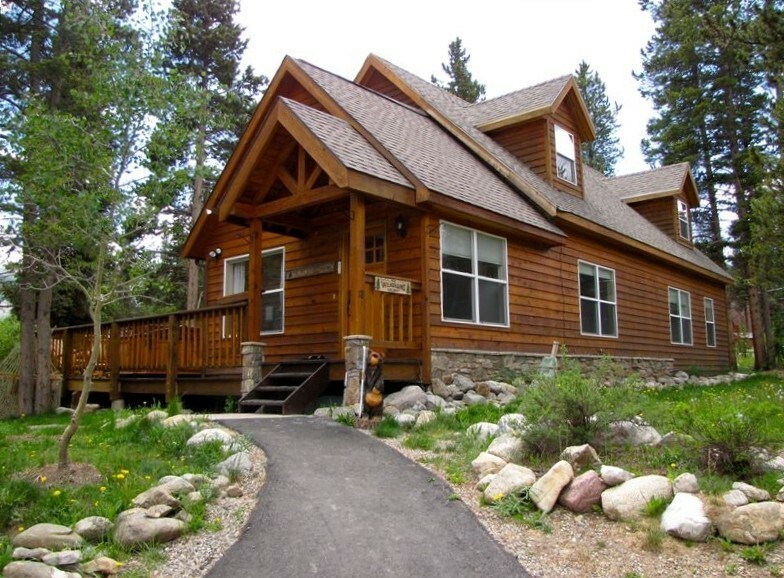 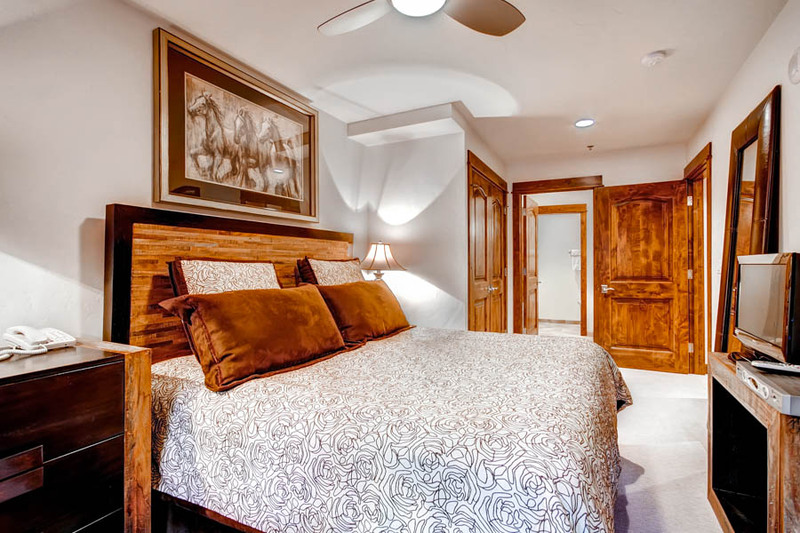 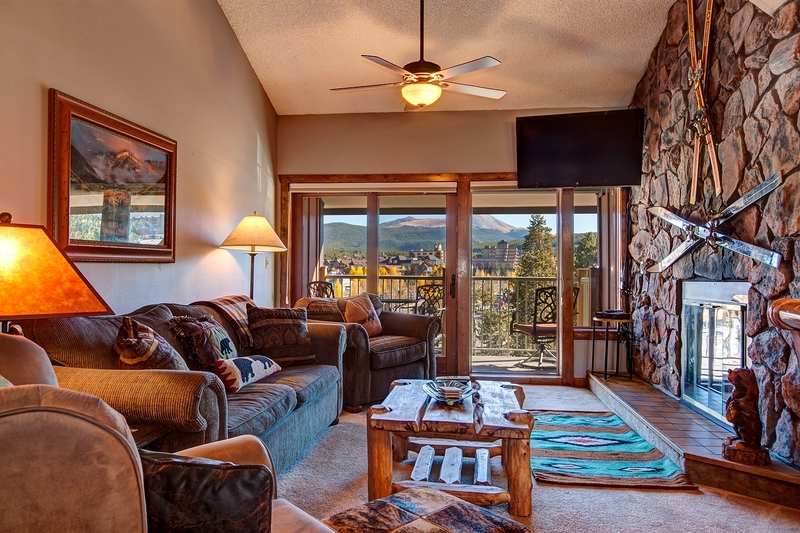 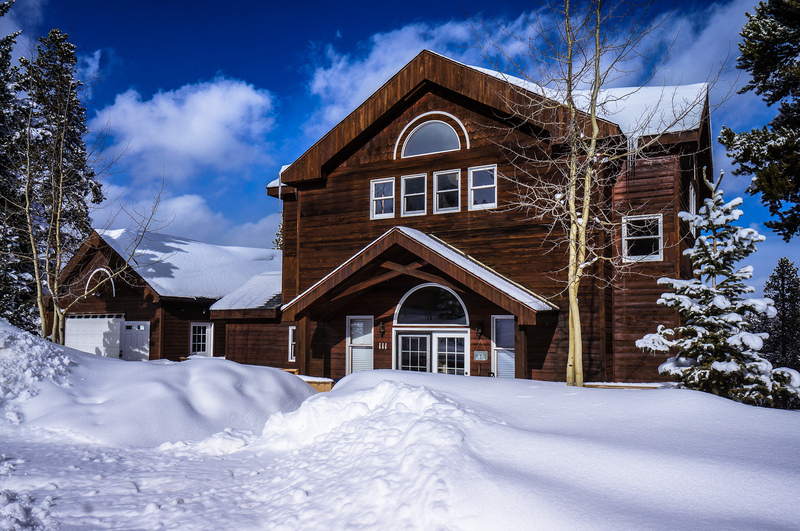 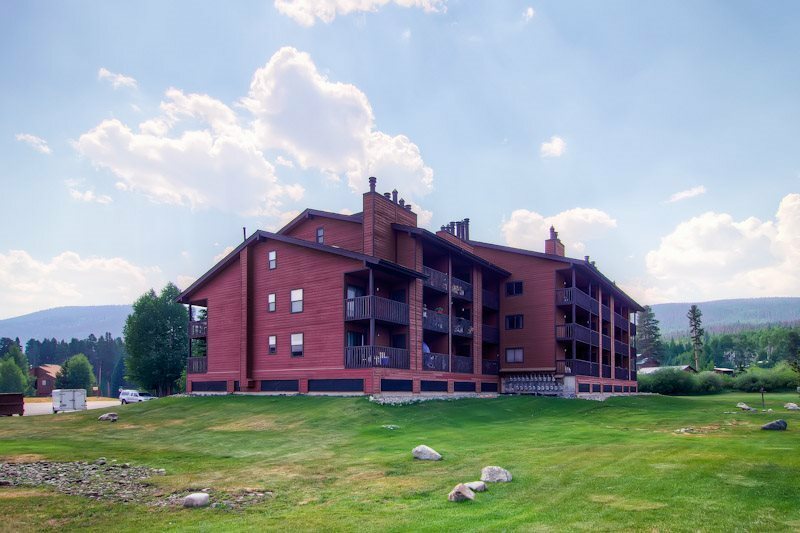 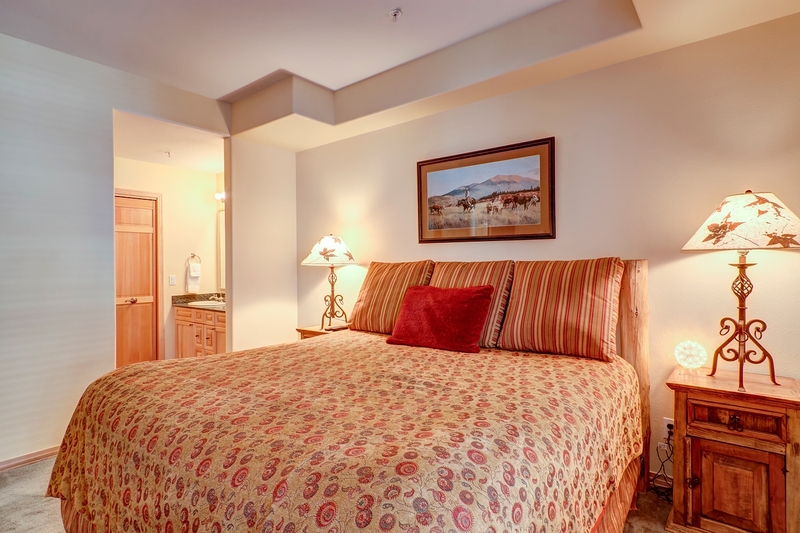 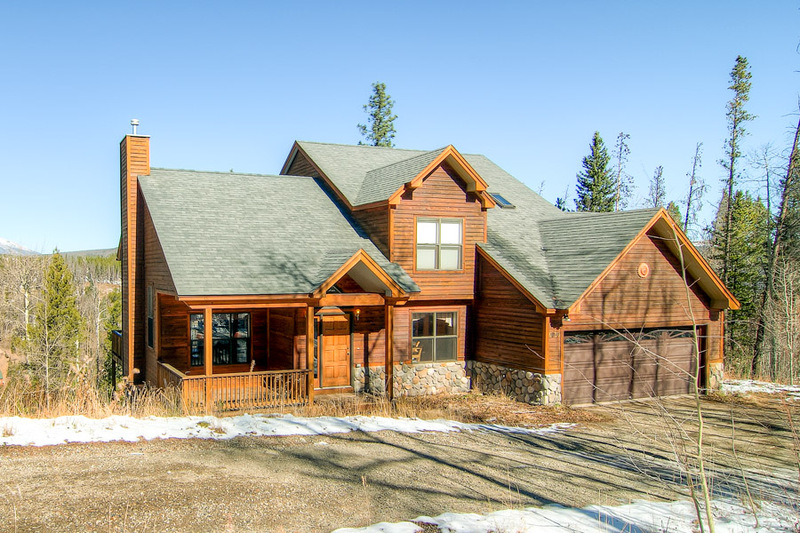 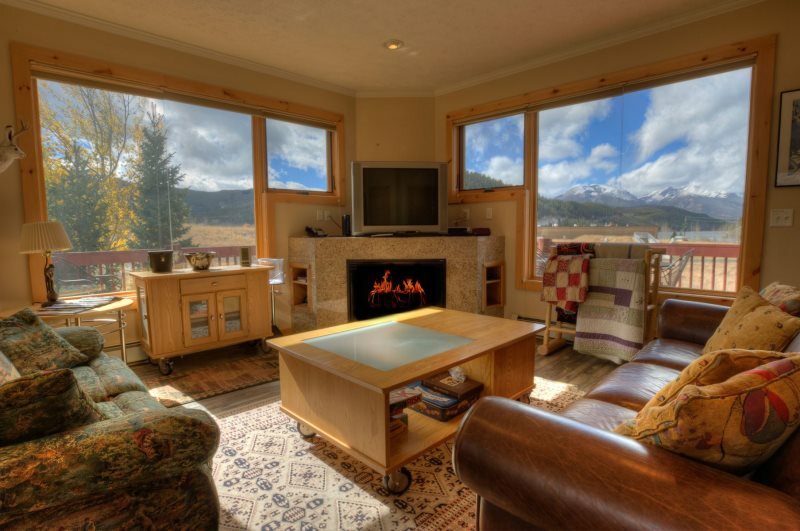 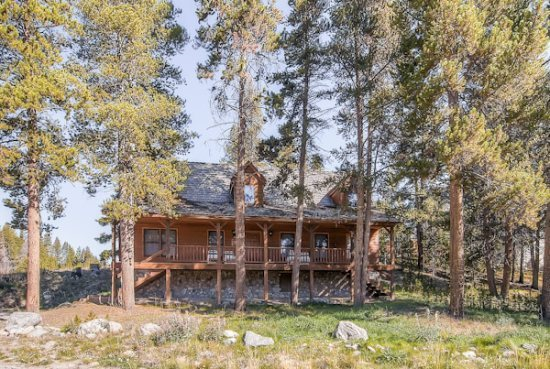 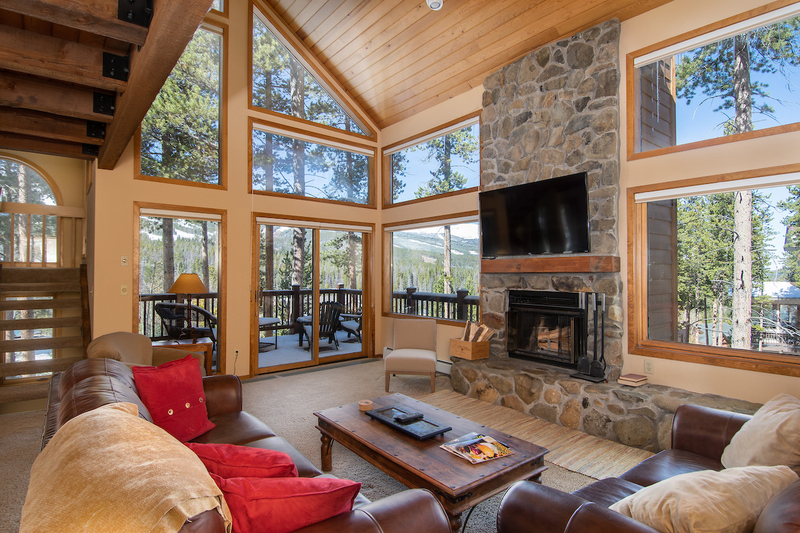 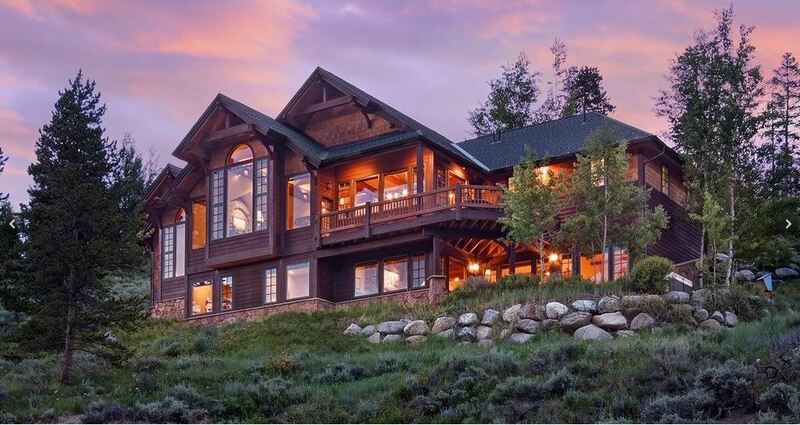 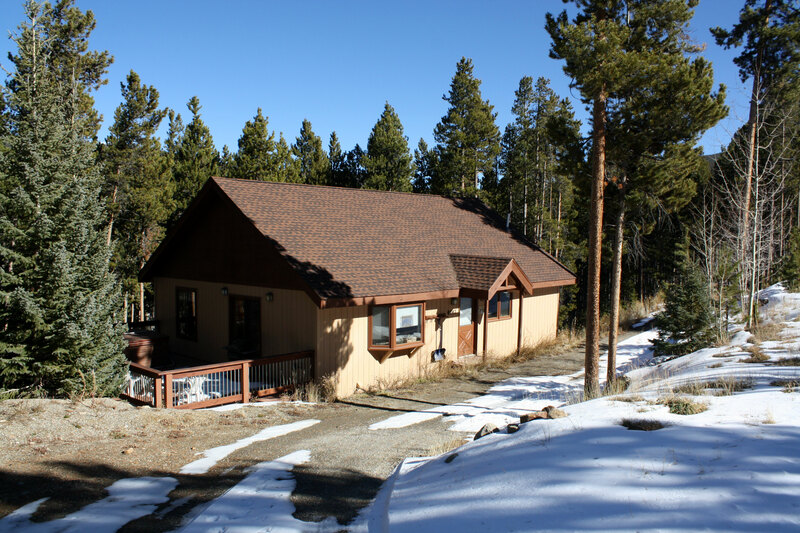 Complimentary shuttle service provided by the property manger for guests staying at this property, in addition to the free shuttle service offered by the town of Breckenridge. 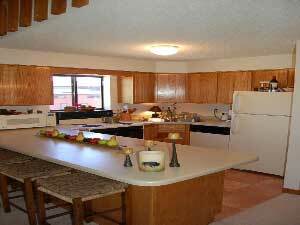 *One guest in group must be age 25+ to rent this property.